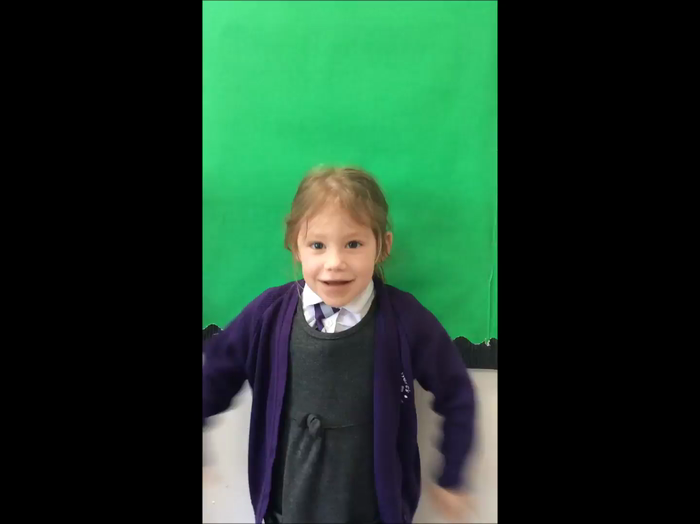 We used the green screen and talked about the people who are important to us. 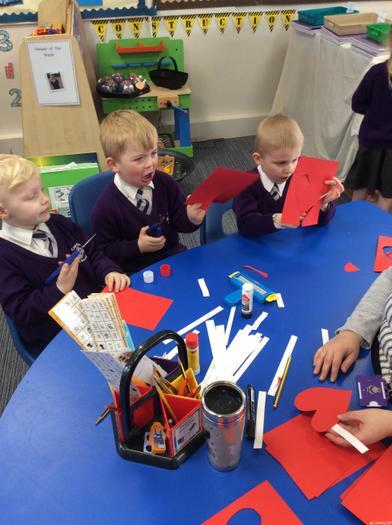 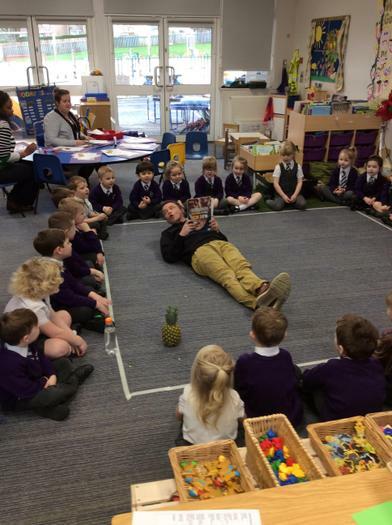 We know we are very lucky to have lots of grown ups who care and love us. 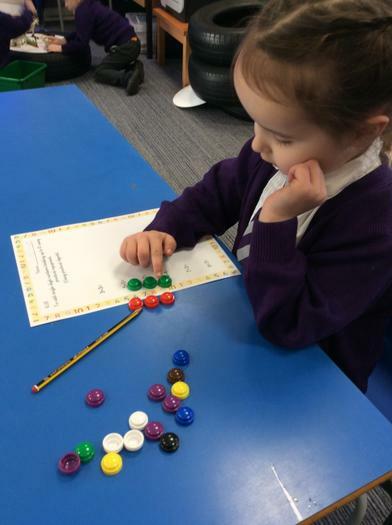 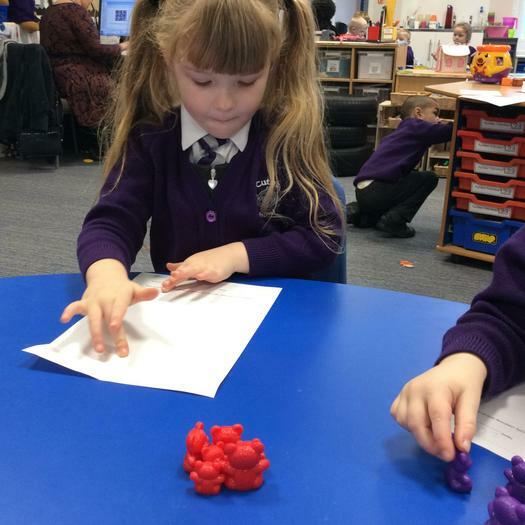 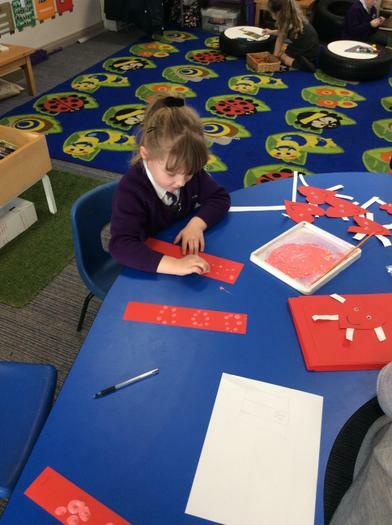 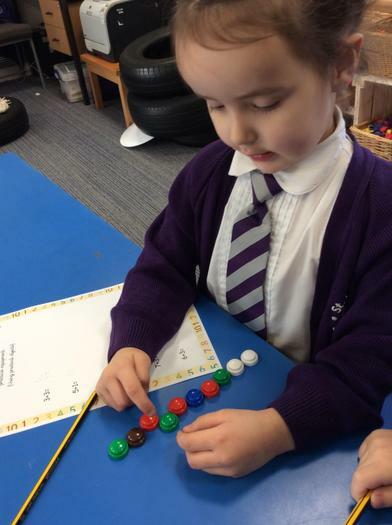 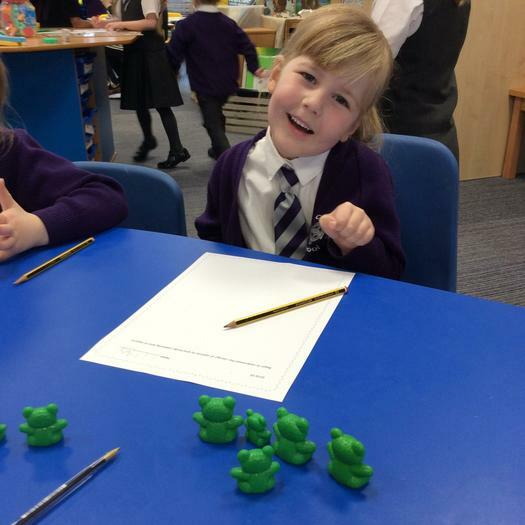 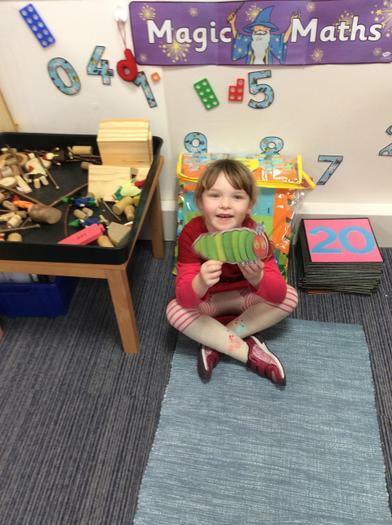 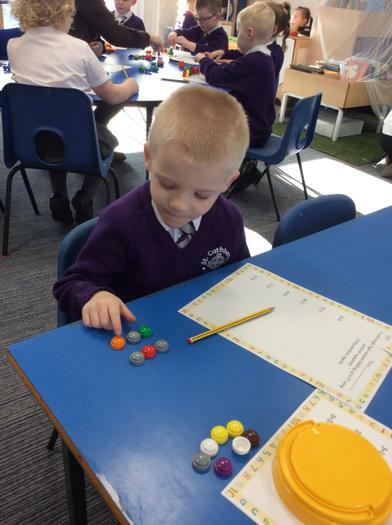 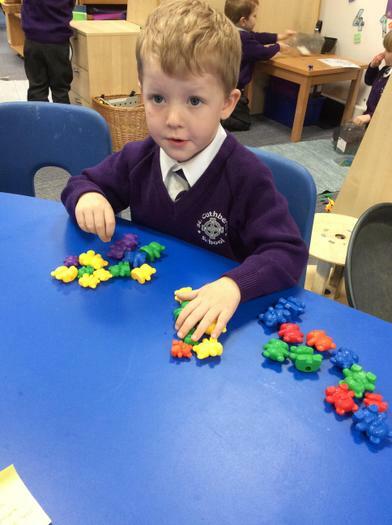 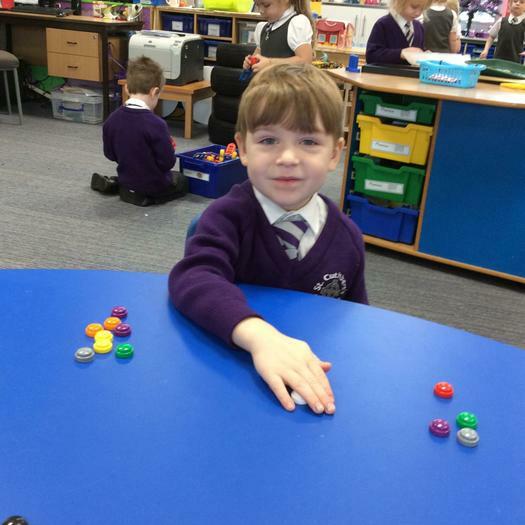 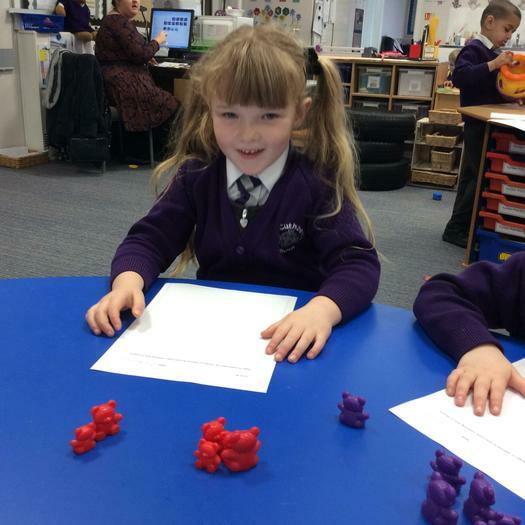 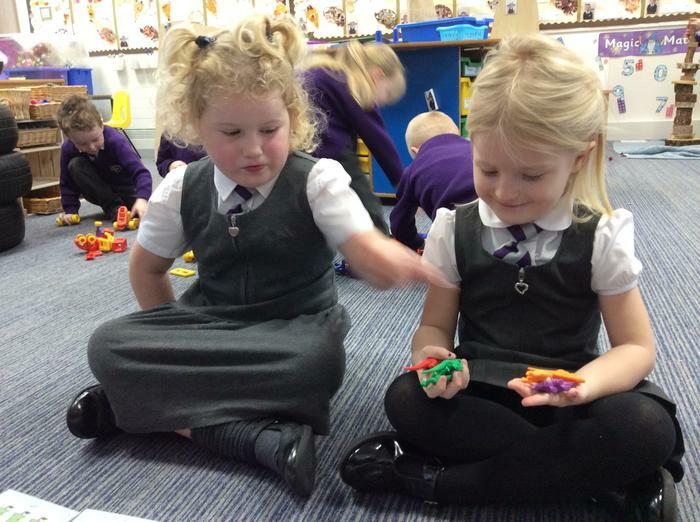 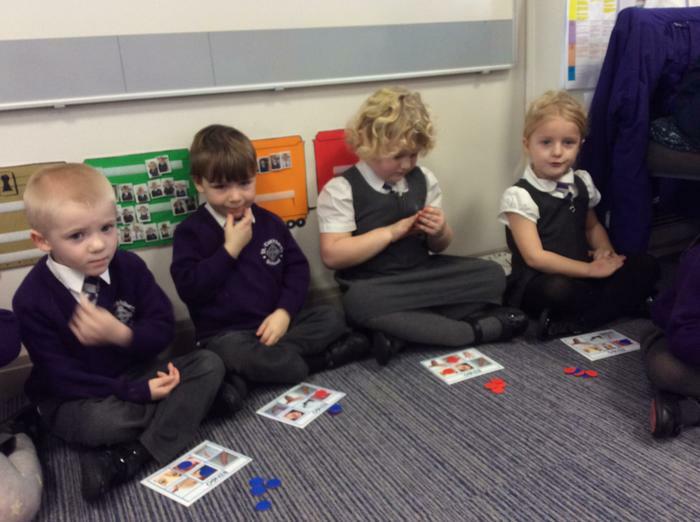 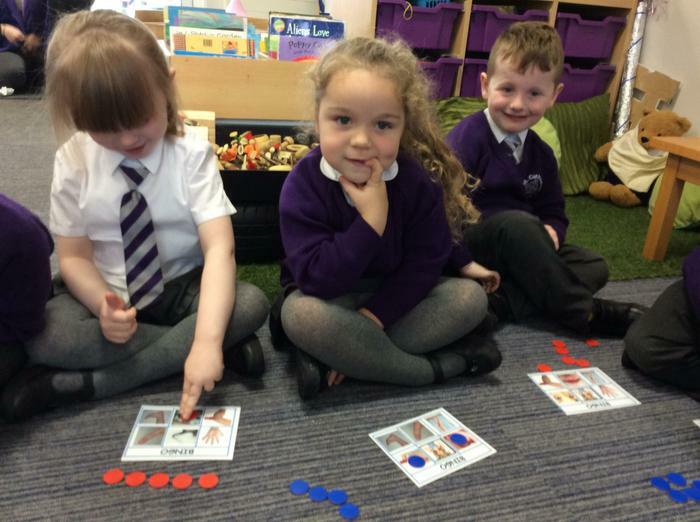 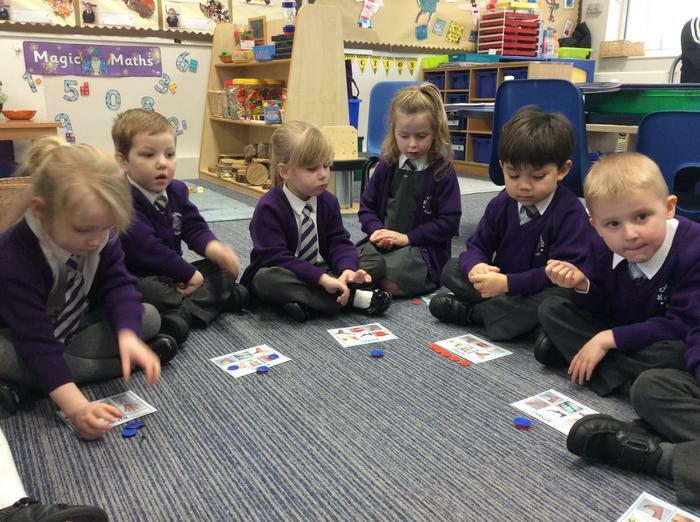 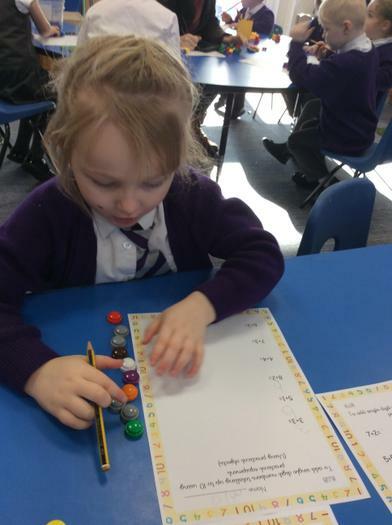 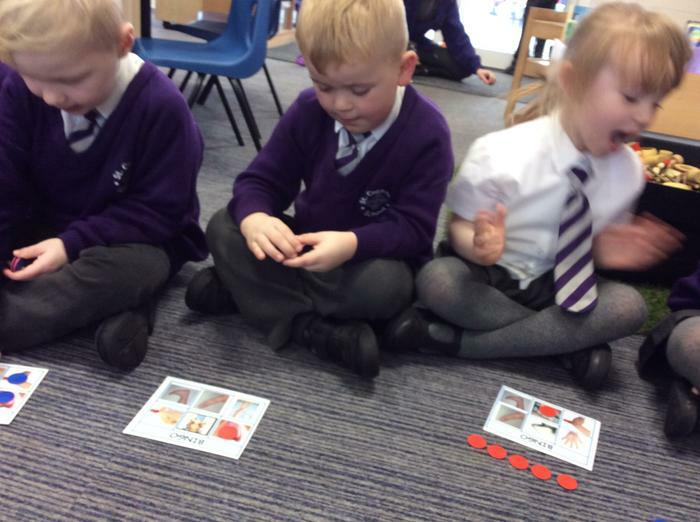 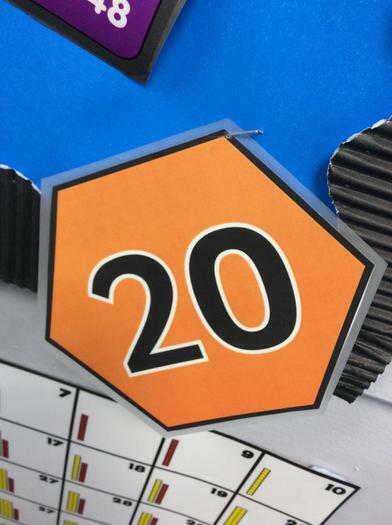 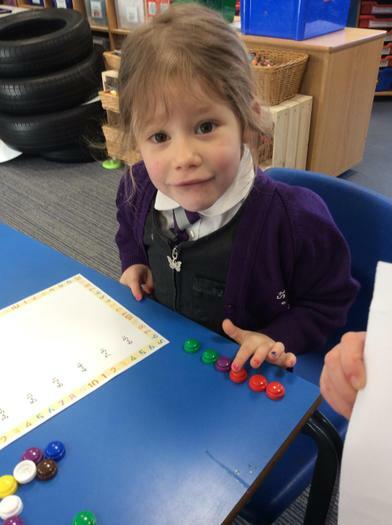 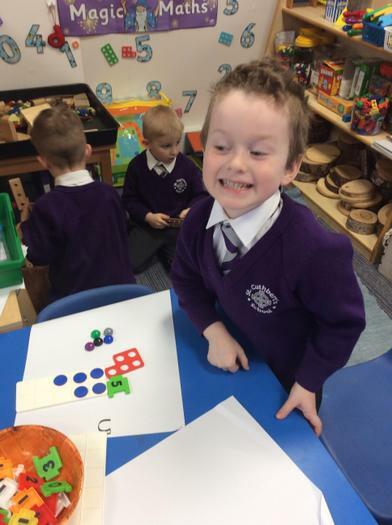 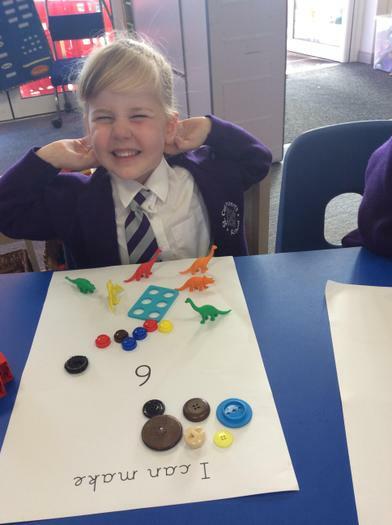 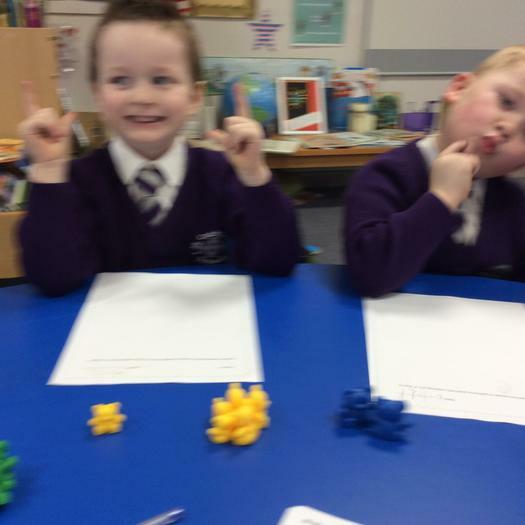 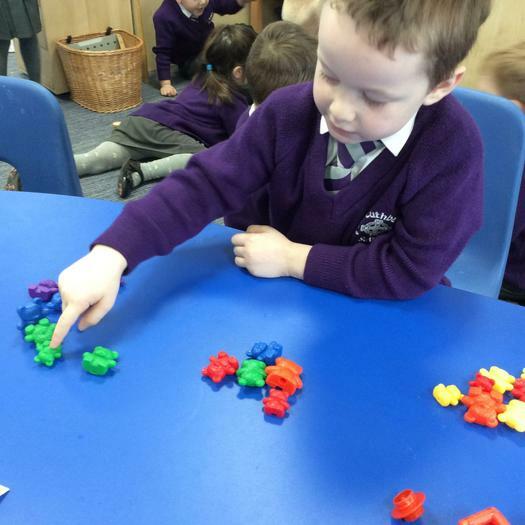 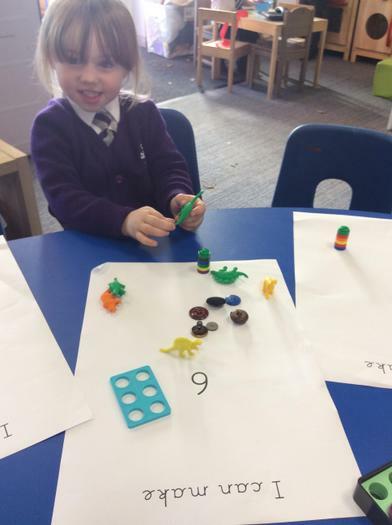 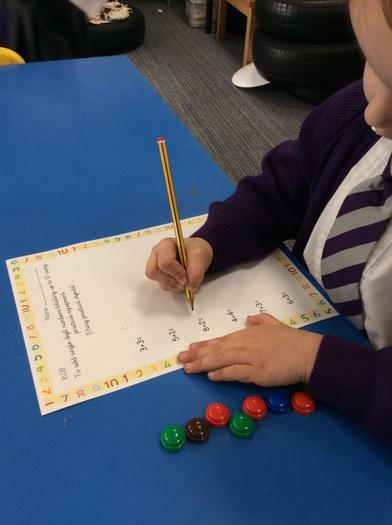 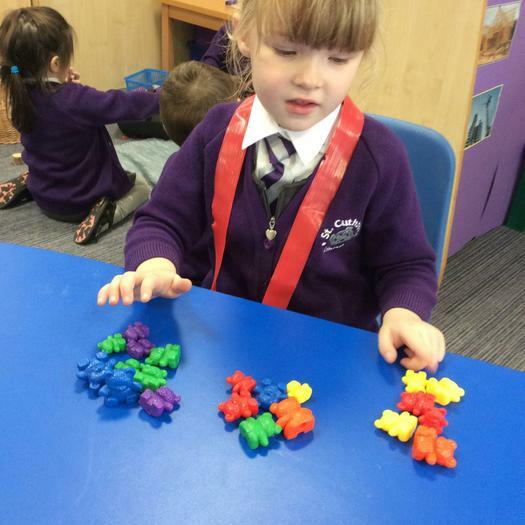 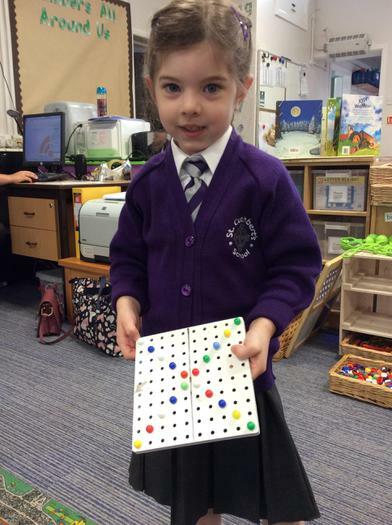 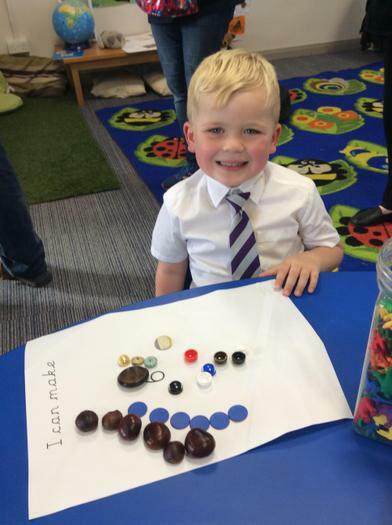 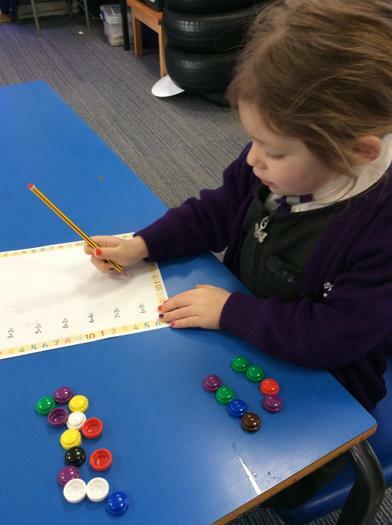 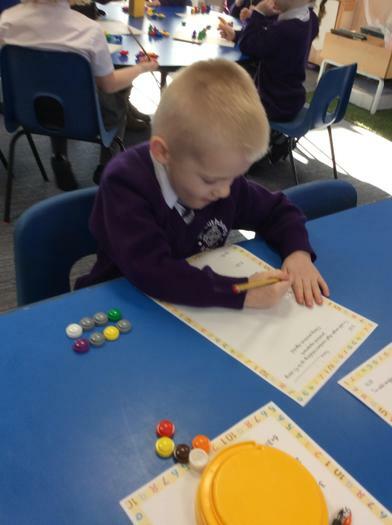 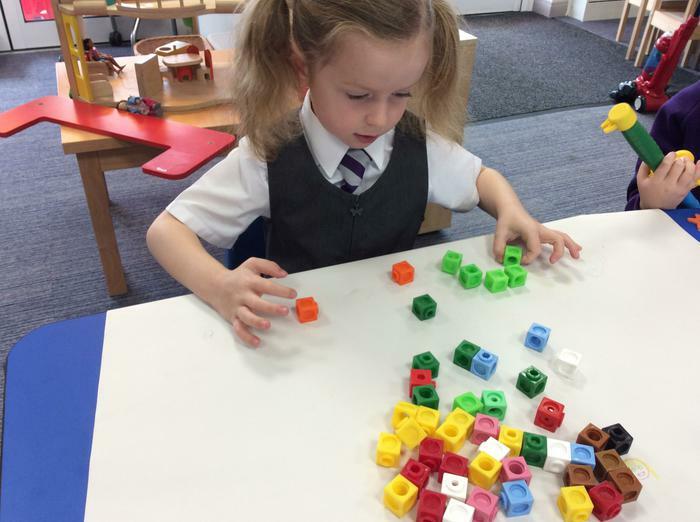 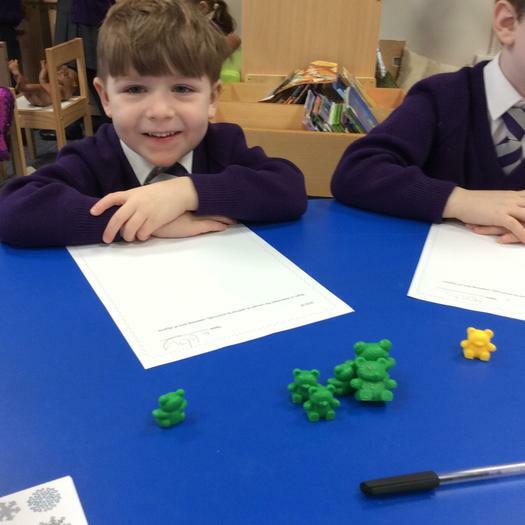 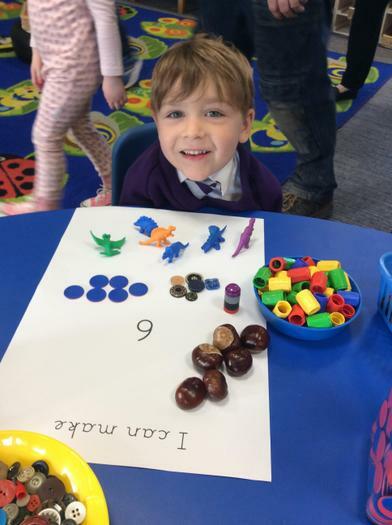 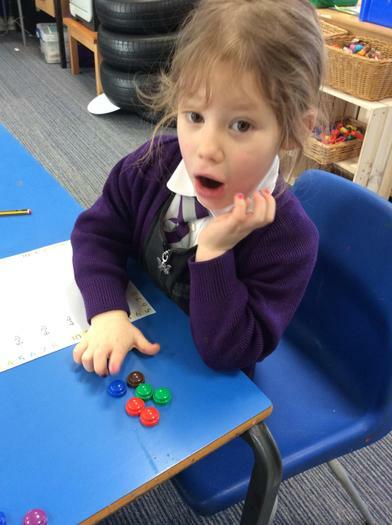 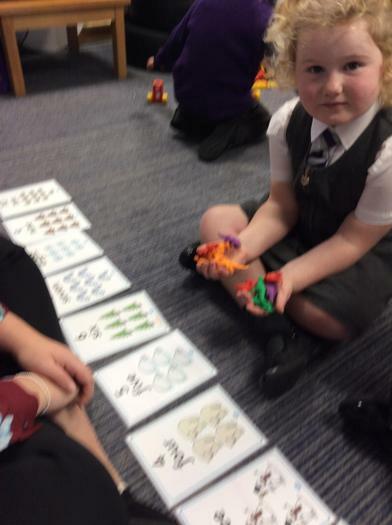 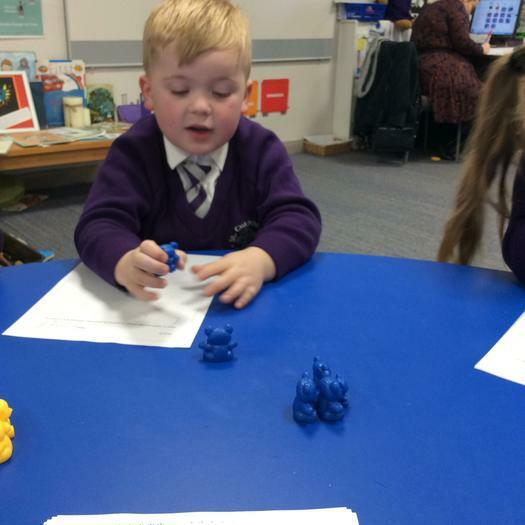 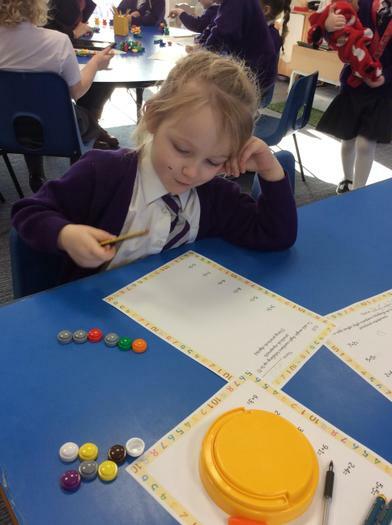 Eric and Olivia enjoyed counting to 20. 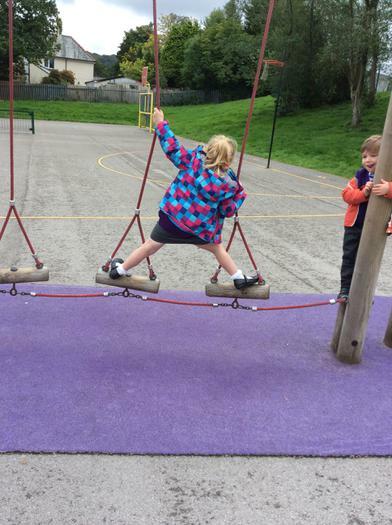 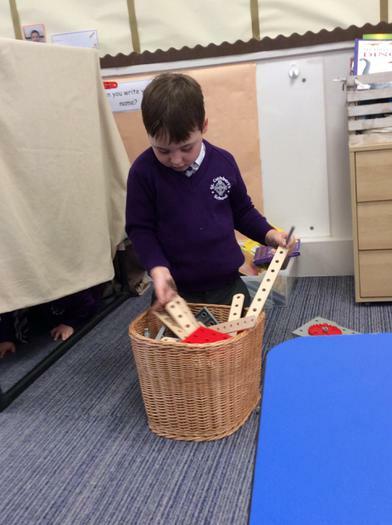 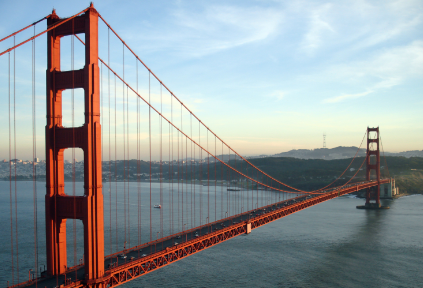 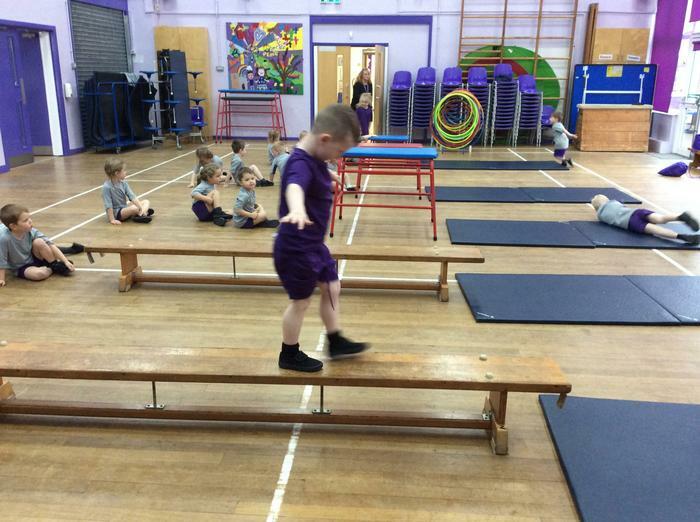 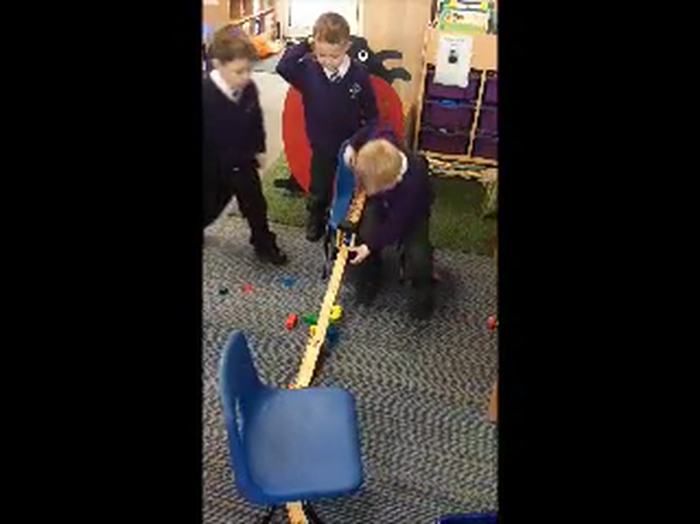 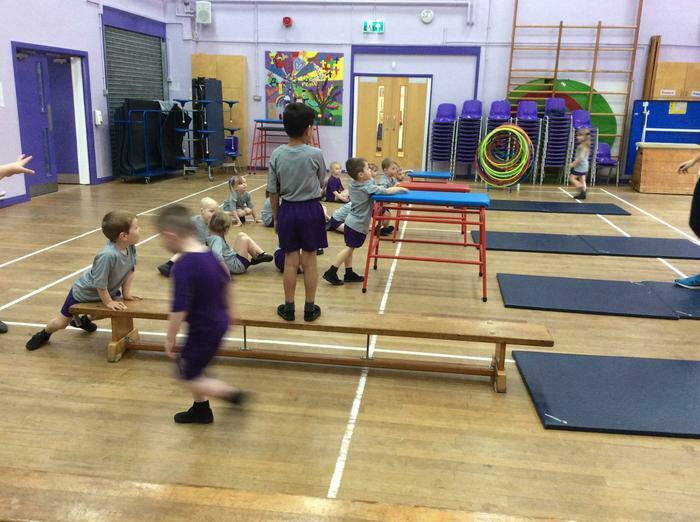 Challenge - To build a bridge using anything in the classroom. 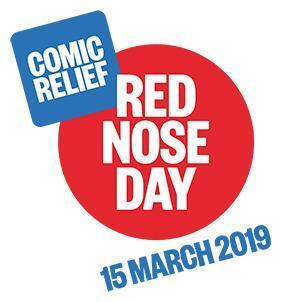 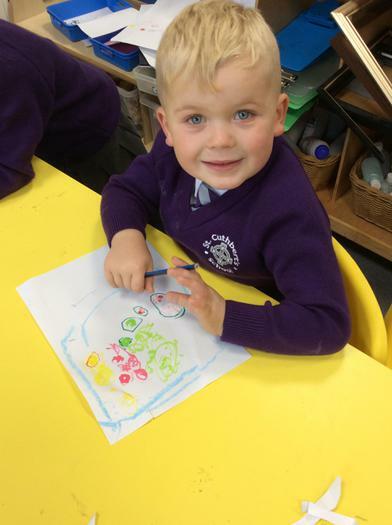 With a colour theme from 'The day the Crayons Quit'! 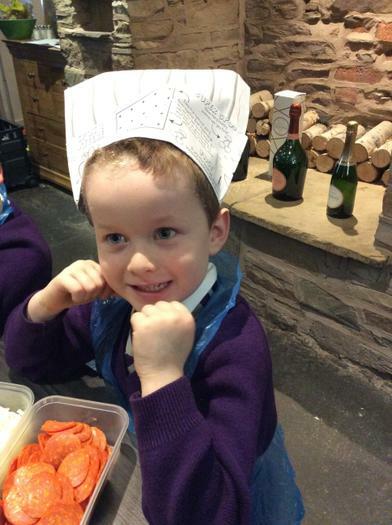 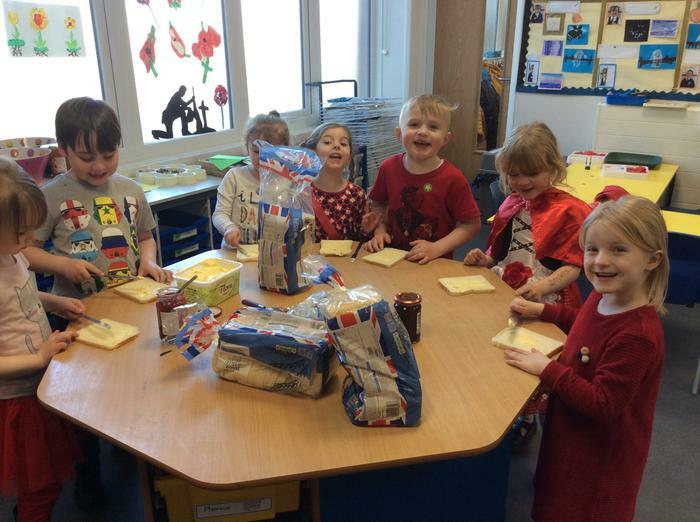 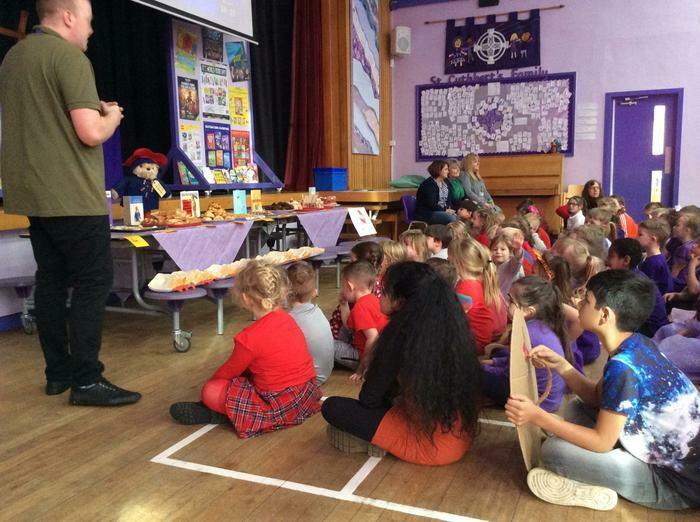 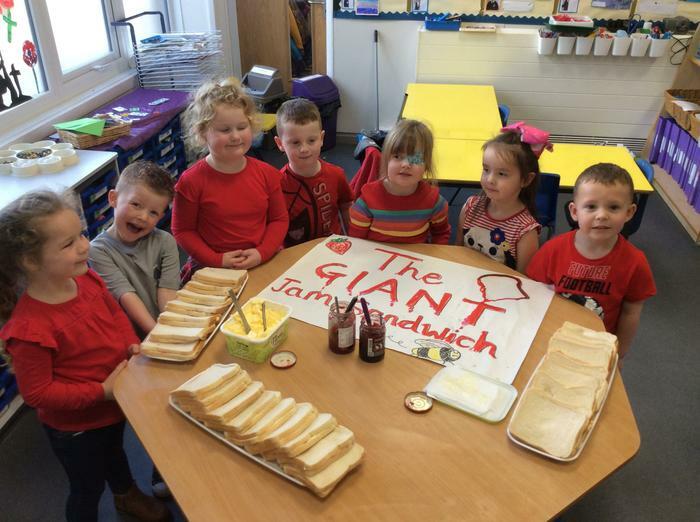 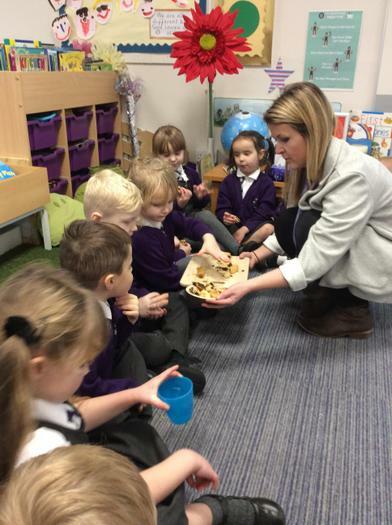 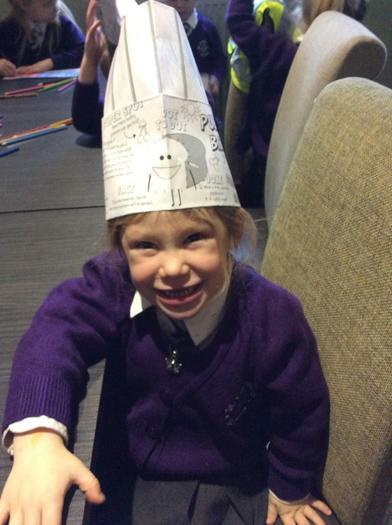 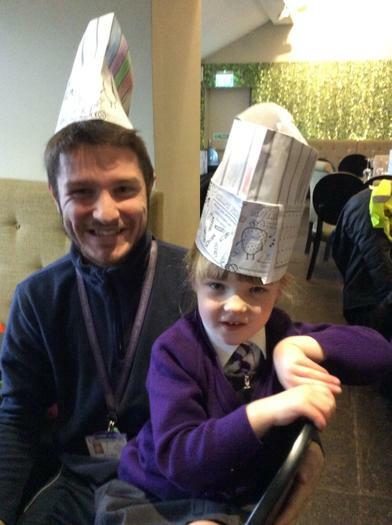 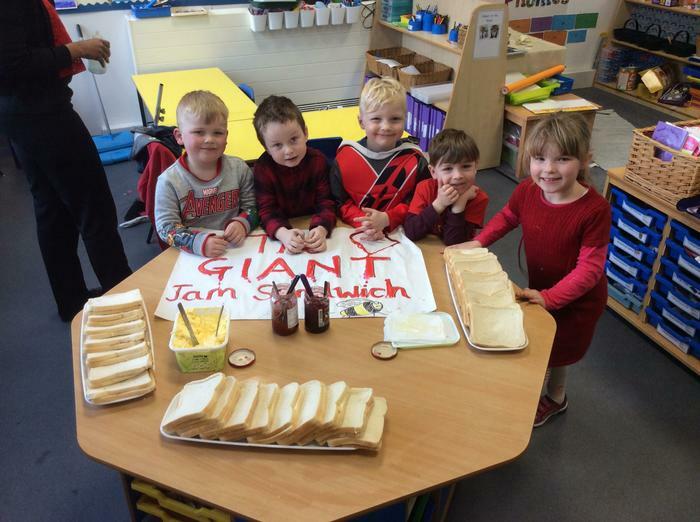 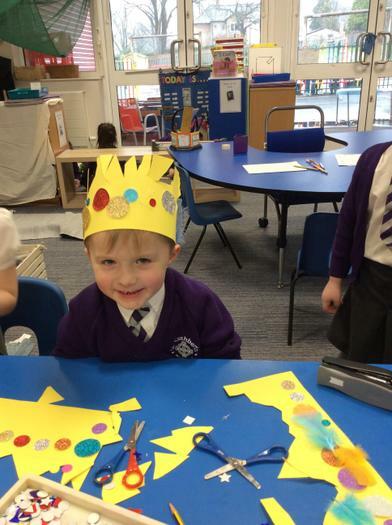 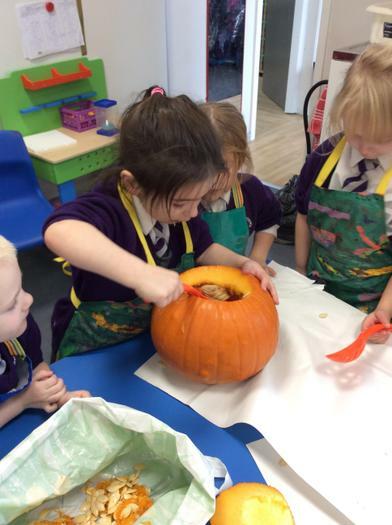 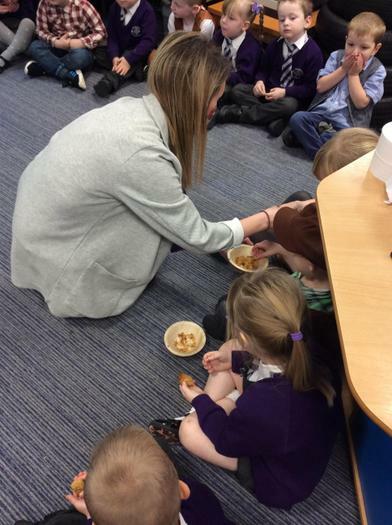 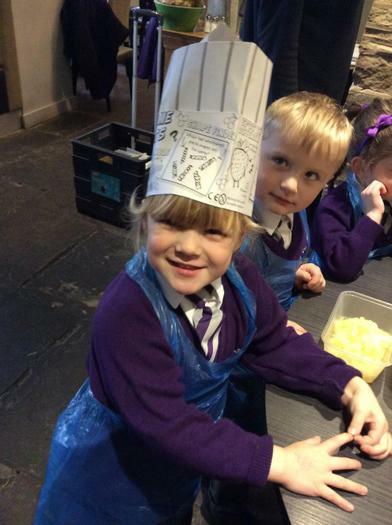 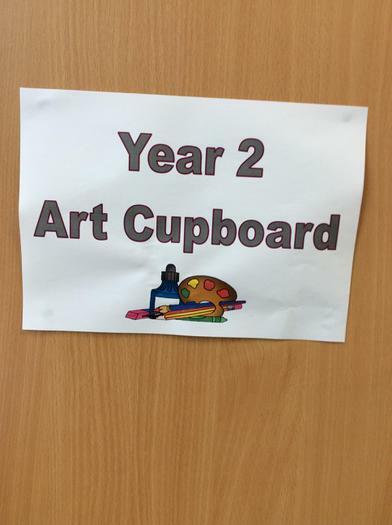 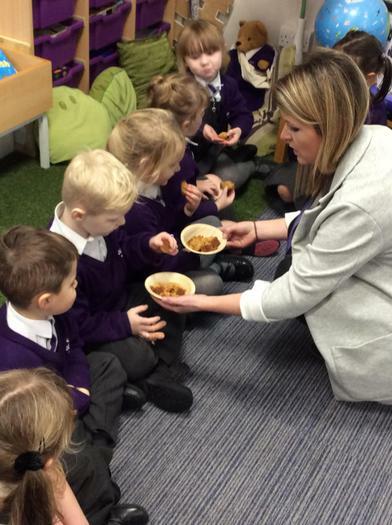 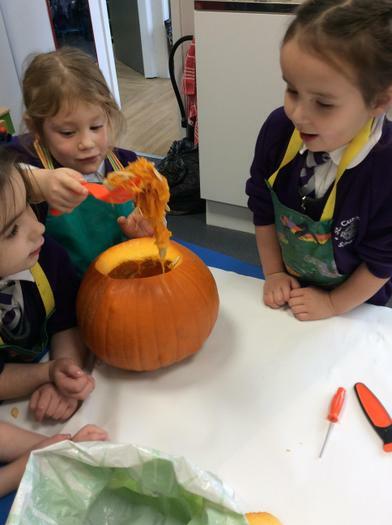 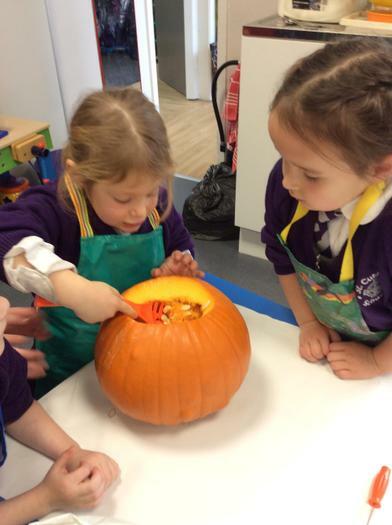 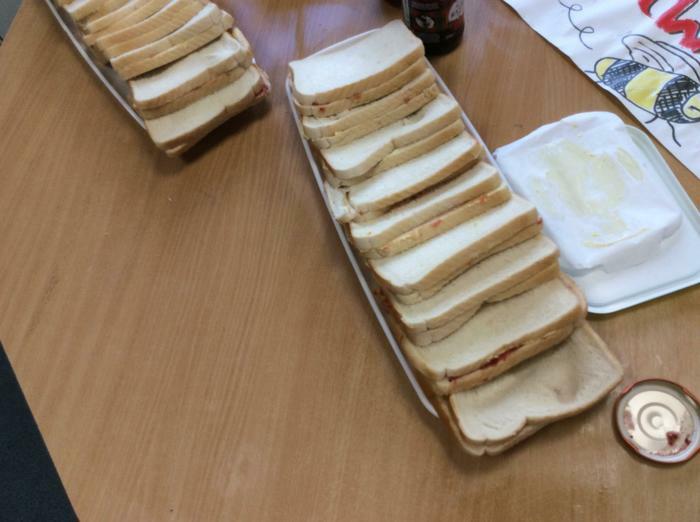 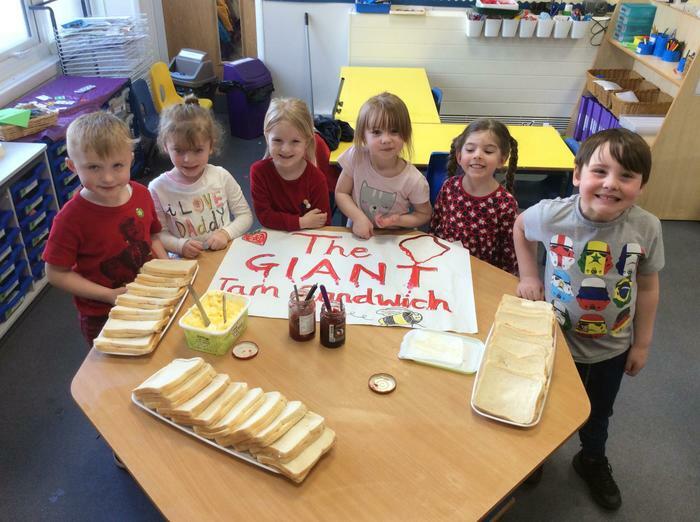 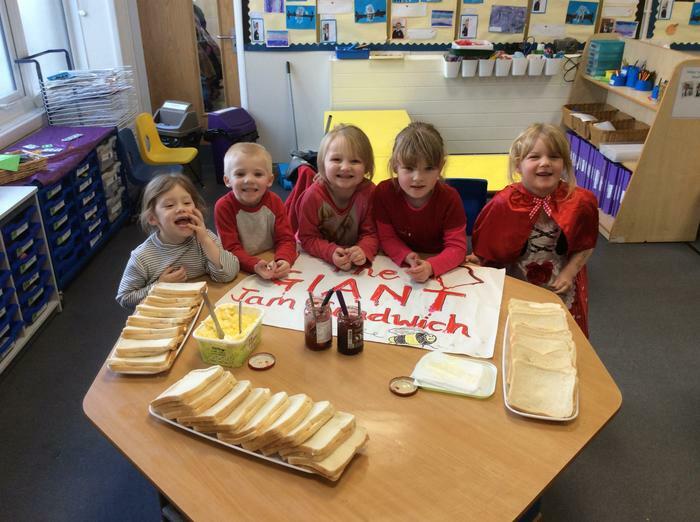 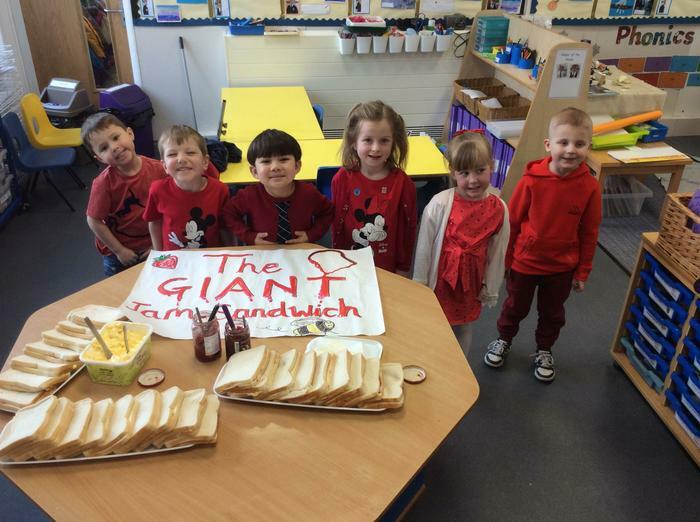 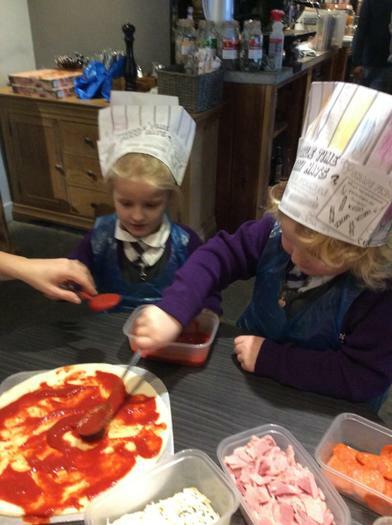 We read the story 'The Giant Jam Sandwich and enjoyed making one for a Great British Book-Bake Off competition! 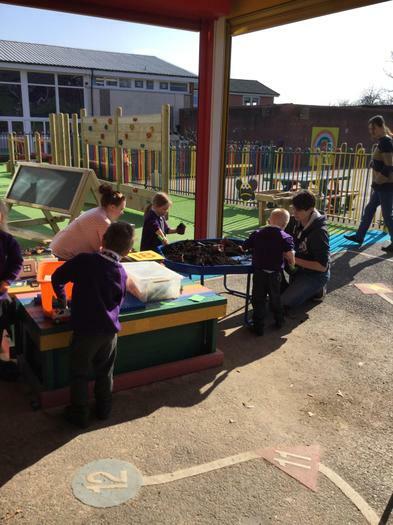 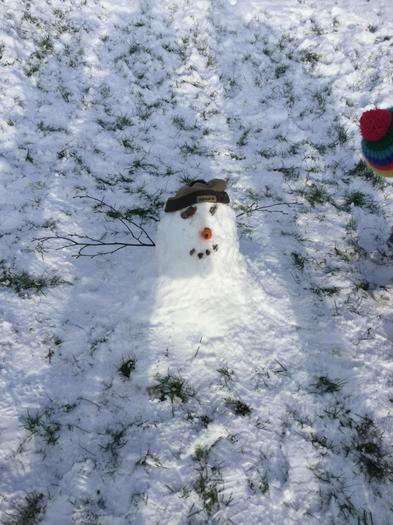 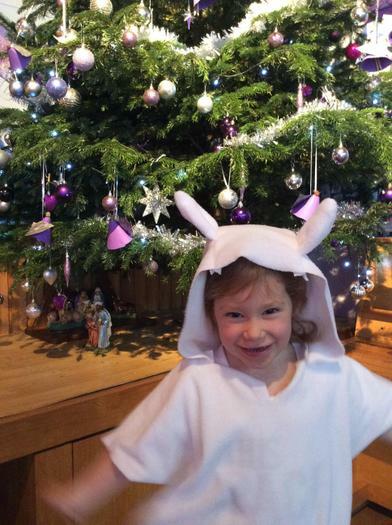 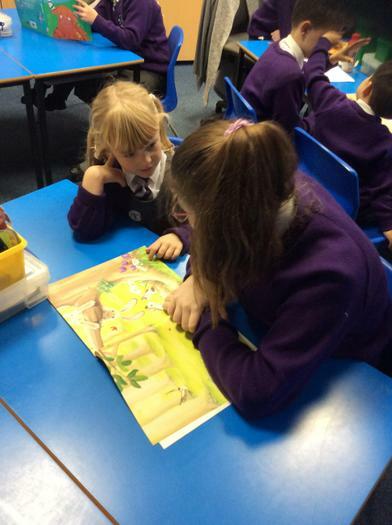 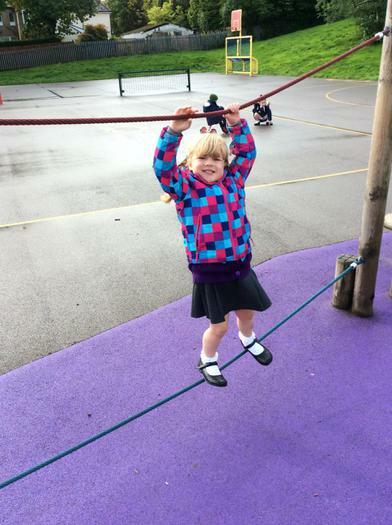 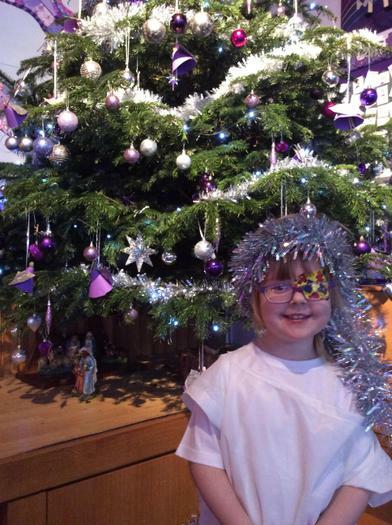 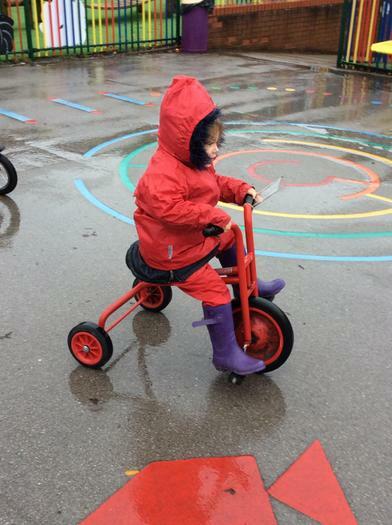 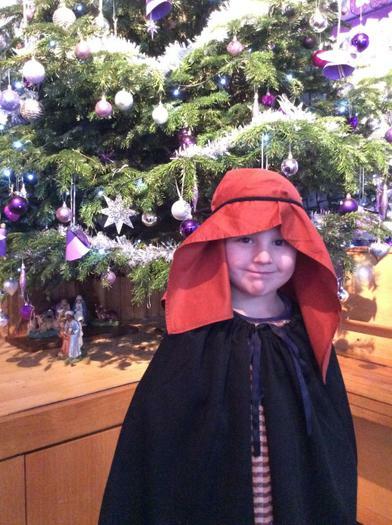 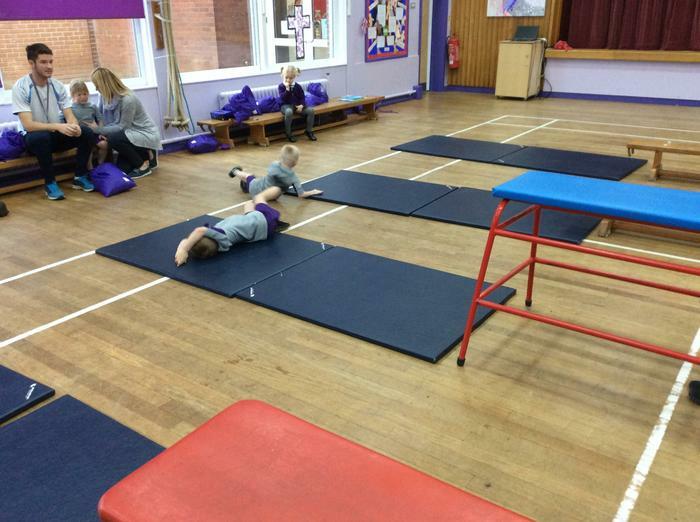 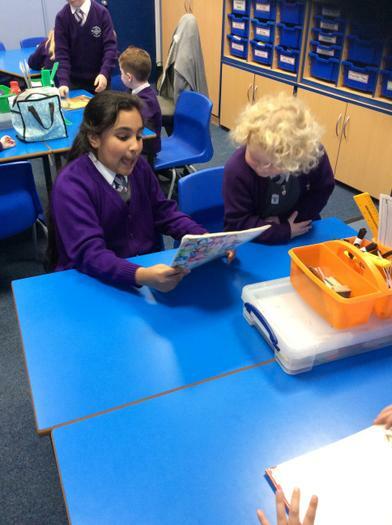 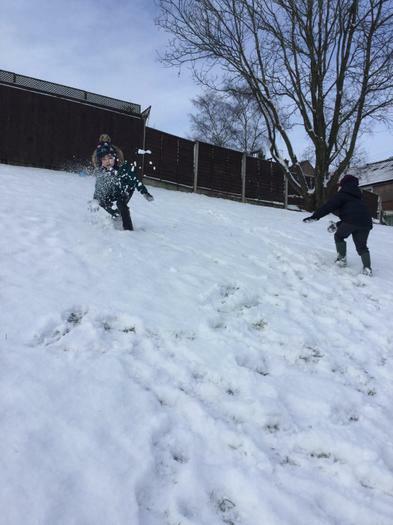 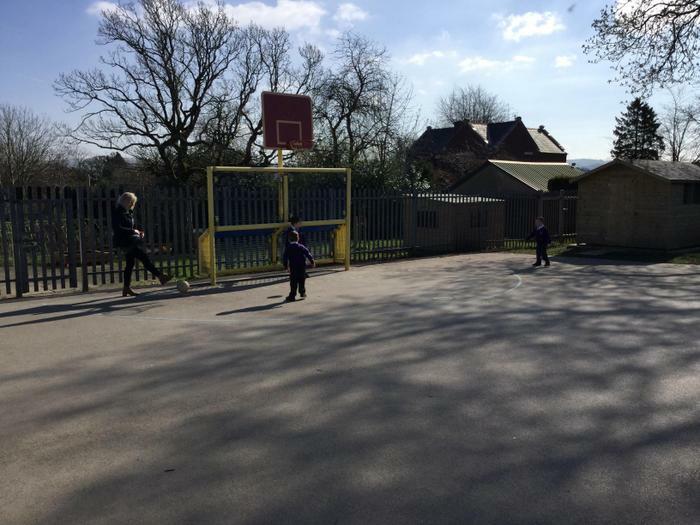 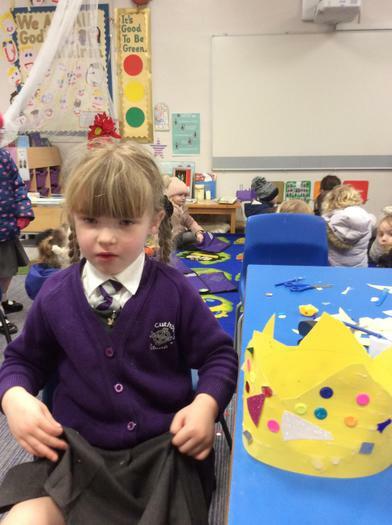 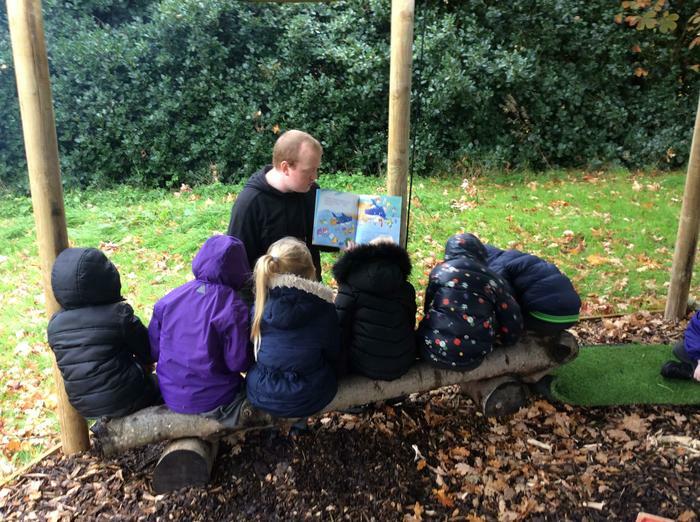 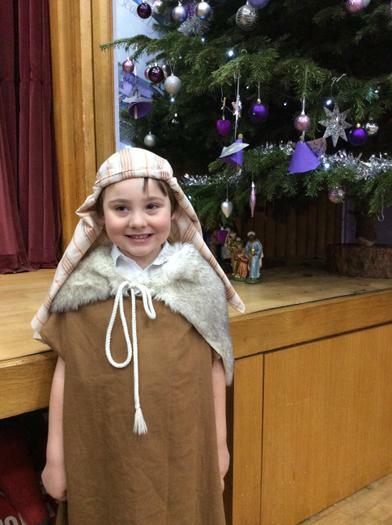 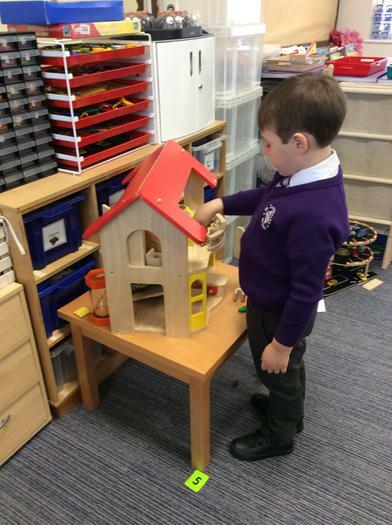 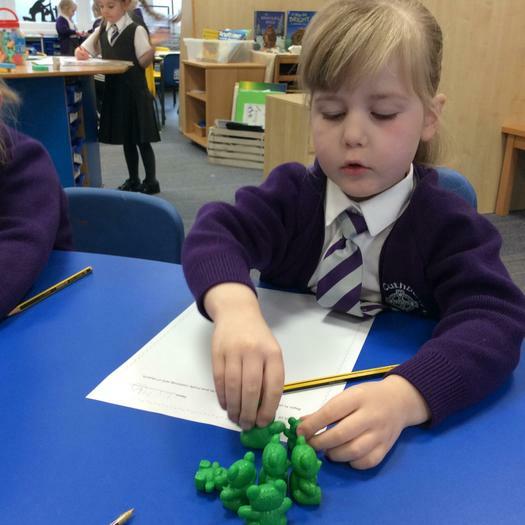 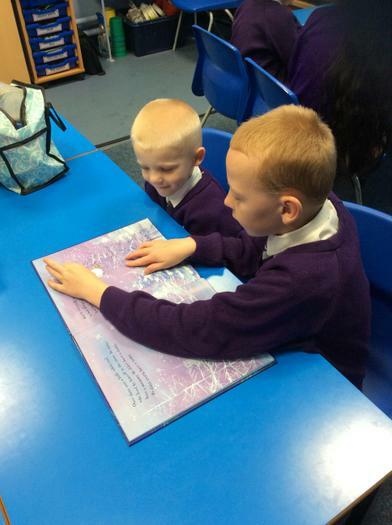 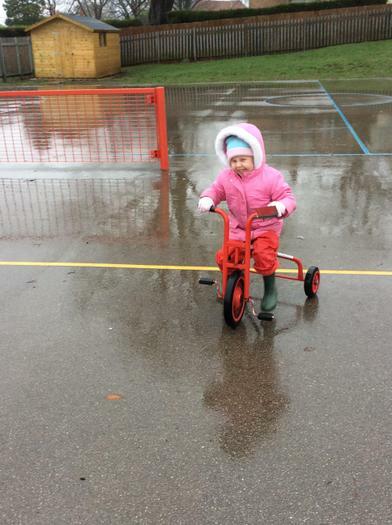 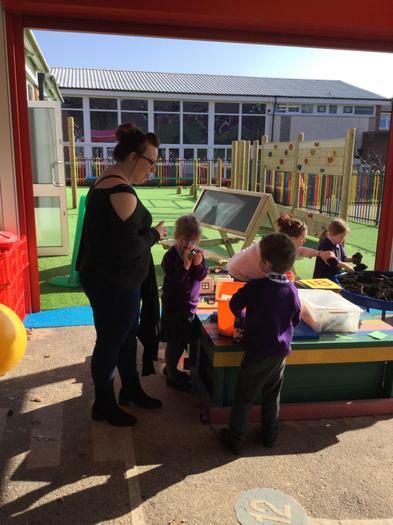 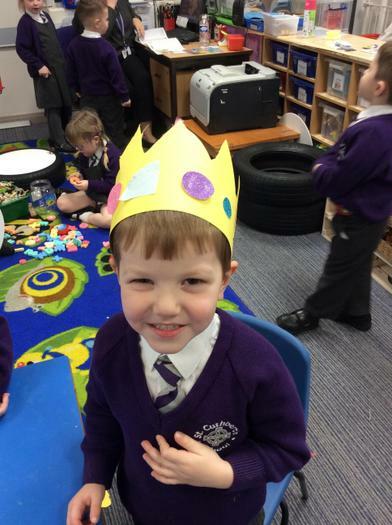 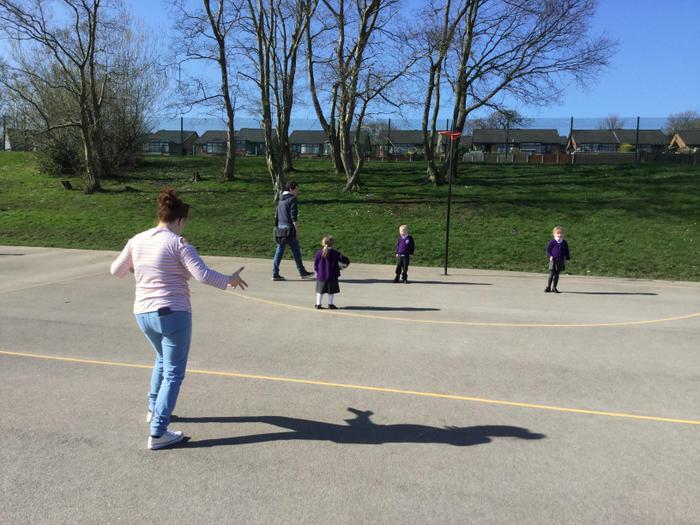 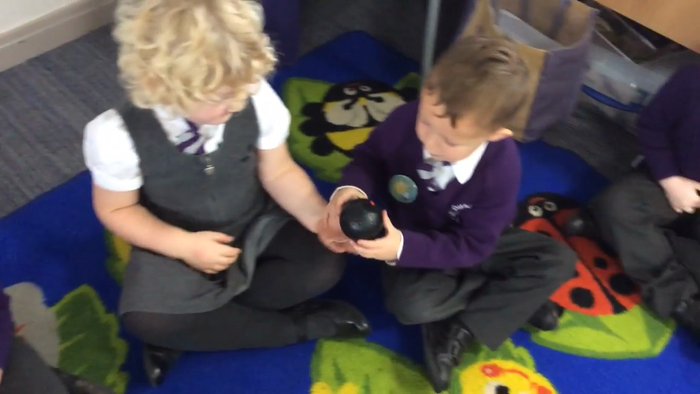 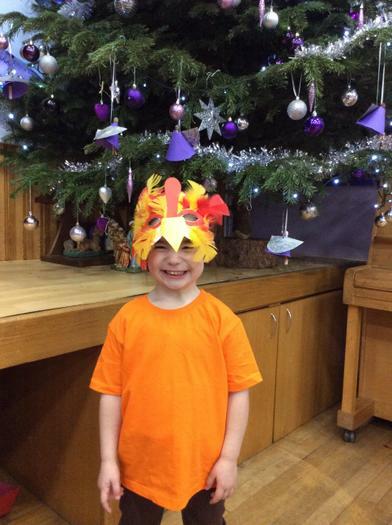 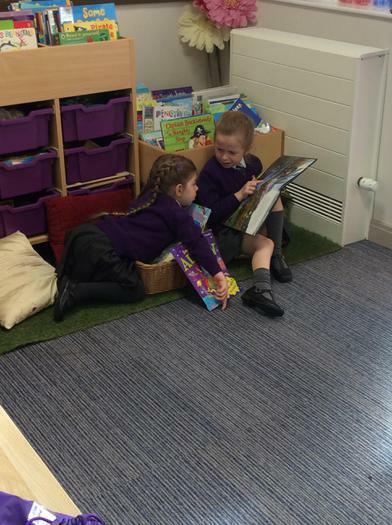 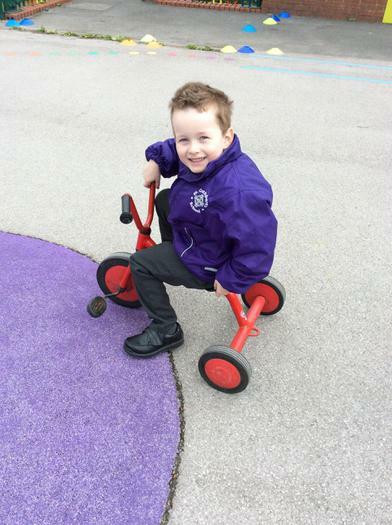 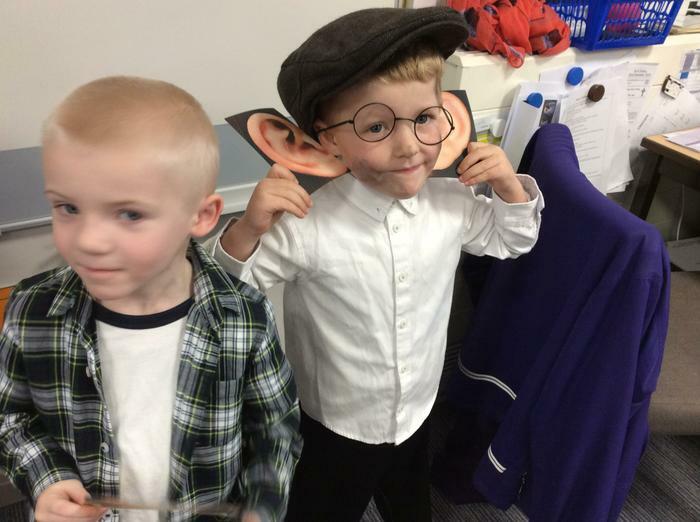 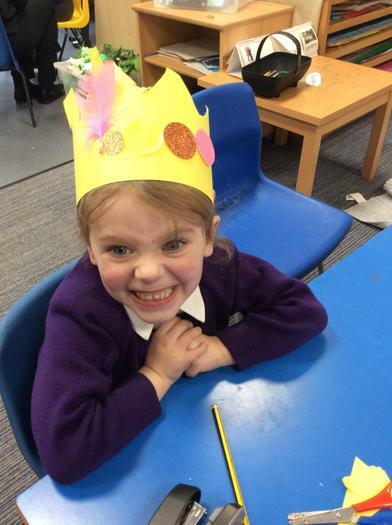 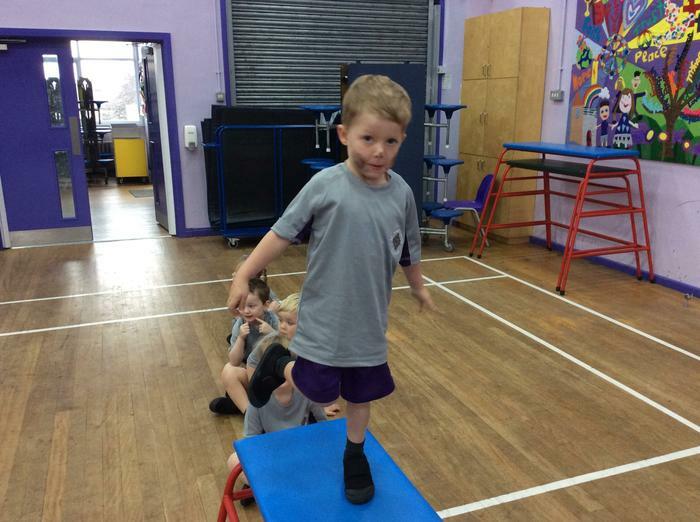 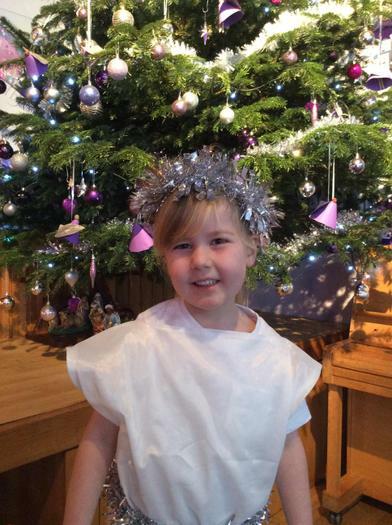 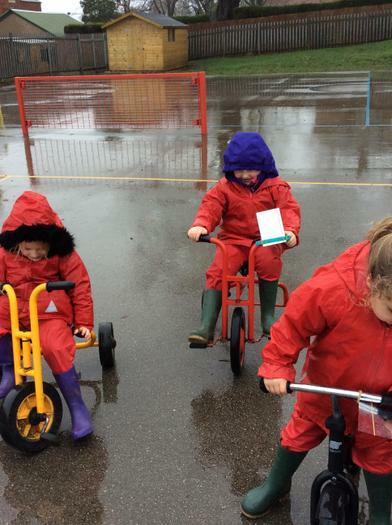 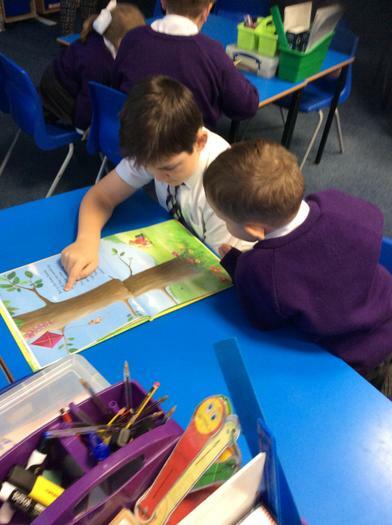 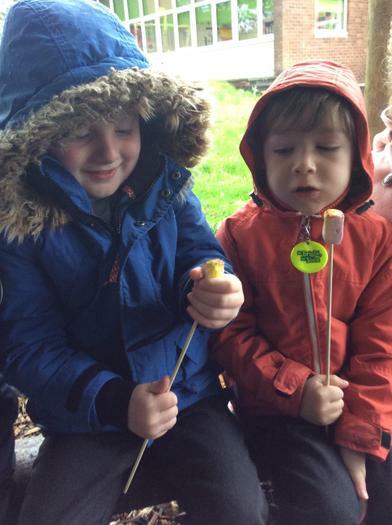 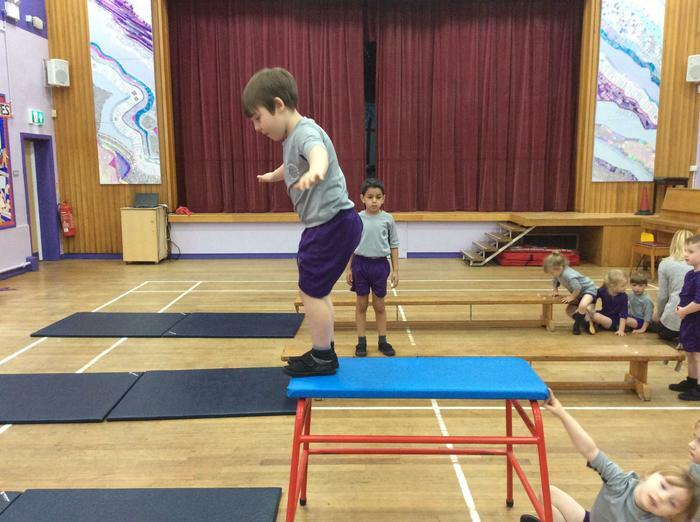 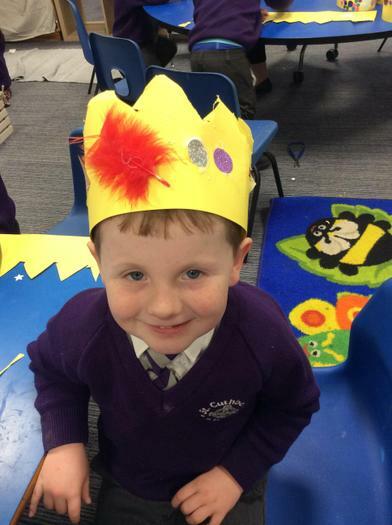 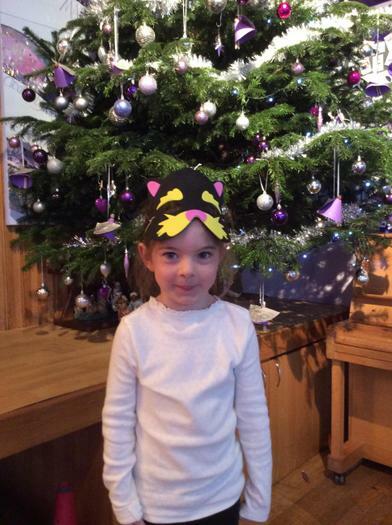 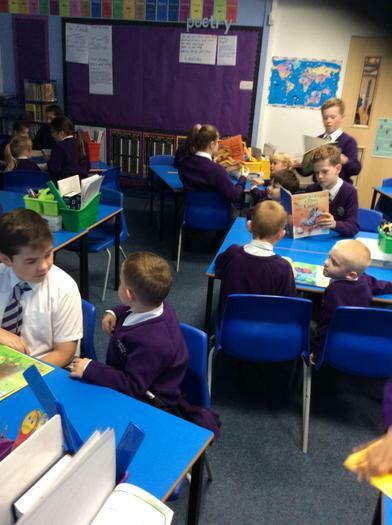 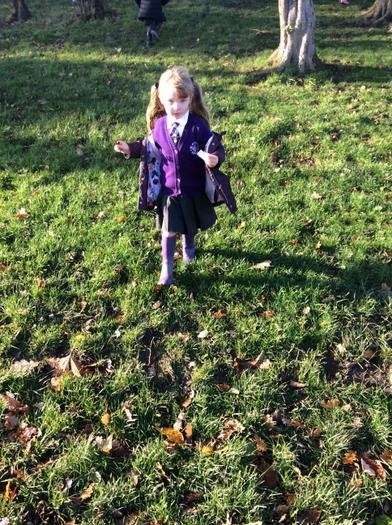 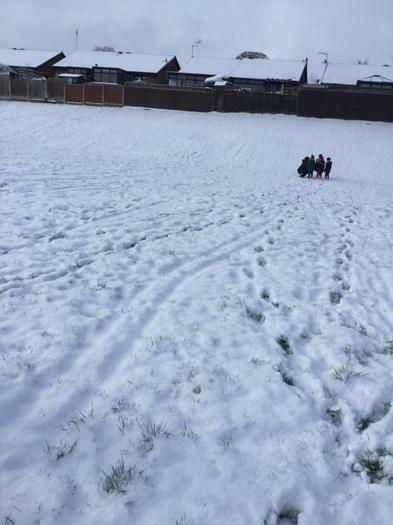 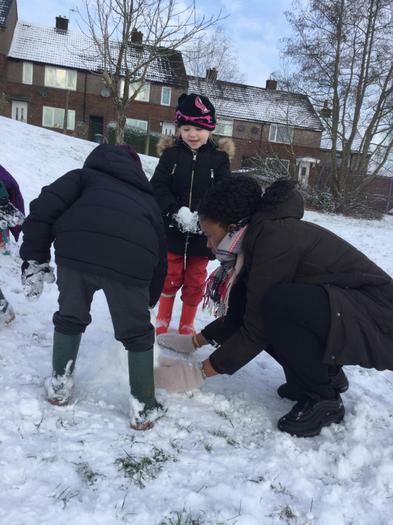 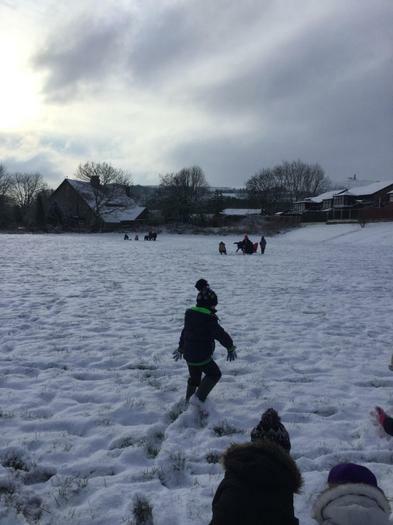 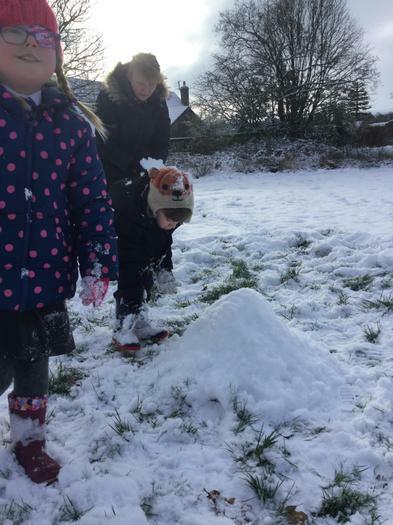 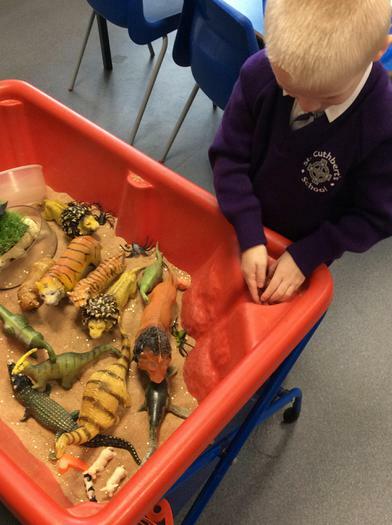 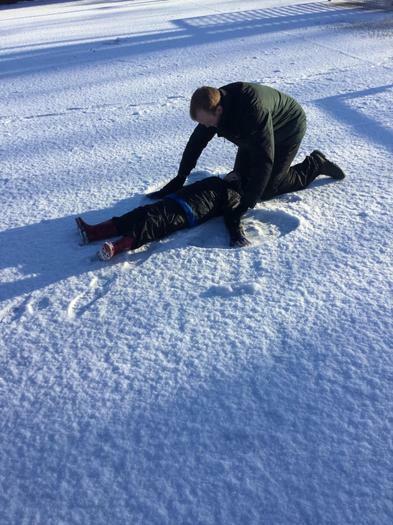 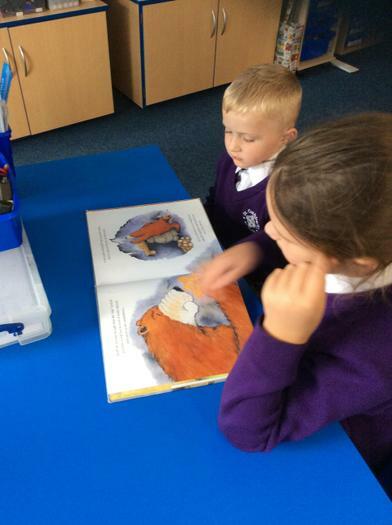 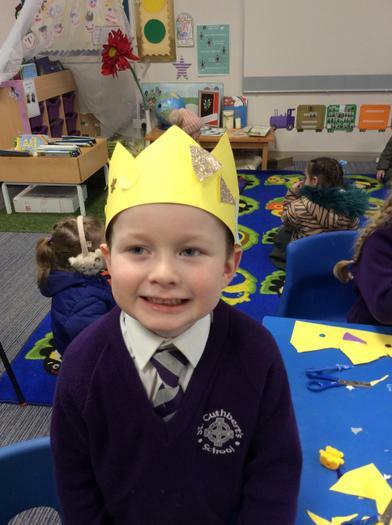 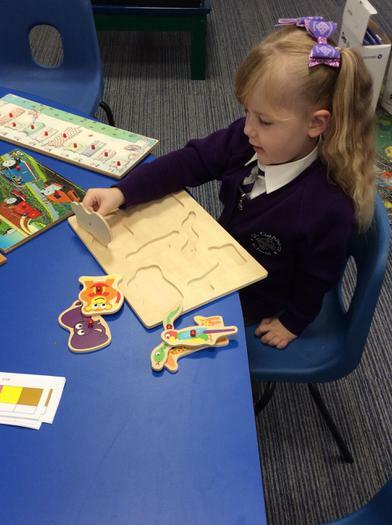 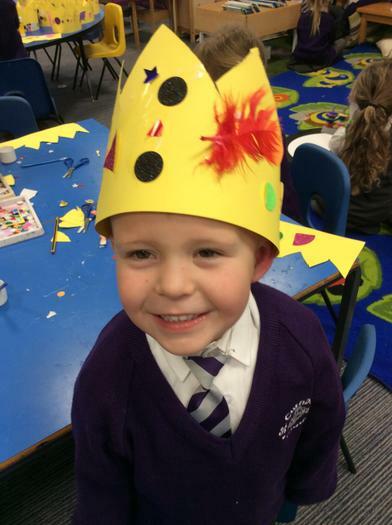 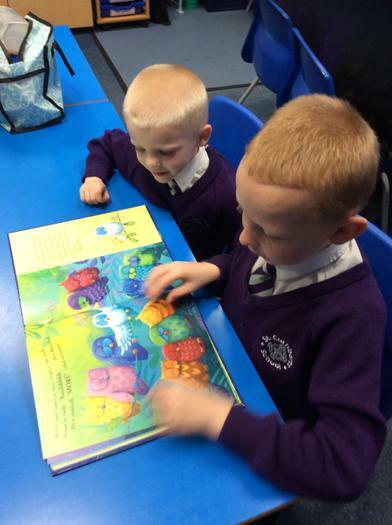 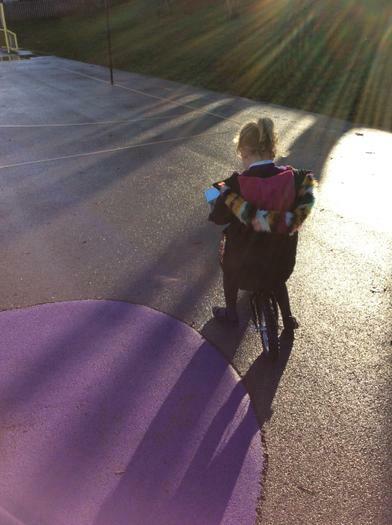 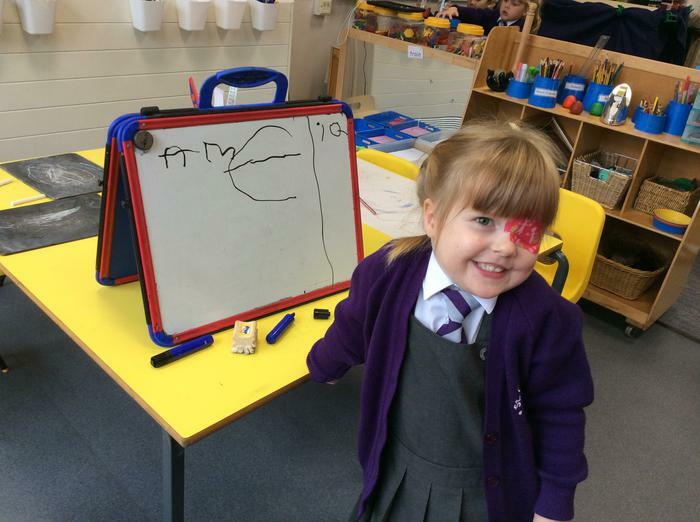 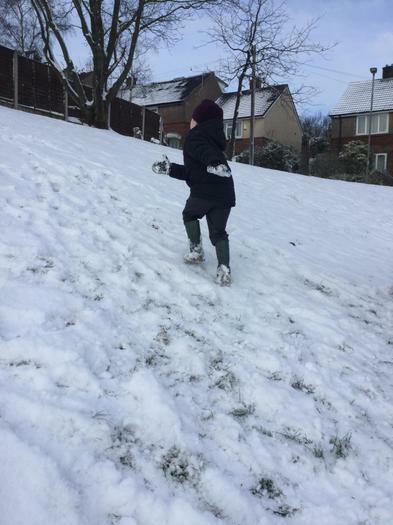 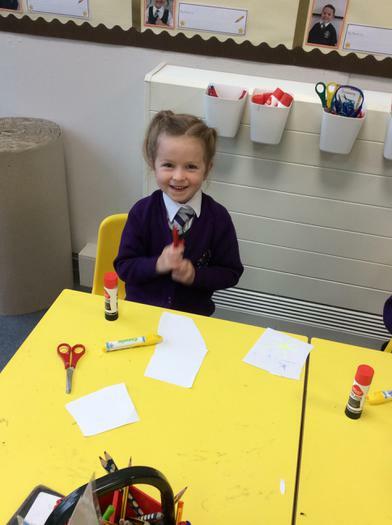 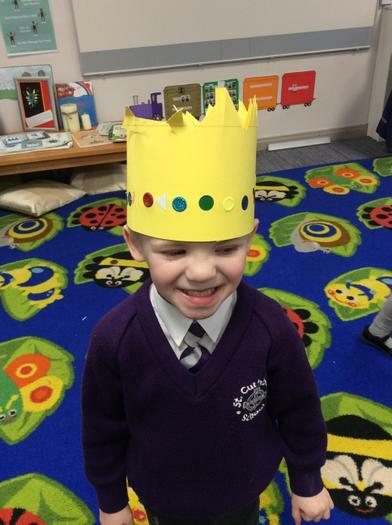 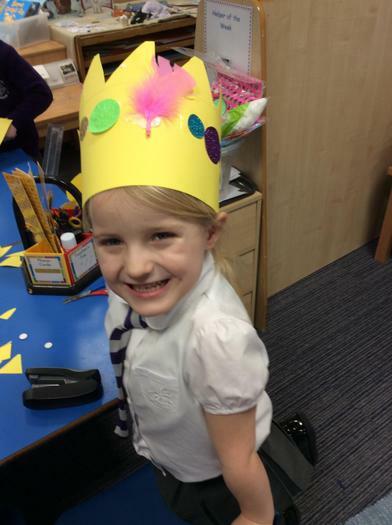 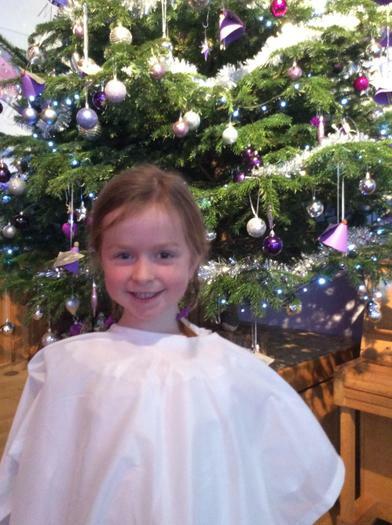 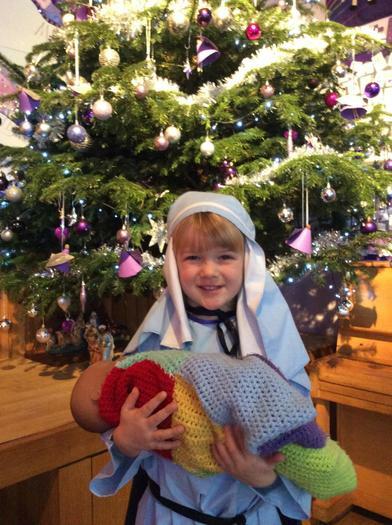 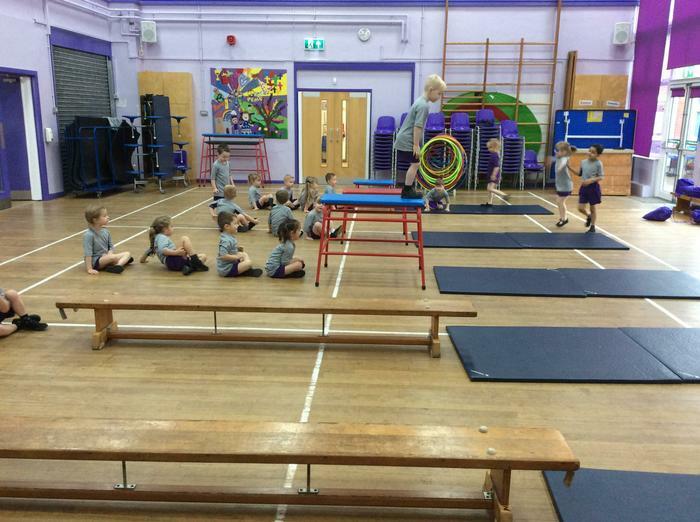 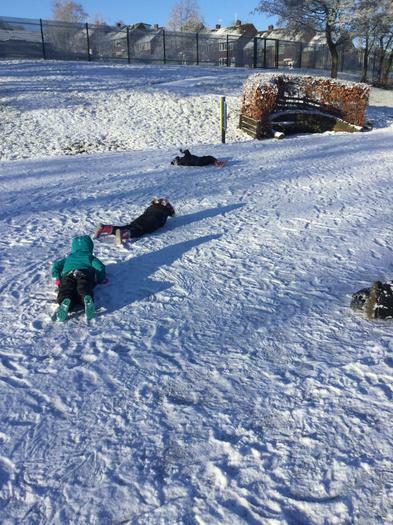 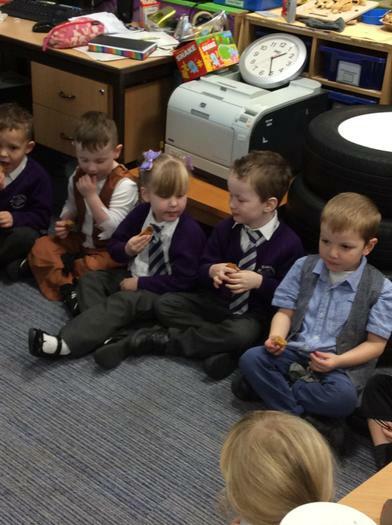 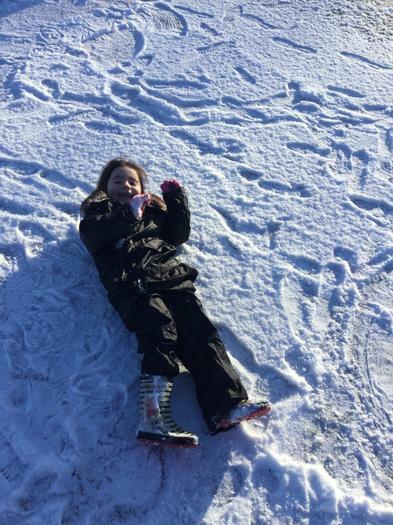 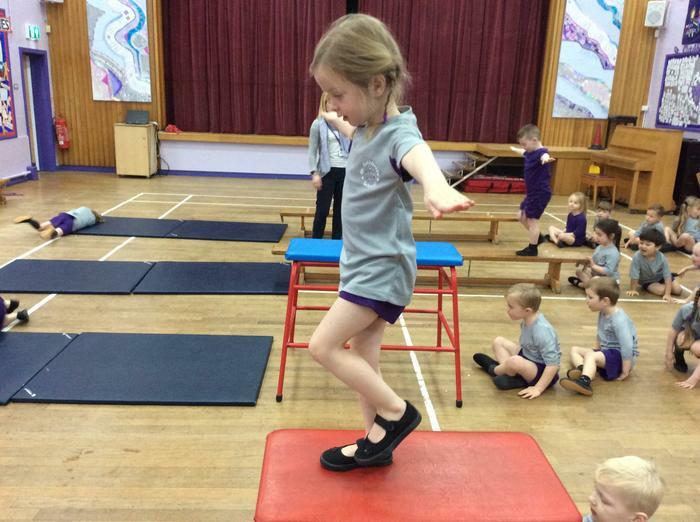 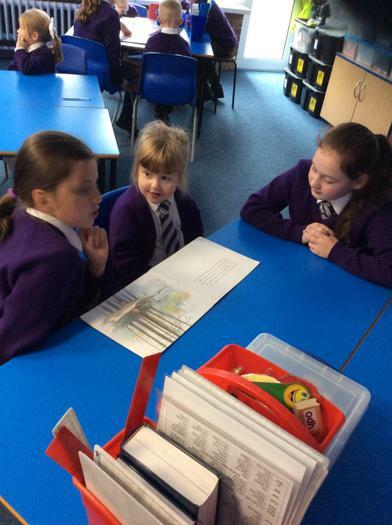 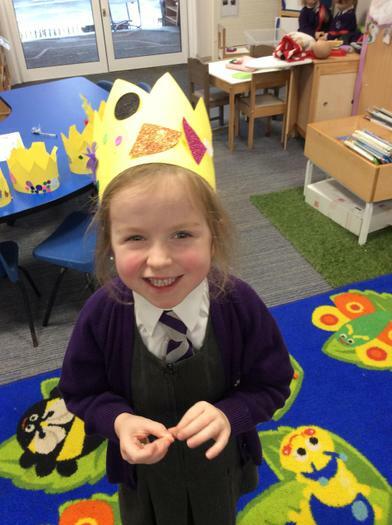 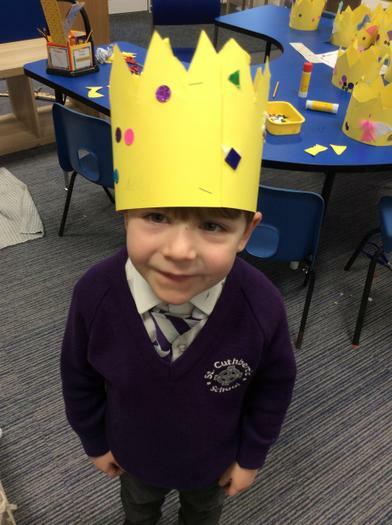 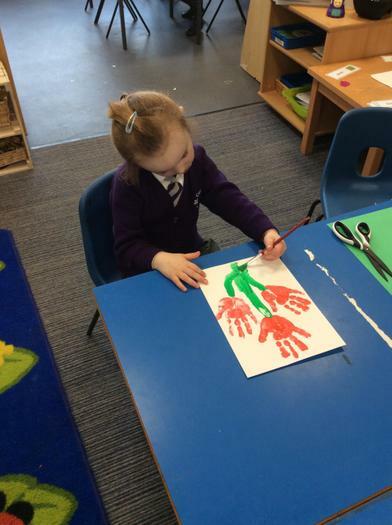 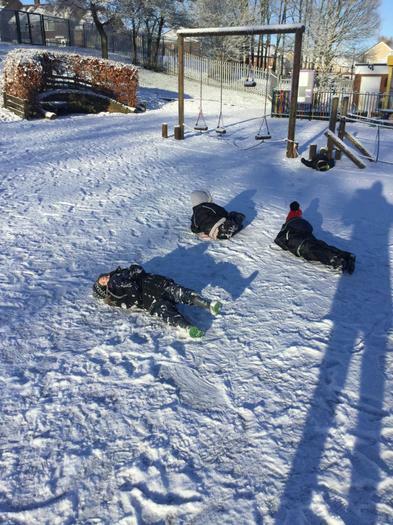 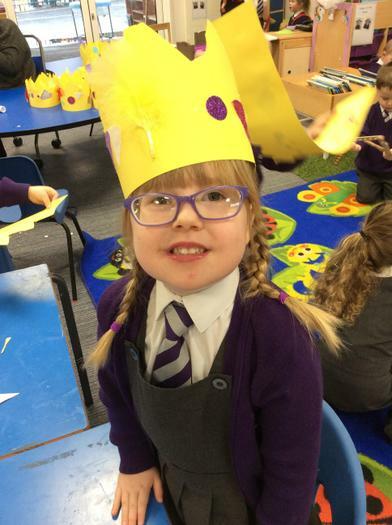 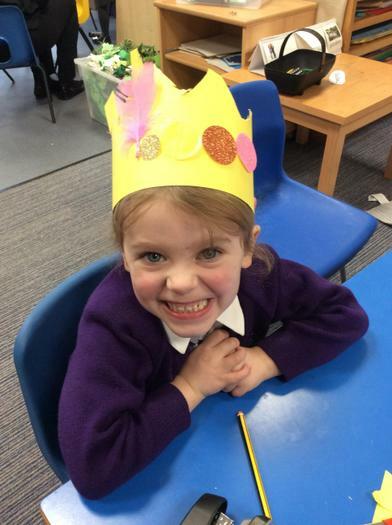 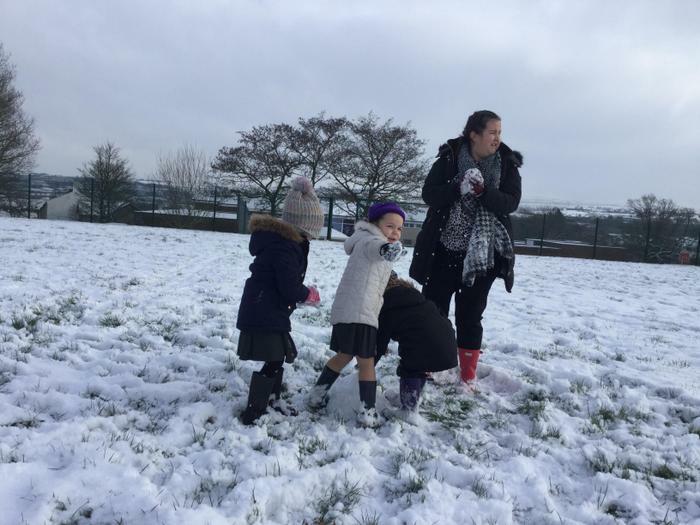 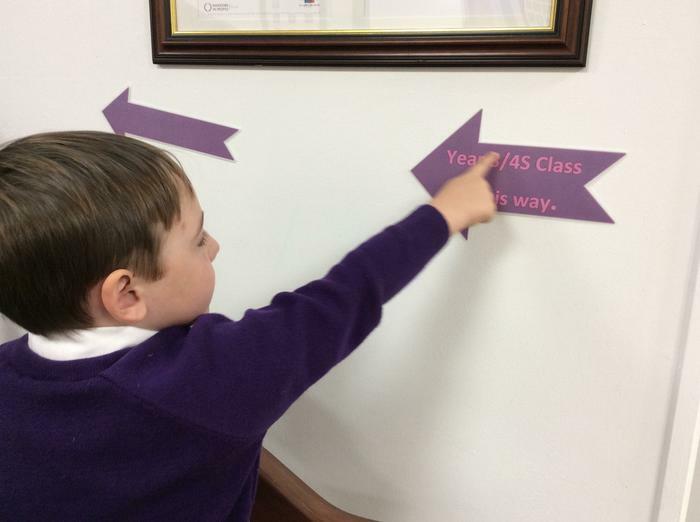 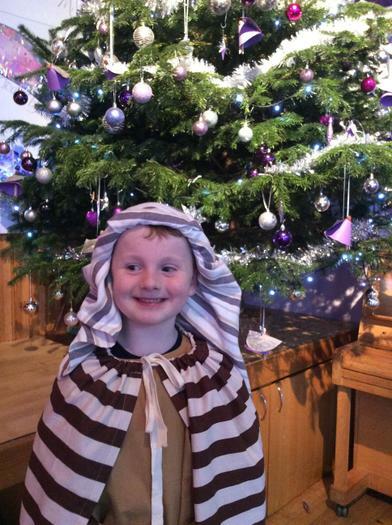 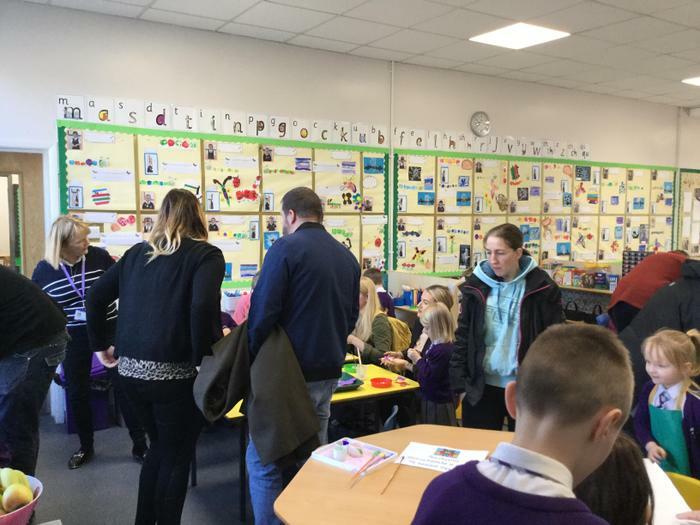 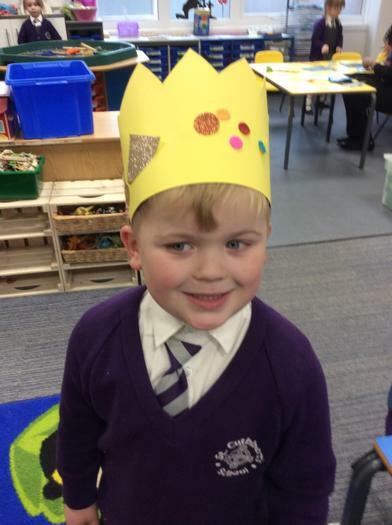 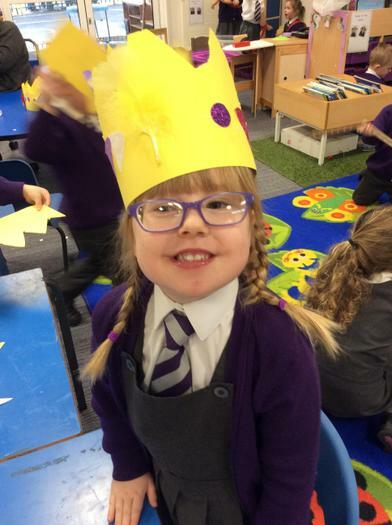 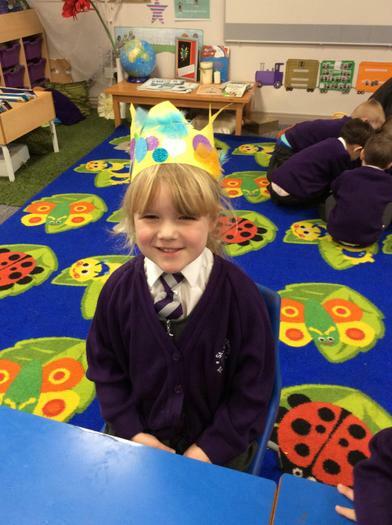 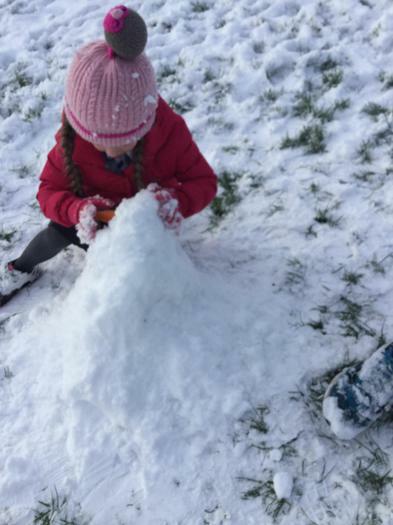 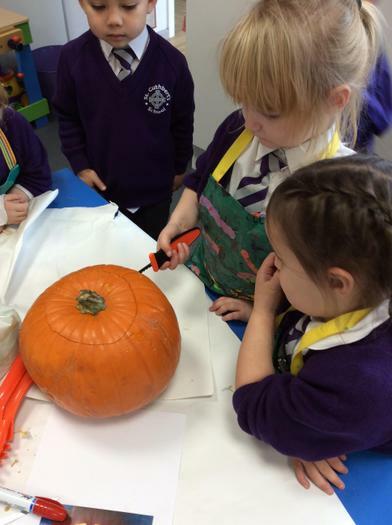 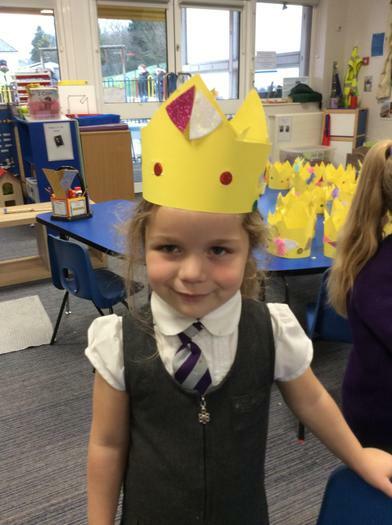 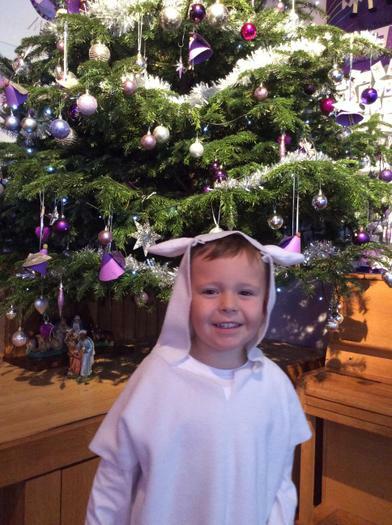 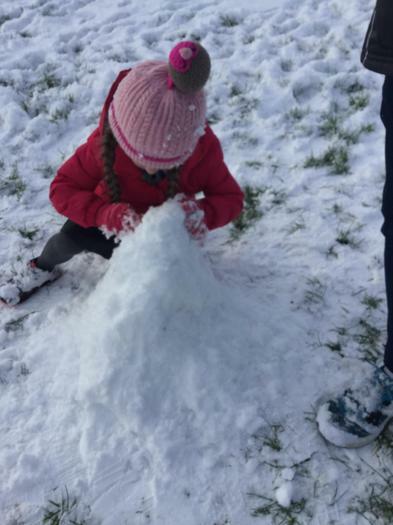 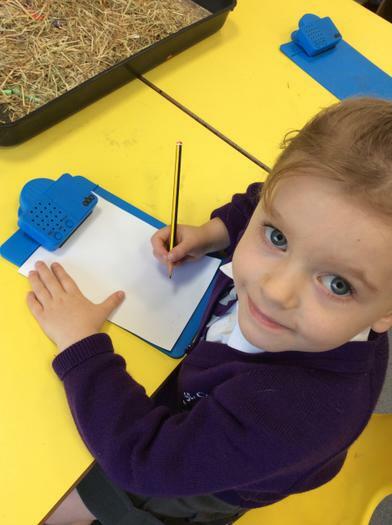 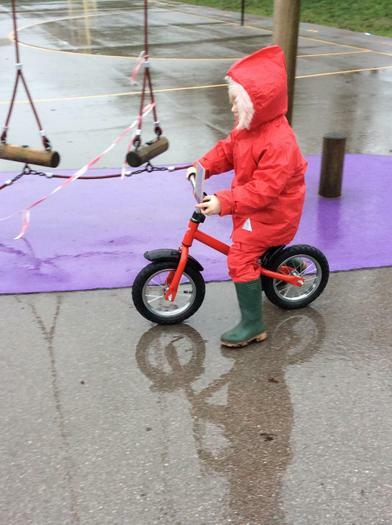 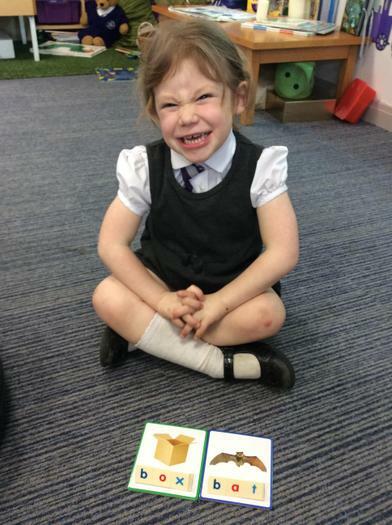 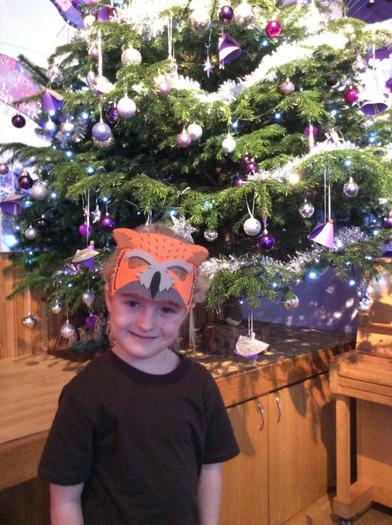 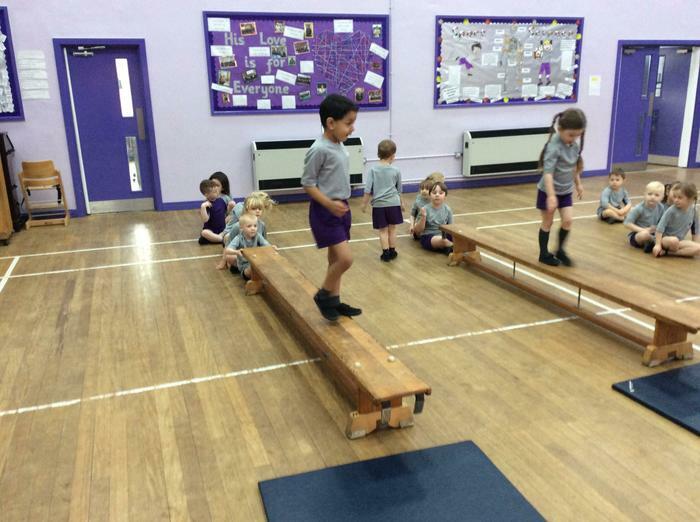 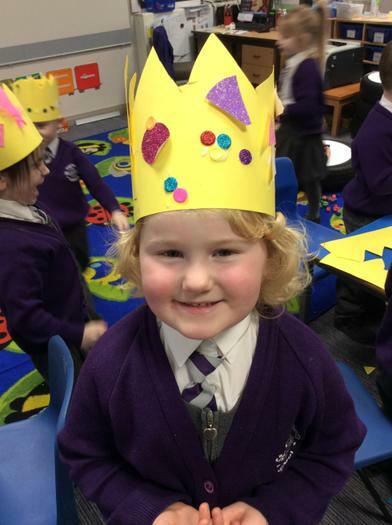 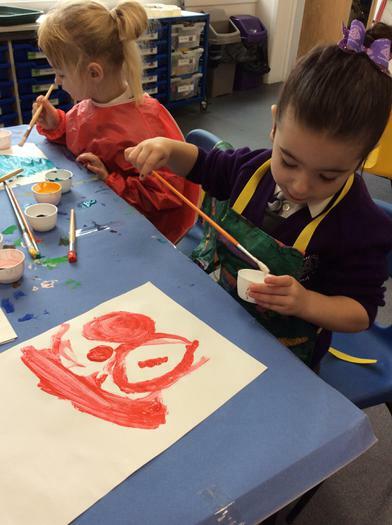 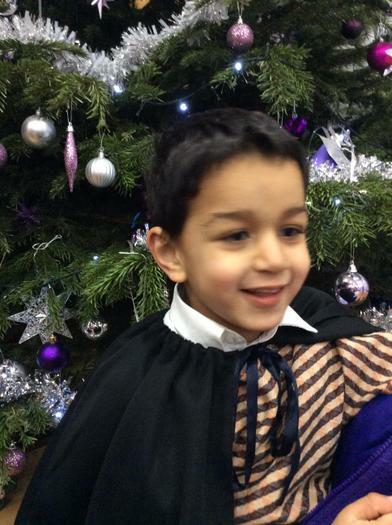 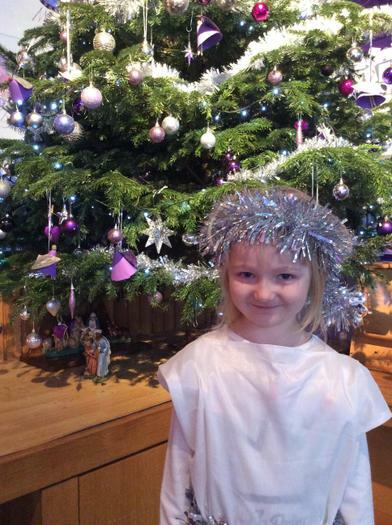 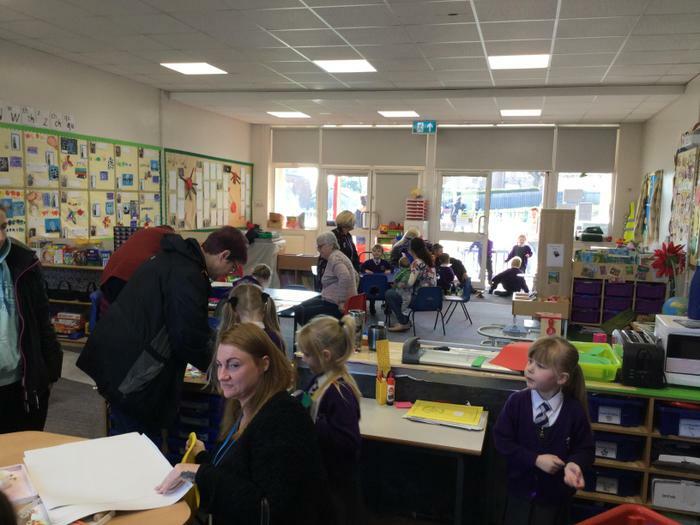 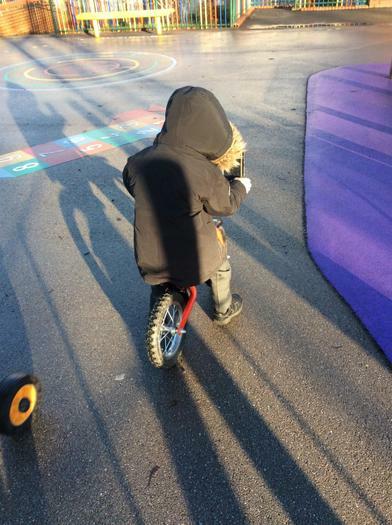 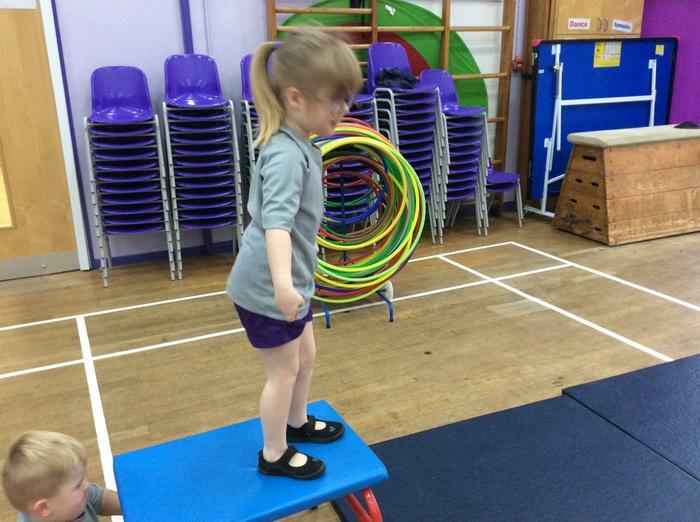 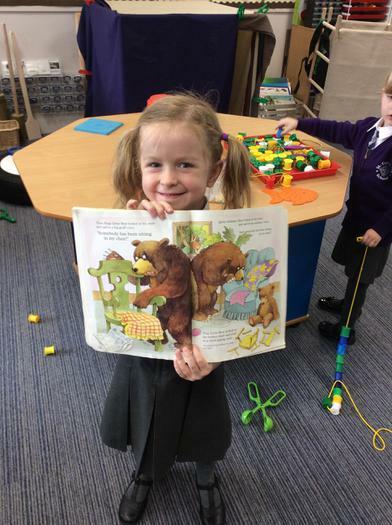 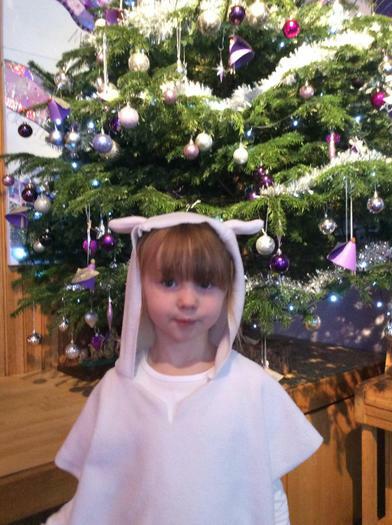 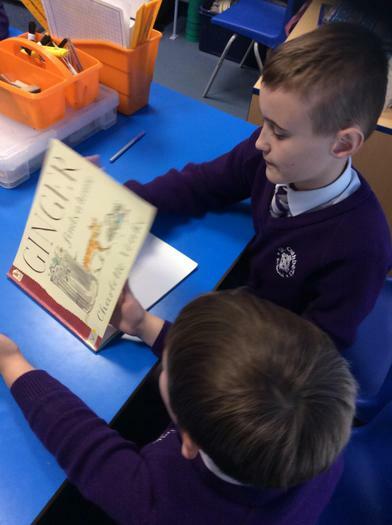 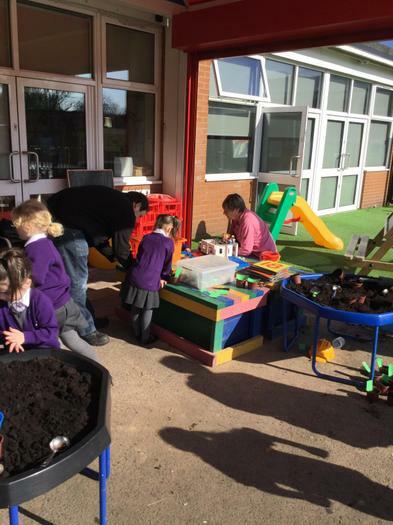 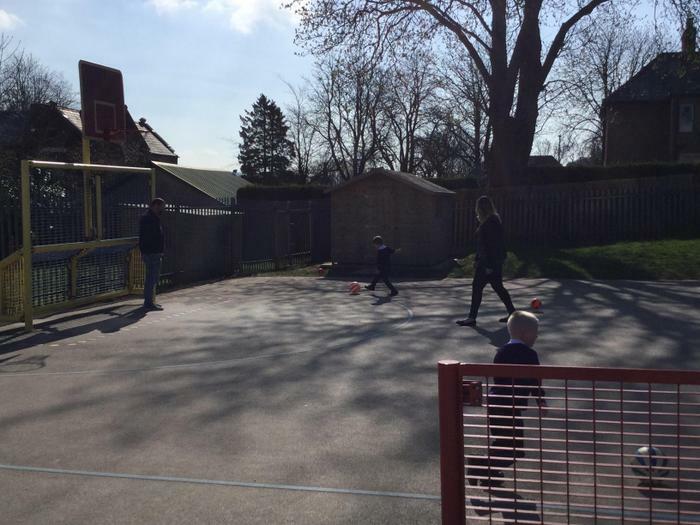 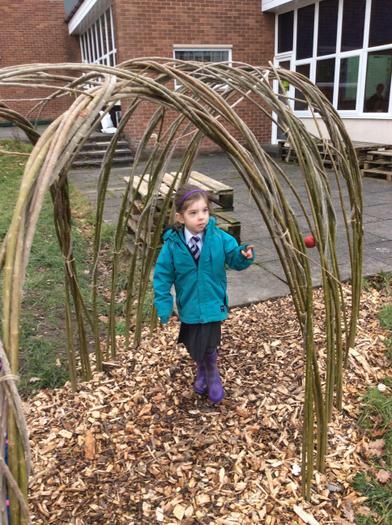 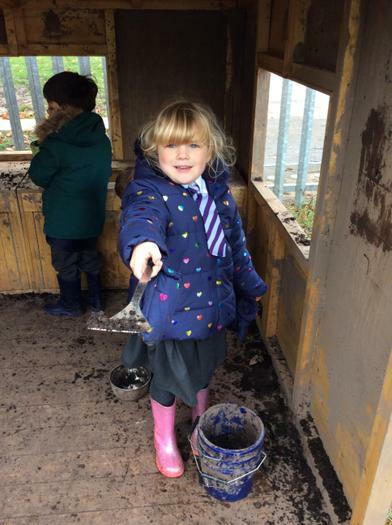 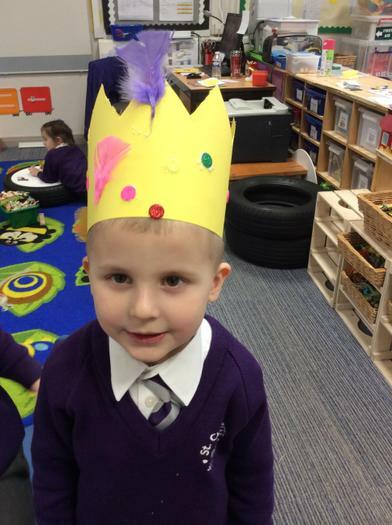 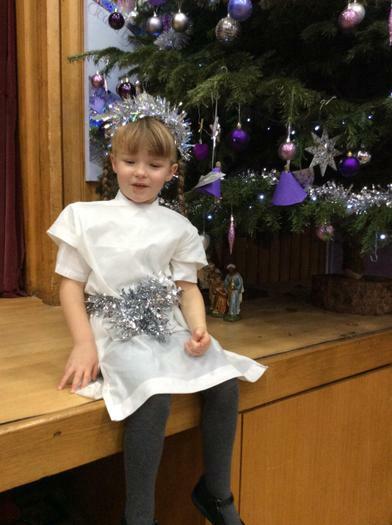 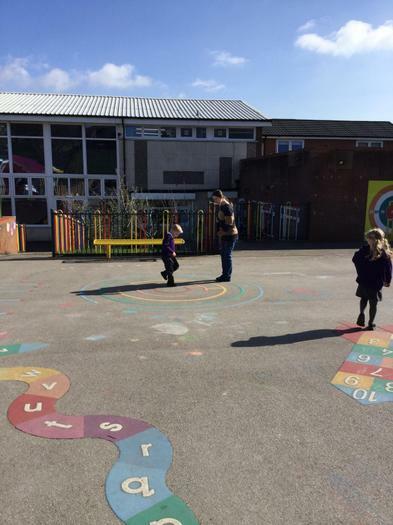 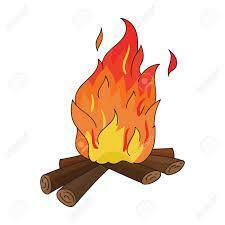 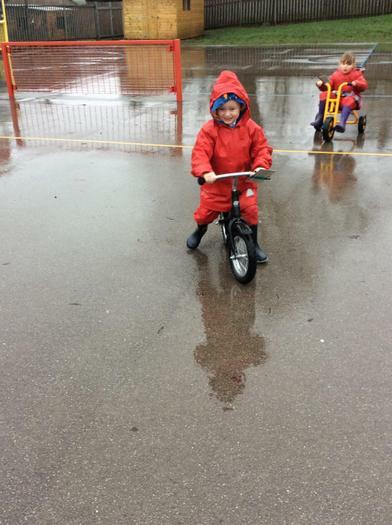 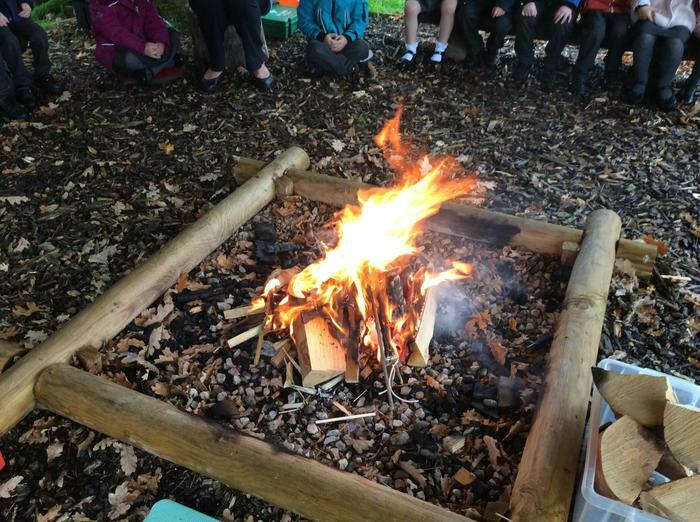 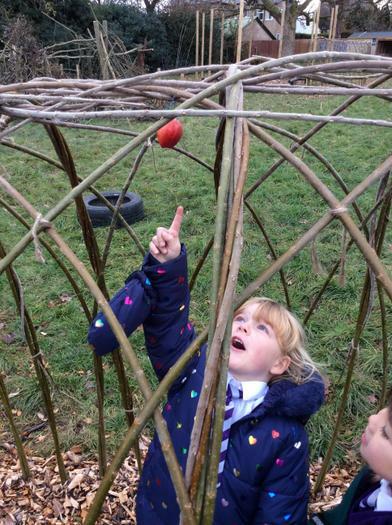 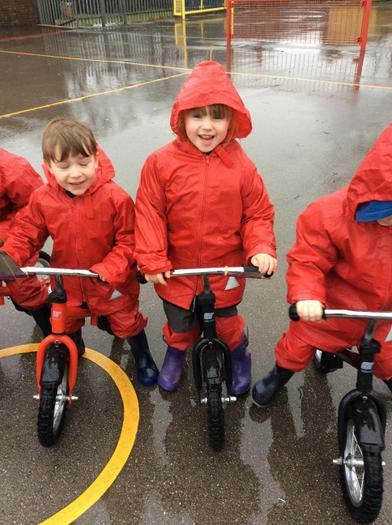 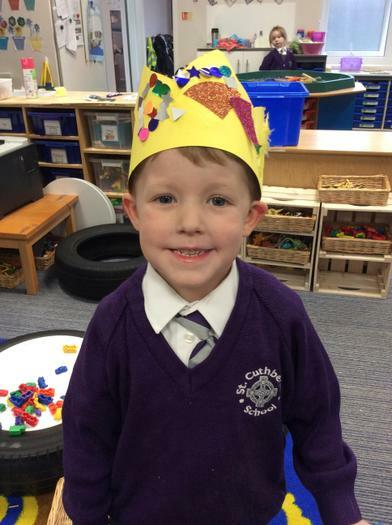 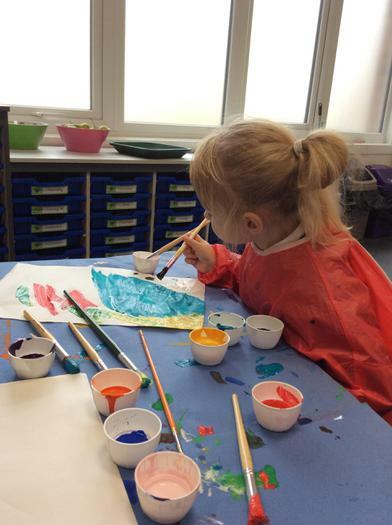 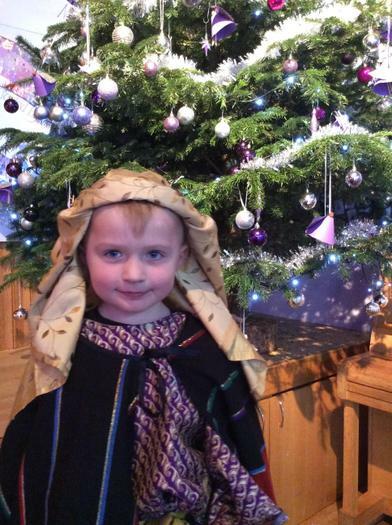 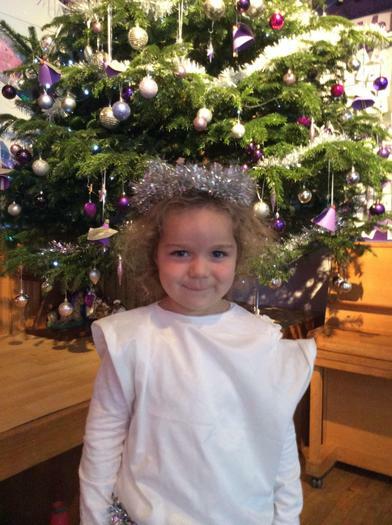 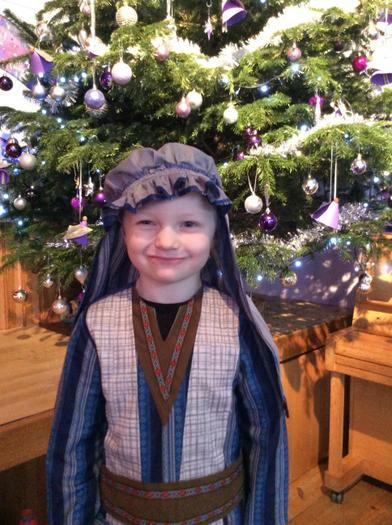 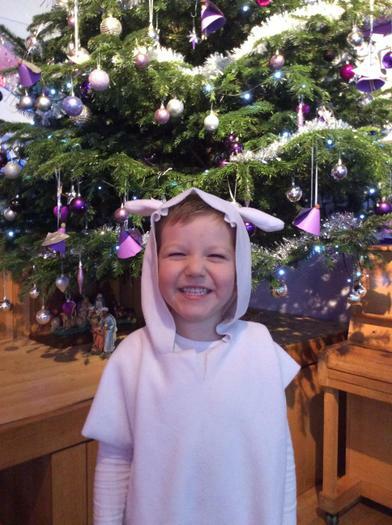 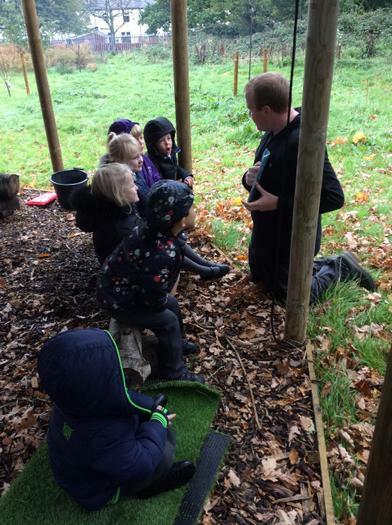 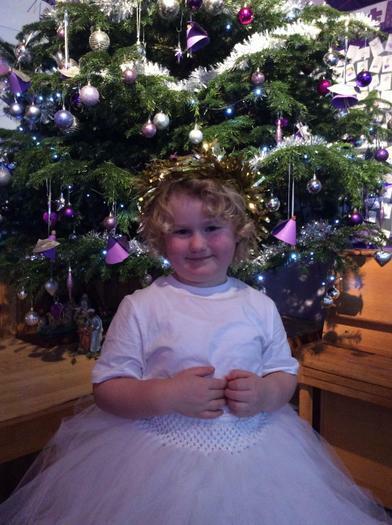 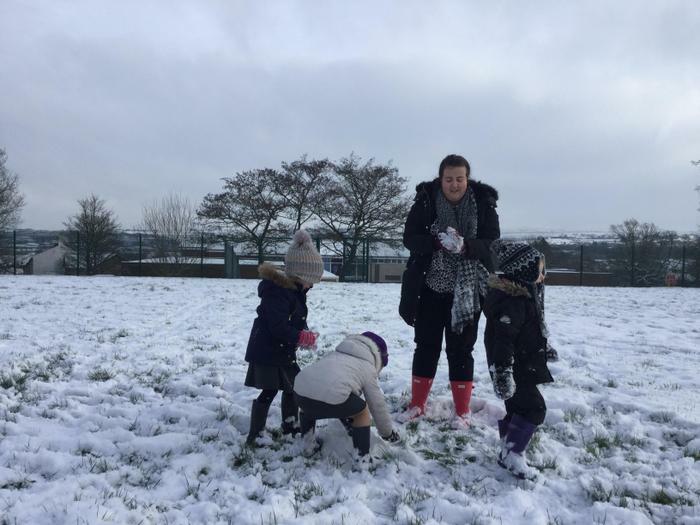 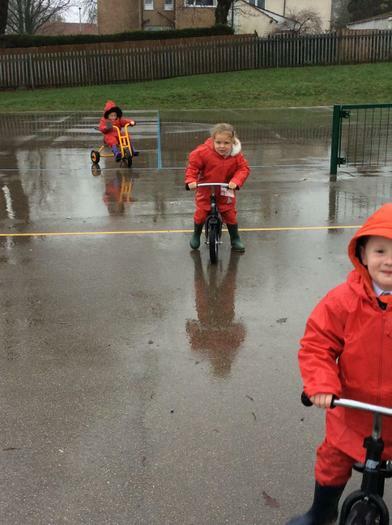 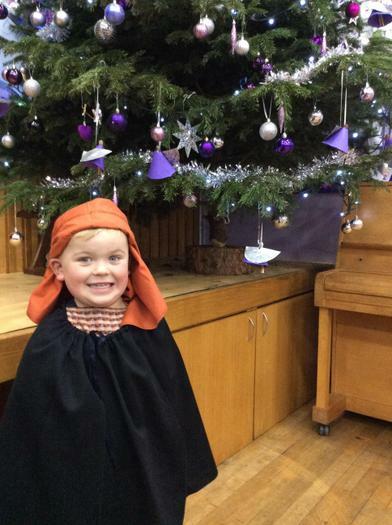 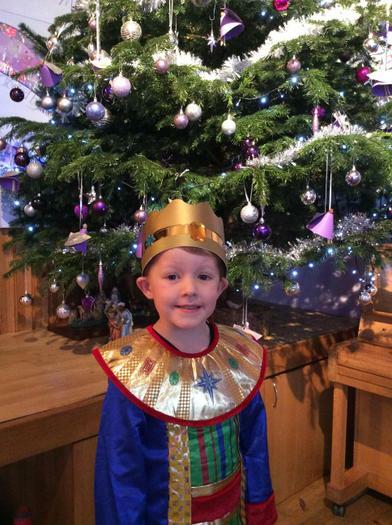 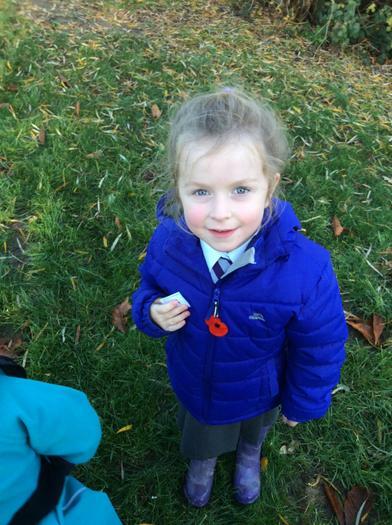 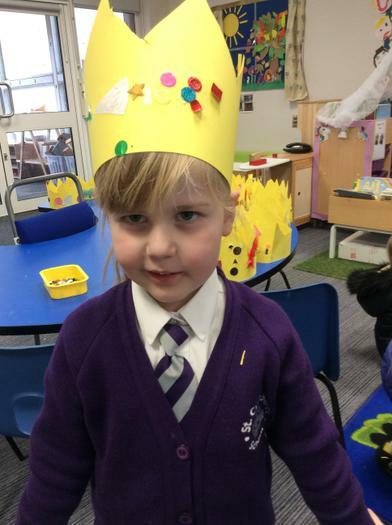 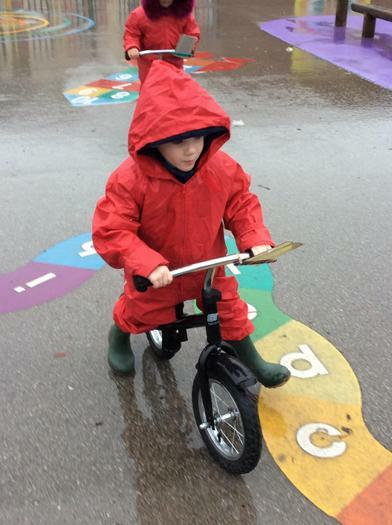 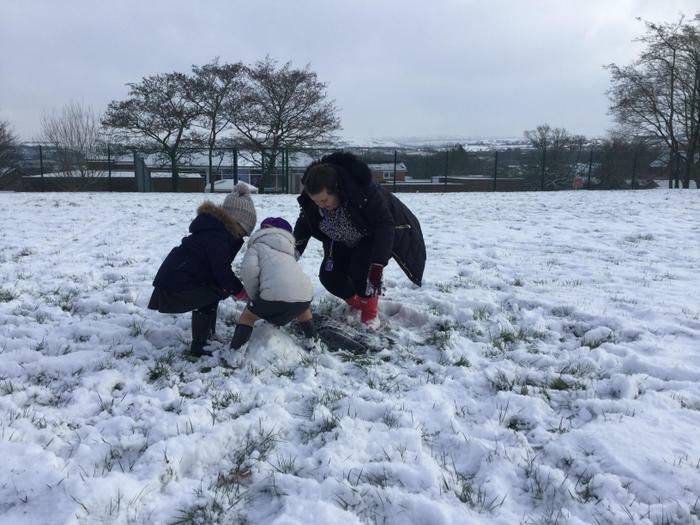 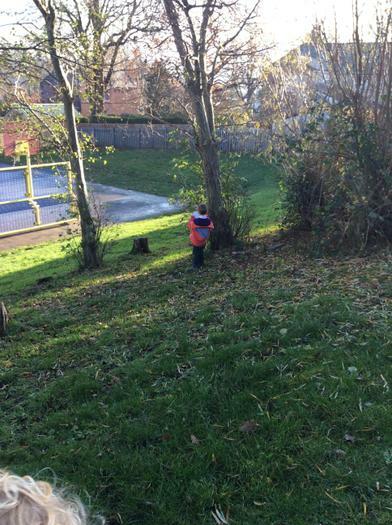 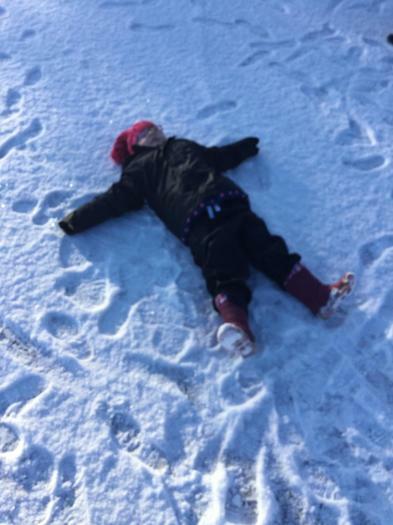 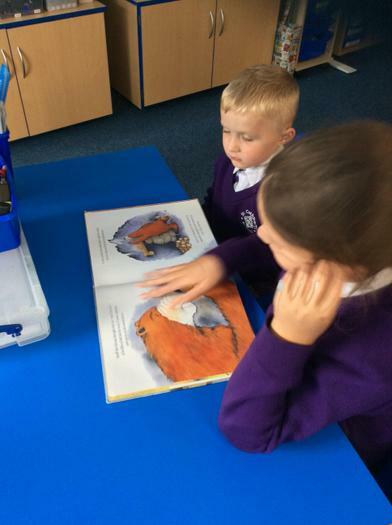 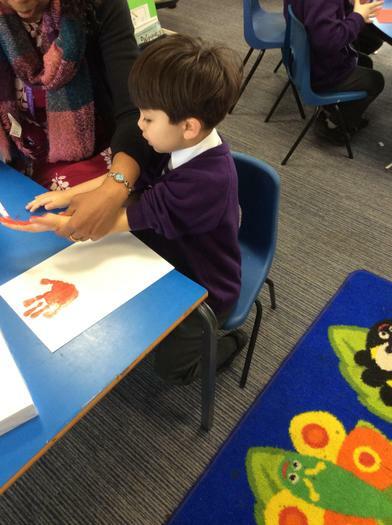 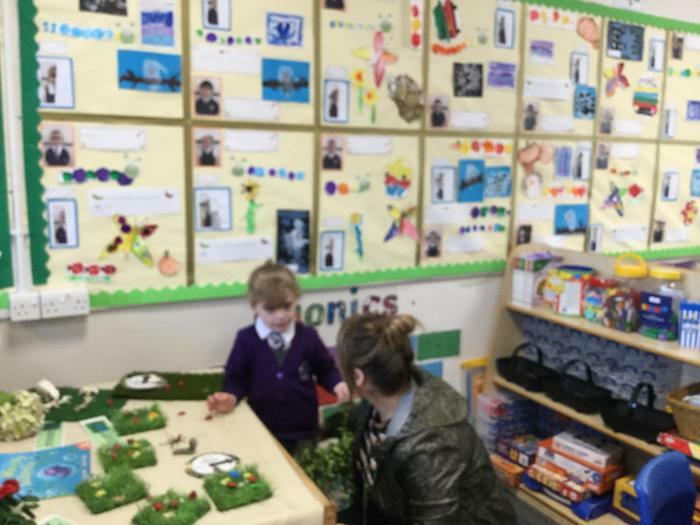 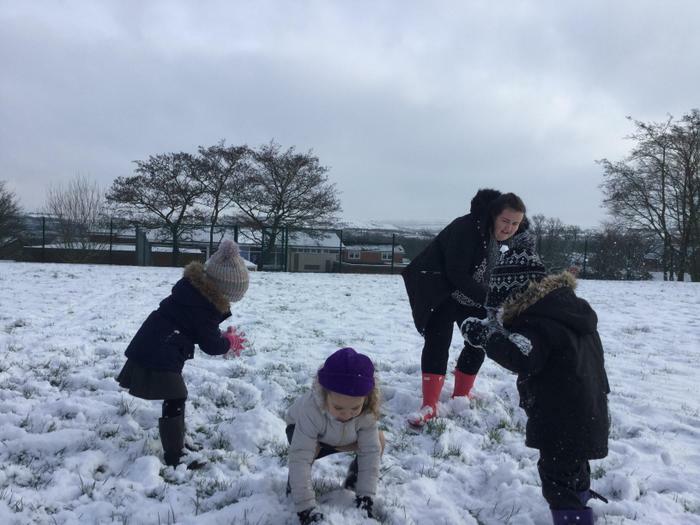 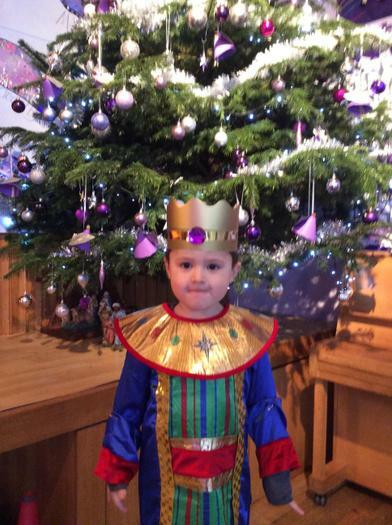 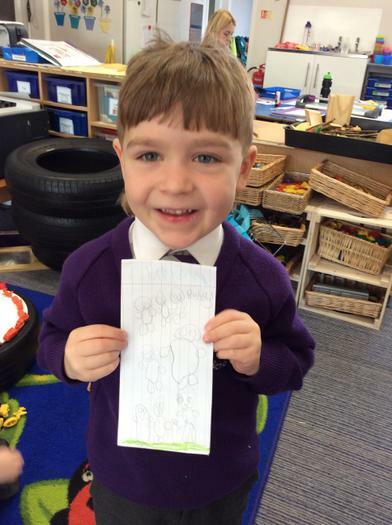 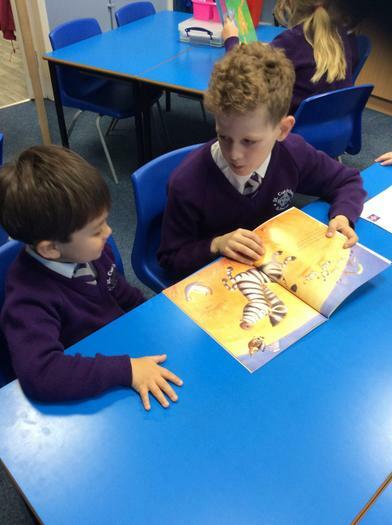 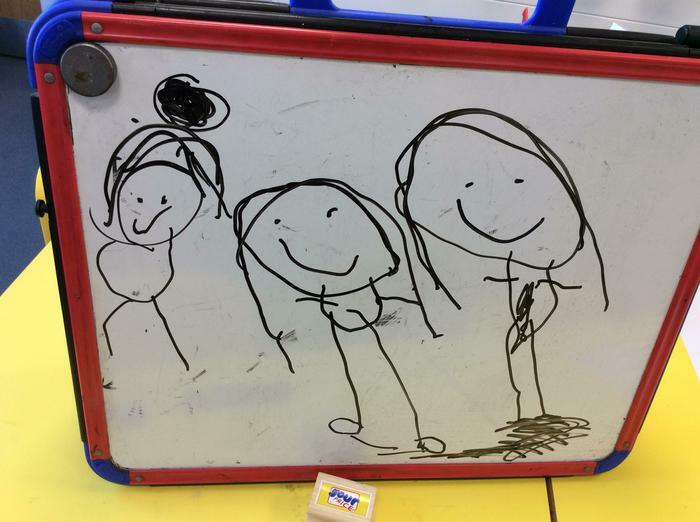 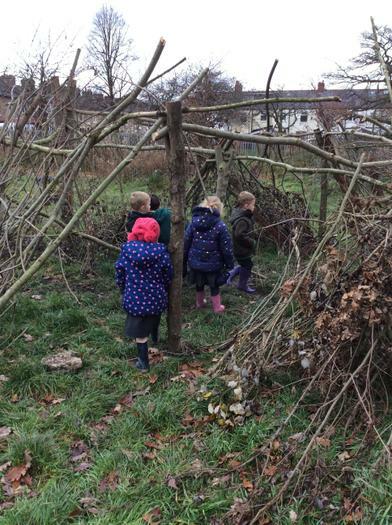 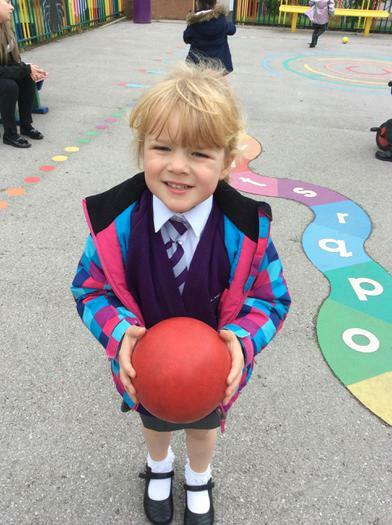 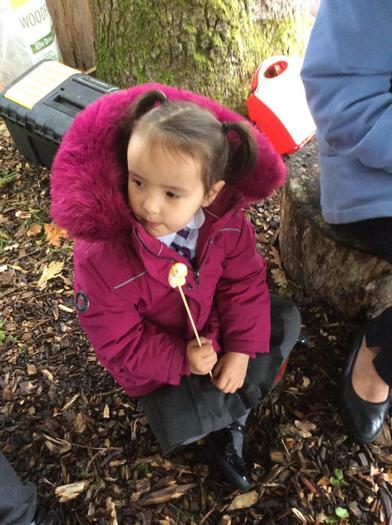 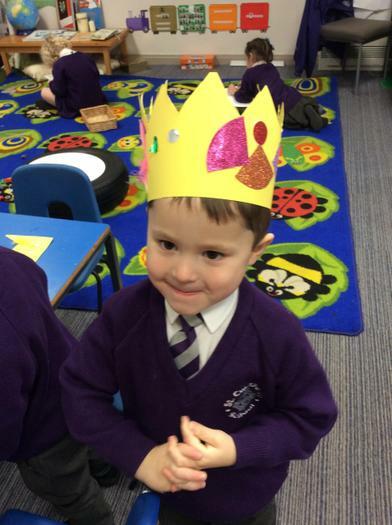 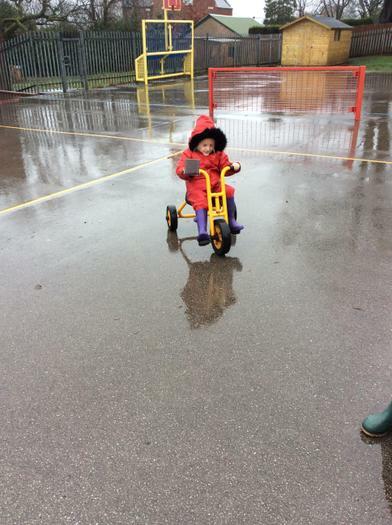 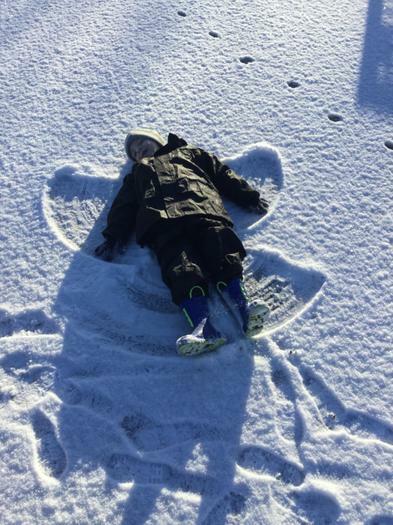 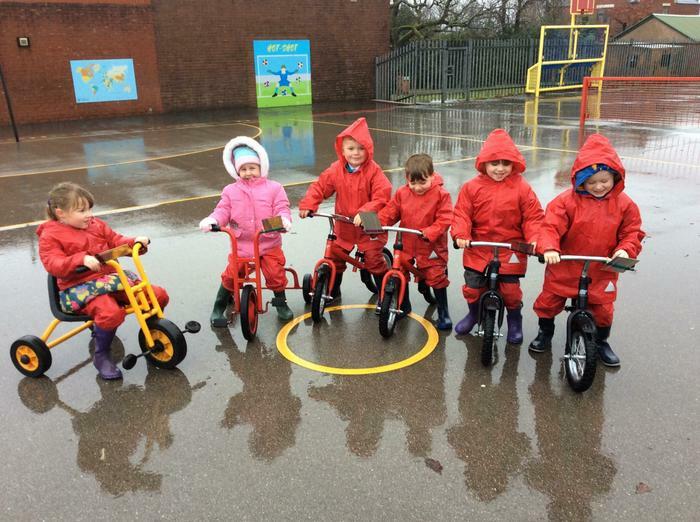 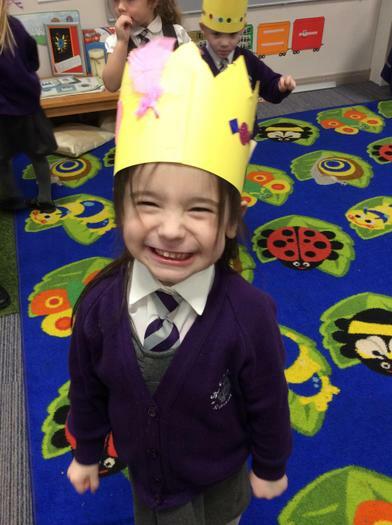 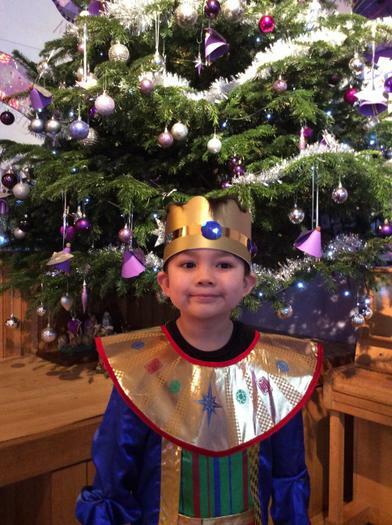 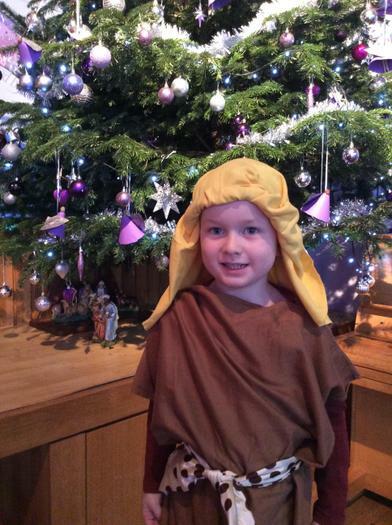 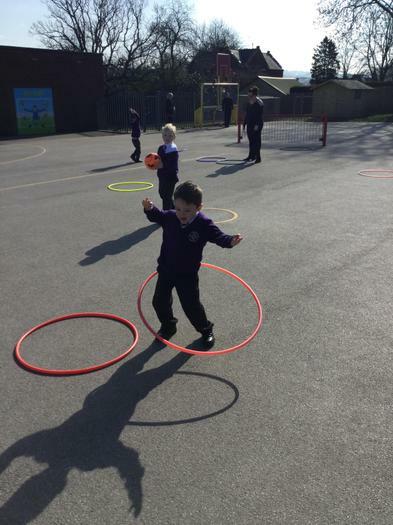 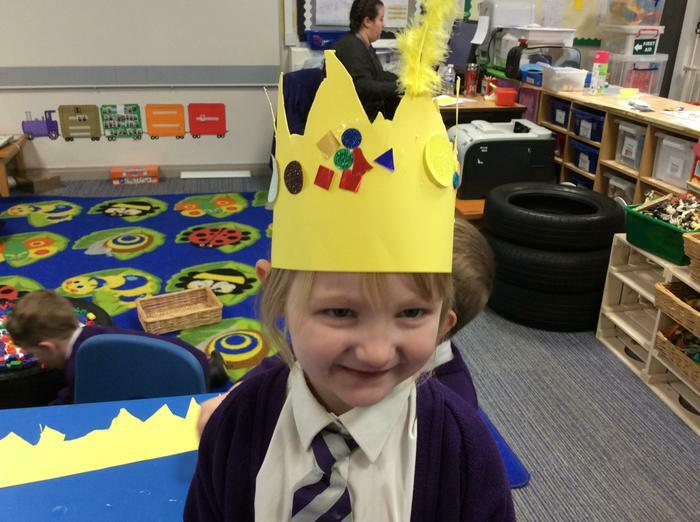 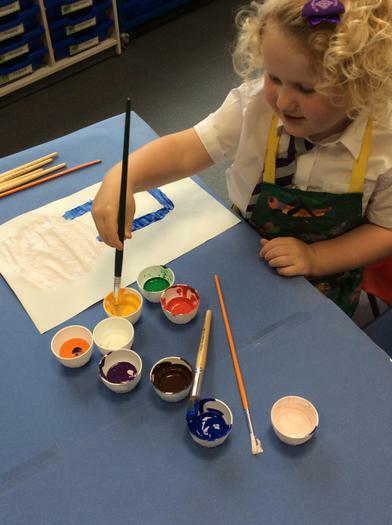 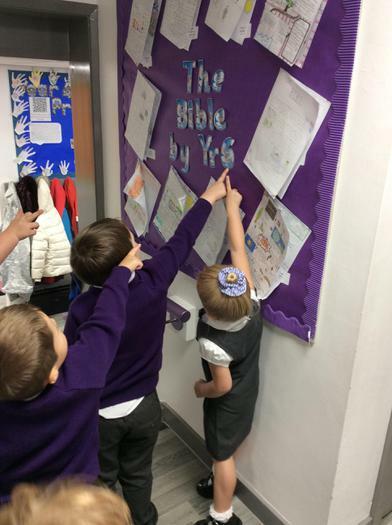 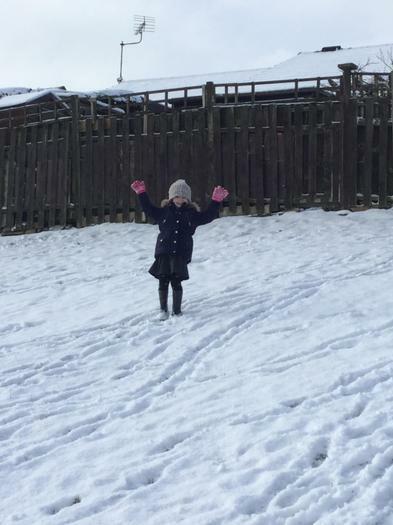 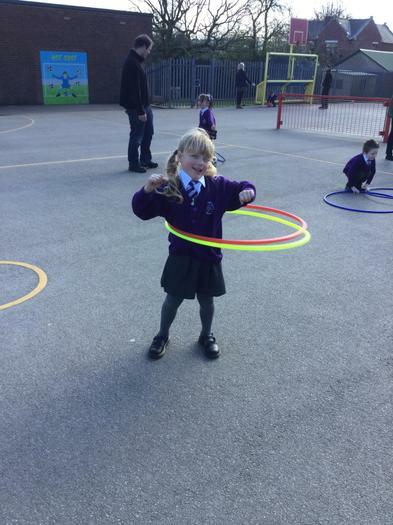 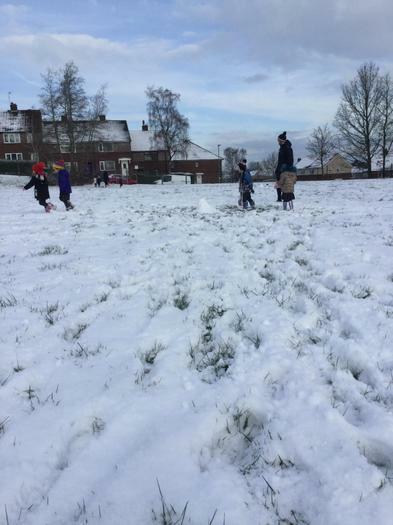 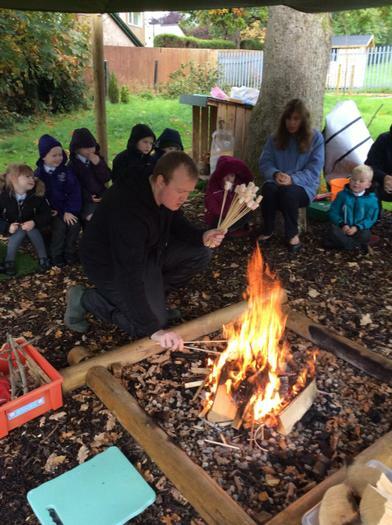 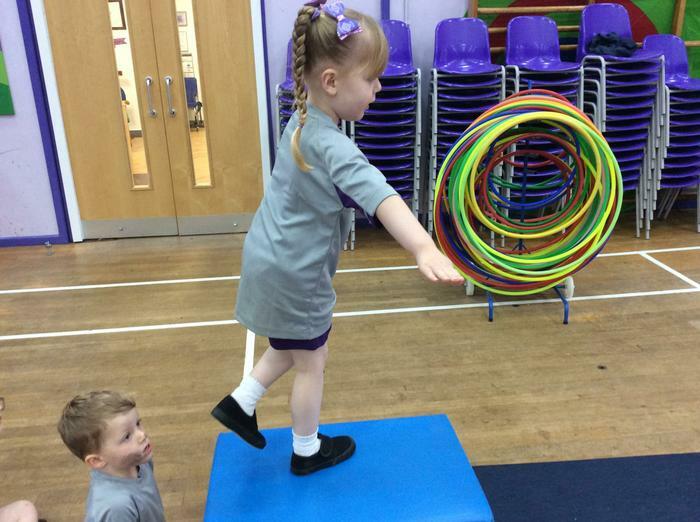 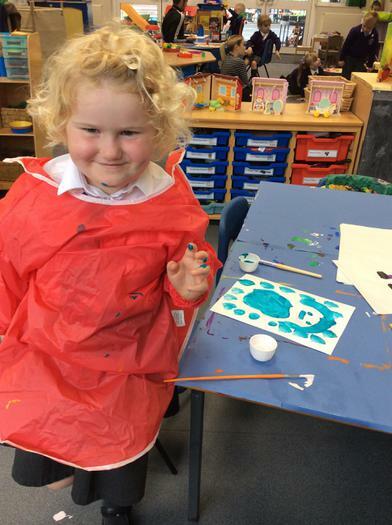 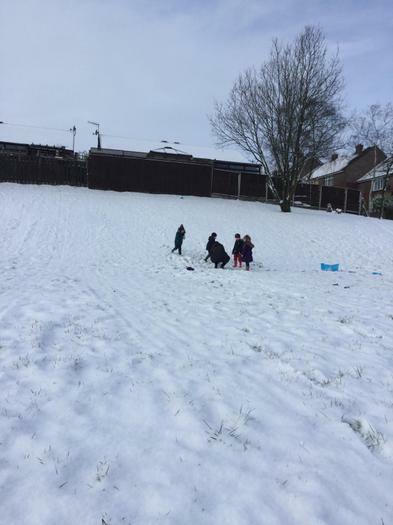 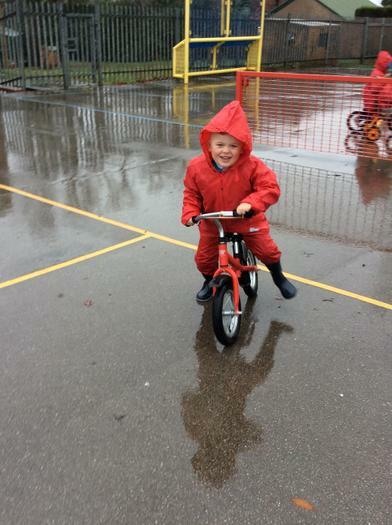 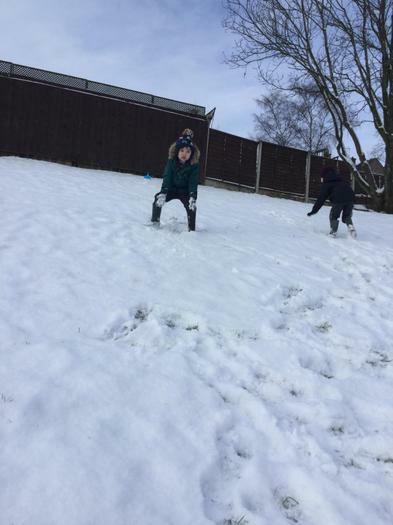 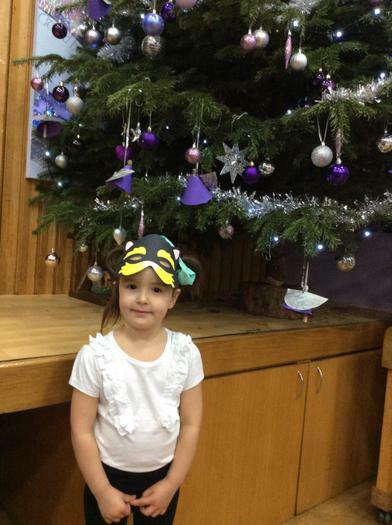 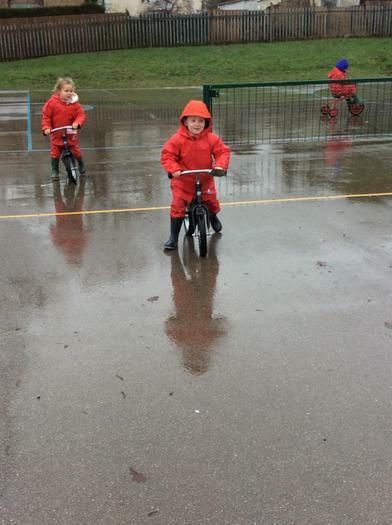 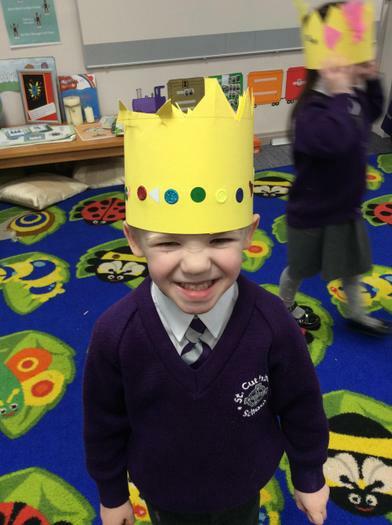 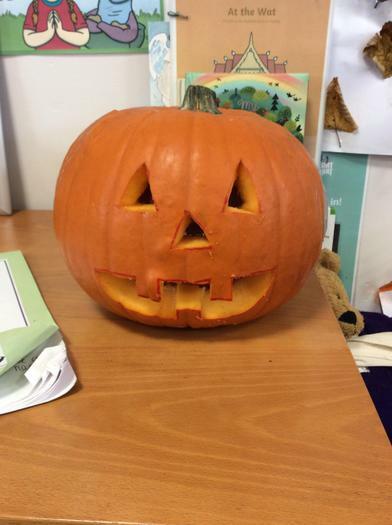 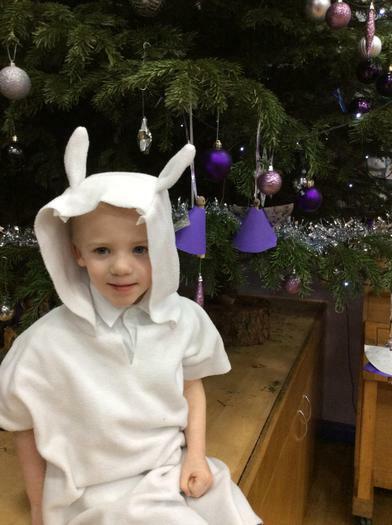 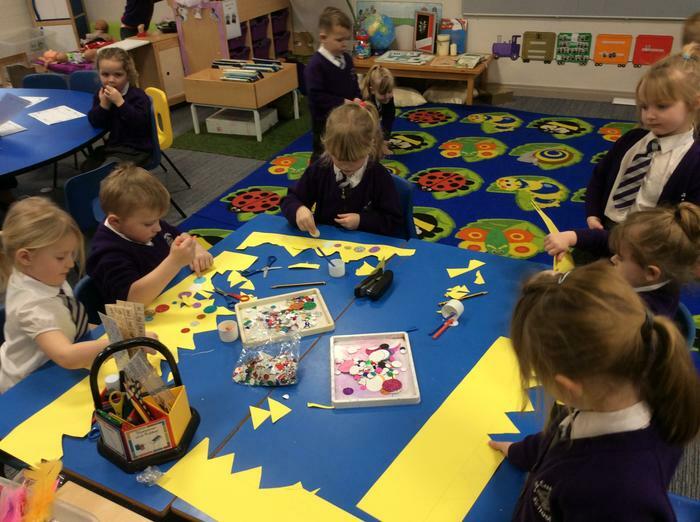 The children described ways in which they are special, focussing particularly on character. 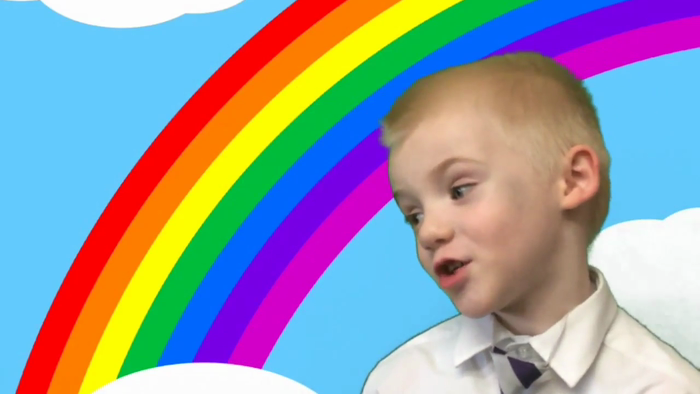 Don't forget to let love in!! 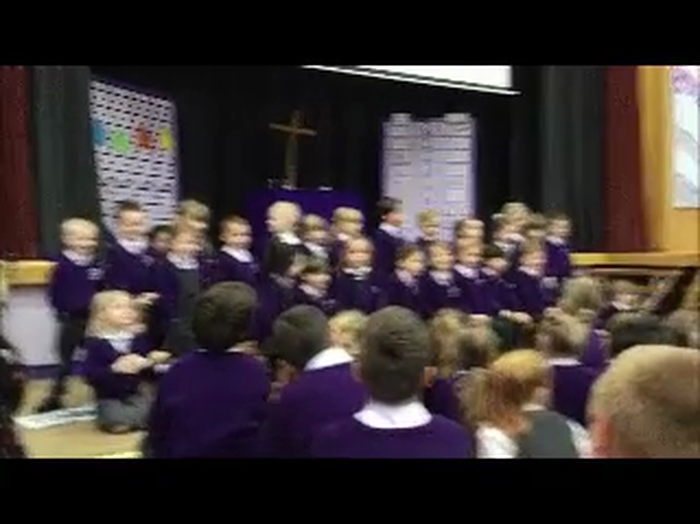 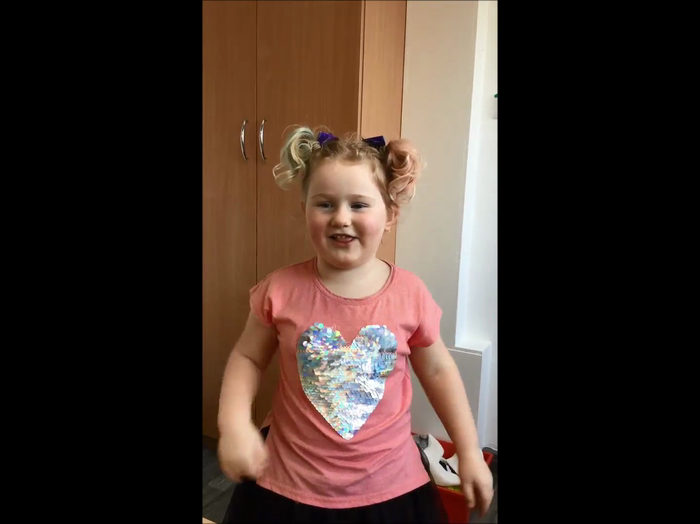 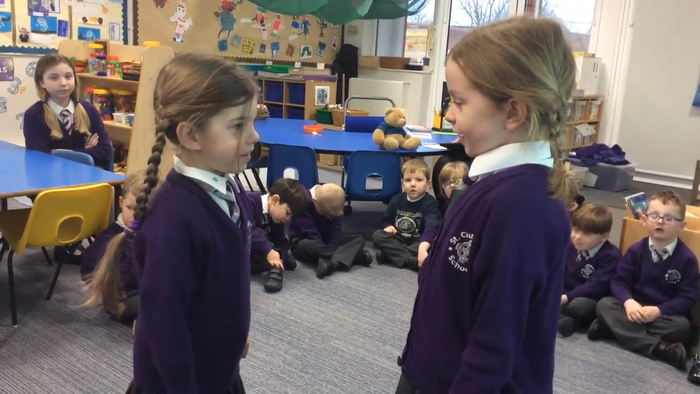 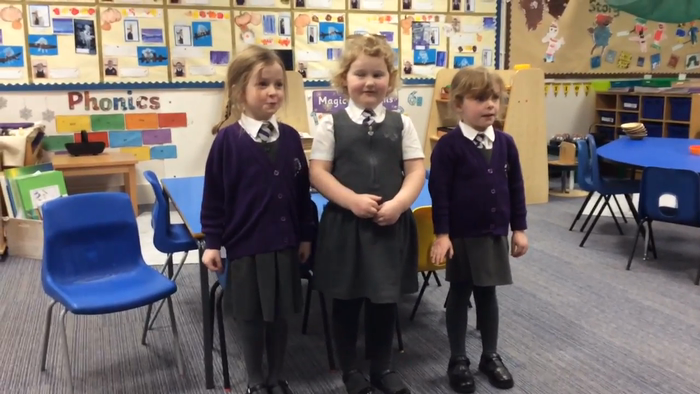 Molly,Lilly and Lucy singing a Spanish number song 1-10 forwards and backwards. 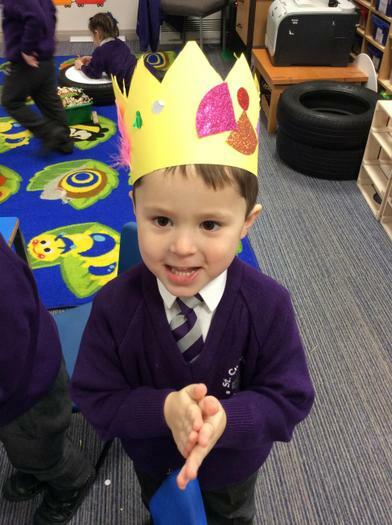 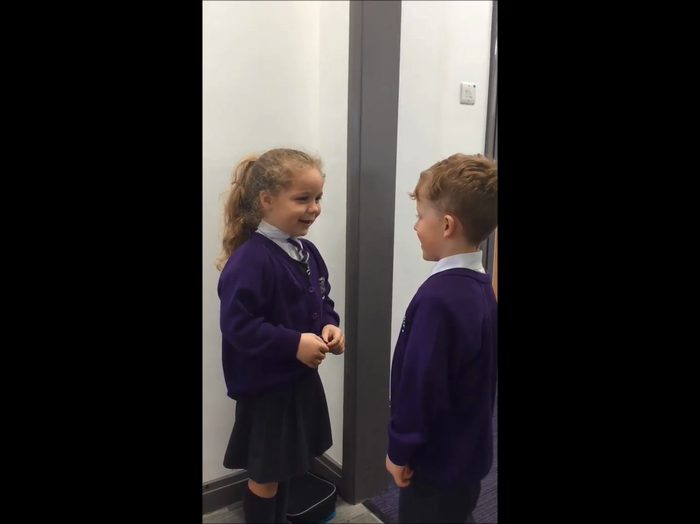 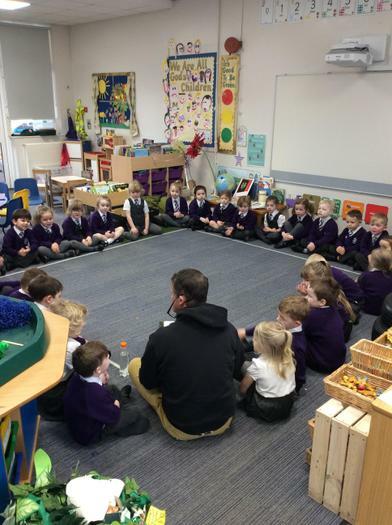 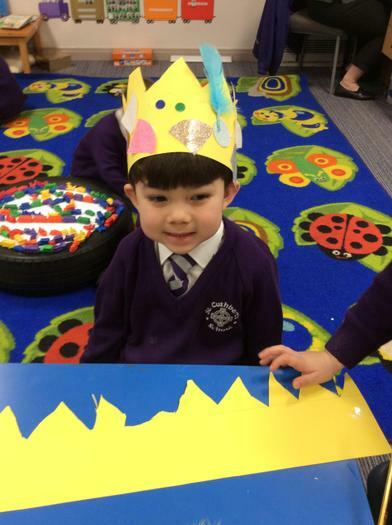 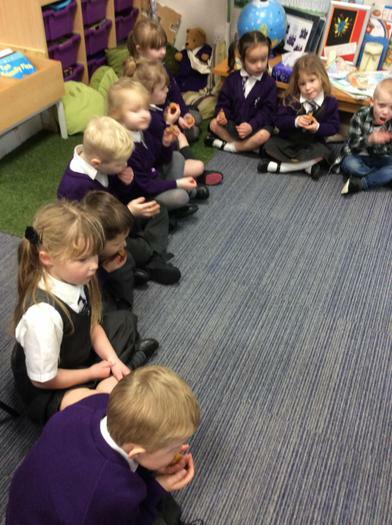 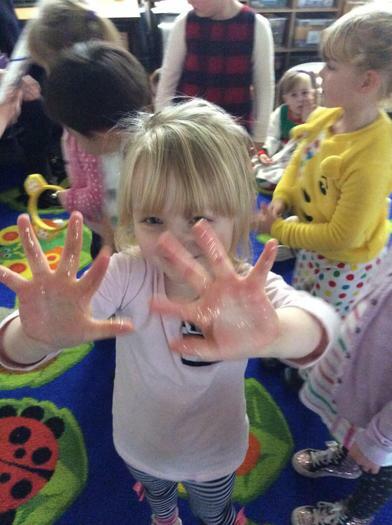 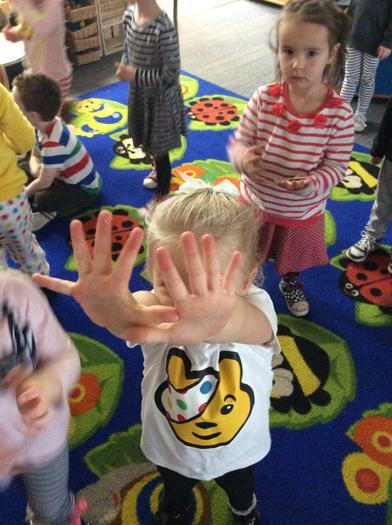 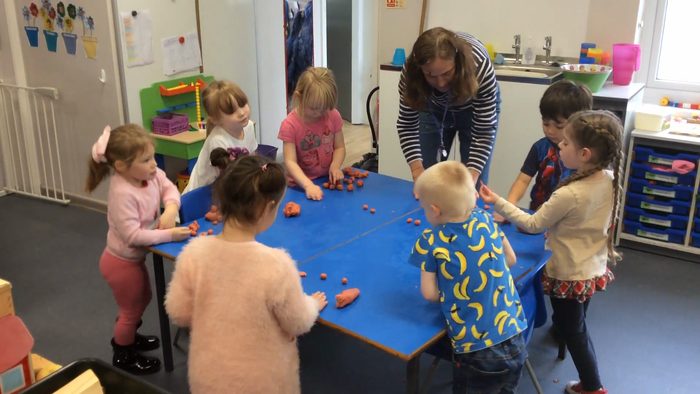 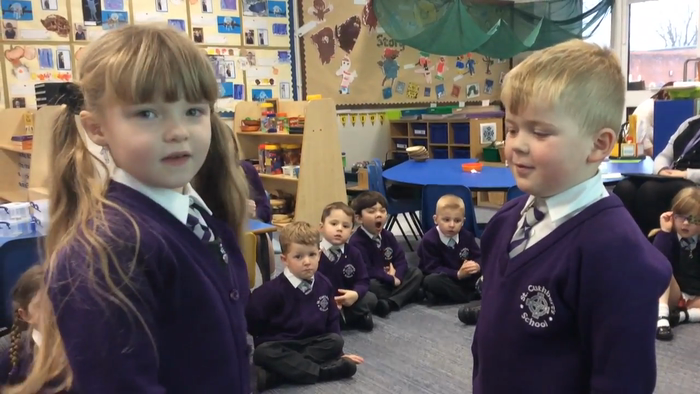 Early years asking what is your name? 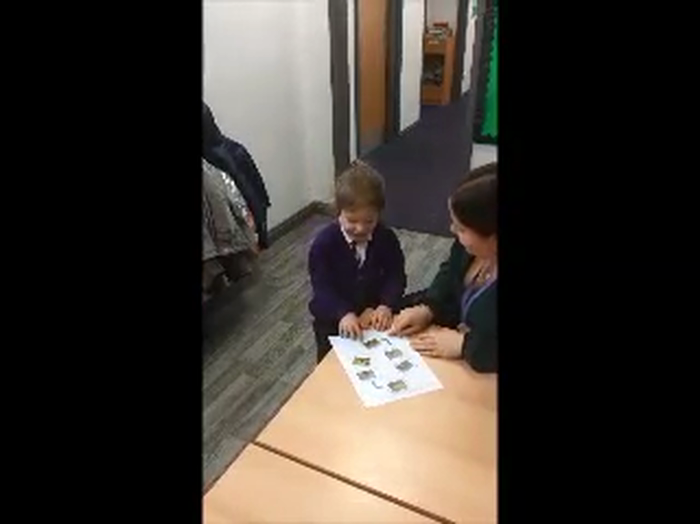 My name is... in our Spanish lesson. 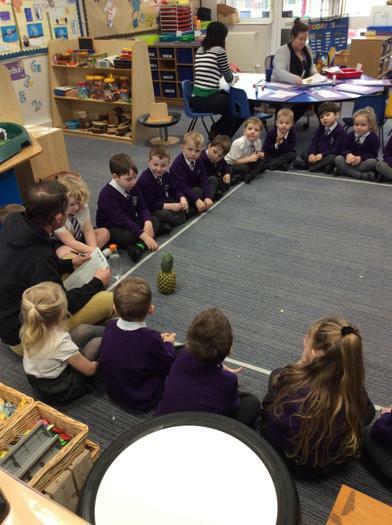 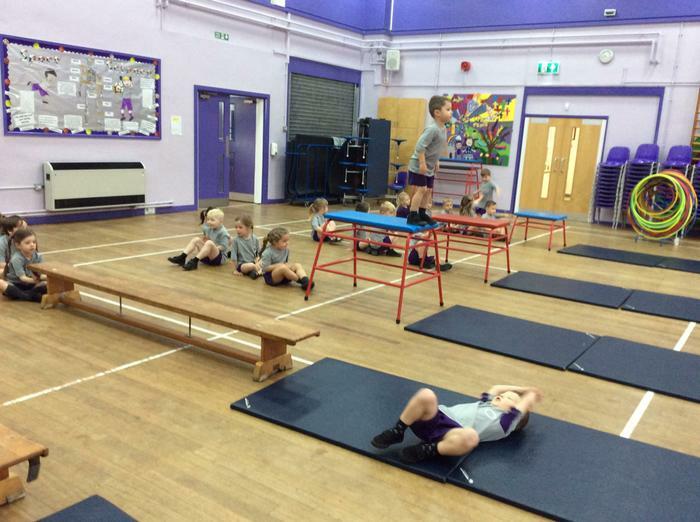 Our 2nd Session with Mr Simpson. 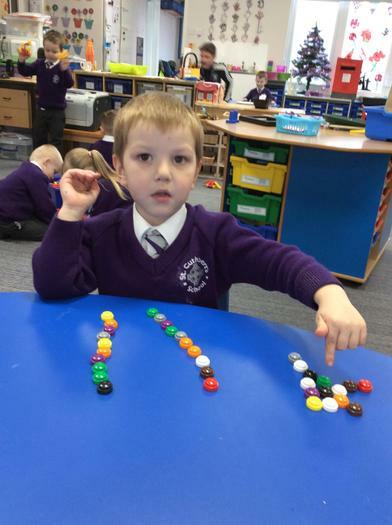 Adding two single digit numbers to make a total of 10. 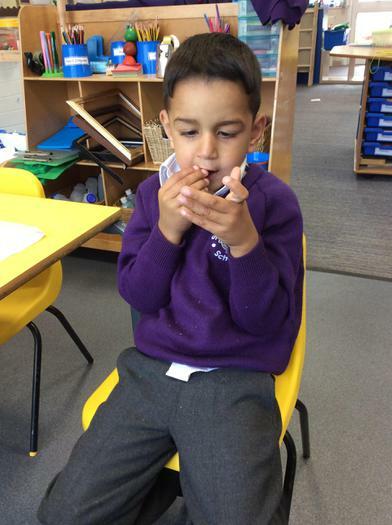 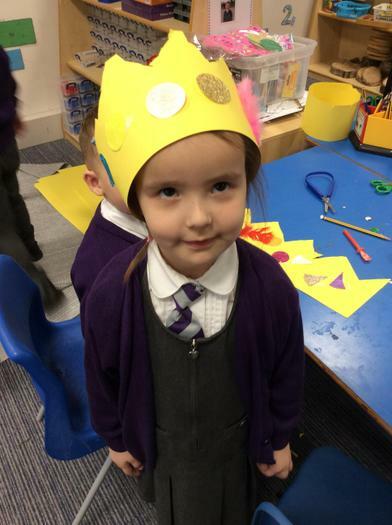 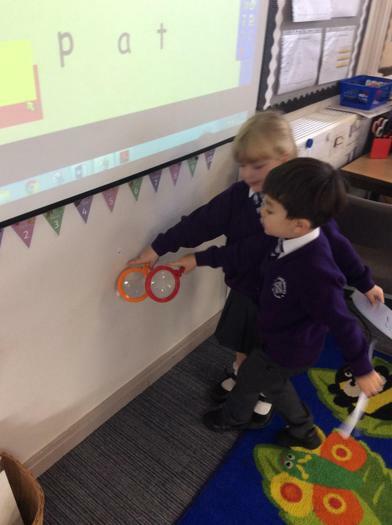 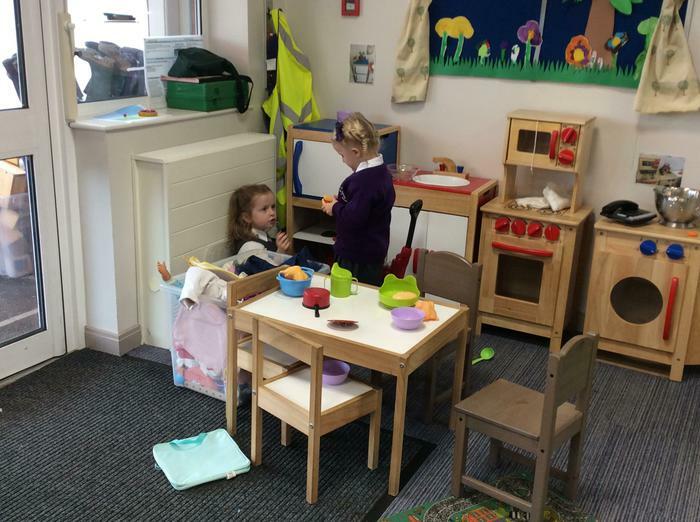 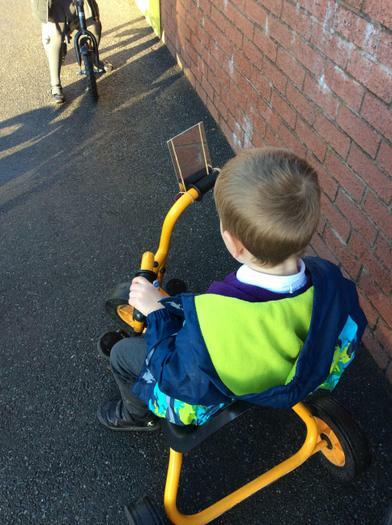 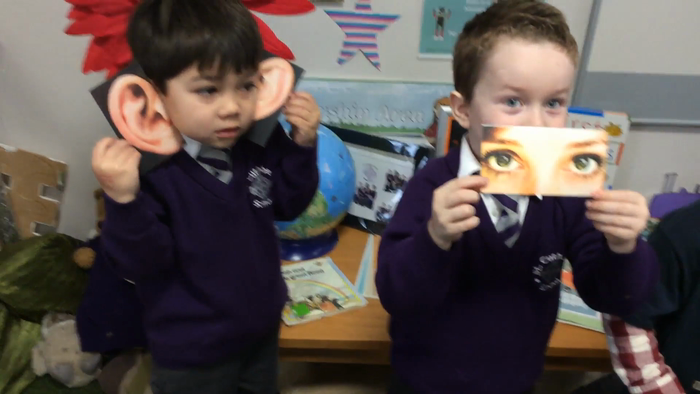 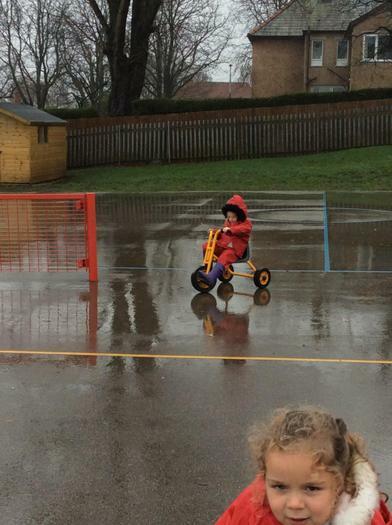 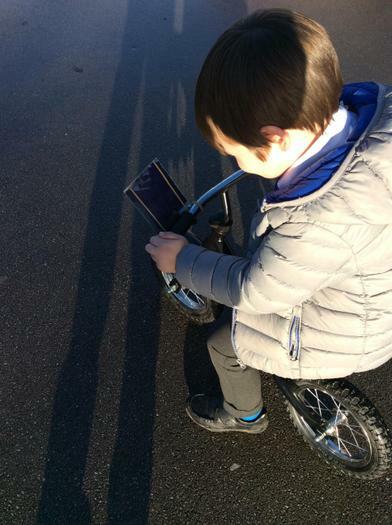 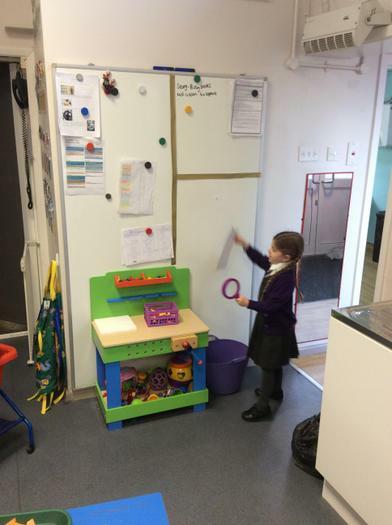 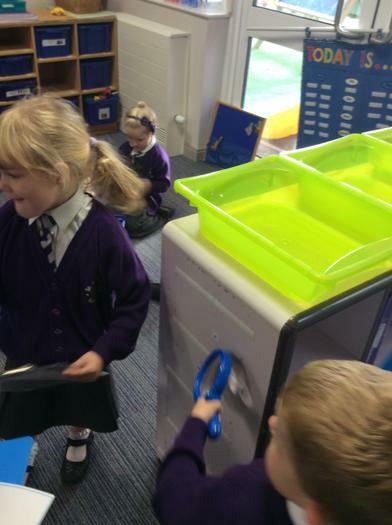 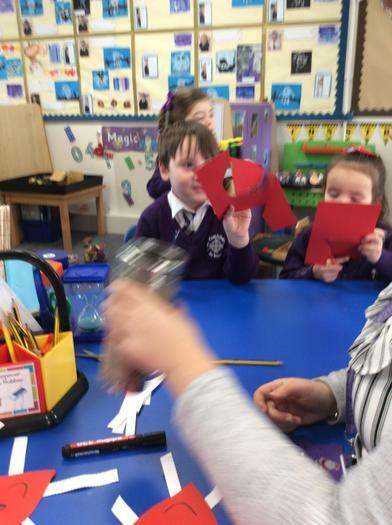 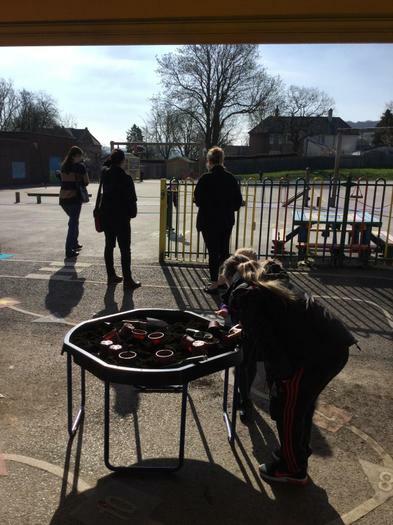 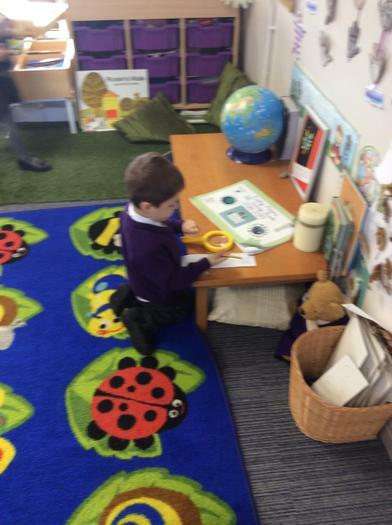 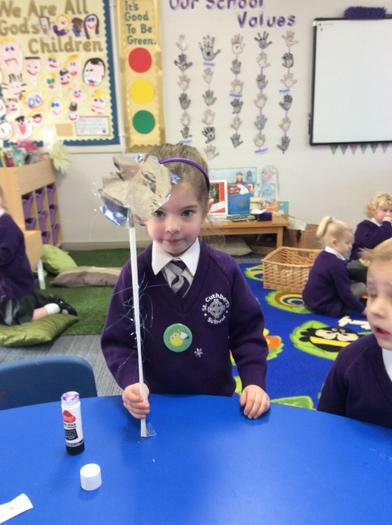 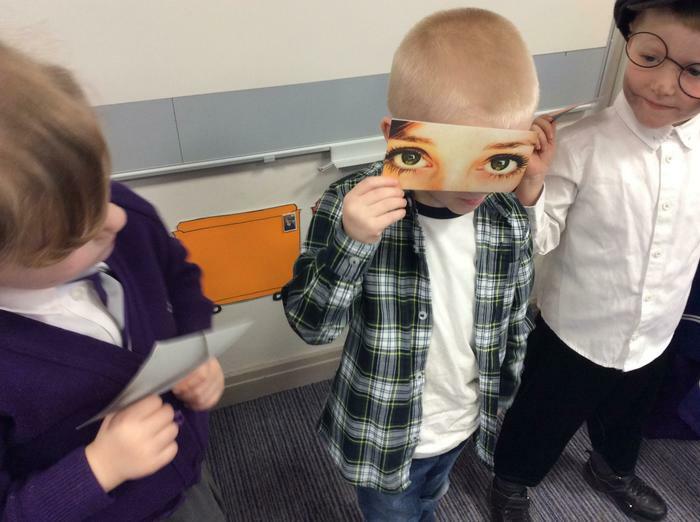 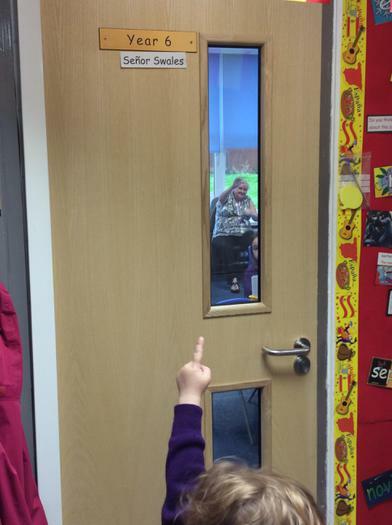 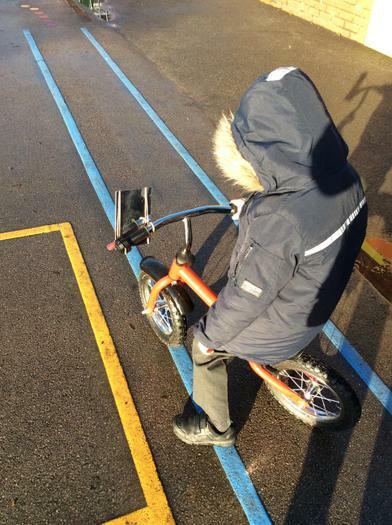 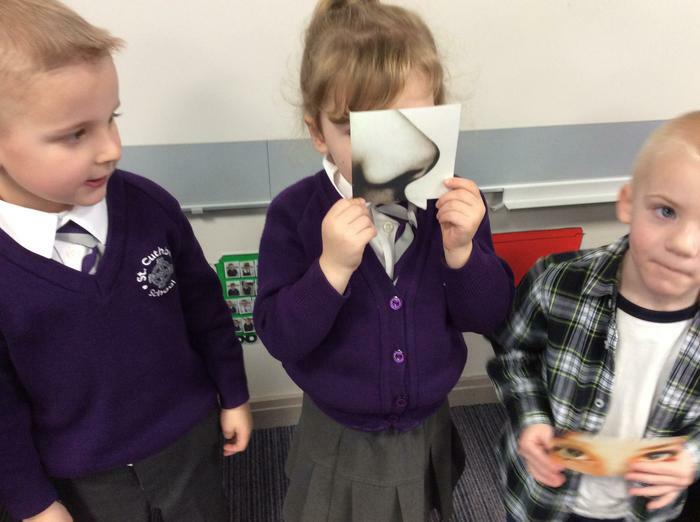 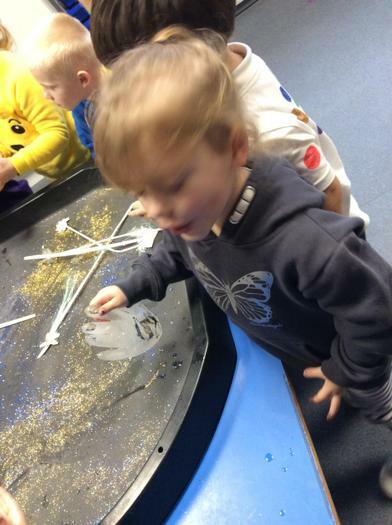 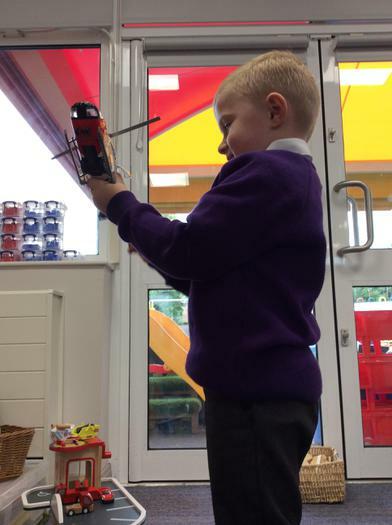 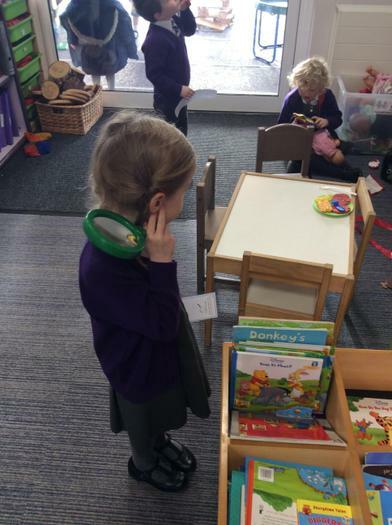 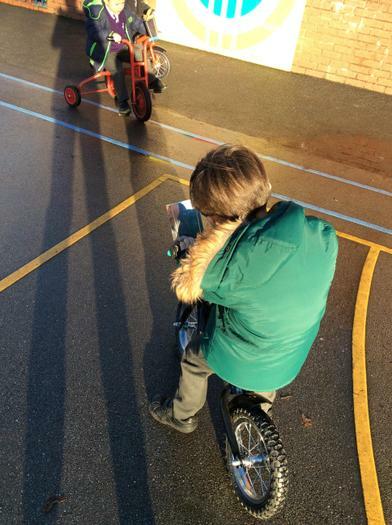 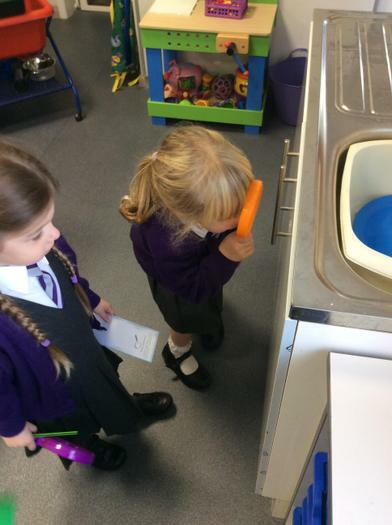 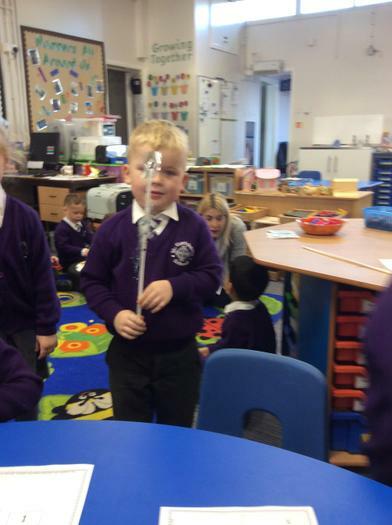 The children have used mirrors to explore and test their reflections. 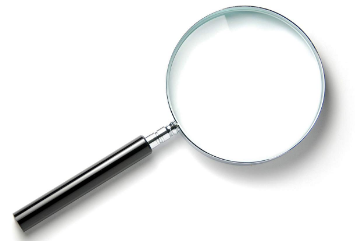 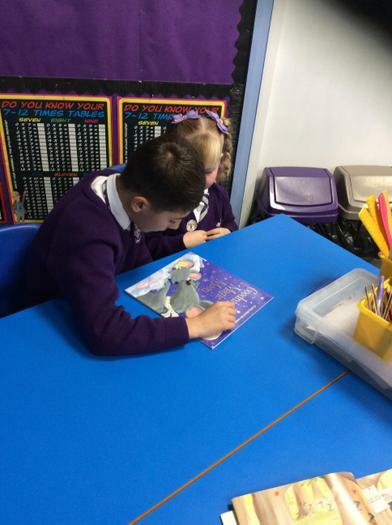 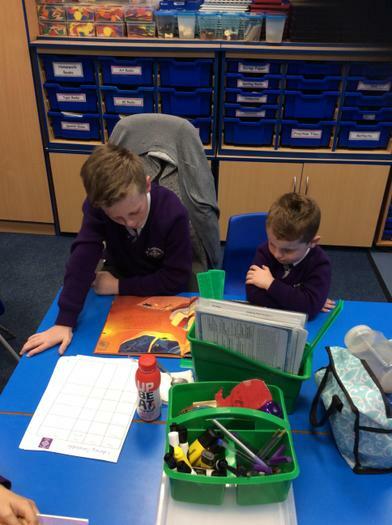 Talk Homework - What is a reflection? 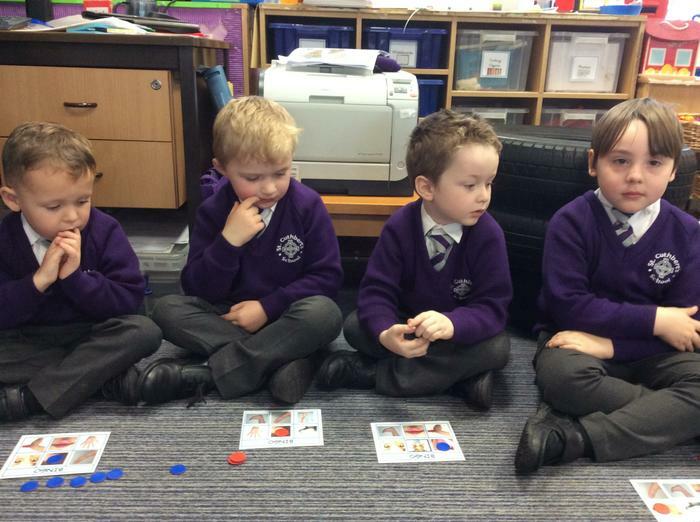 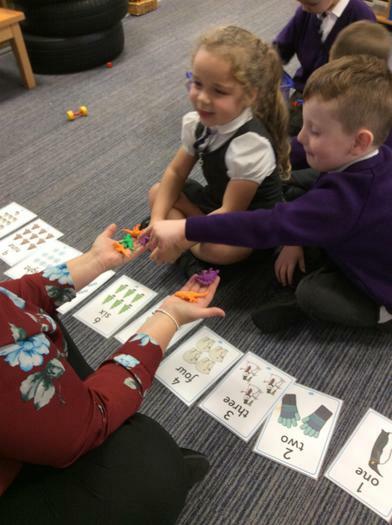 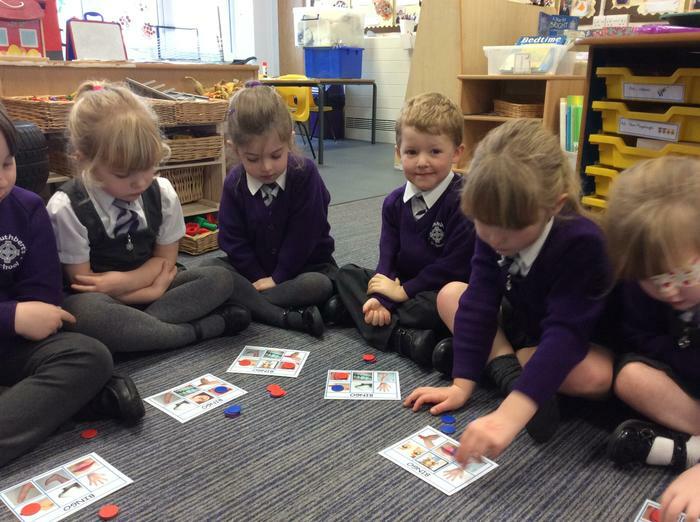 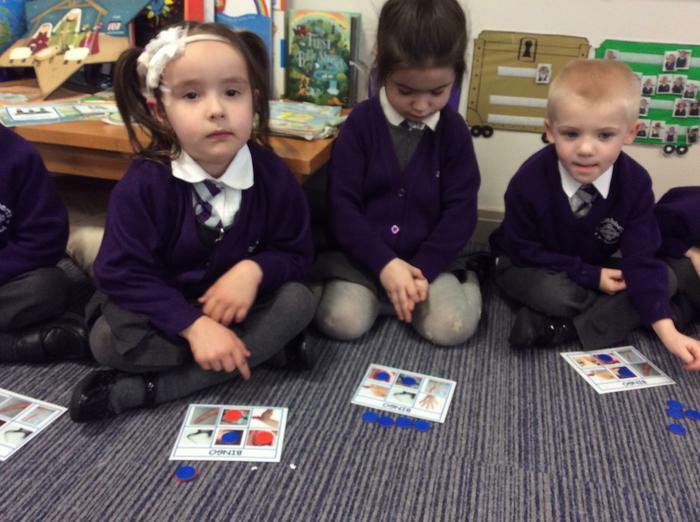 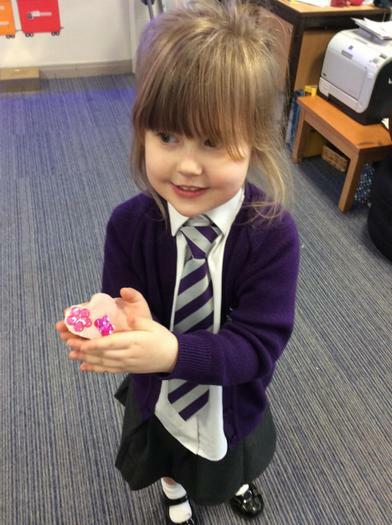 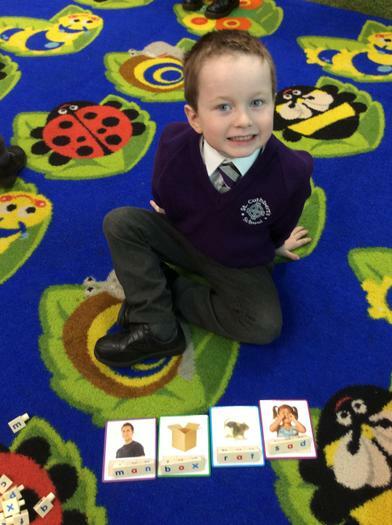 We know lots of body parts now so we played Spanish body parts bingo.The children were amazing. 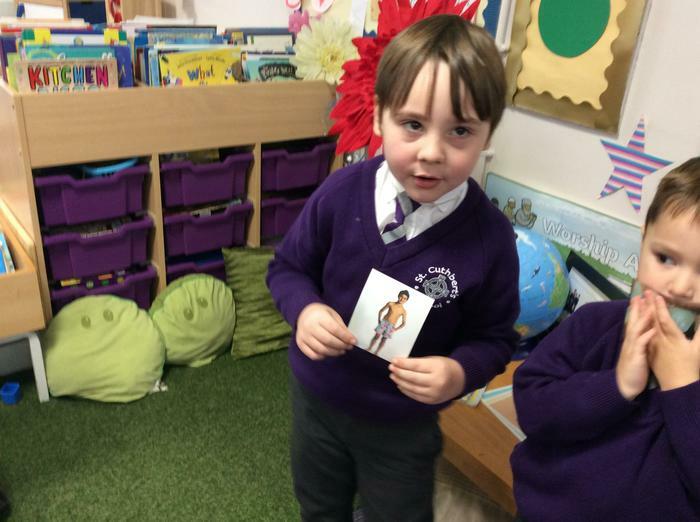 We used pictures of body parts to help us say the correct body part in Spanish. 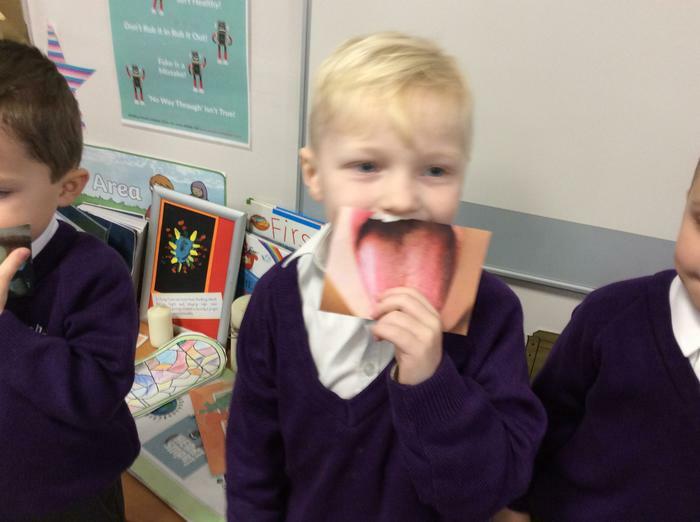 We can say some body parts in Spanish. 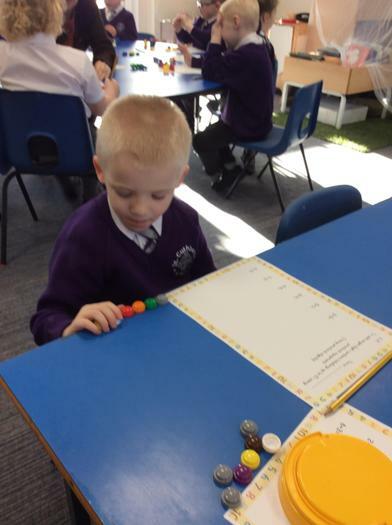 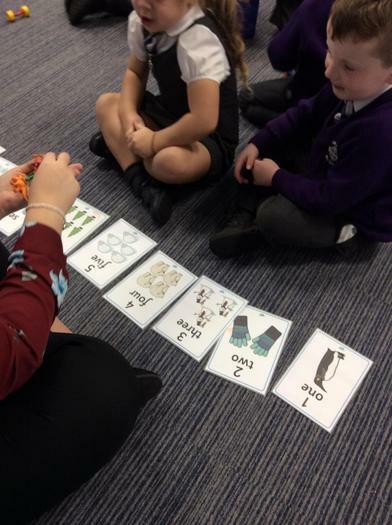 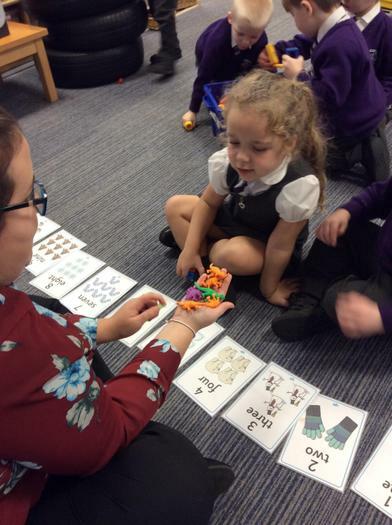 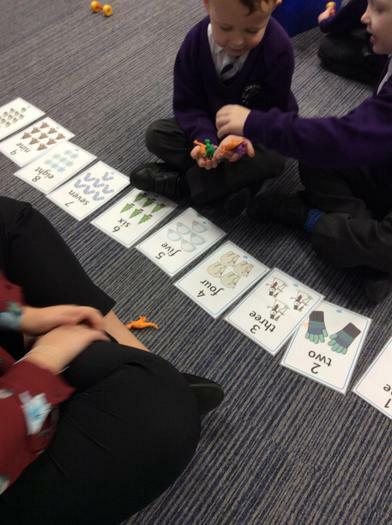 This week in our number work we have been thinking about the words more, greater, fewer and less than? 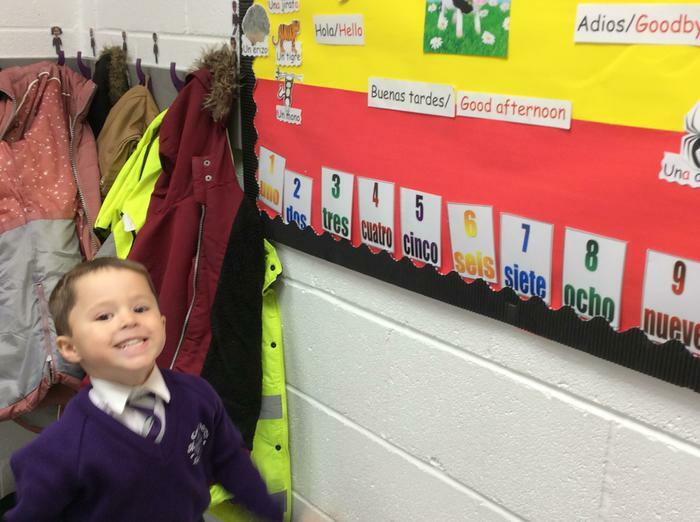 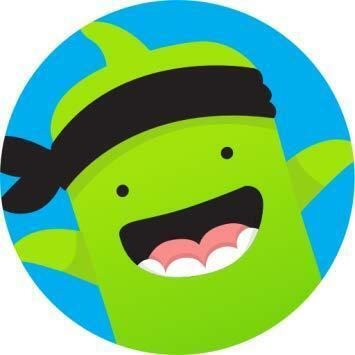 In Spanish the children are learning to say...My name is...A fantastic first try today. 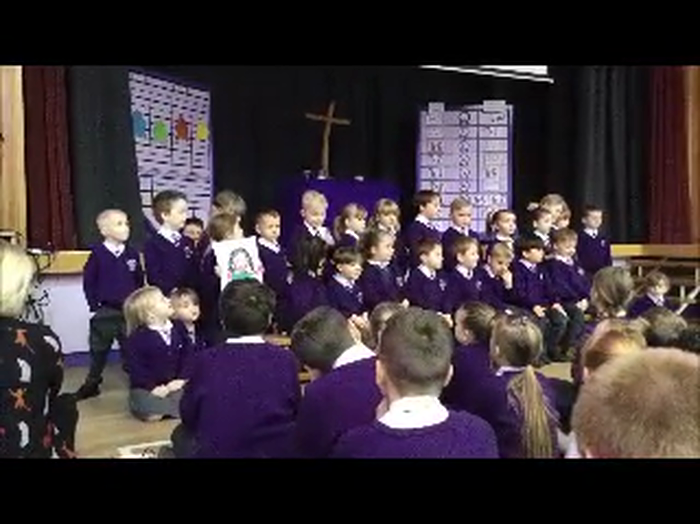 Fantastico! 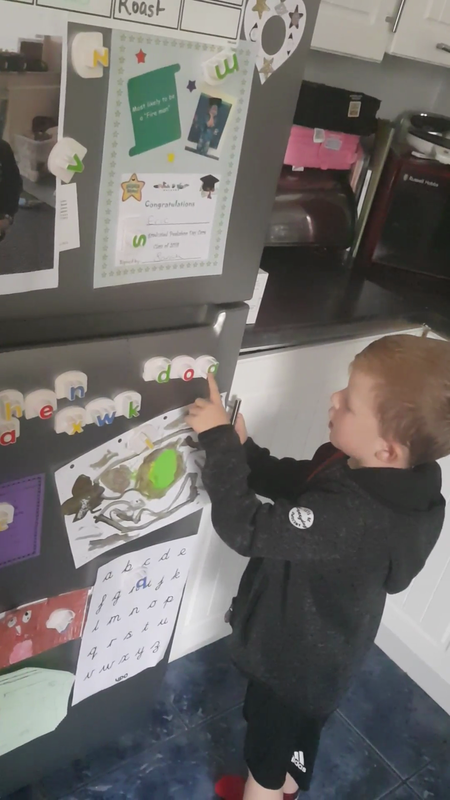 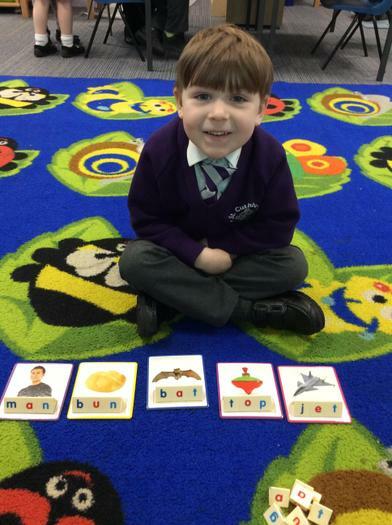 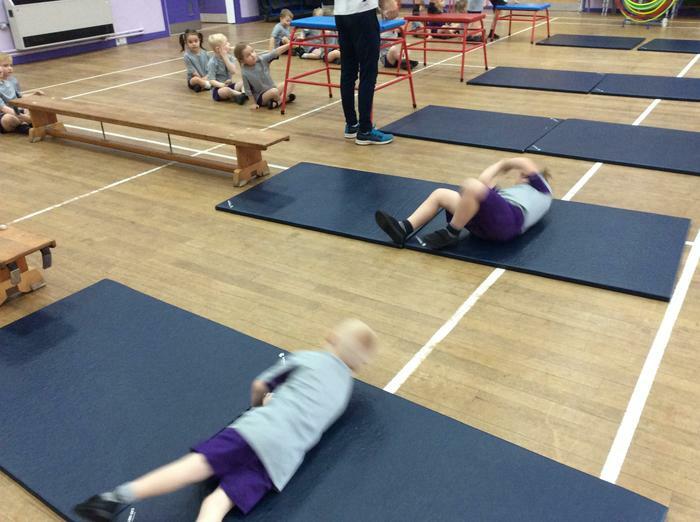 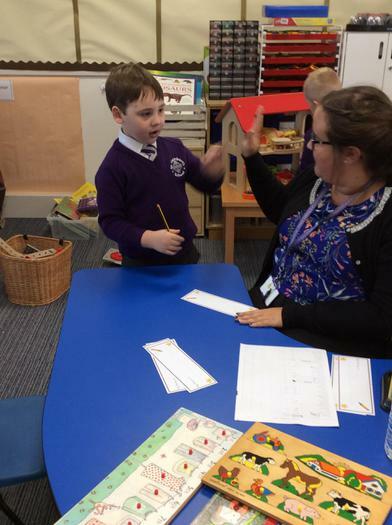 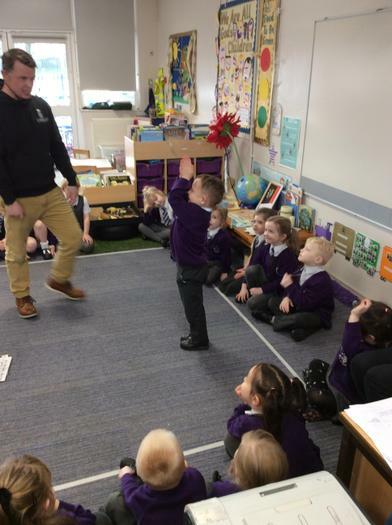 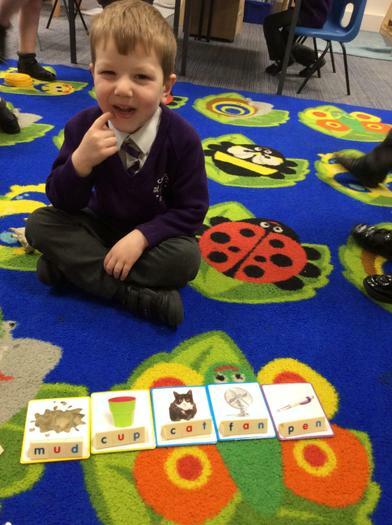 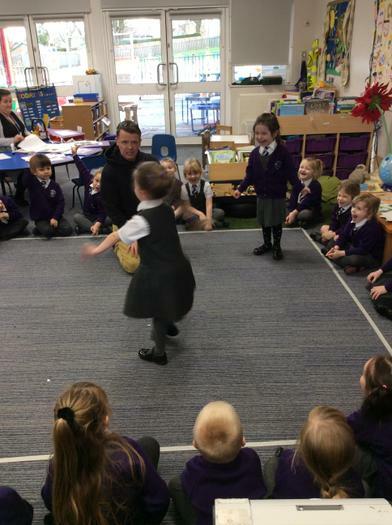 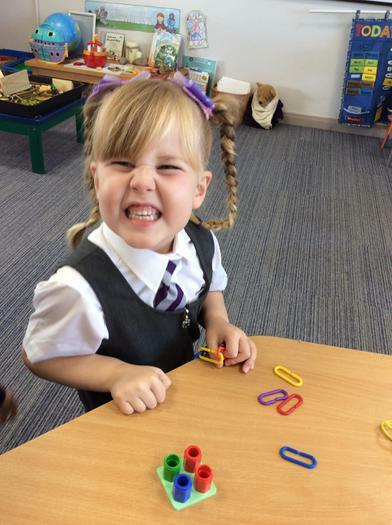 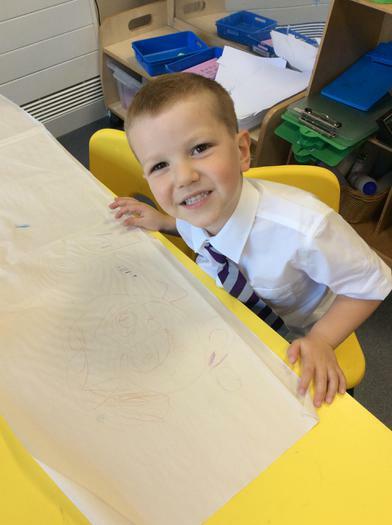 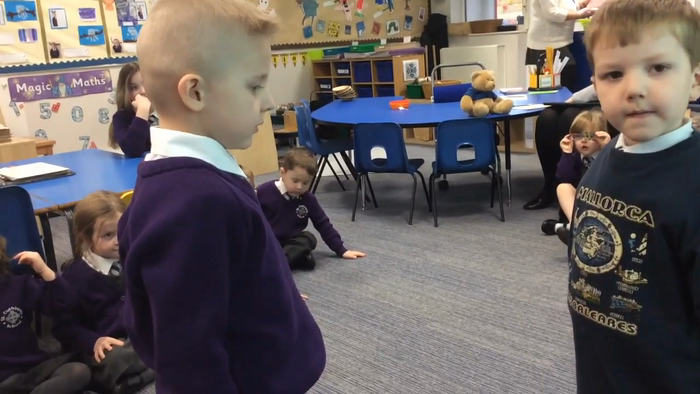 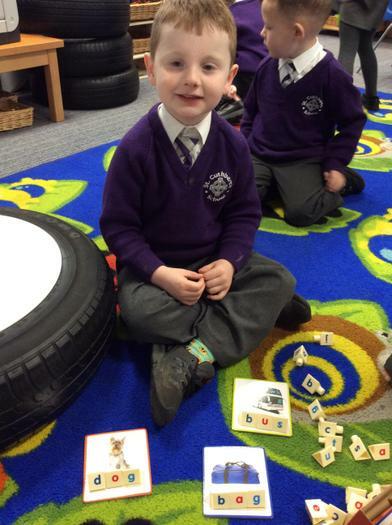 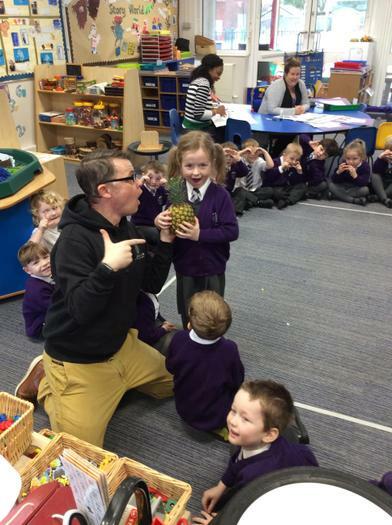 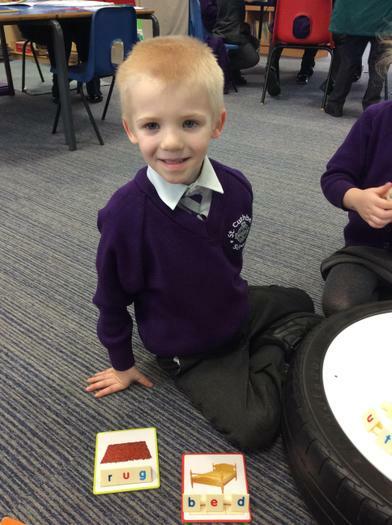 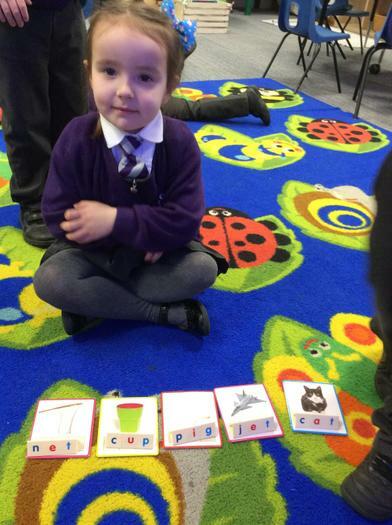 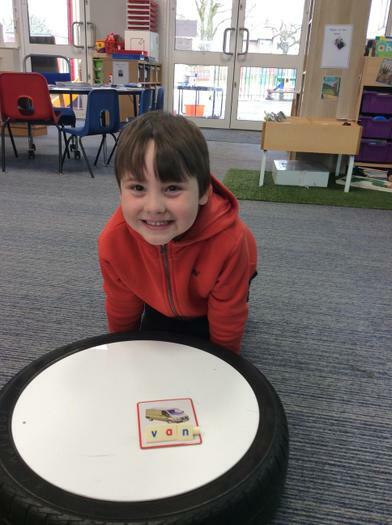 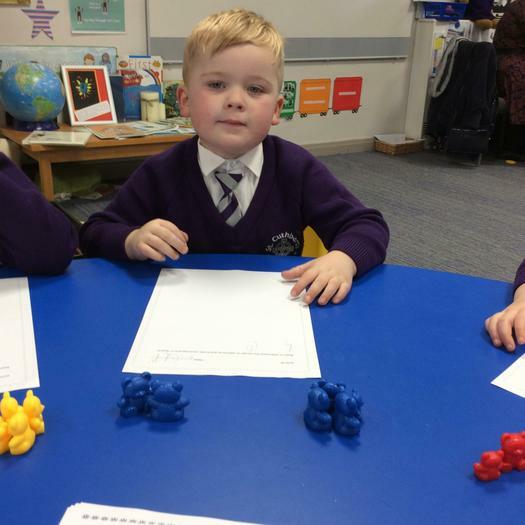 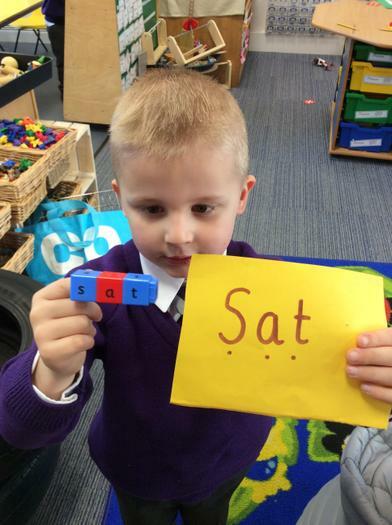 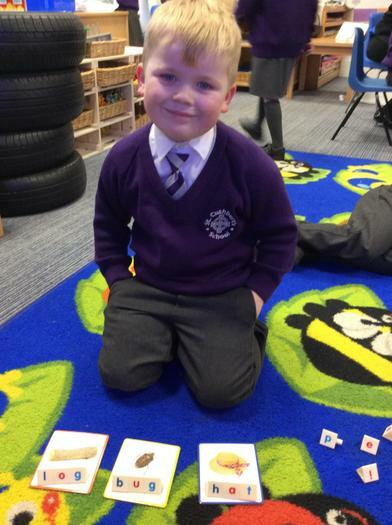 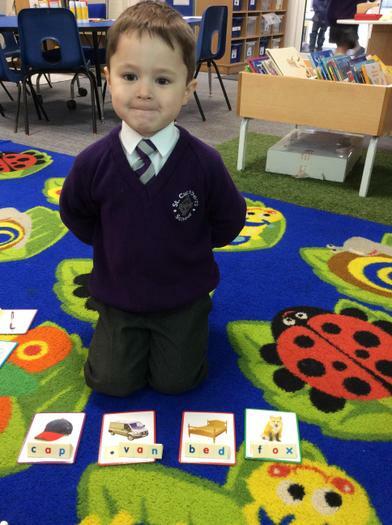 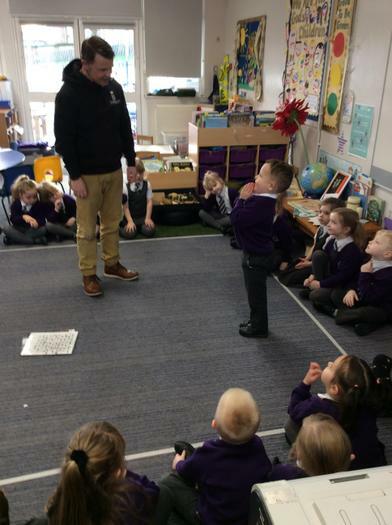 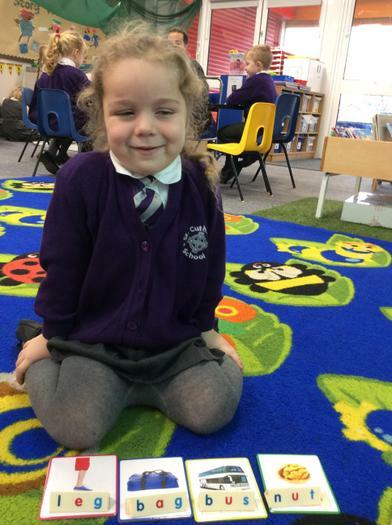 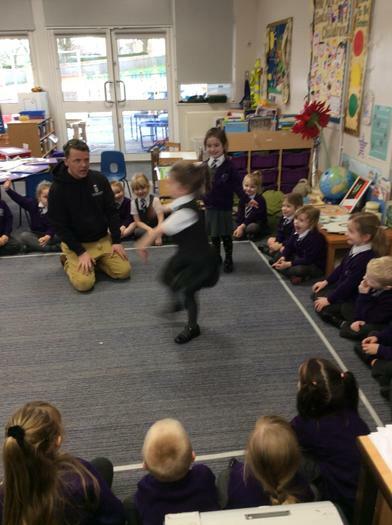 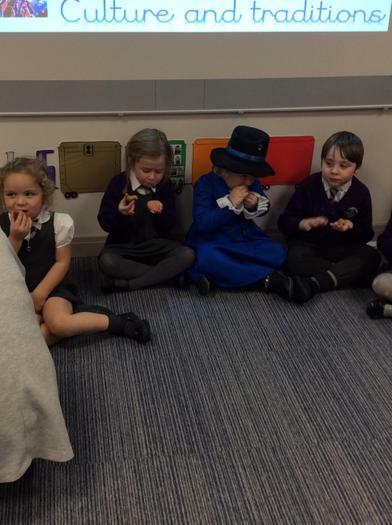 The children are learning to say...My name is..... A fantastic first try today. 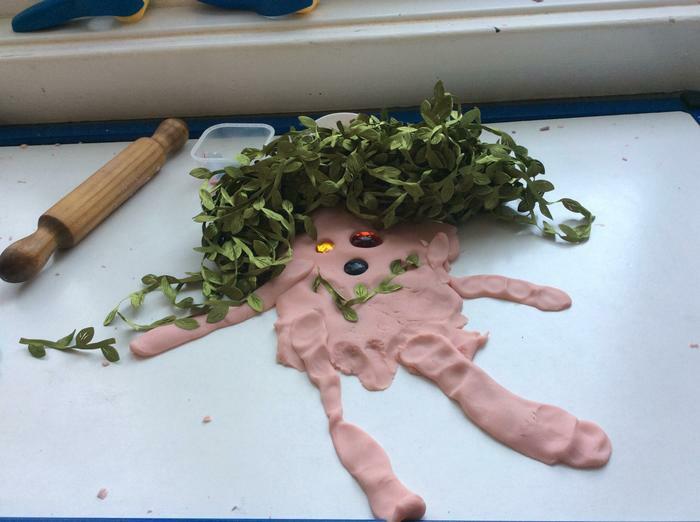 Fantastico! 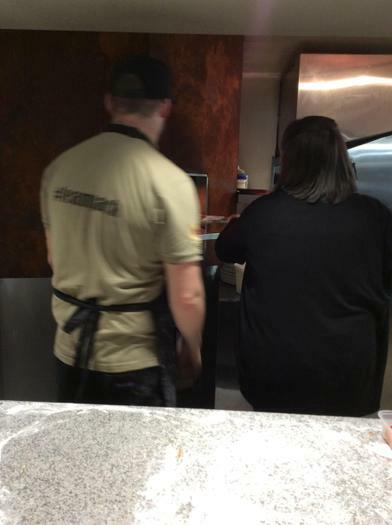 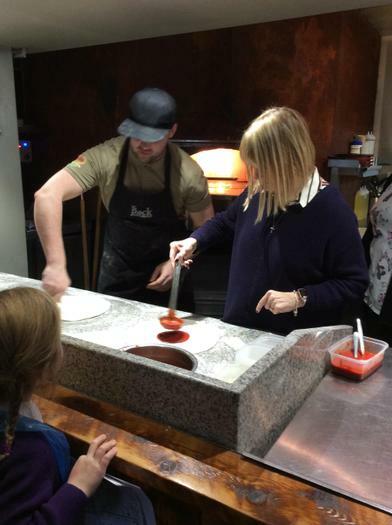 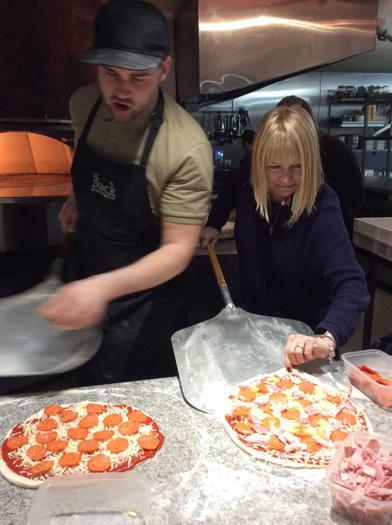 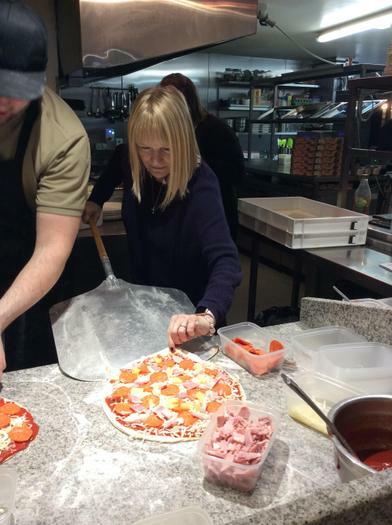 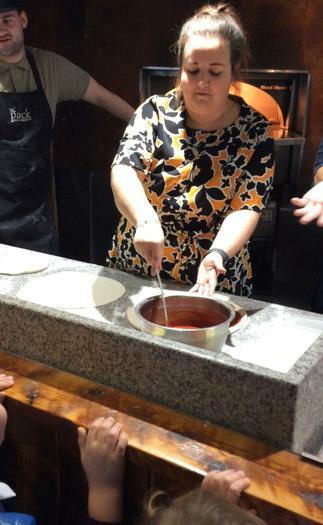 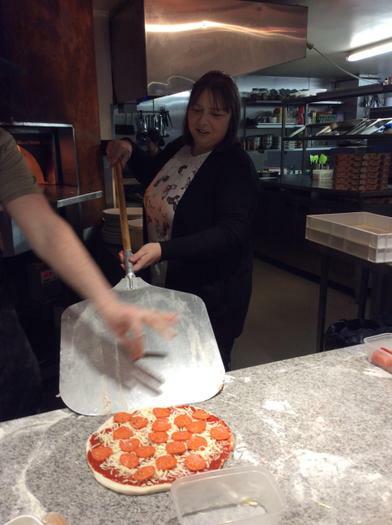 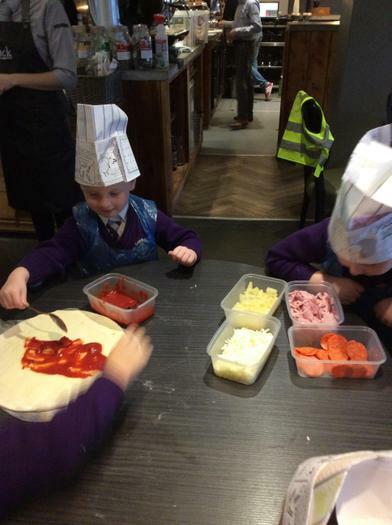 Pizza making at The Pack. 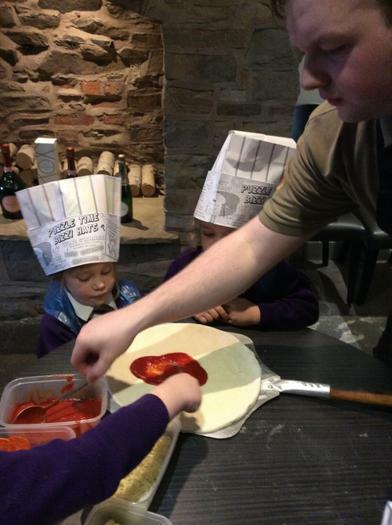 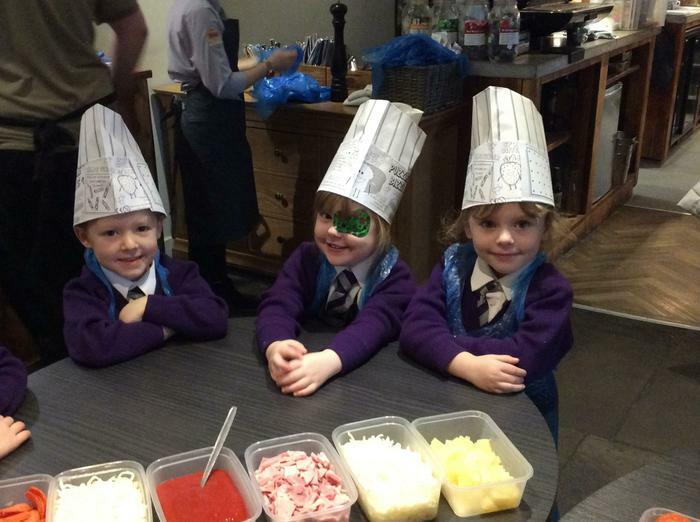 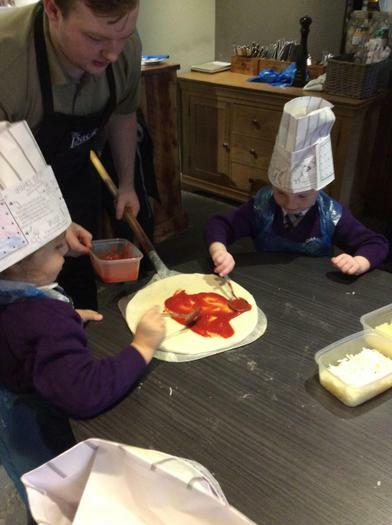 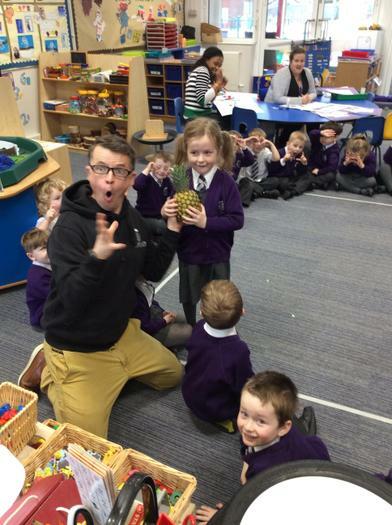 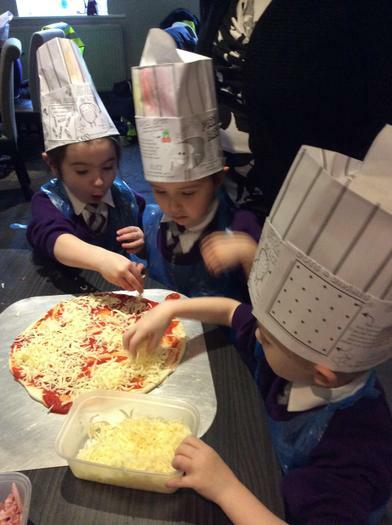 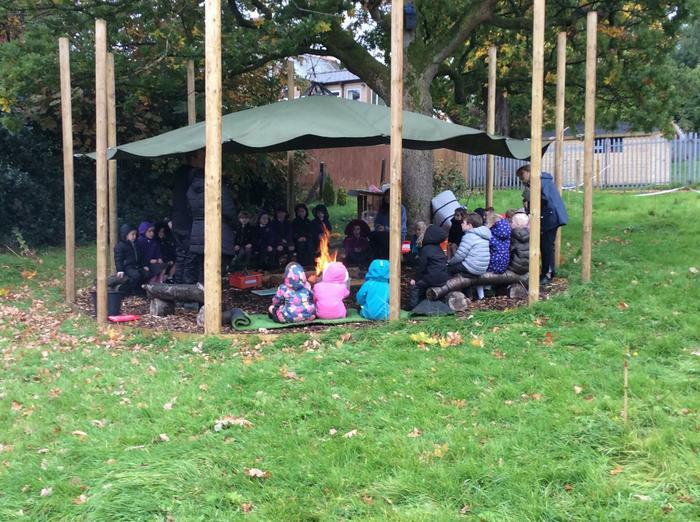 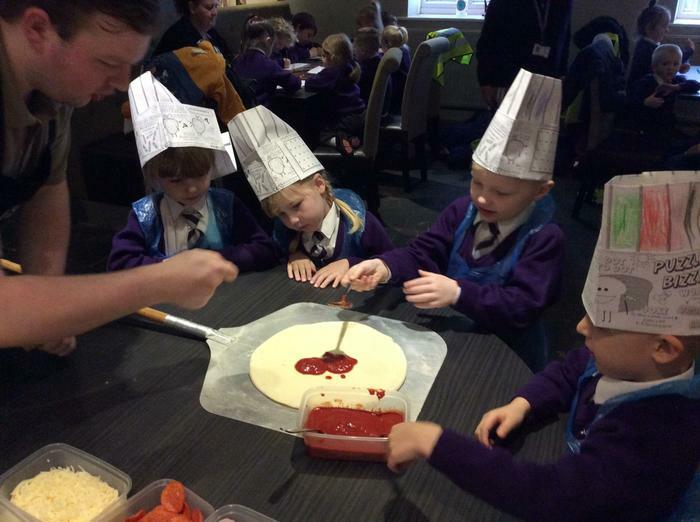 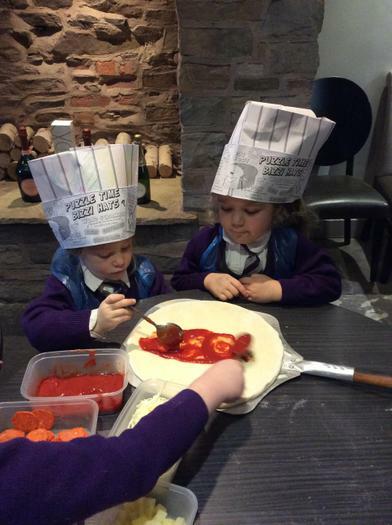 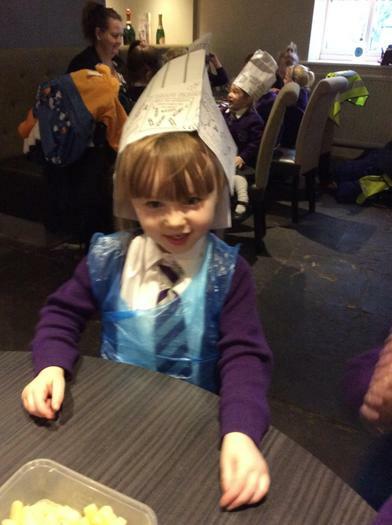 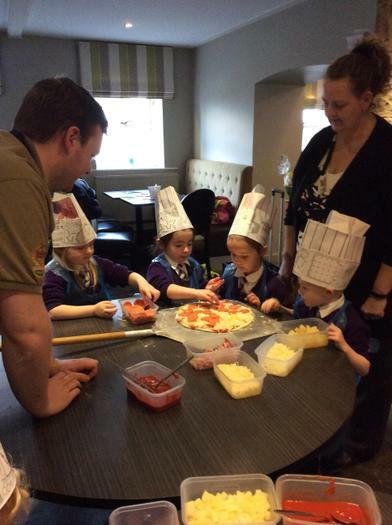 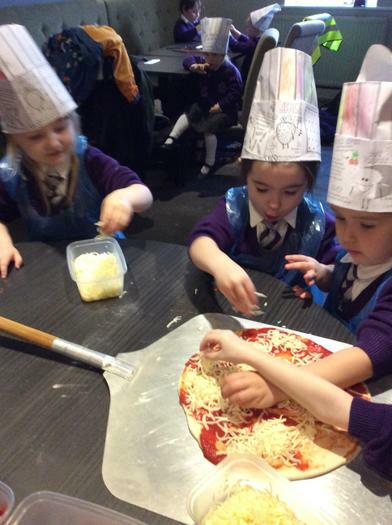 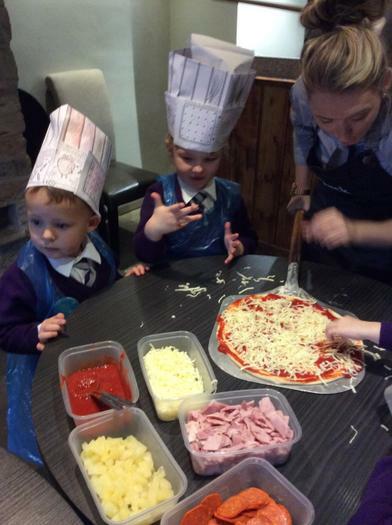 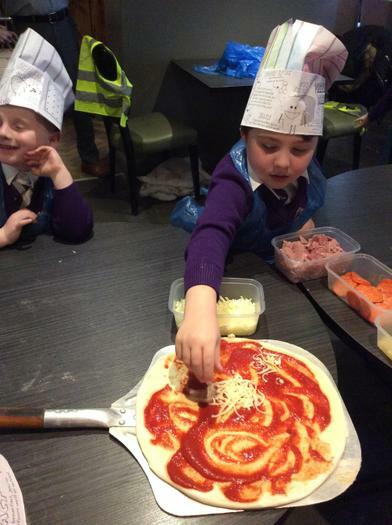 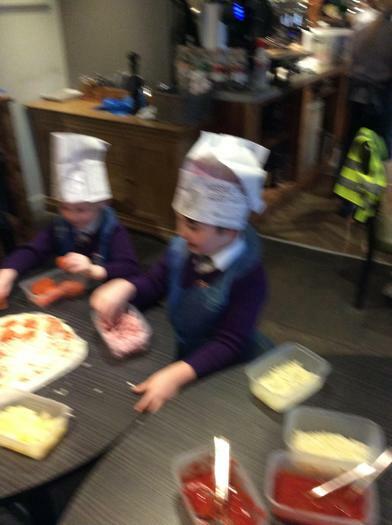 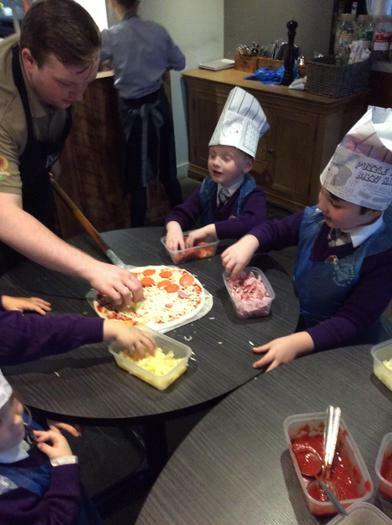 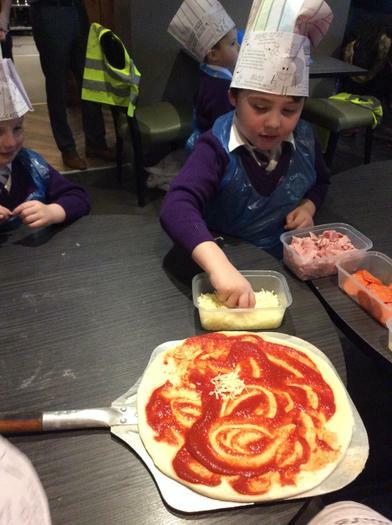 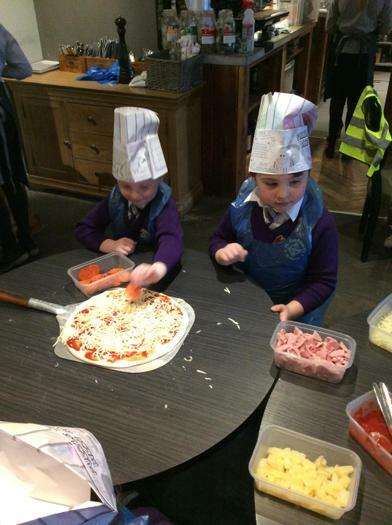 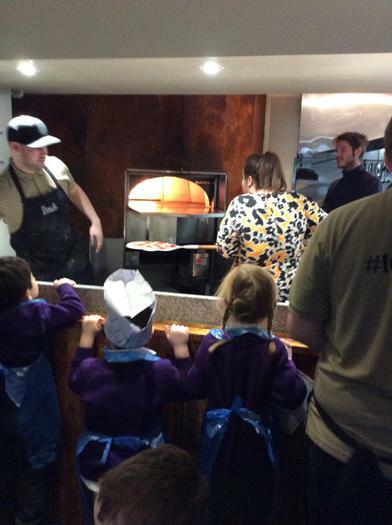 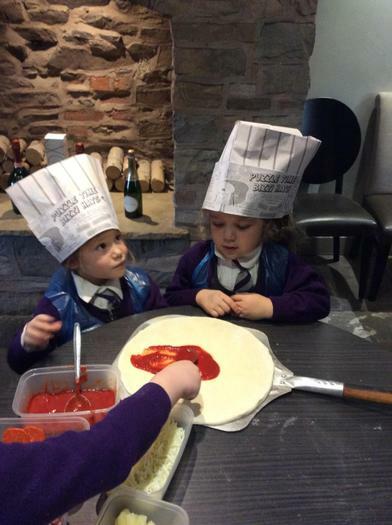 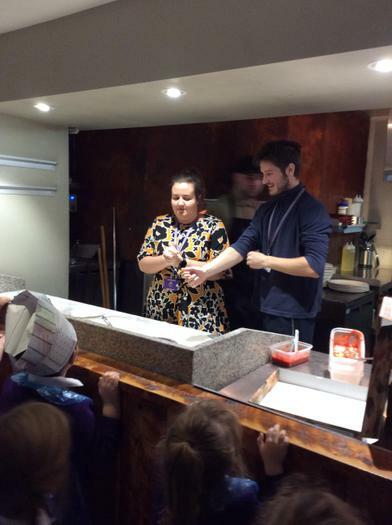 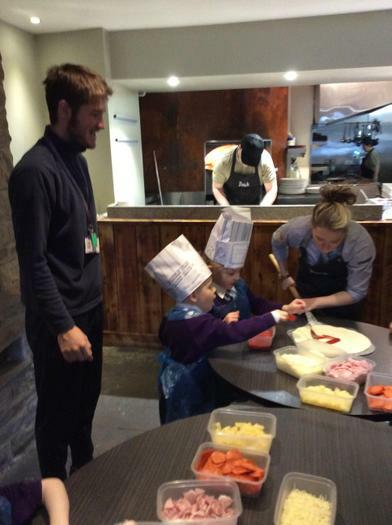 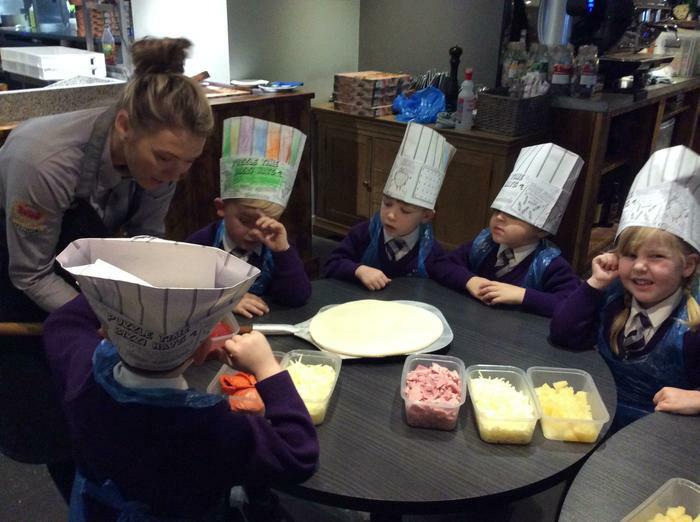 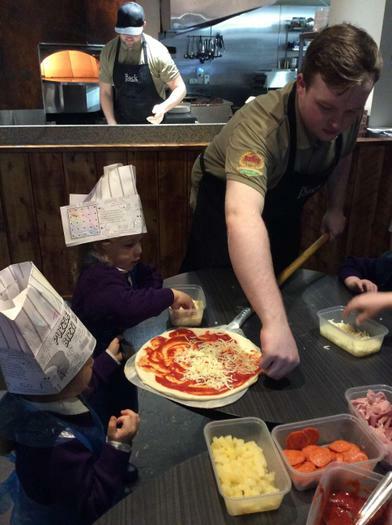 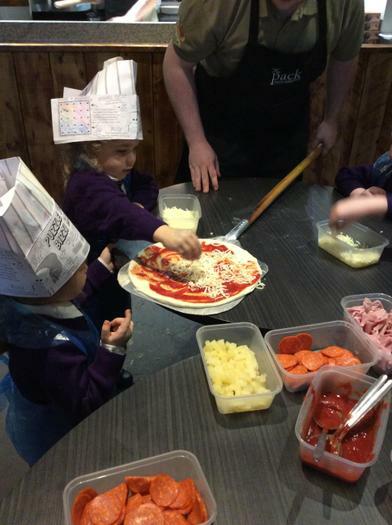 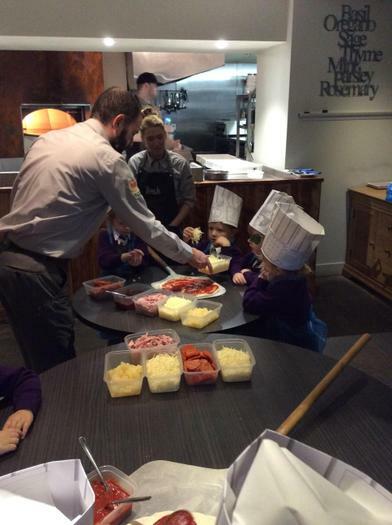 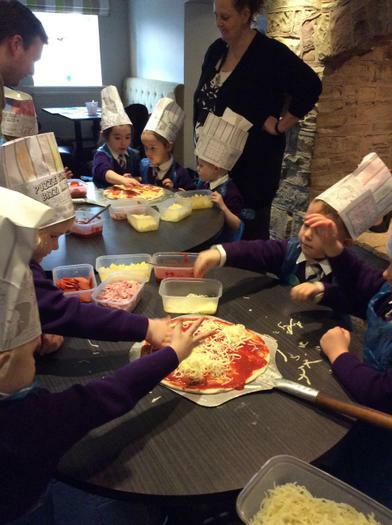 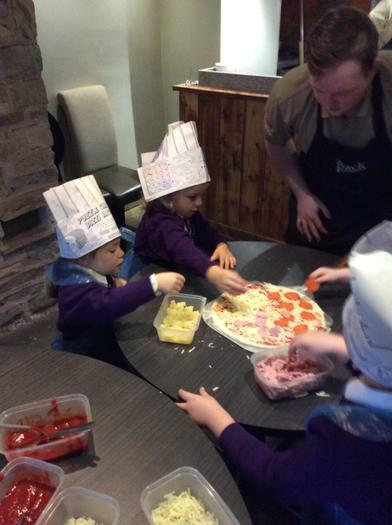 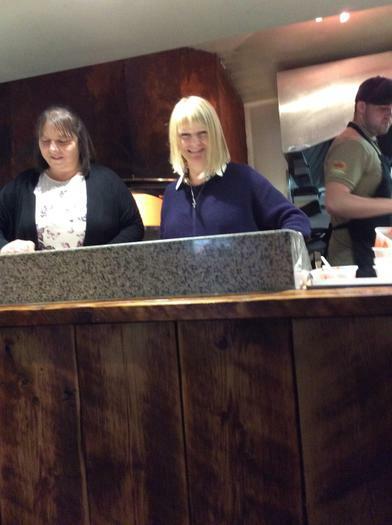 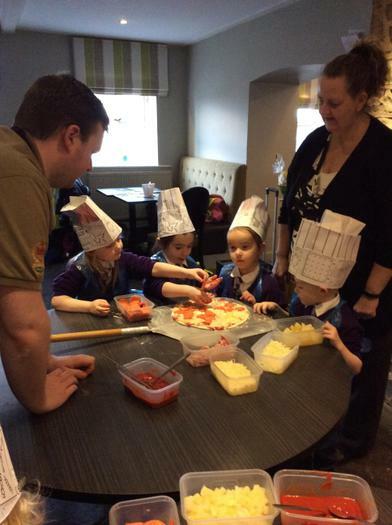 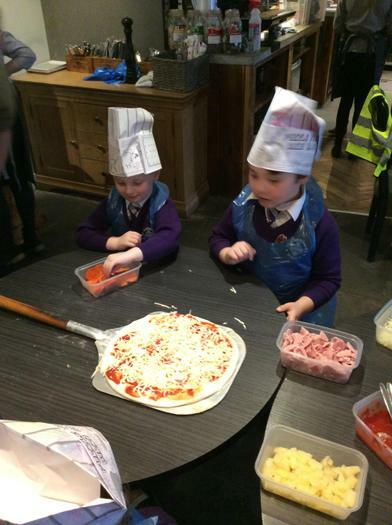 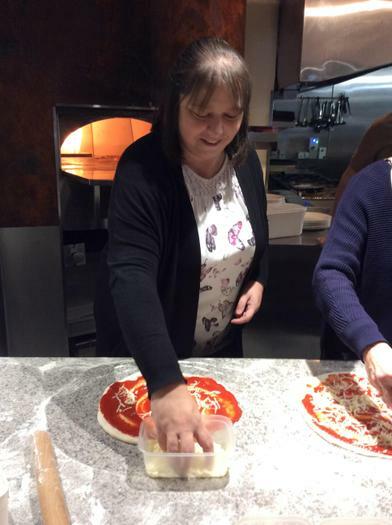 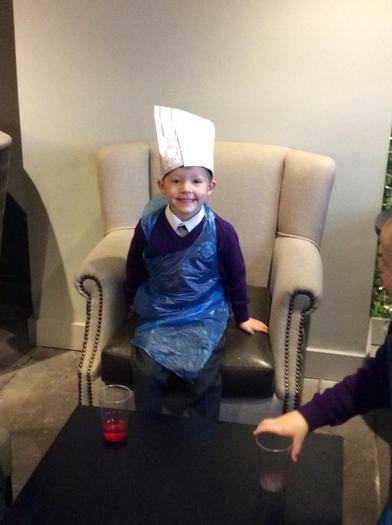 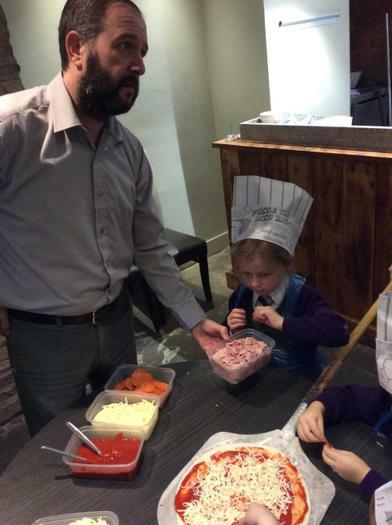 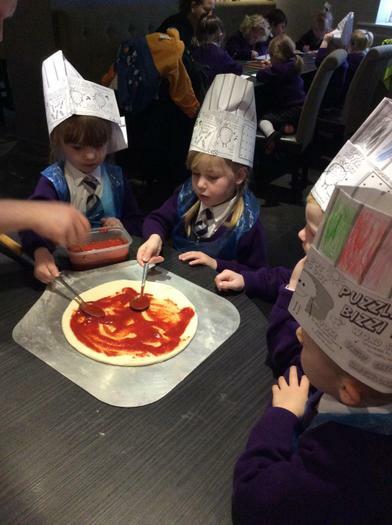 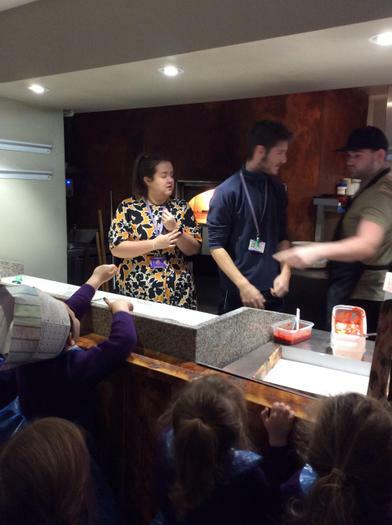 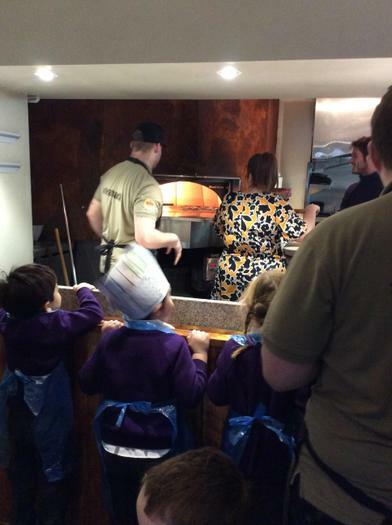 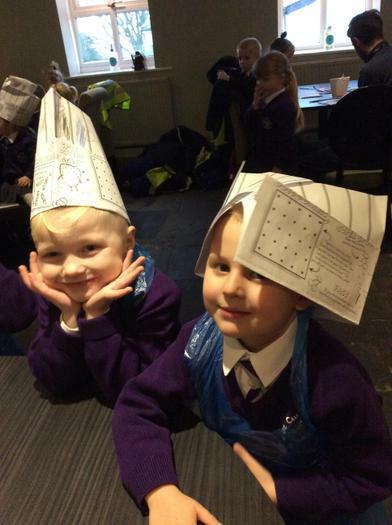 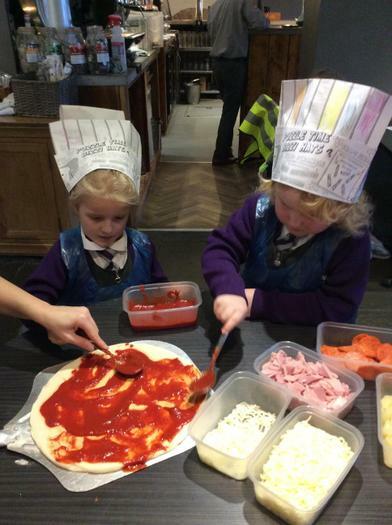 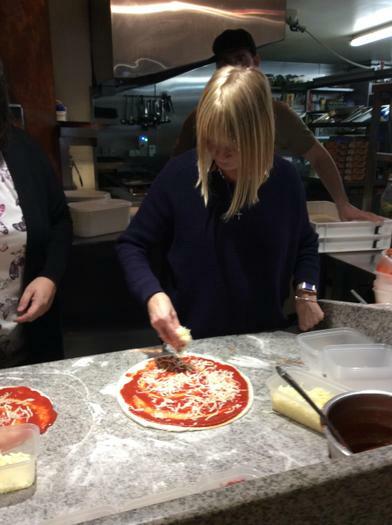 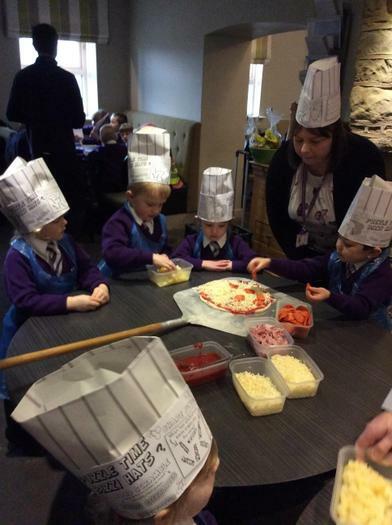 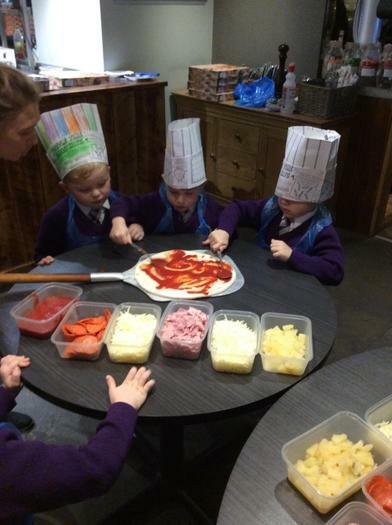 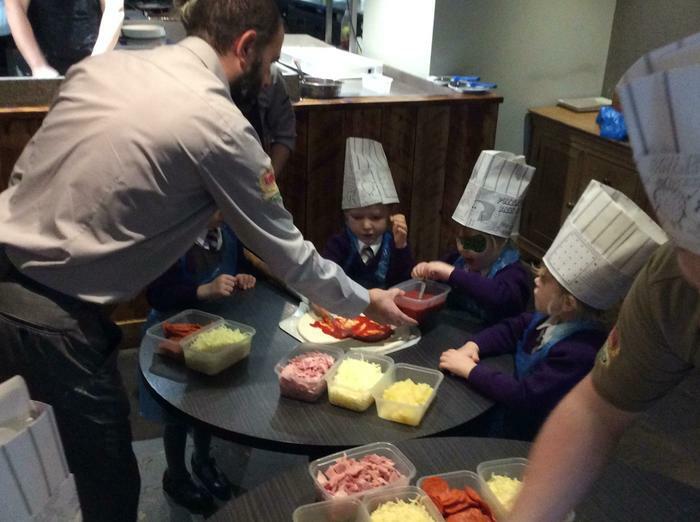 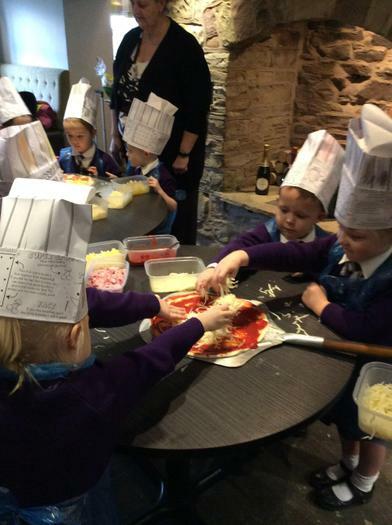 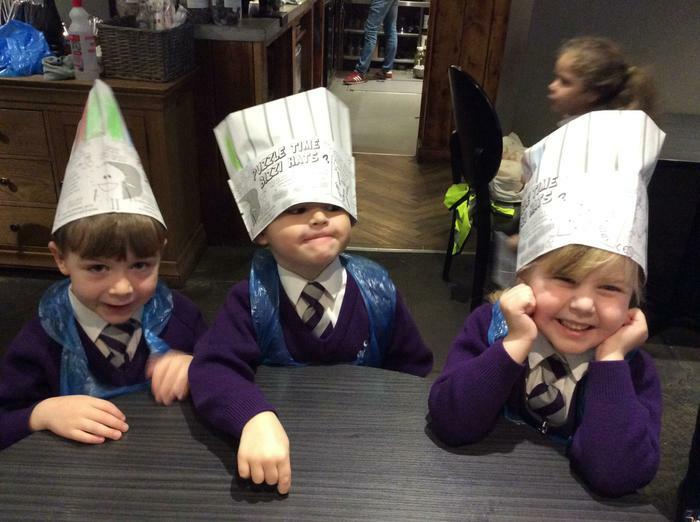 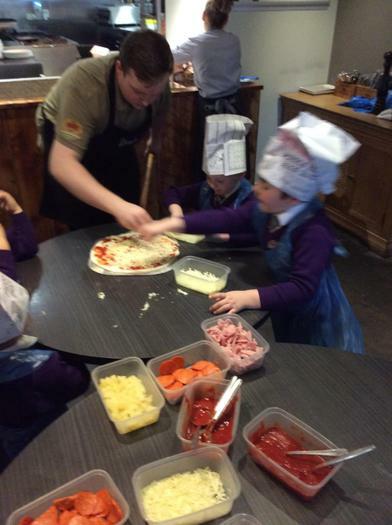 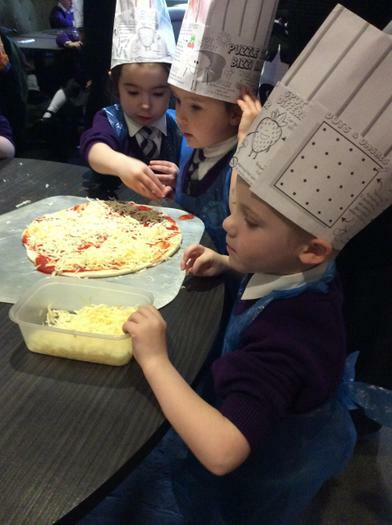 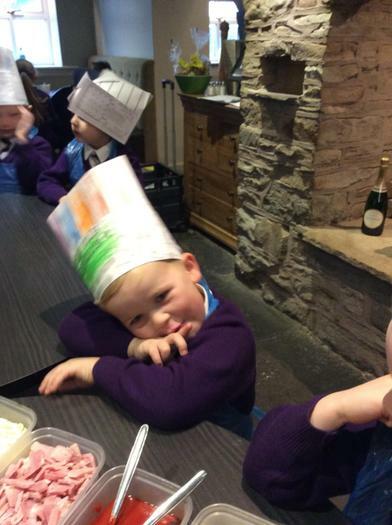 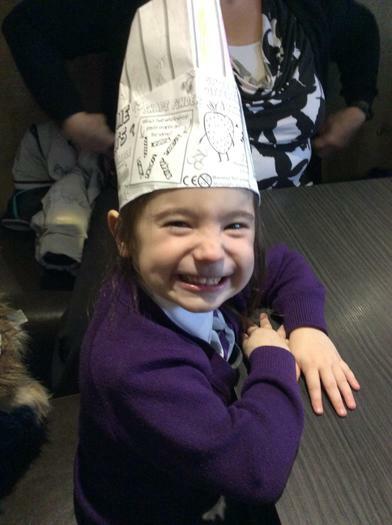 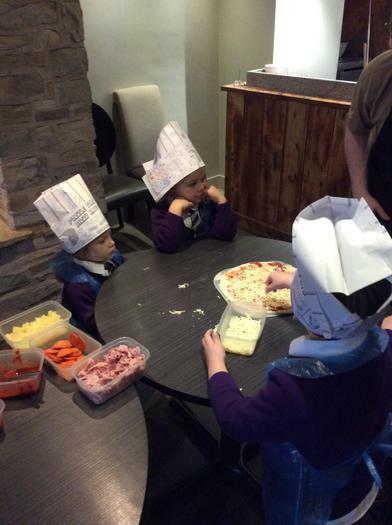 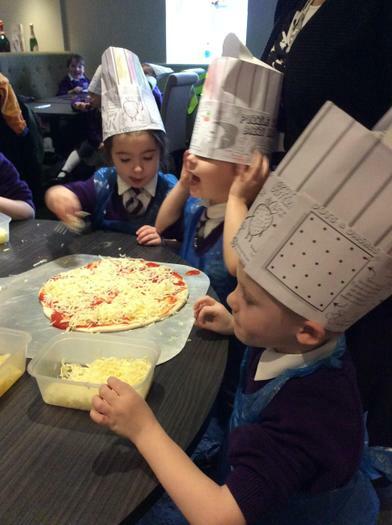 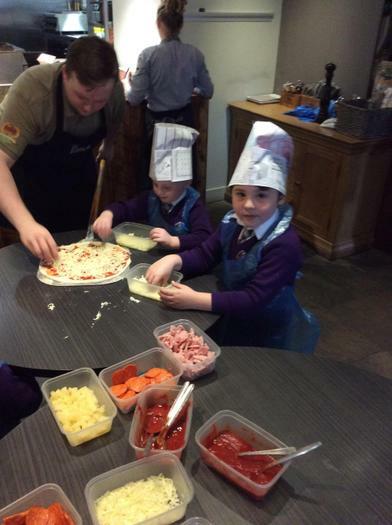 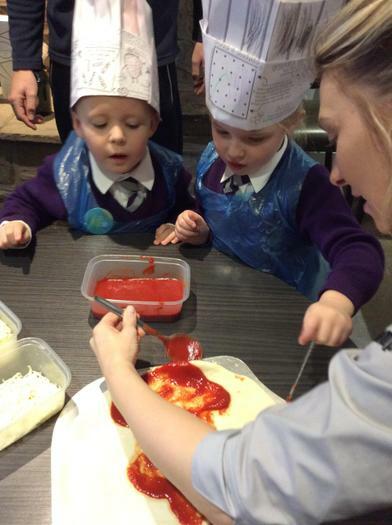 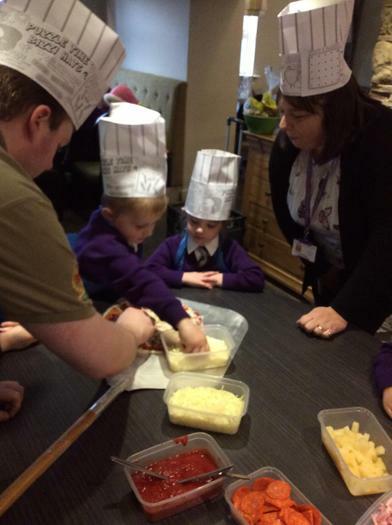 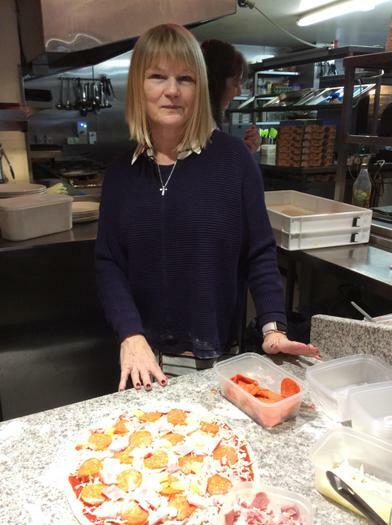 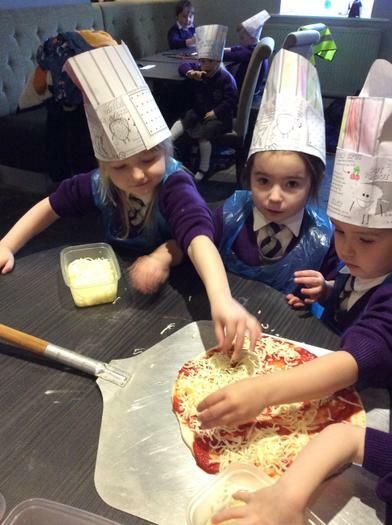 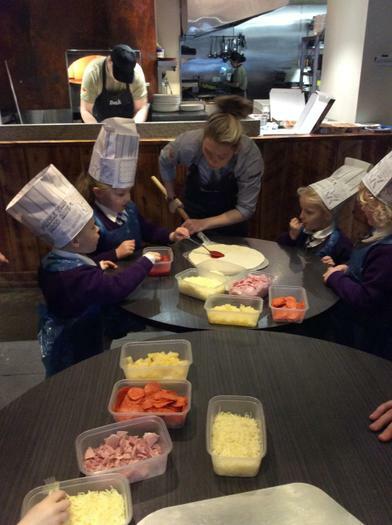 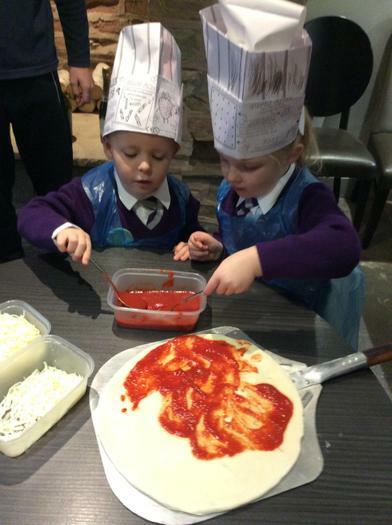 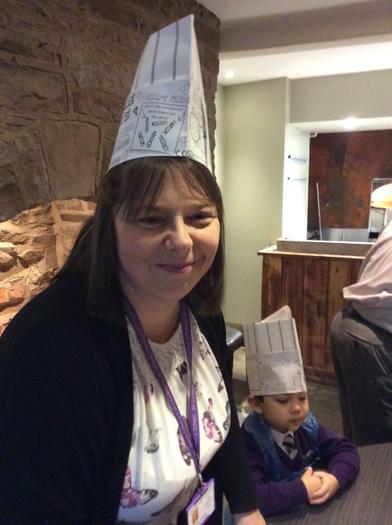 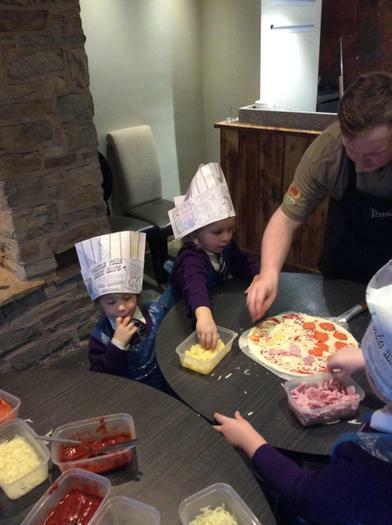 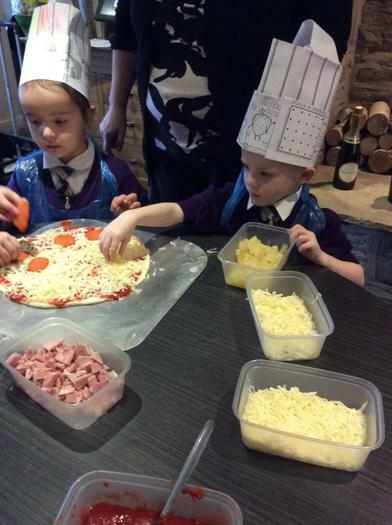 We all had a fantastic time, we learnt how to make a delicious pizza and how to stay safe in a kitchen. 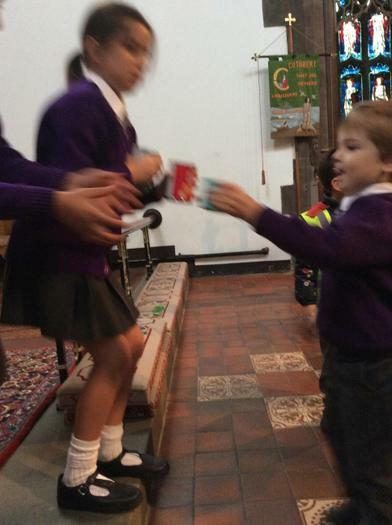 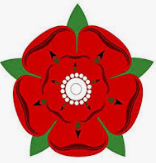 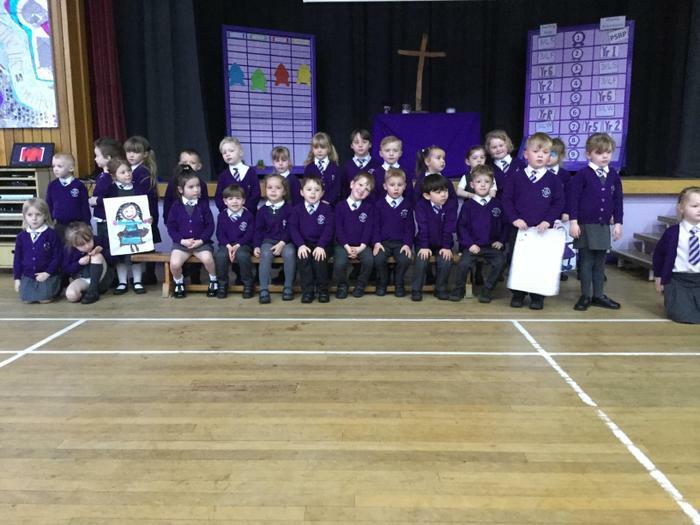 A big well done to all the children for being extremely well behaved. 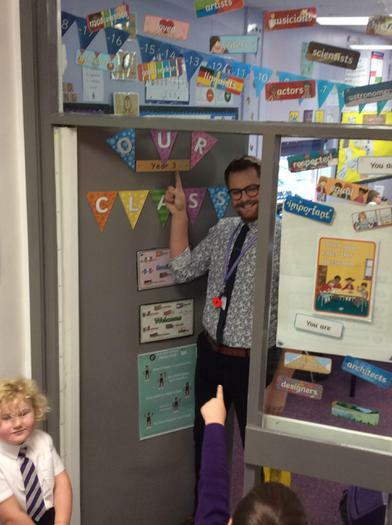 We are very proud teachers!! 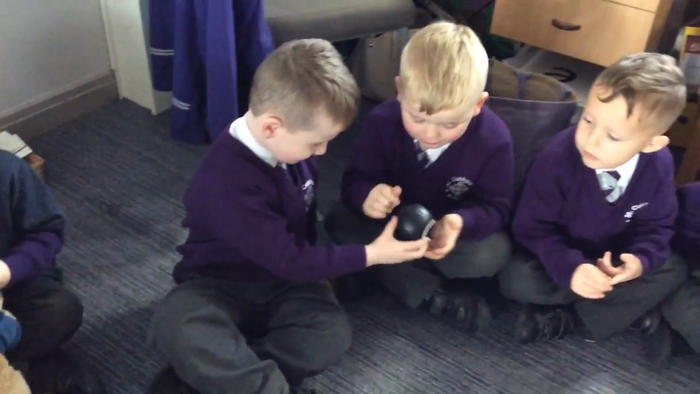 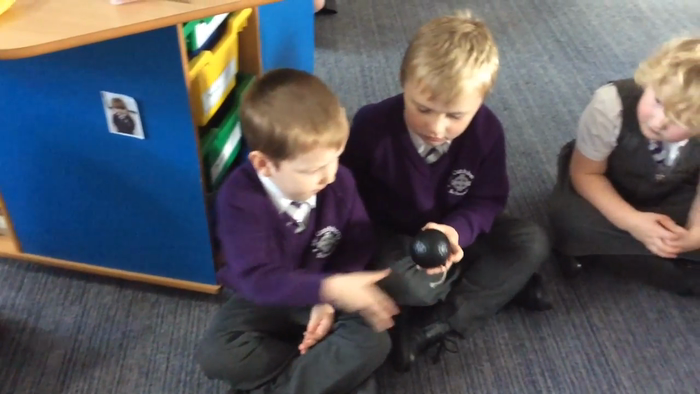 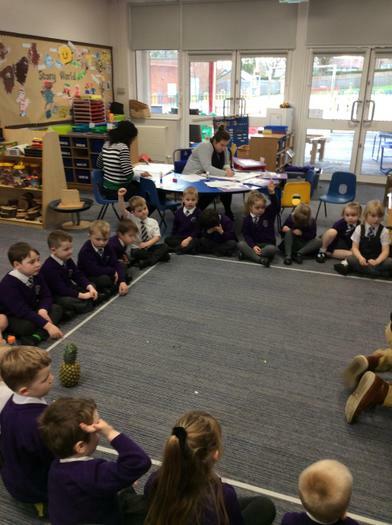 We love pass the bomb in our Spanish lessons. 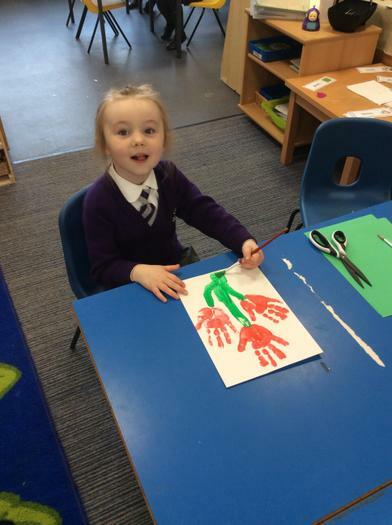 Today we’re saying body parts. 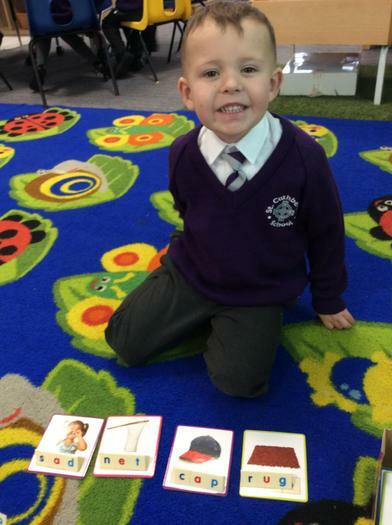 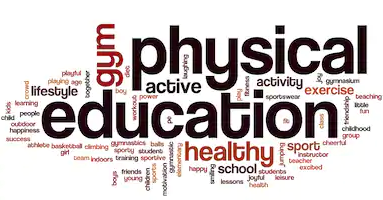 We know lots of body parts and can say them in Spanish. 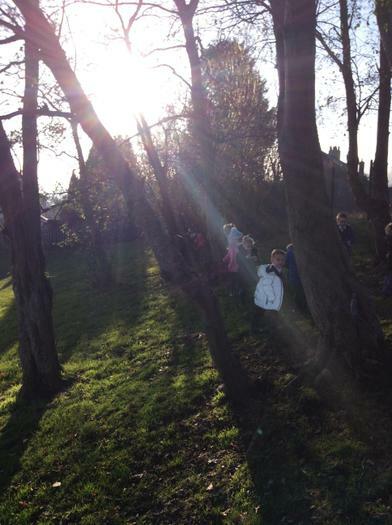 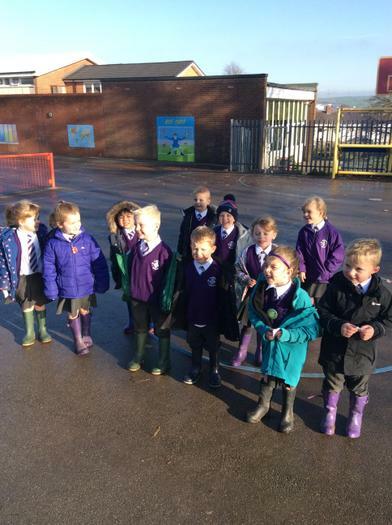 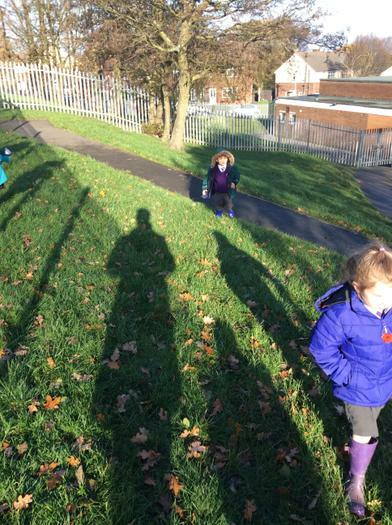 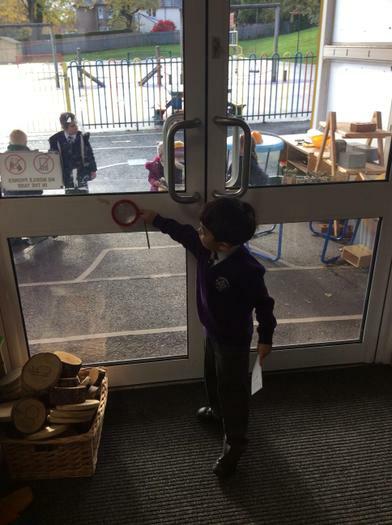 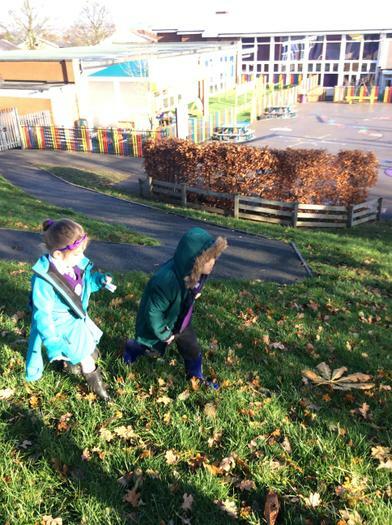 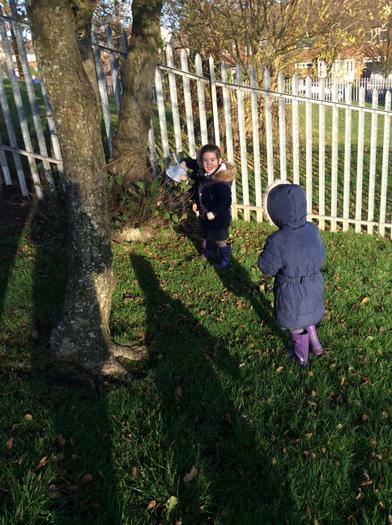 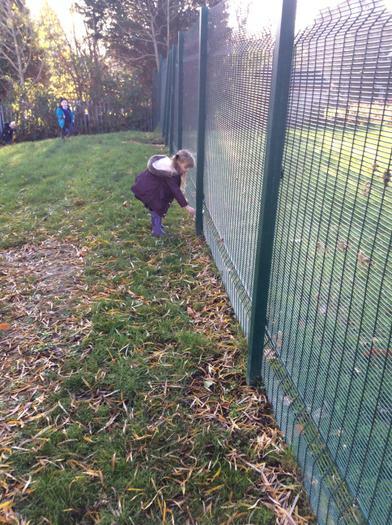 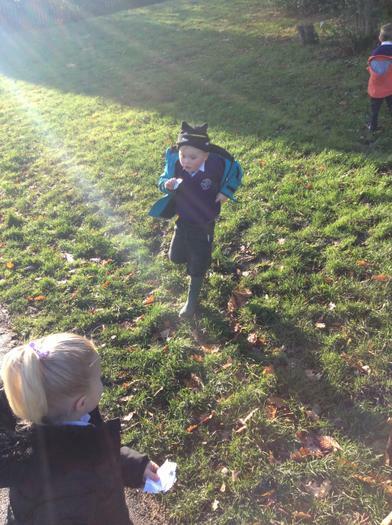 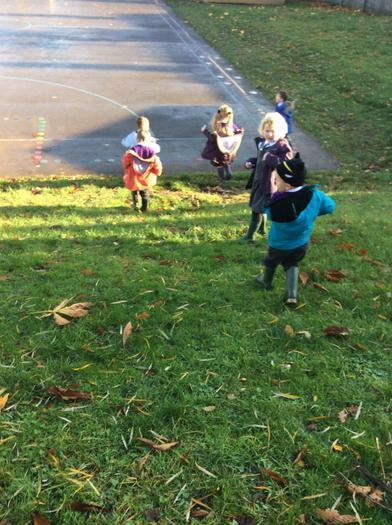 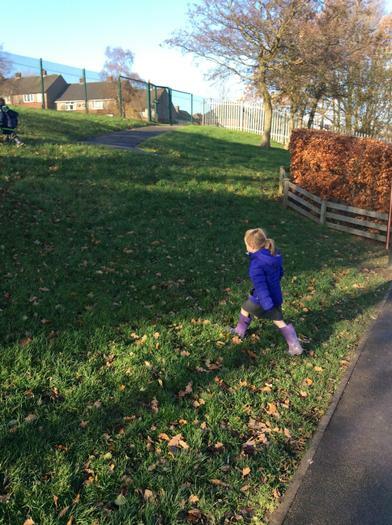 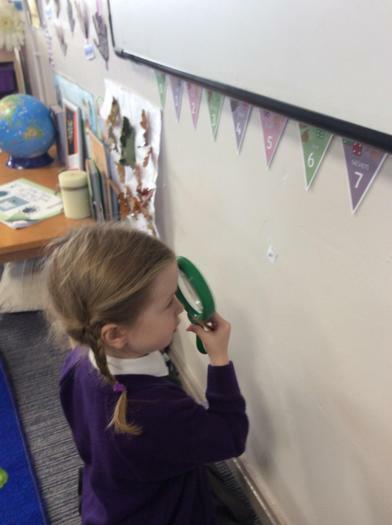 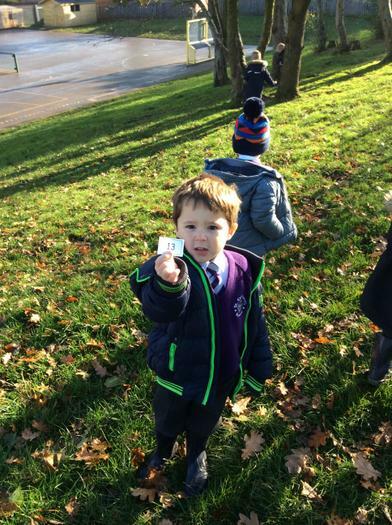 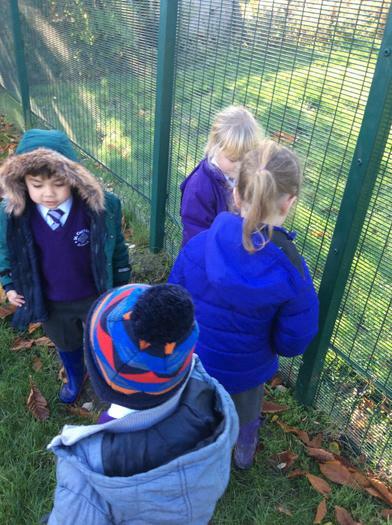 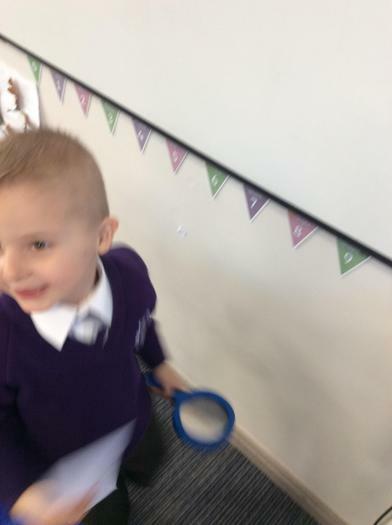 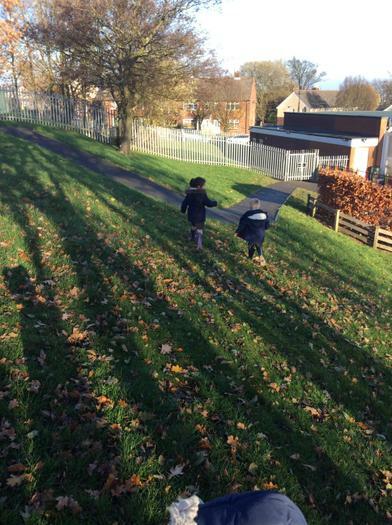 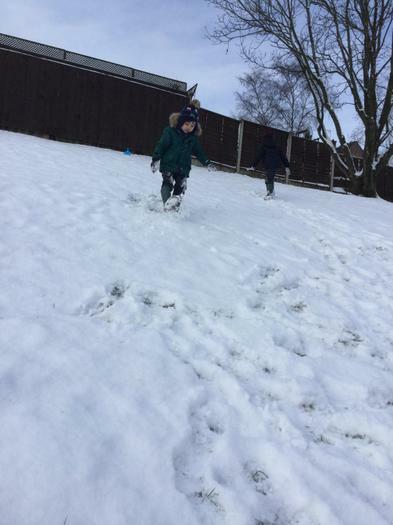 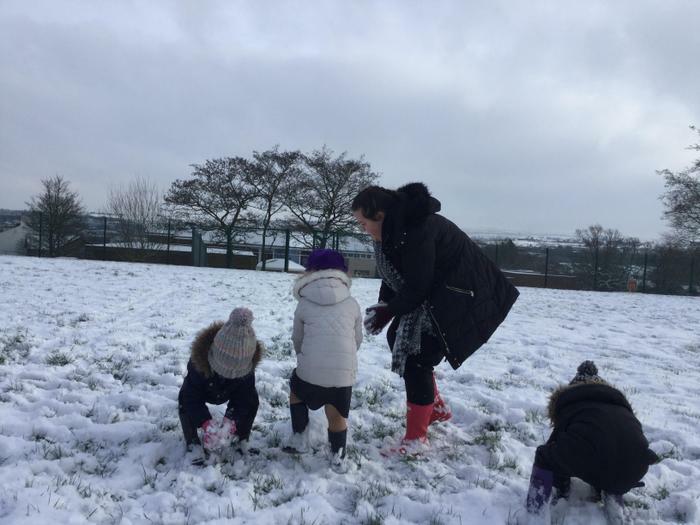 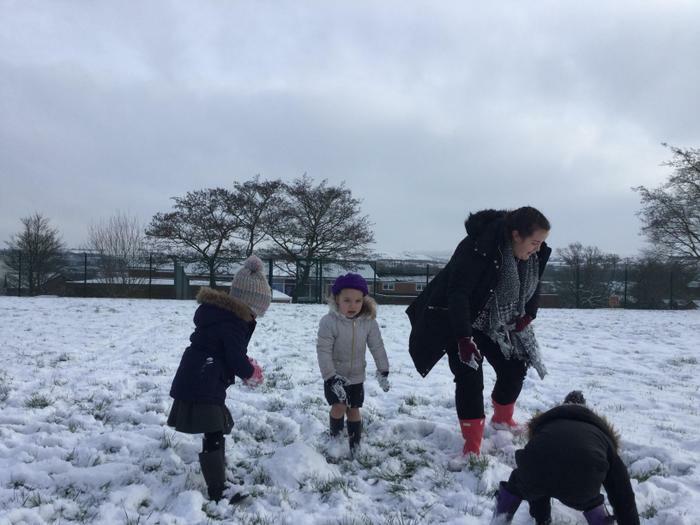 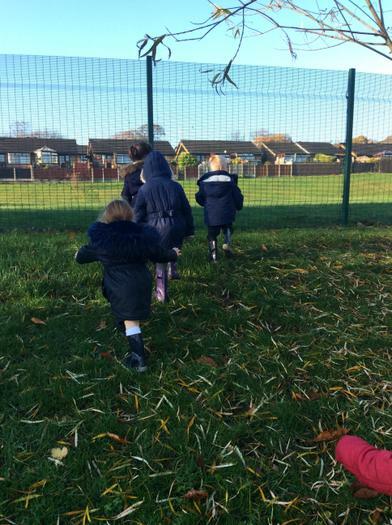 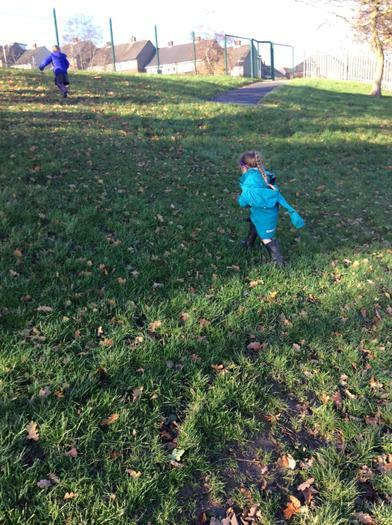 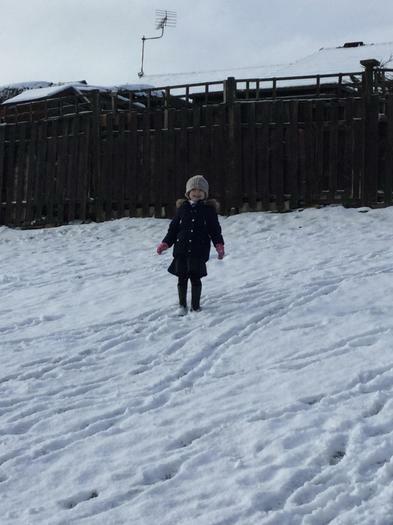 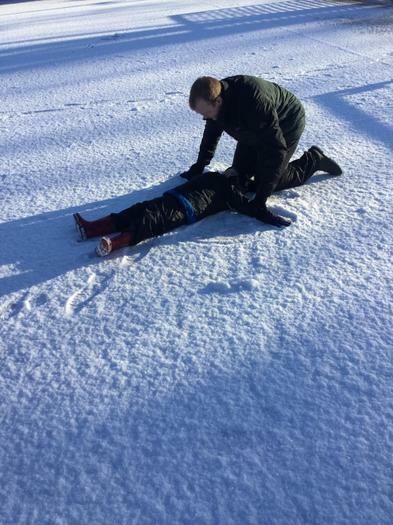 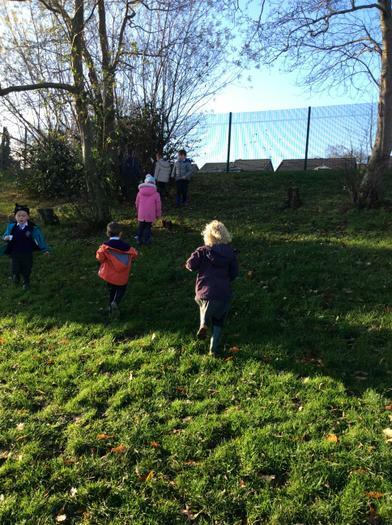 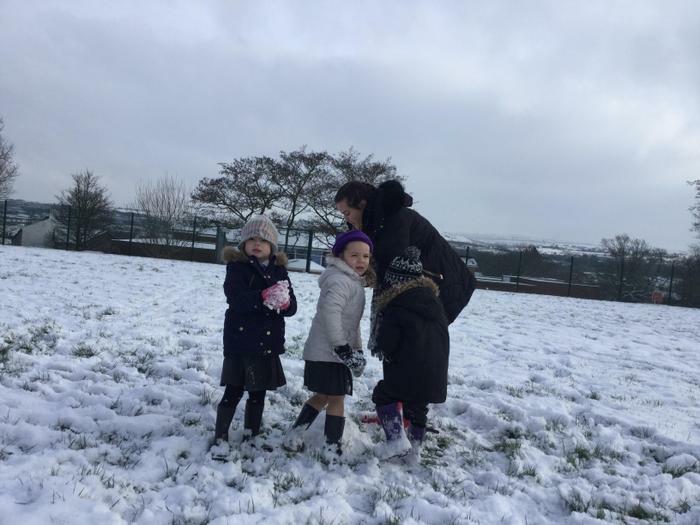 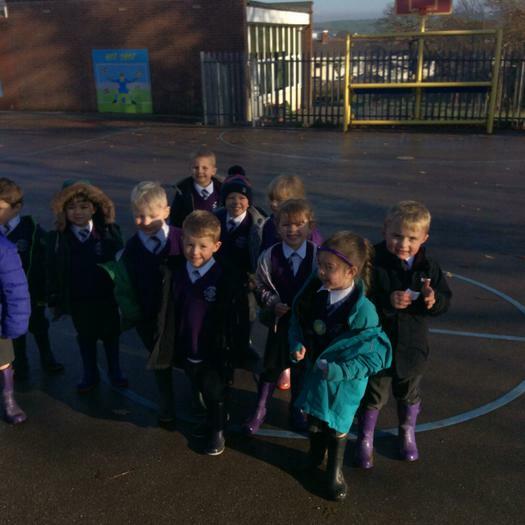 We went on a number hunt outside to help Jack Frost solve a problem. 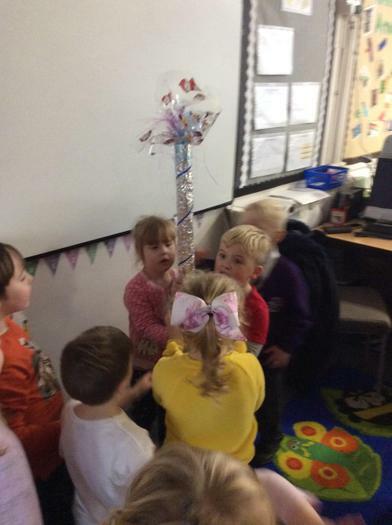 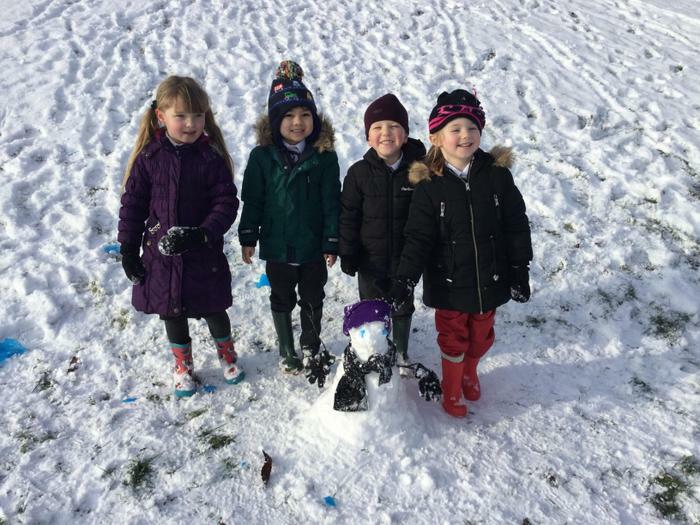 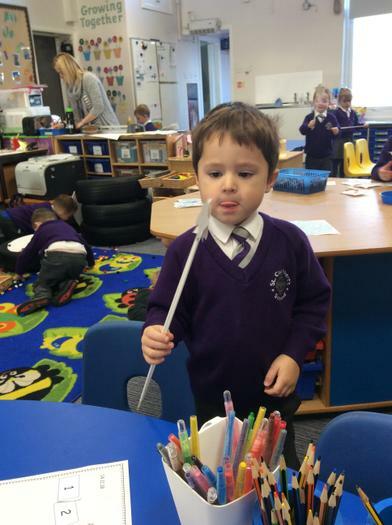 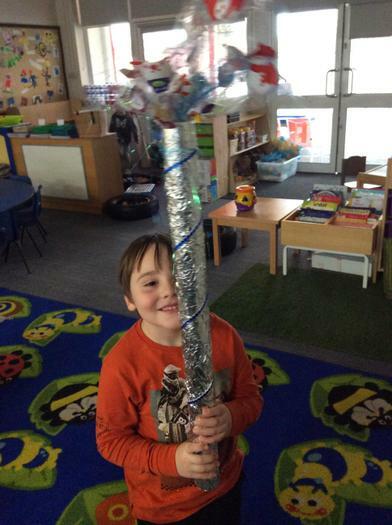 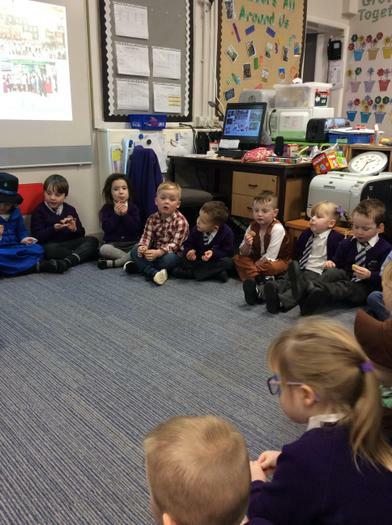 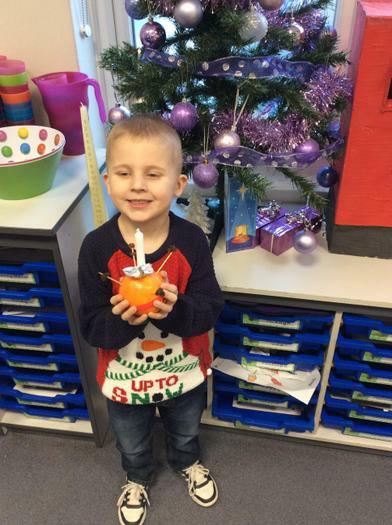 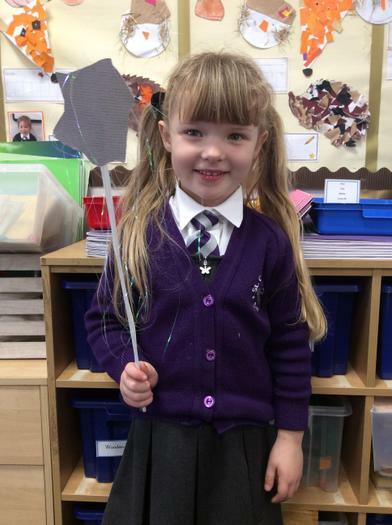 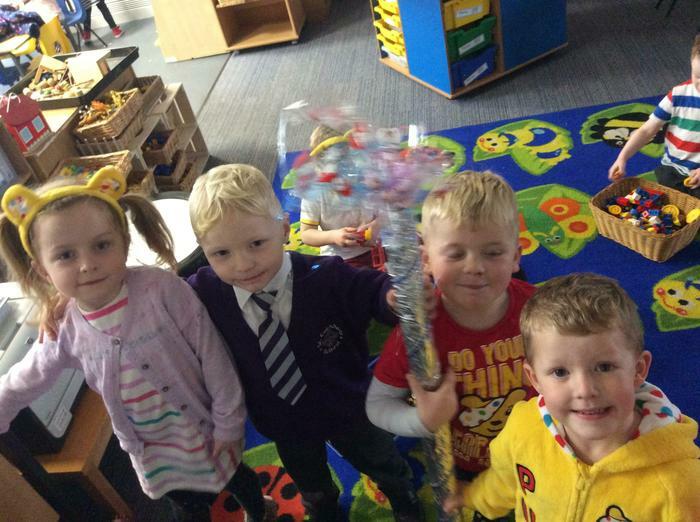 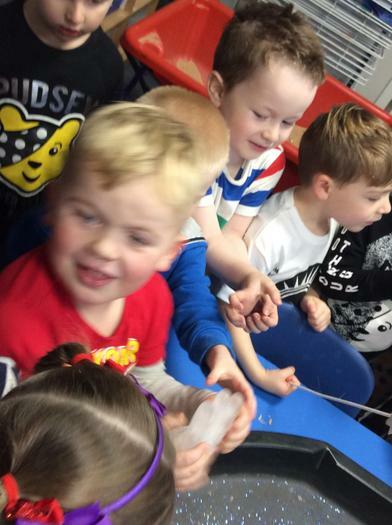 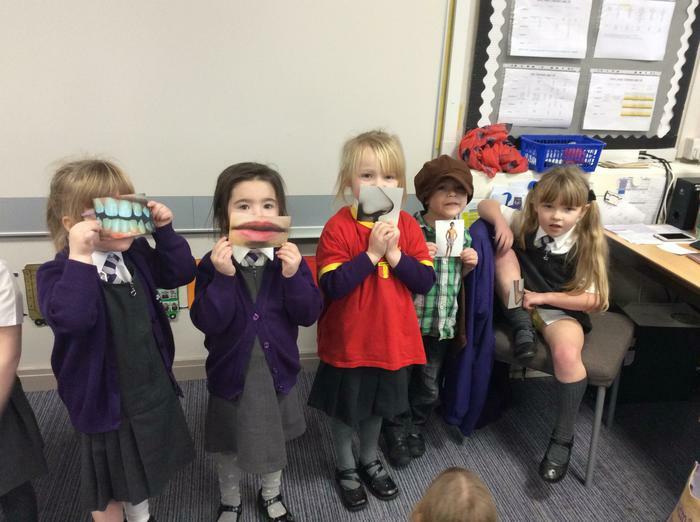 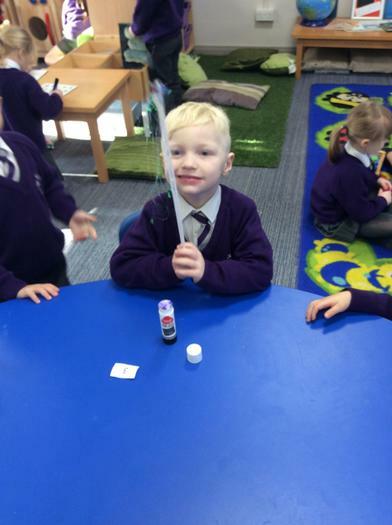 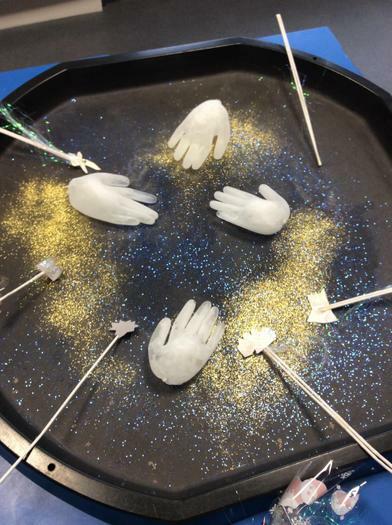 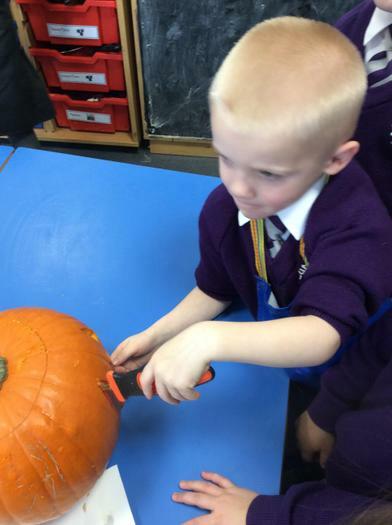 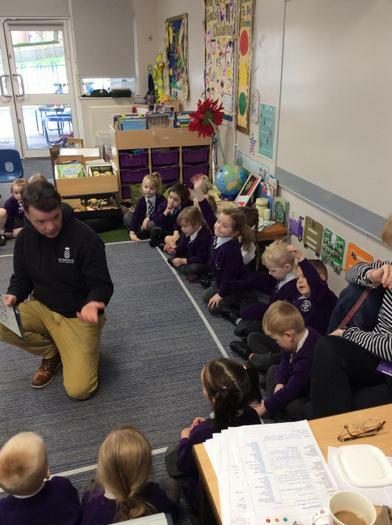 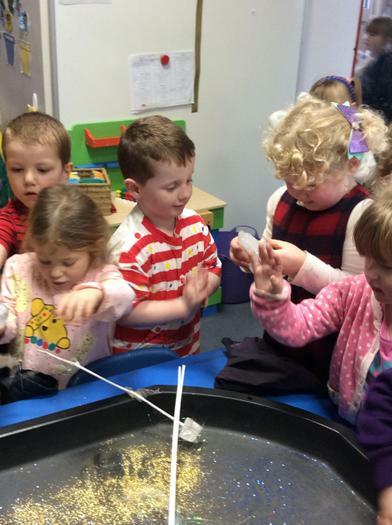 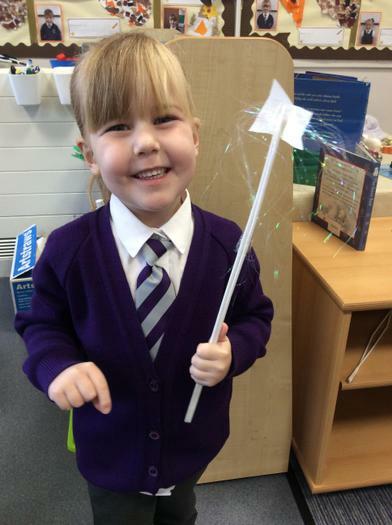 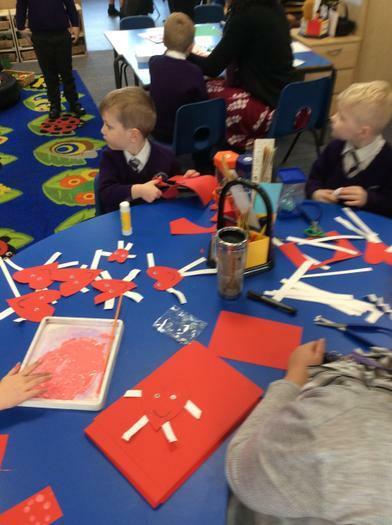 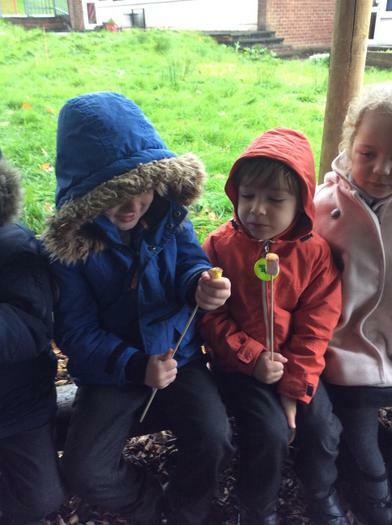 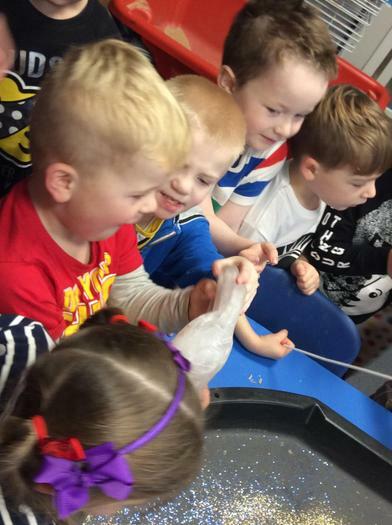 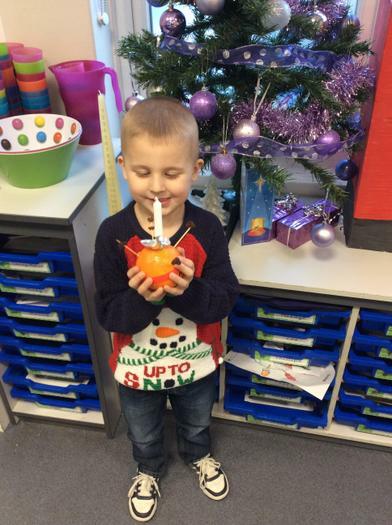 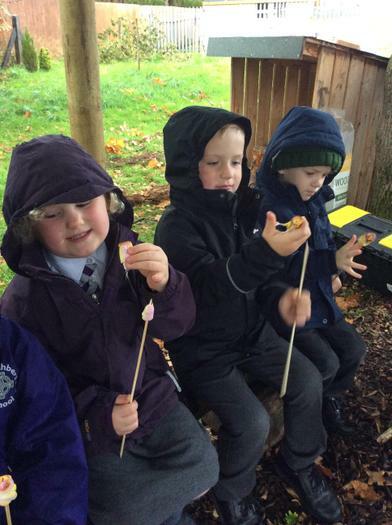 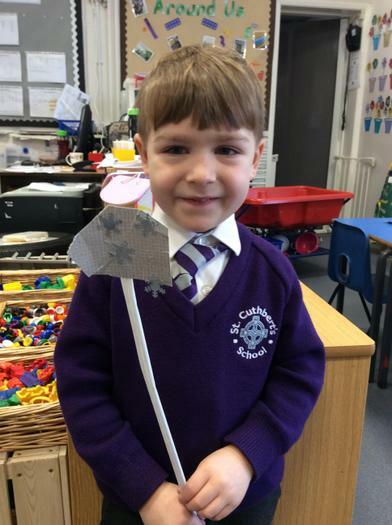 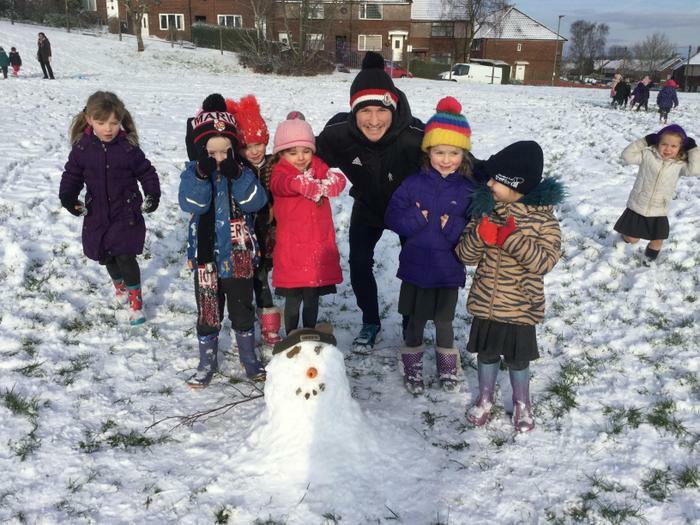 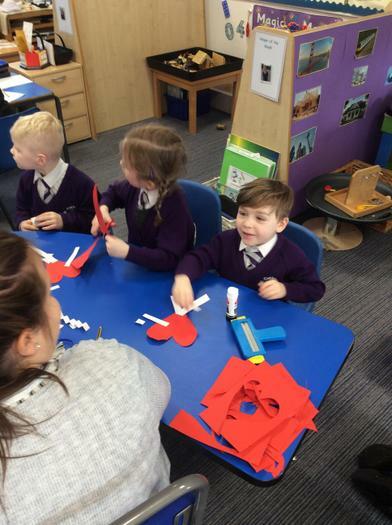 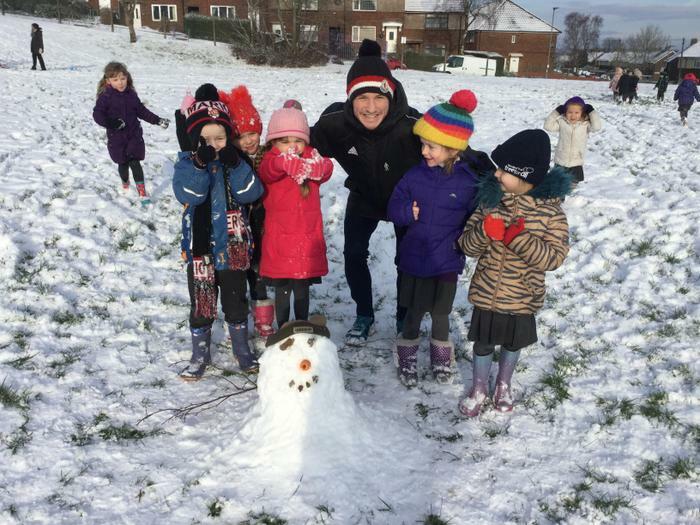 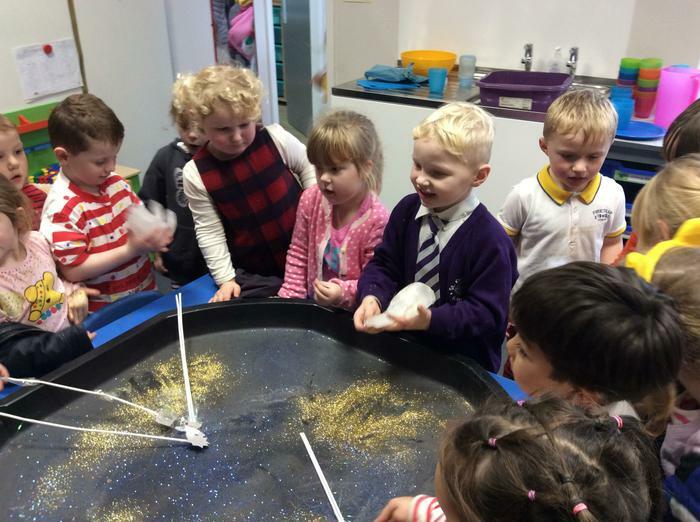 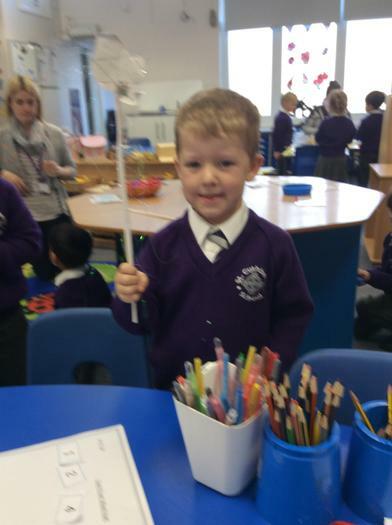 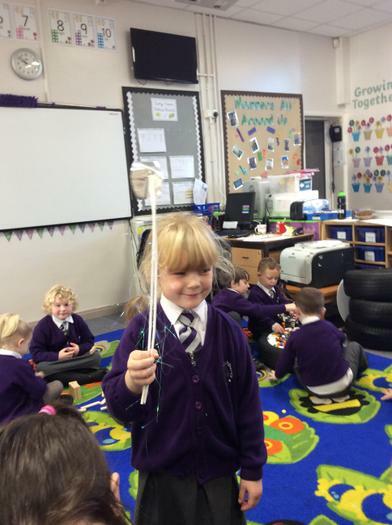 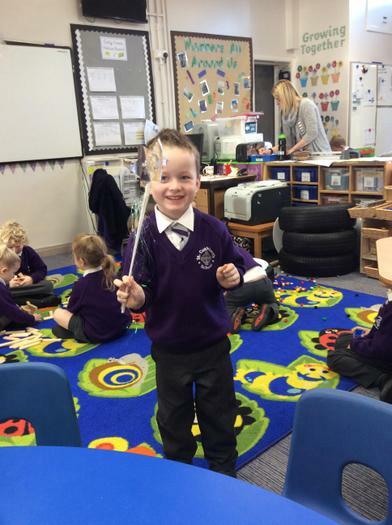 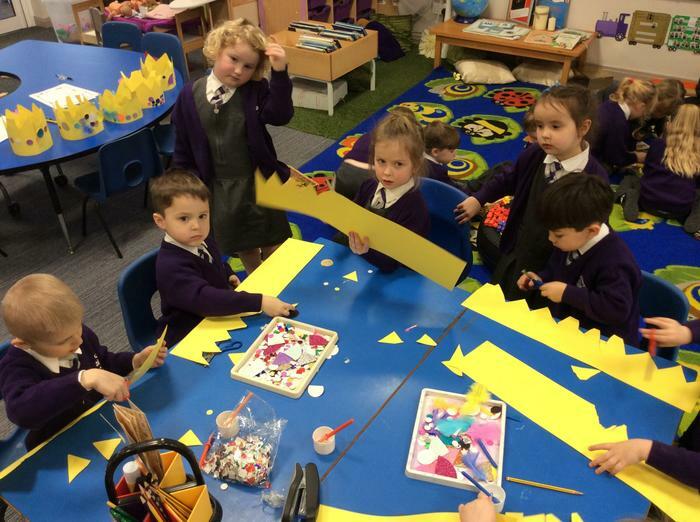 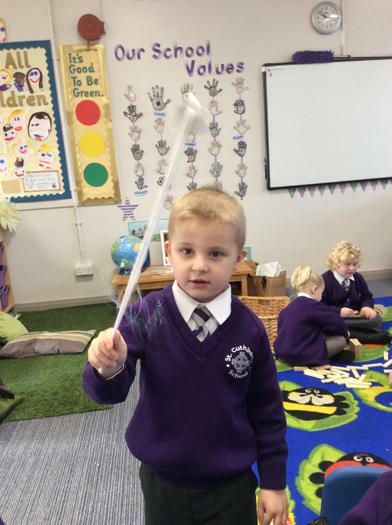 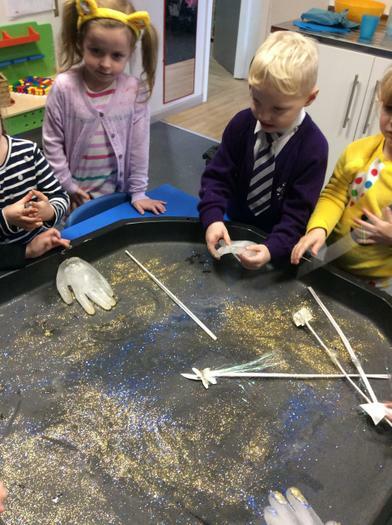 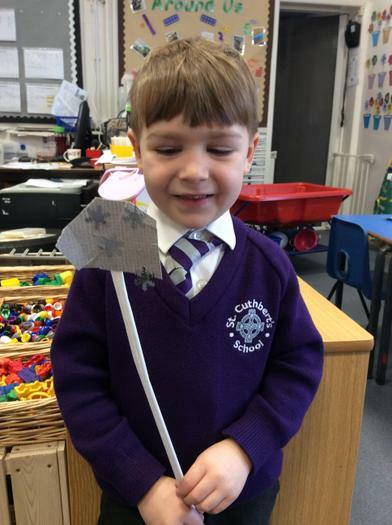 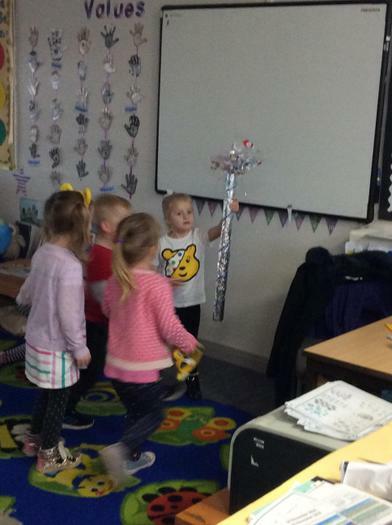 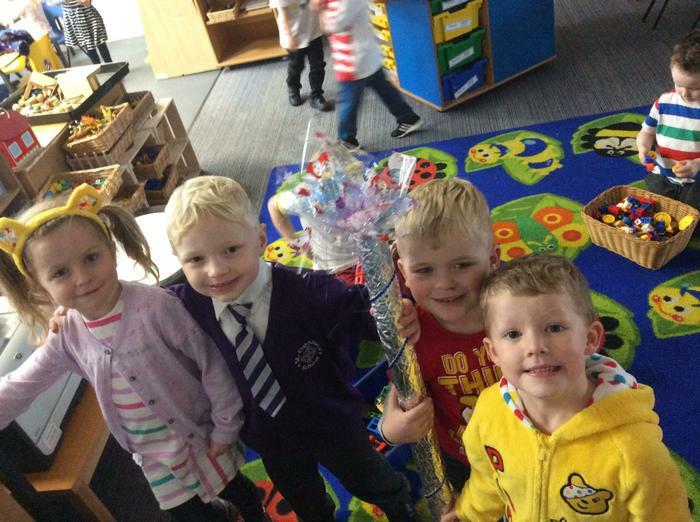 We all made a special wand to help Jack Frost. 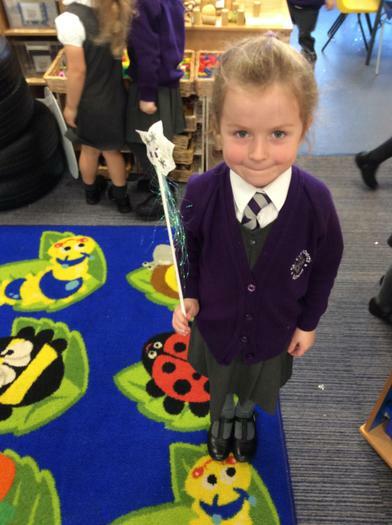 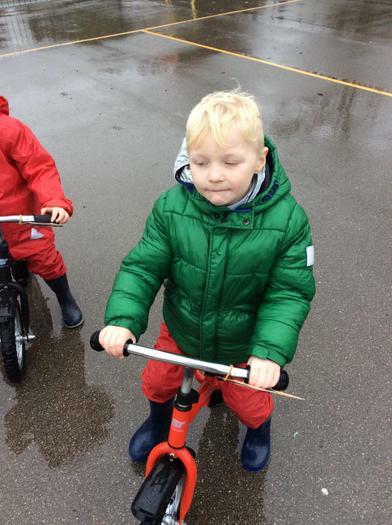 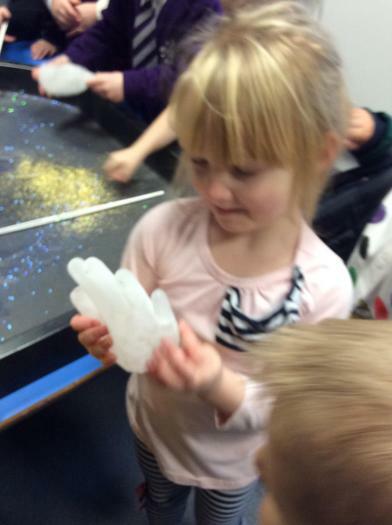 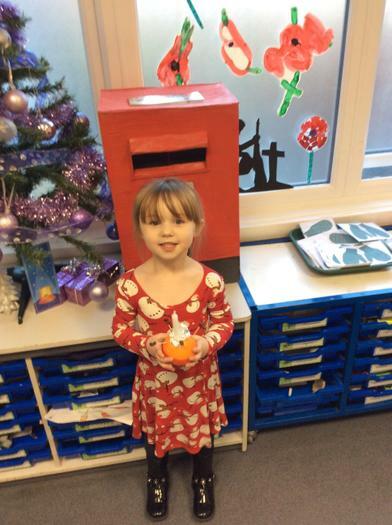 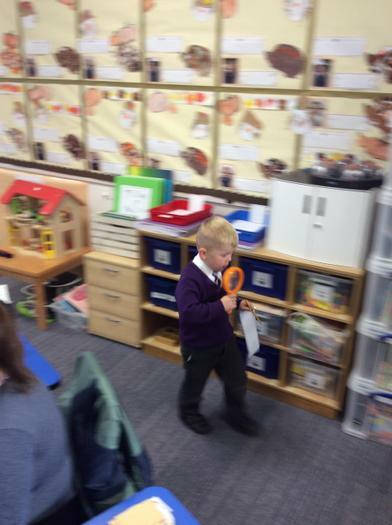 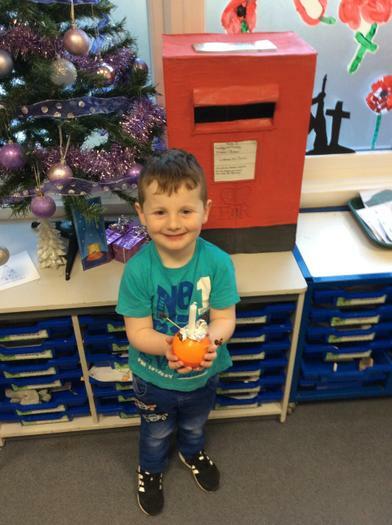 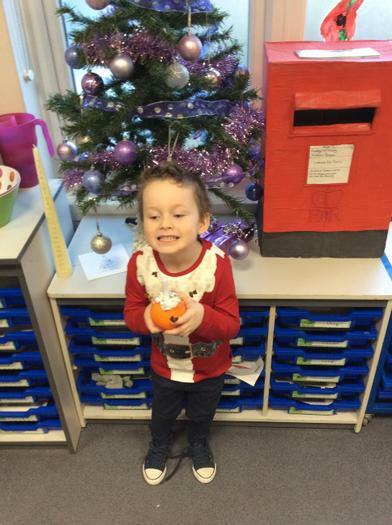 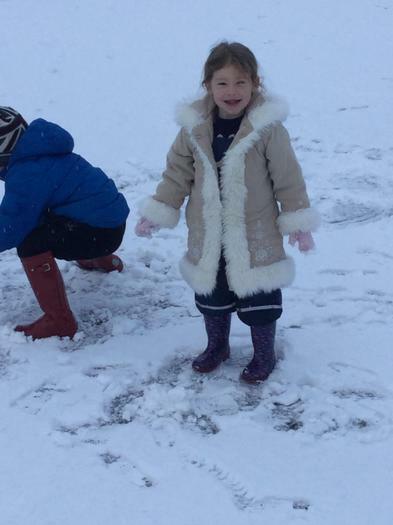 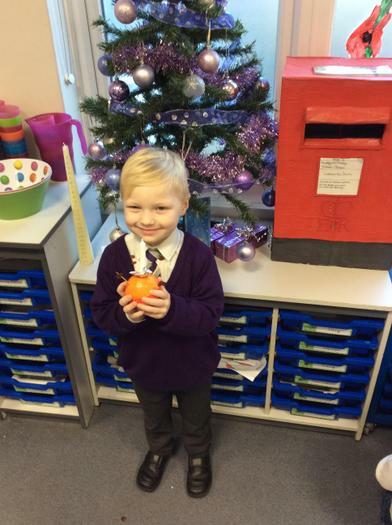 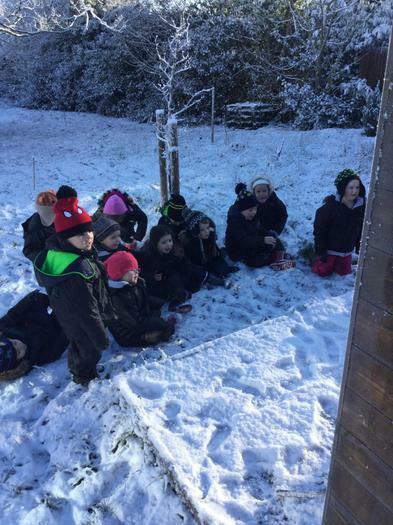 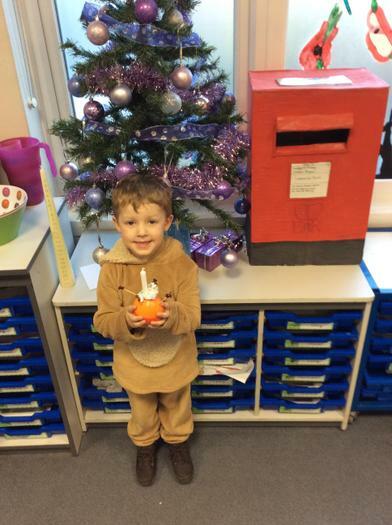 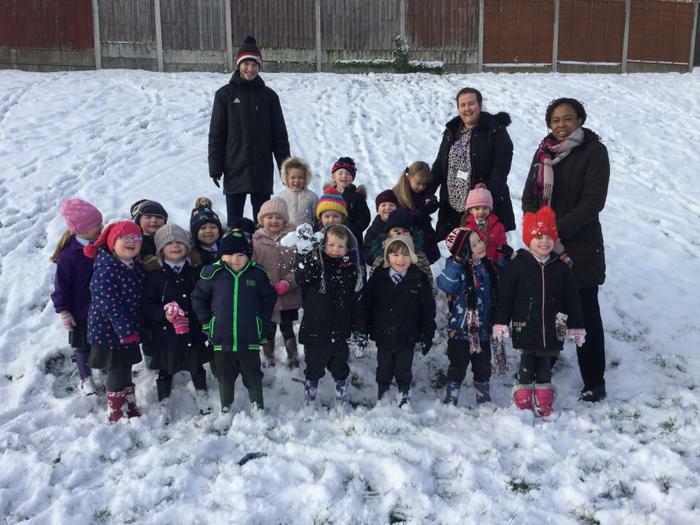 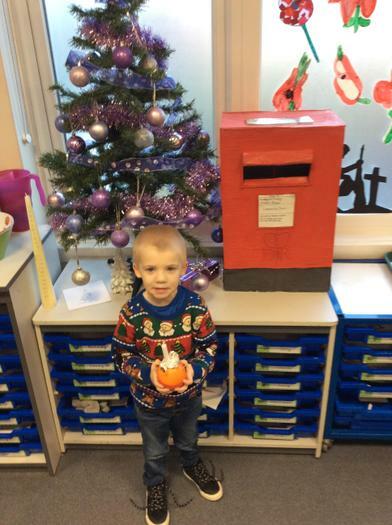 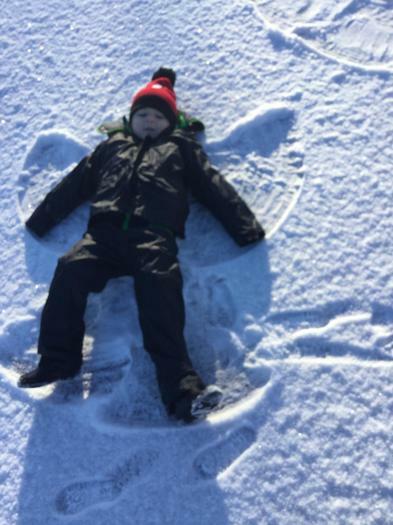 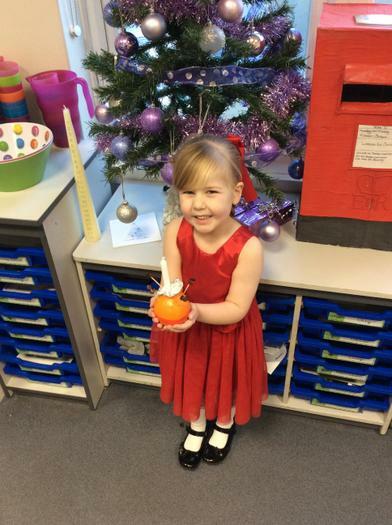 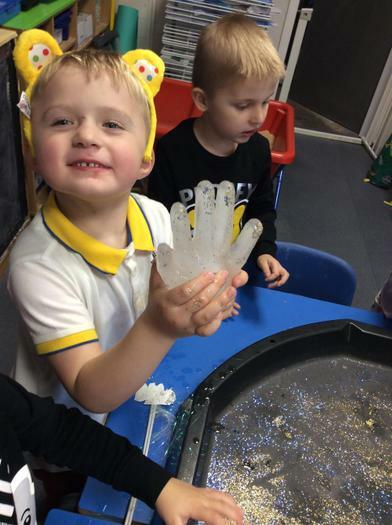 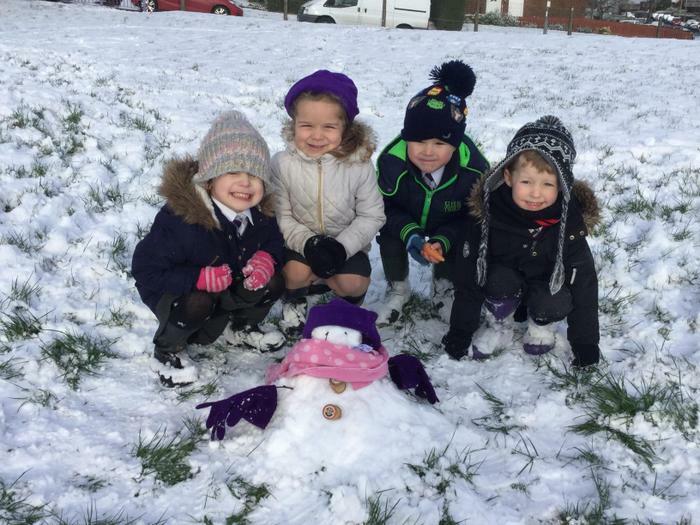 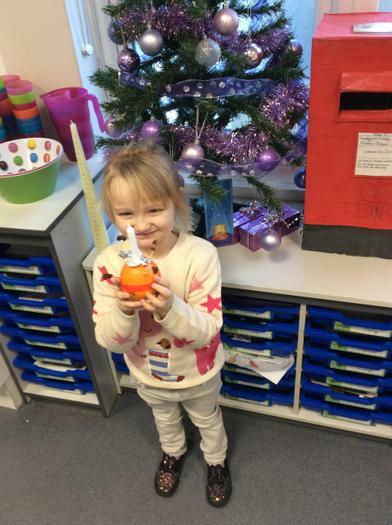 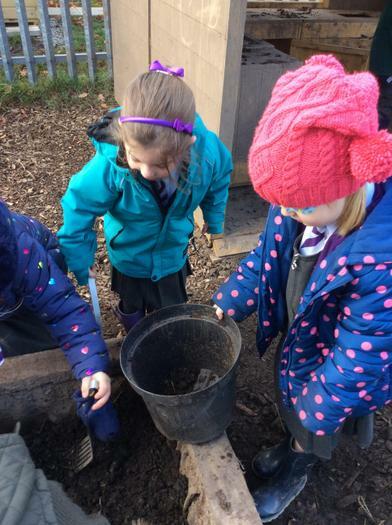 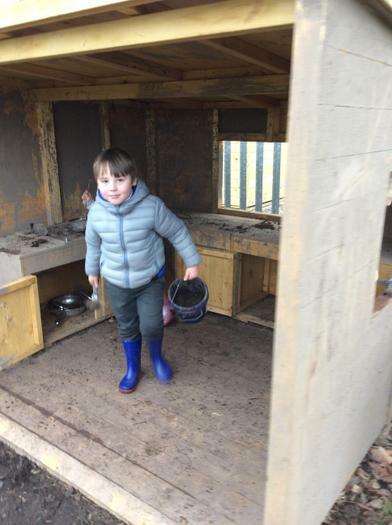 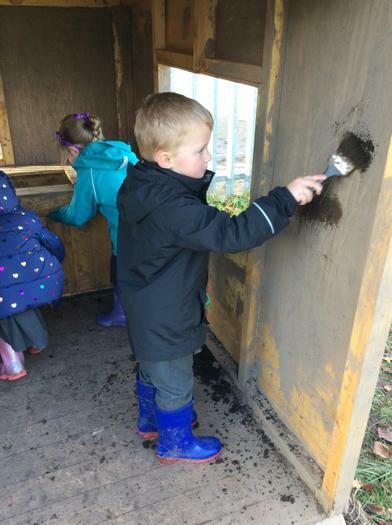 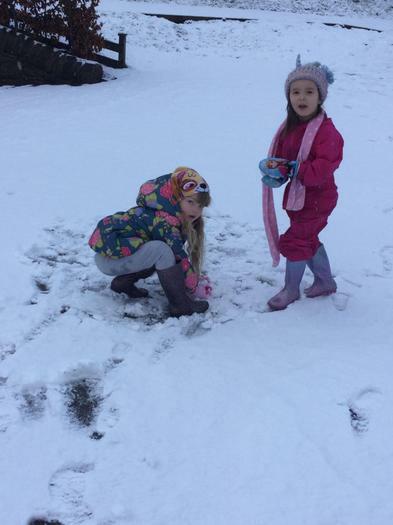 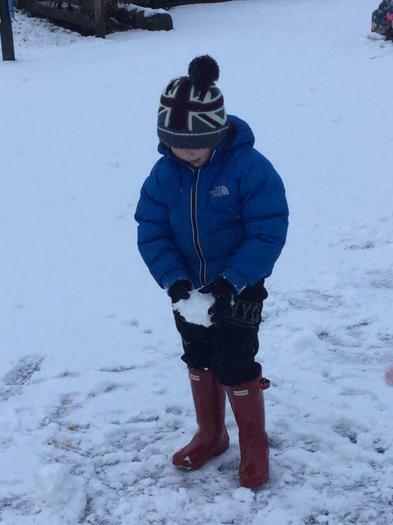 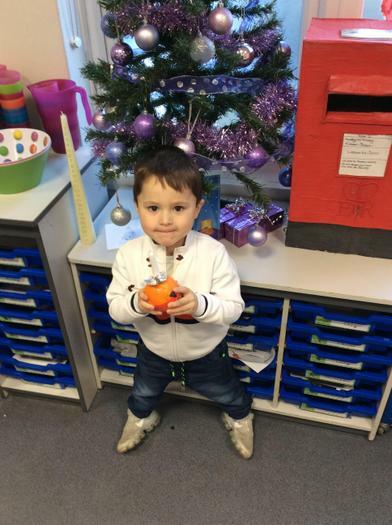 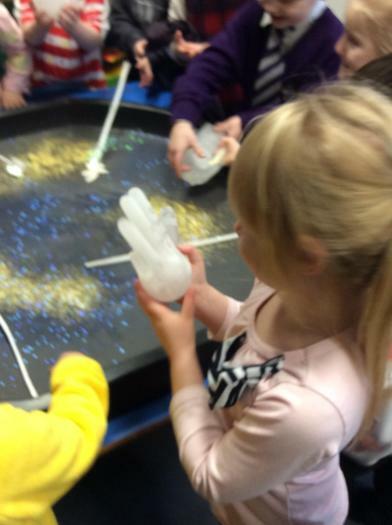 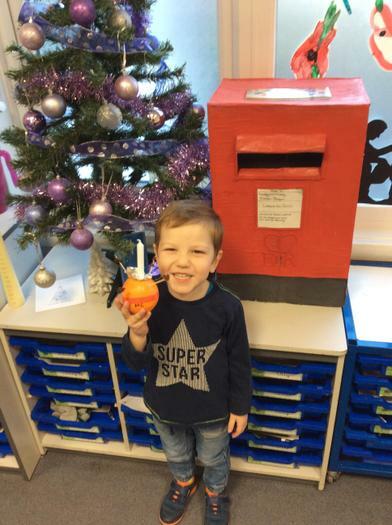 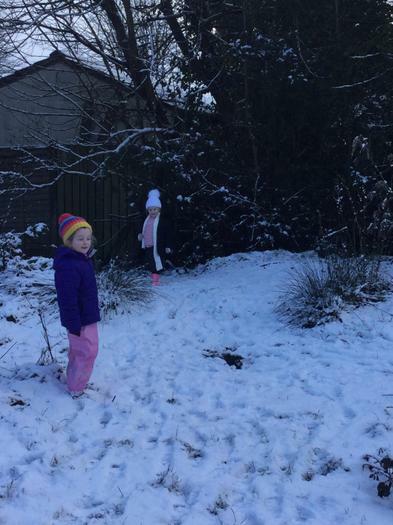 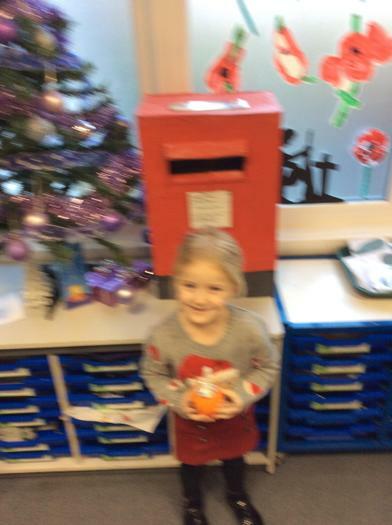 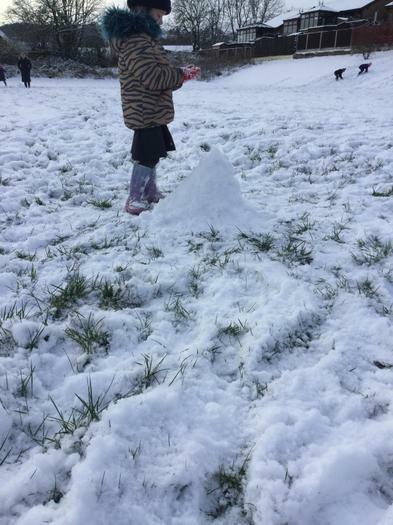 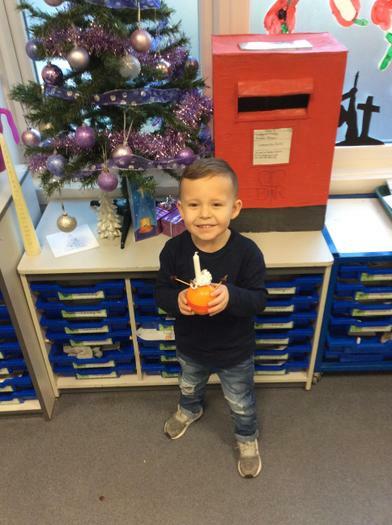 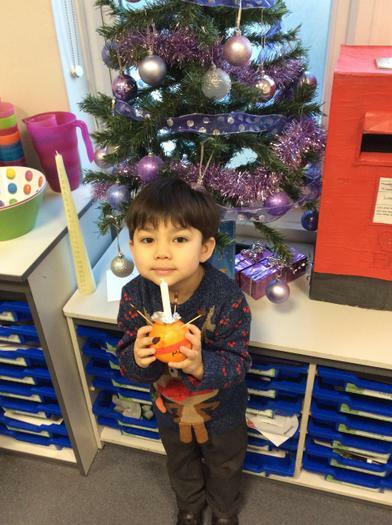 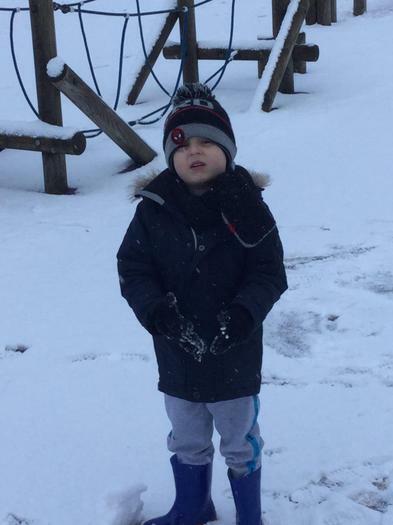 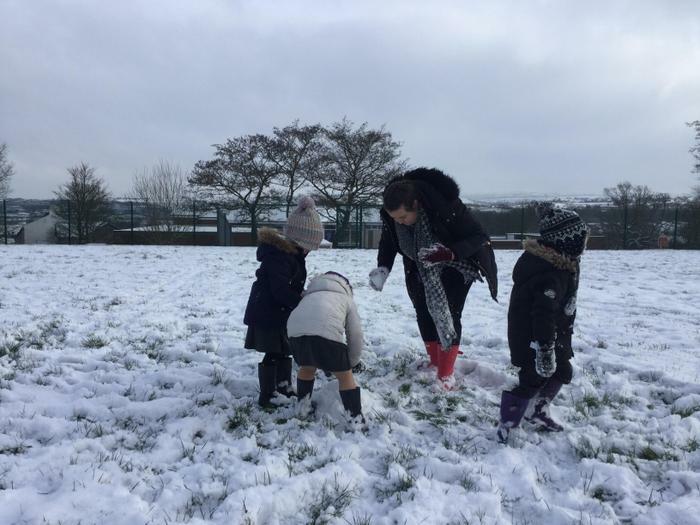 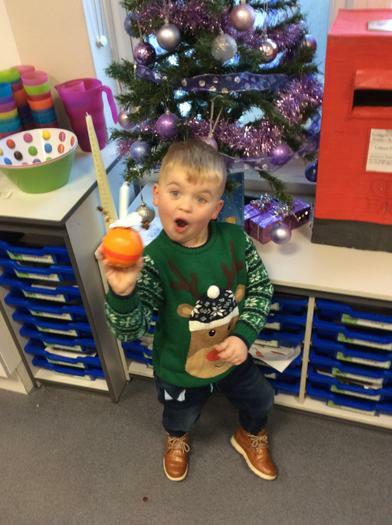 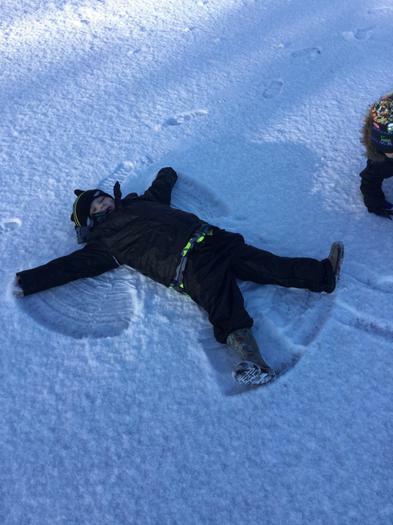 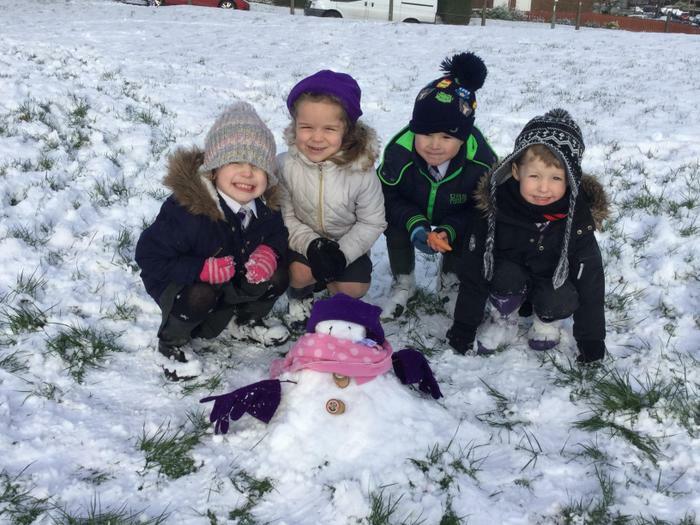 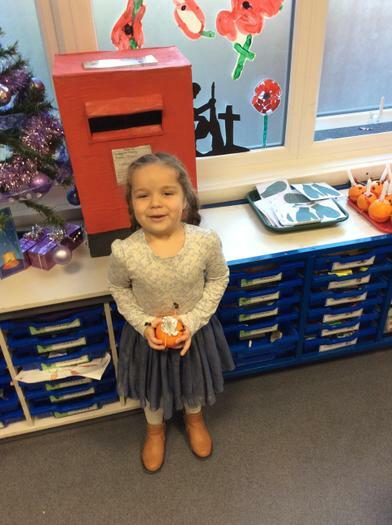 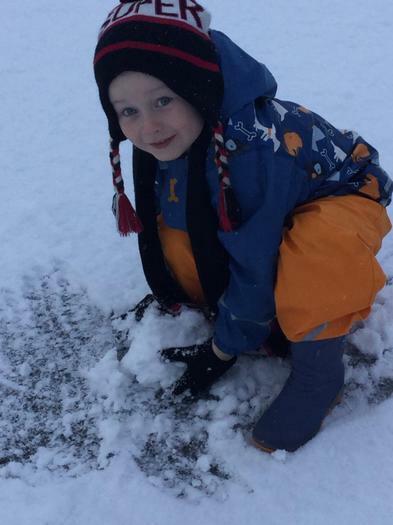 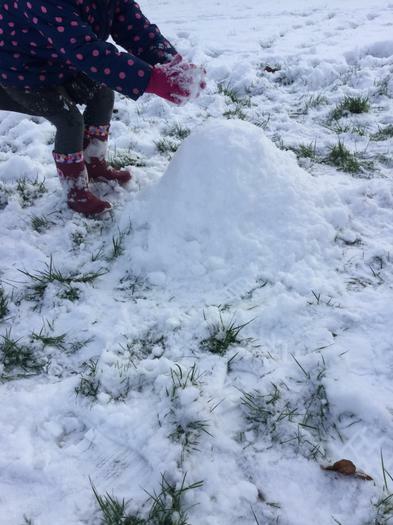 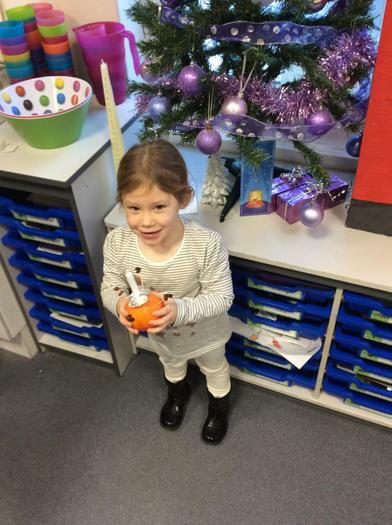 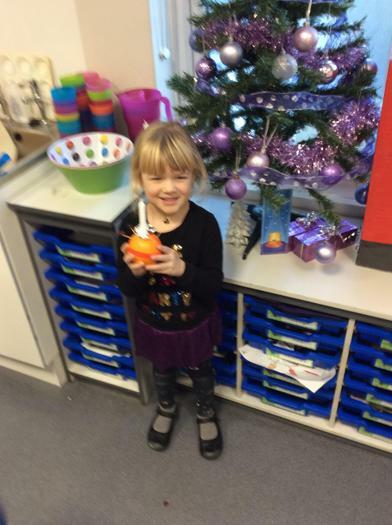 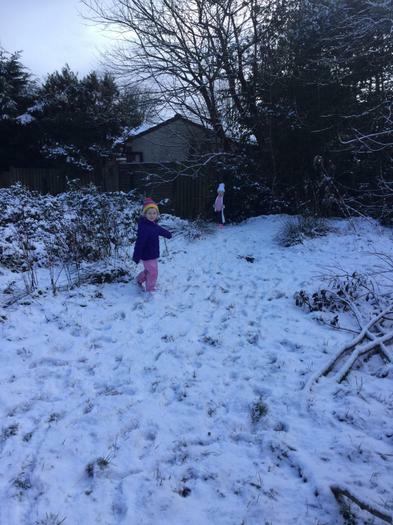 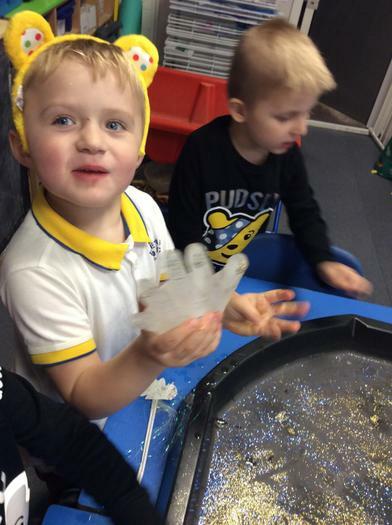 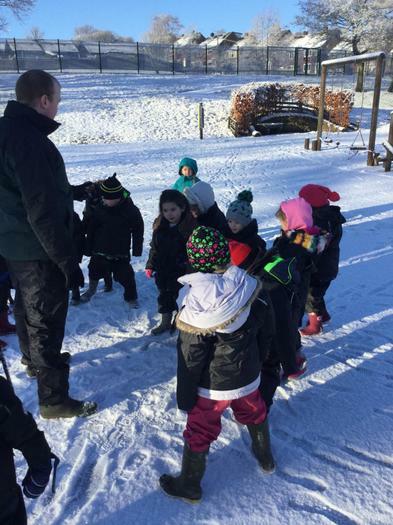 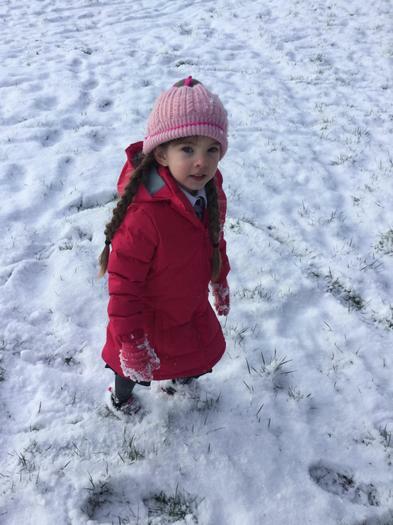 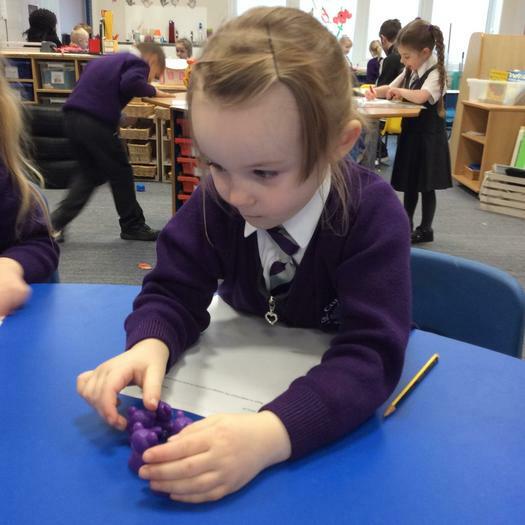 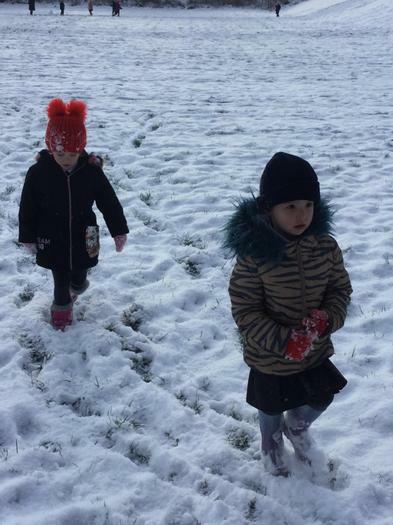 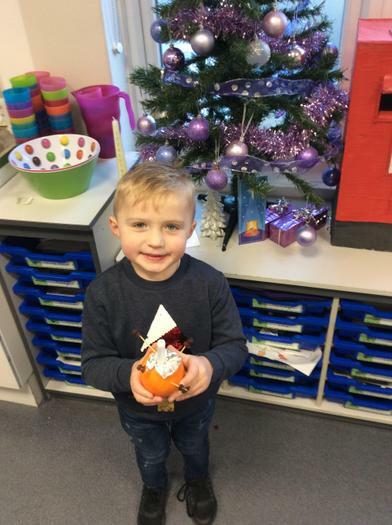 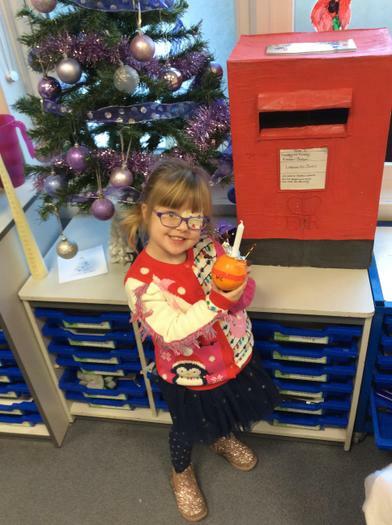 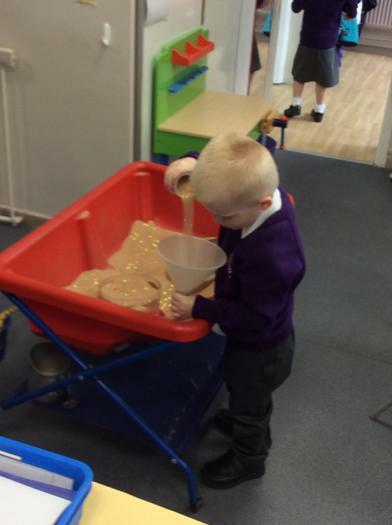 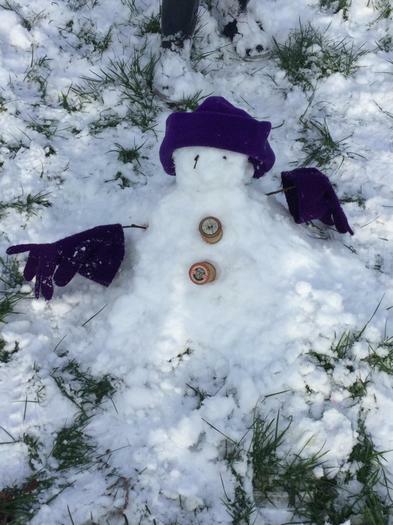 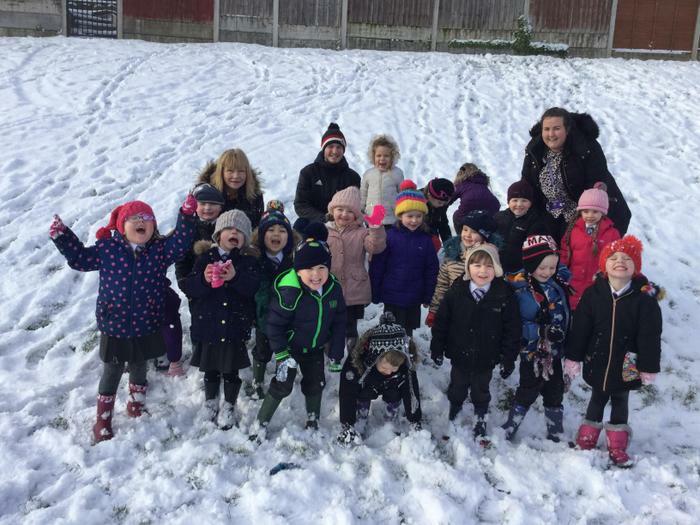 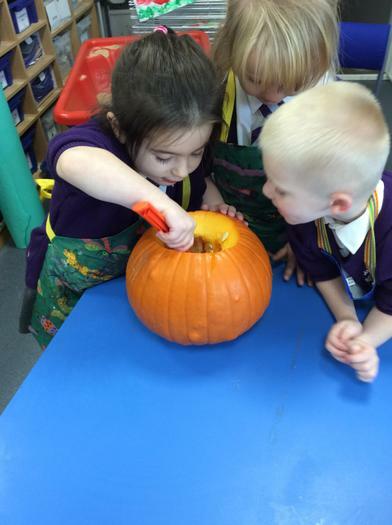 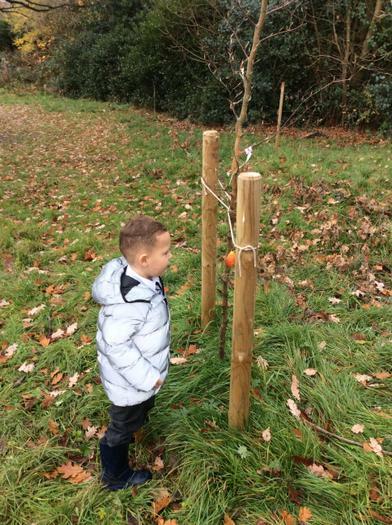 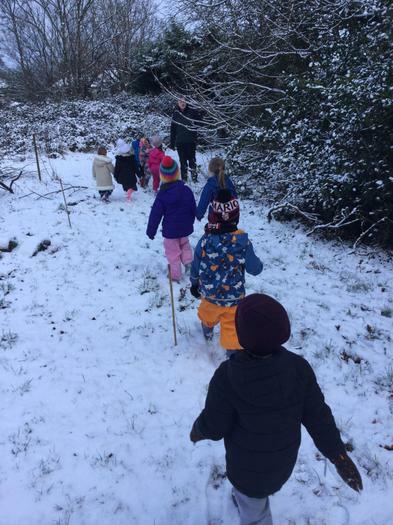 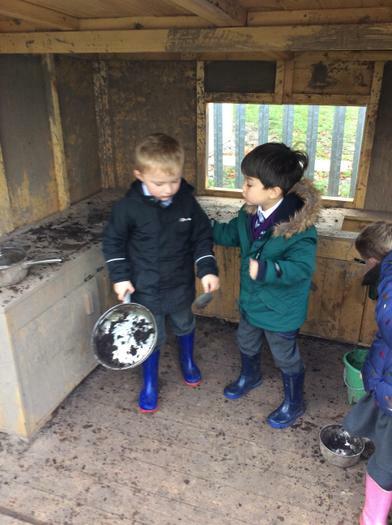 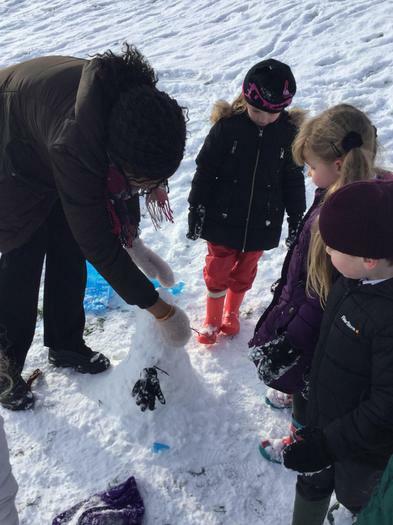 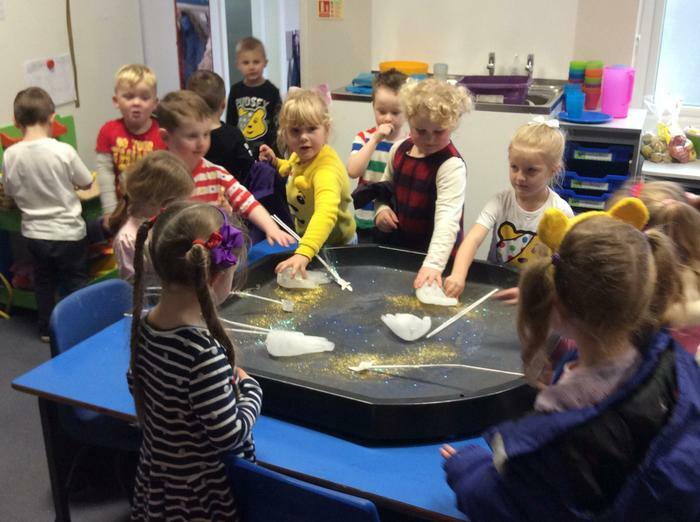 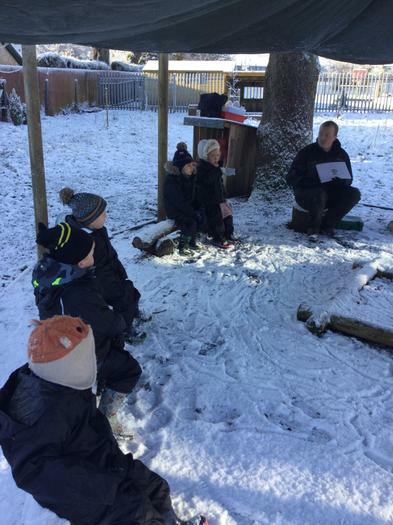 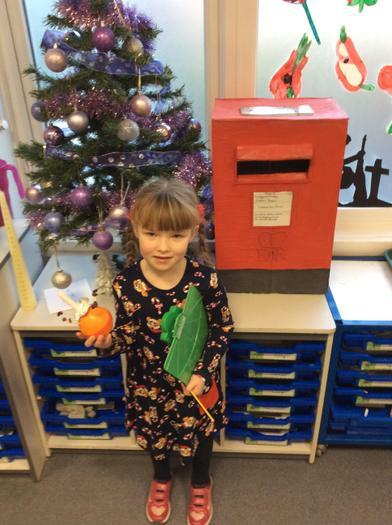 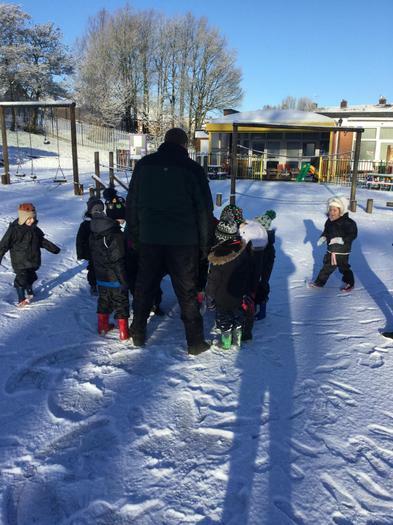 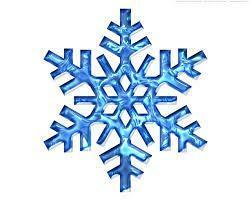 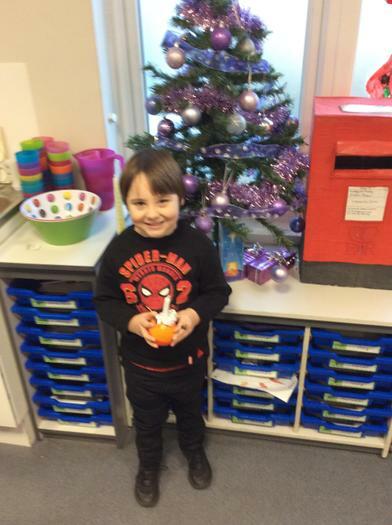 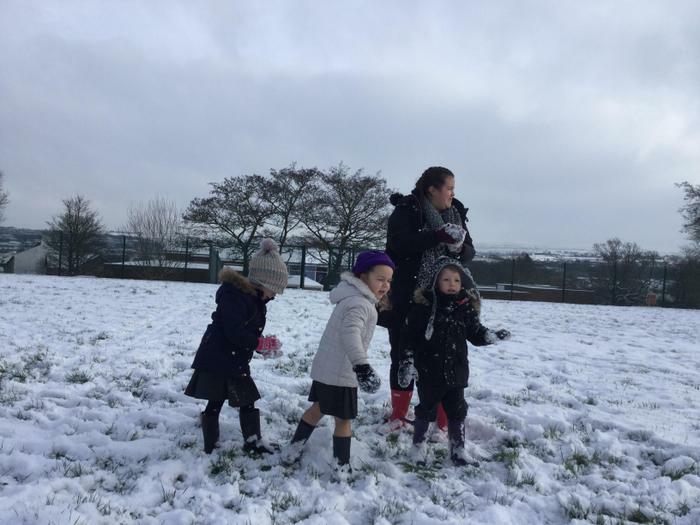 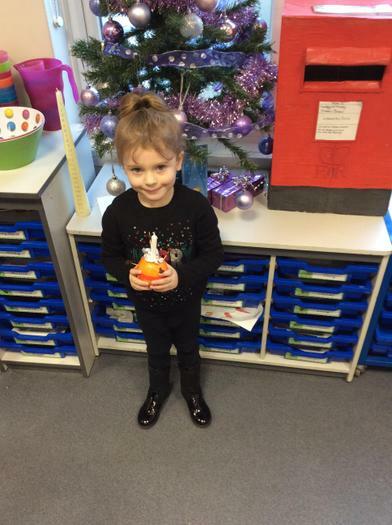 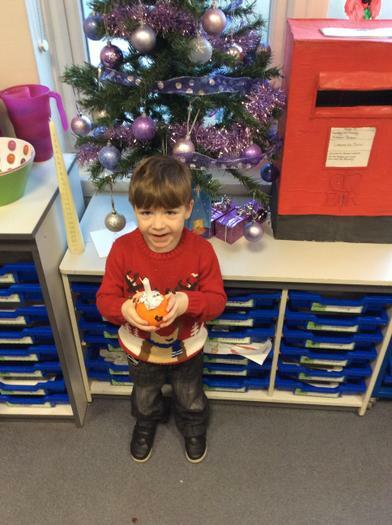 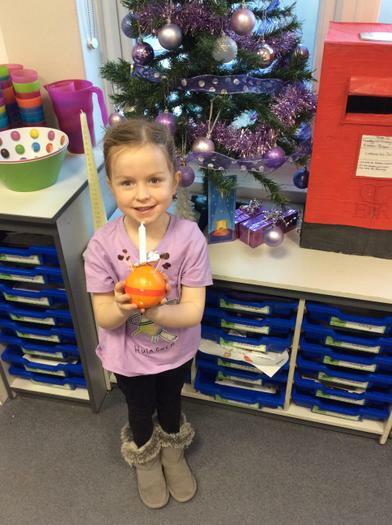 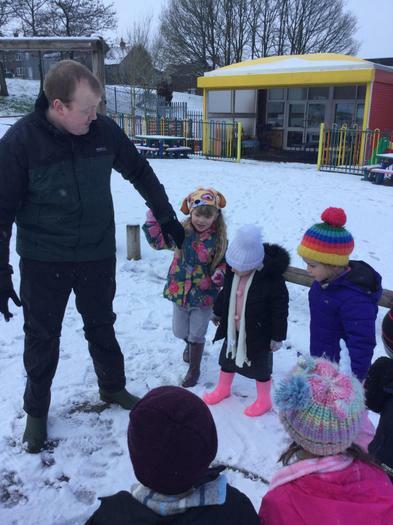 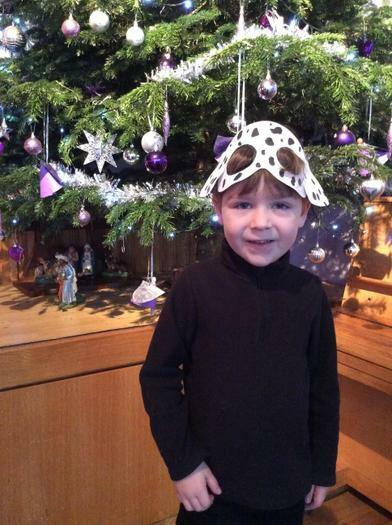 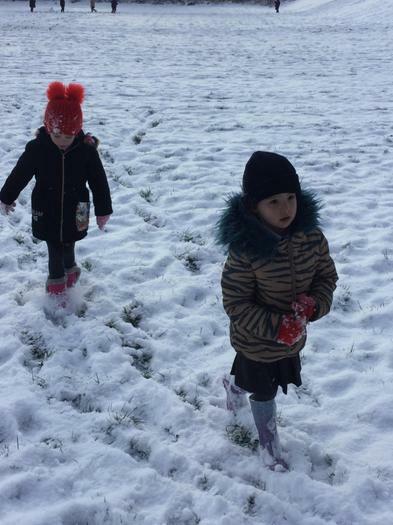 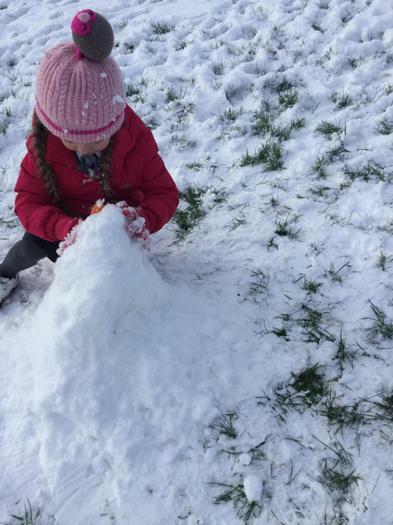 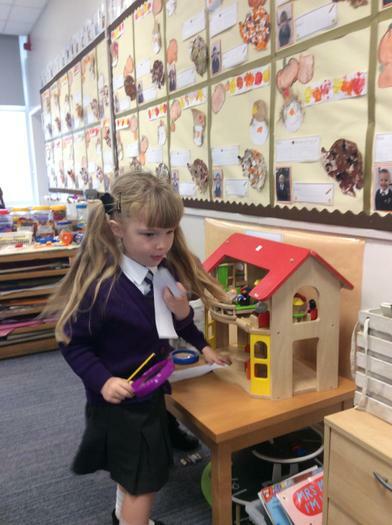 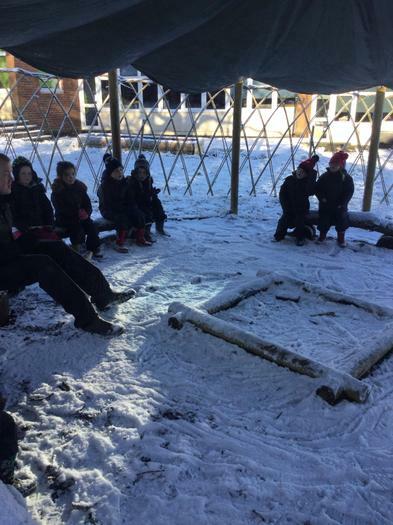 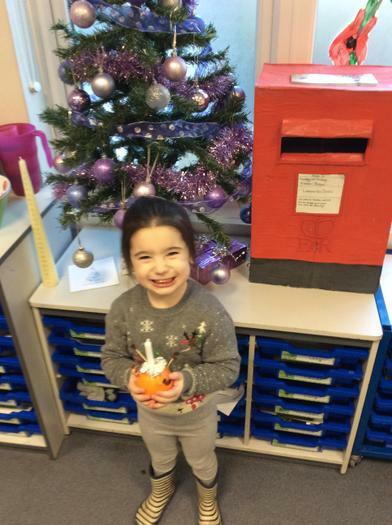 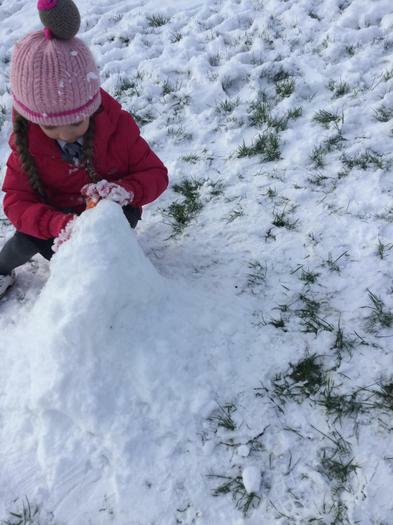 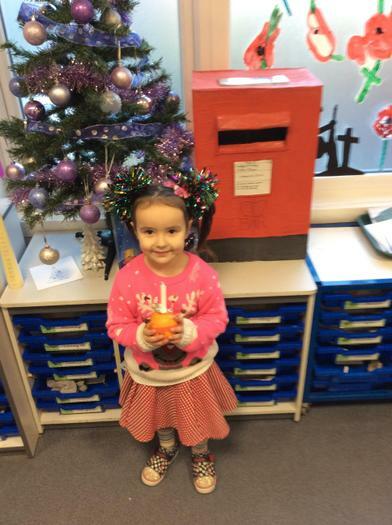 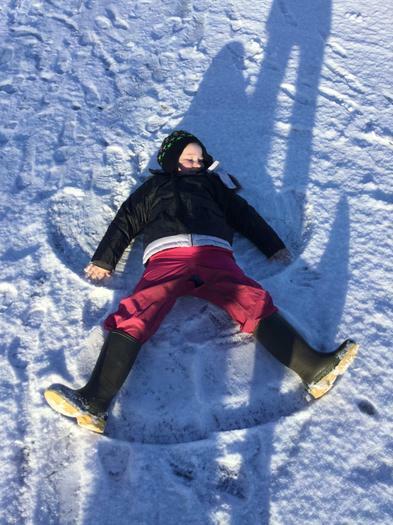 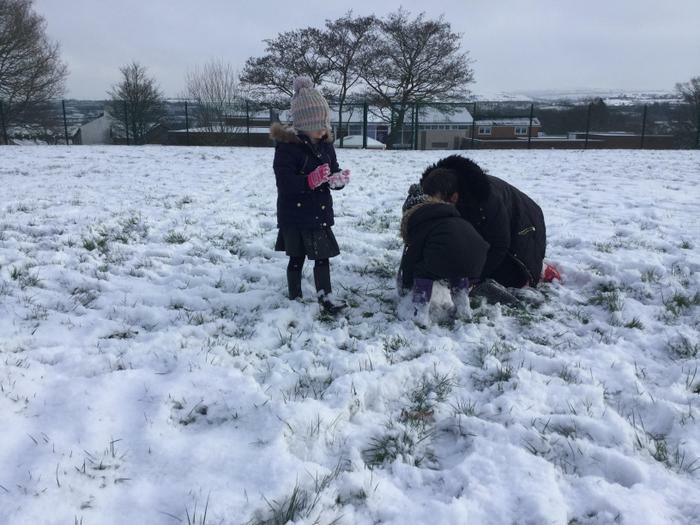 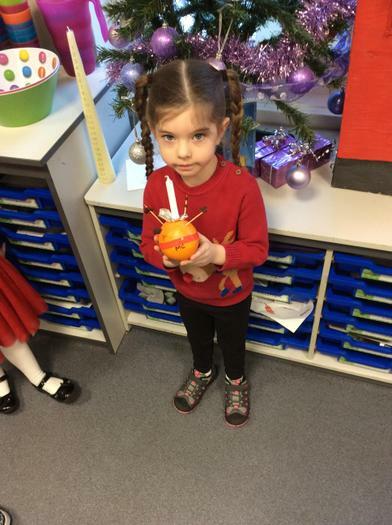 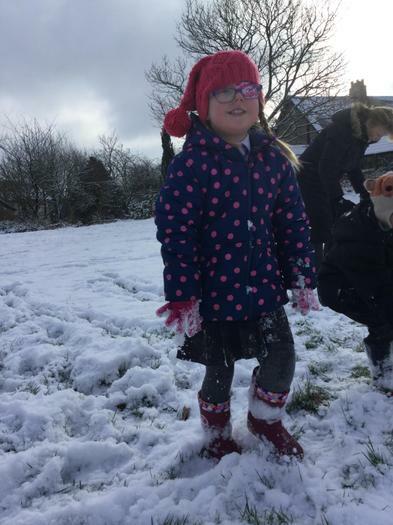 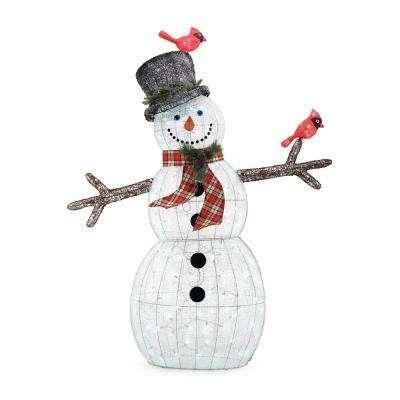 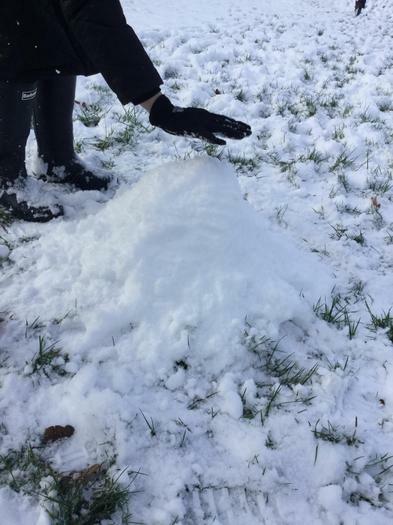 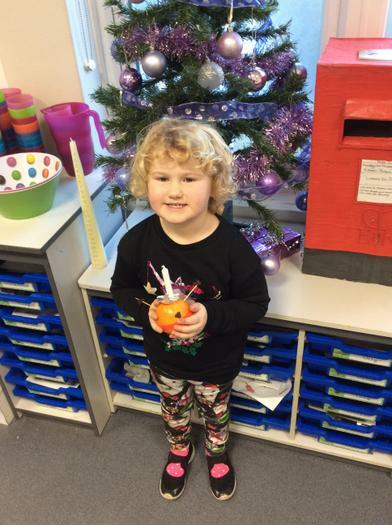 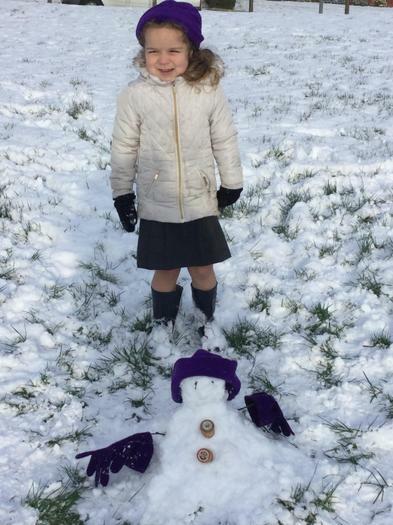 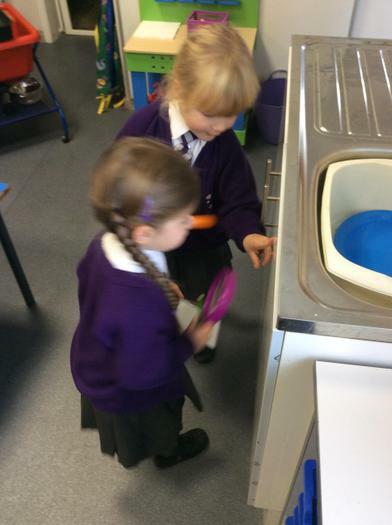 Jack Frost came back with a very special wand, He also left us something very excting to investigate. 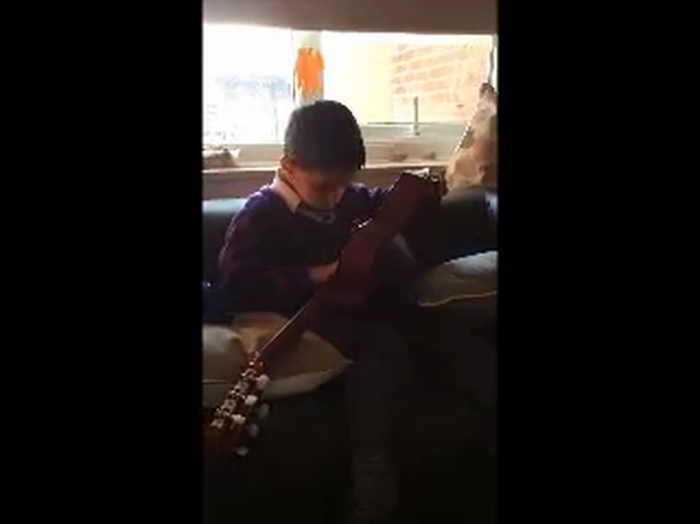 Hussain likes to play the guitar. 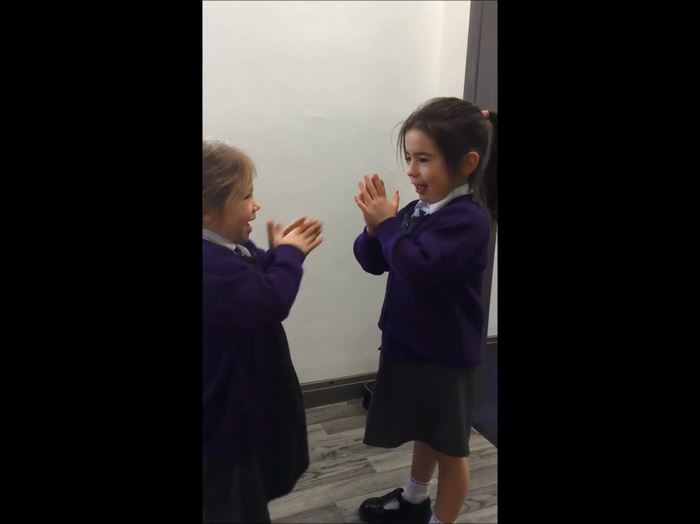 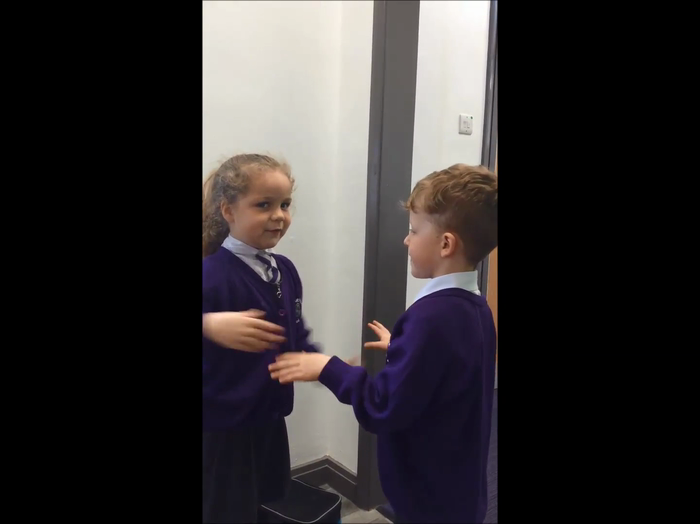 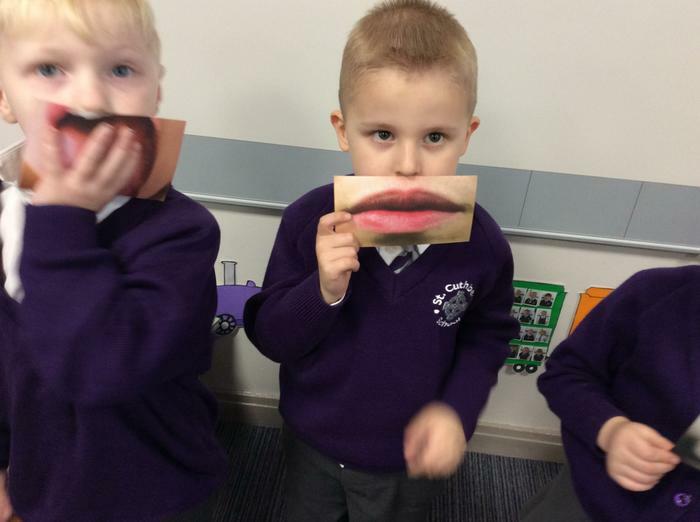 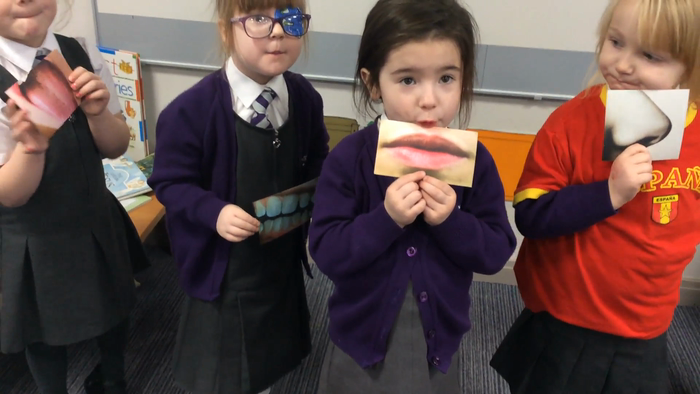 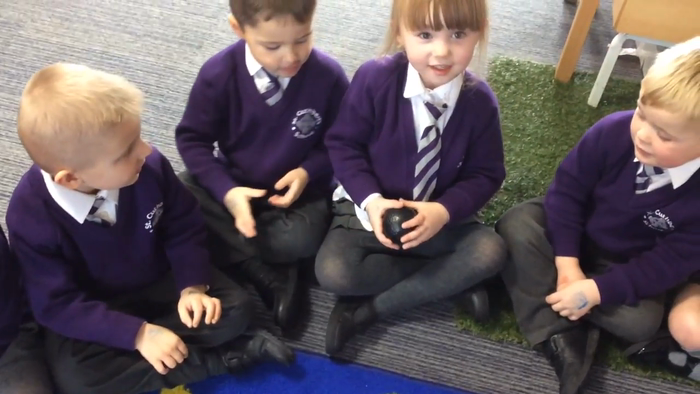 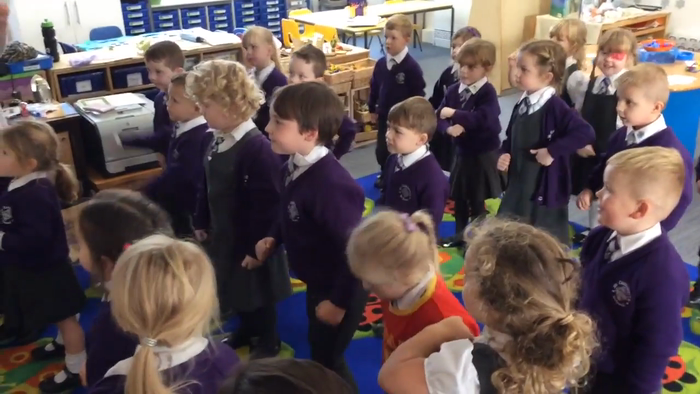 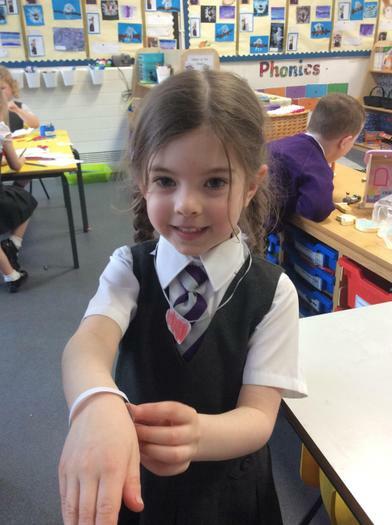 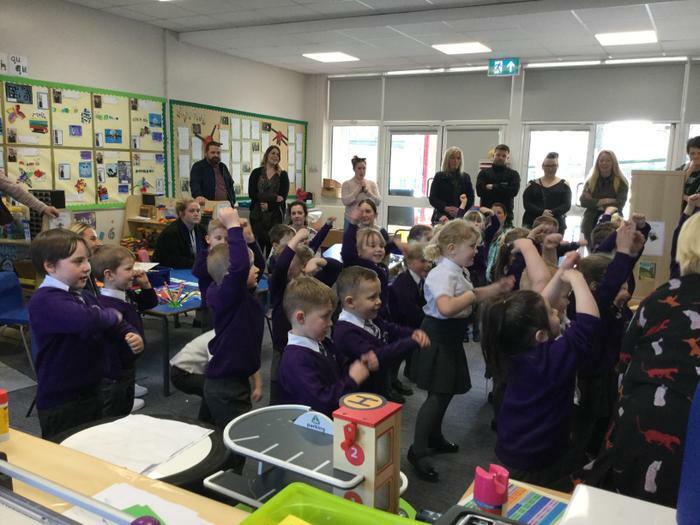 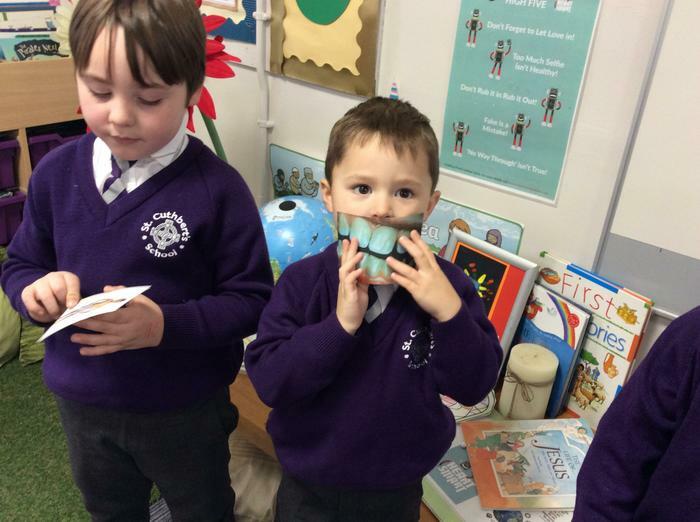 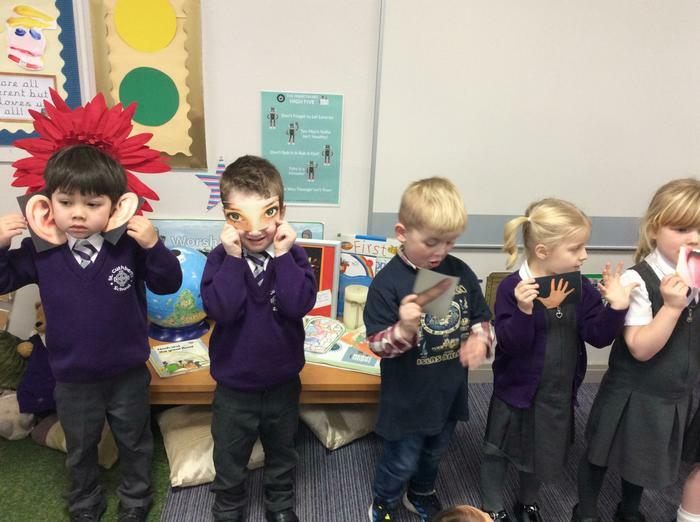 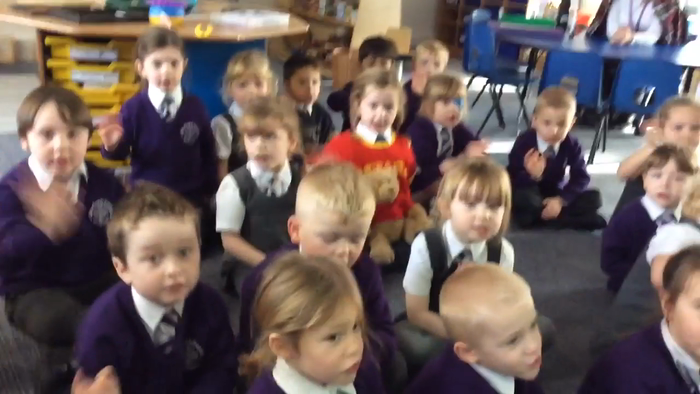 In our Spanish lessons we have been learning a song about body parts. 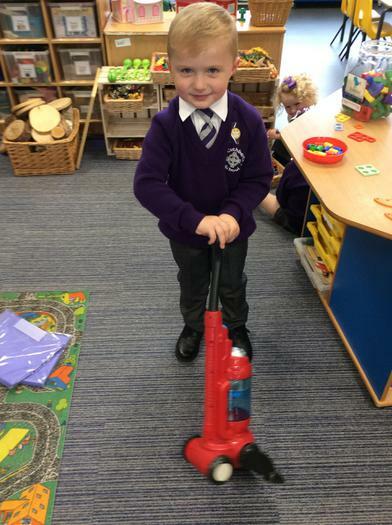 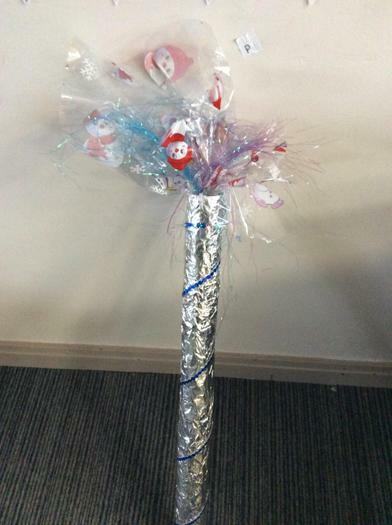 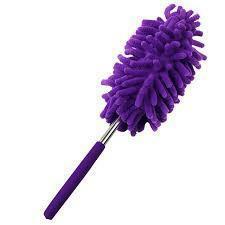 For keeping our classroom extremely clean and tidy all week. 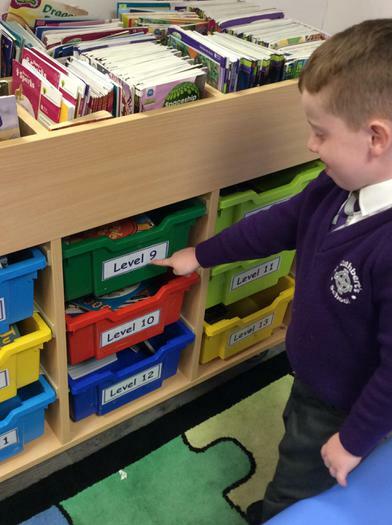 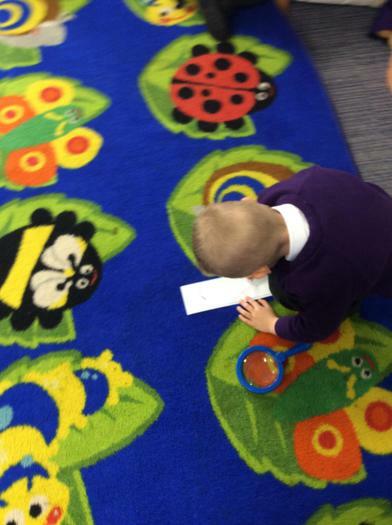 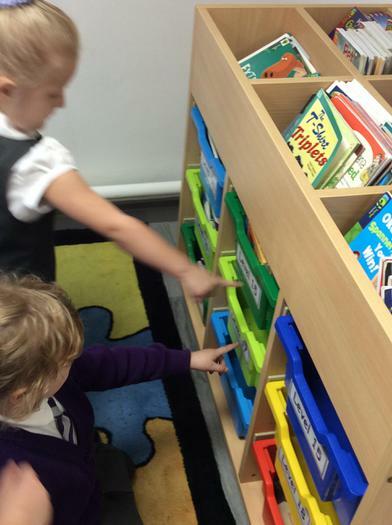 Can you find the letter sounds hidden around the classroom? 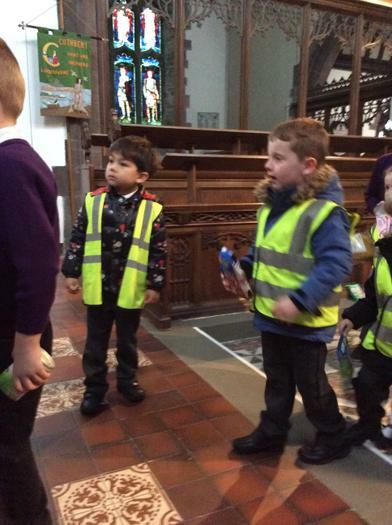 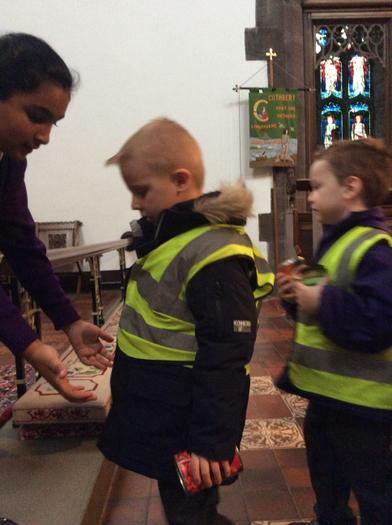 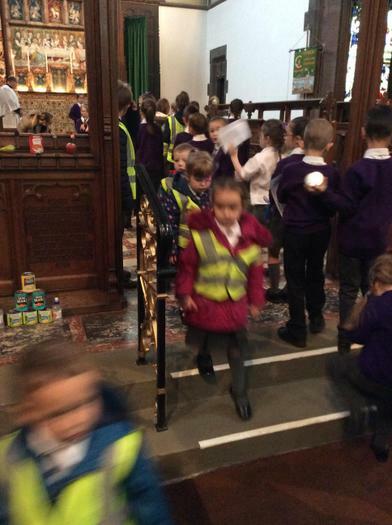 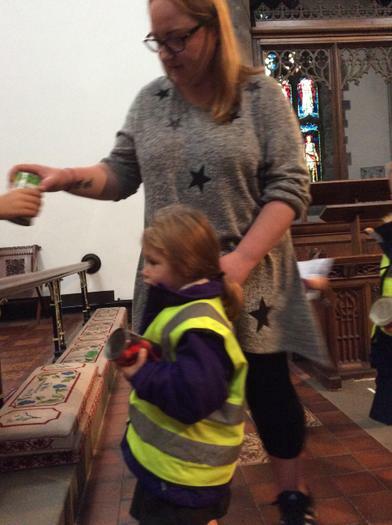 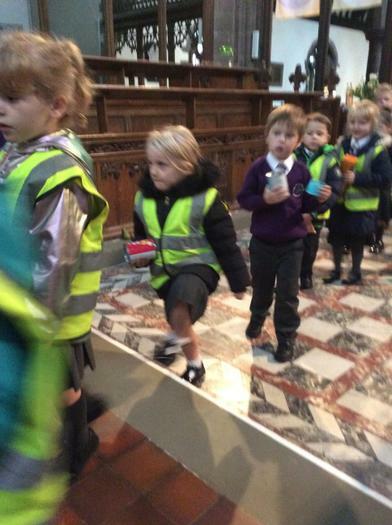 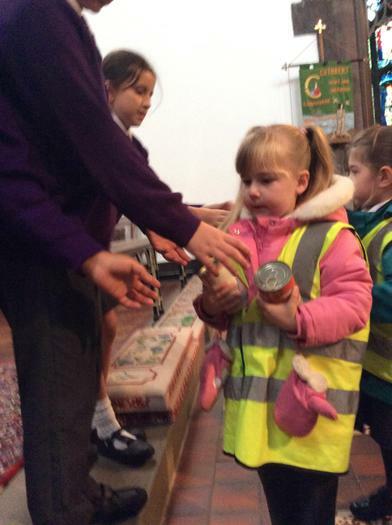 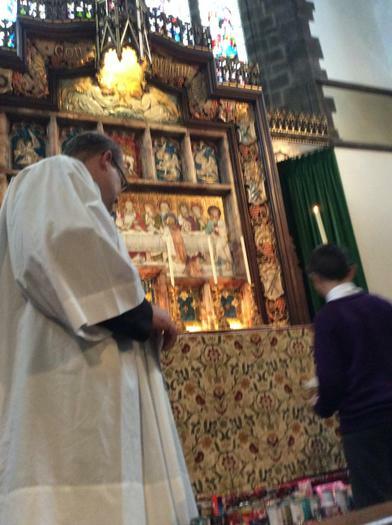 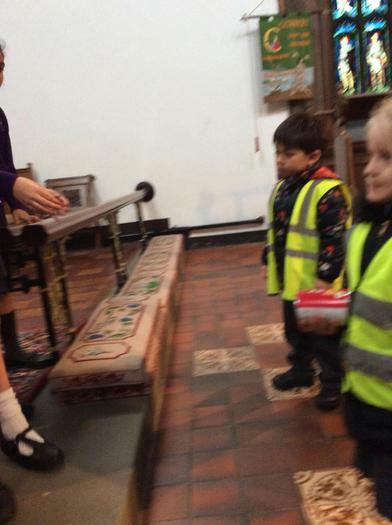 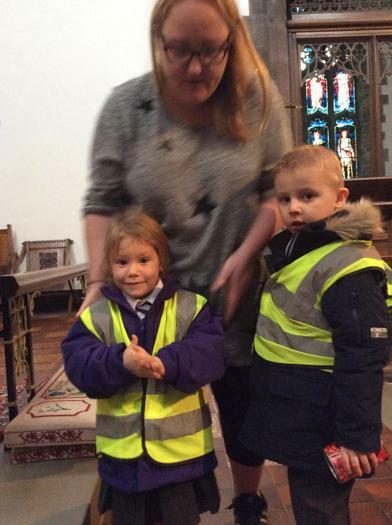 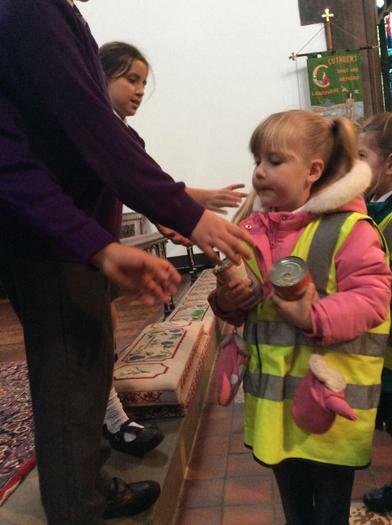 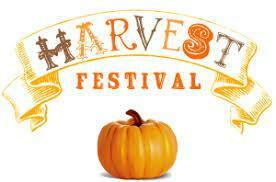 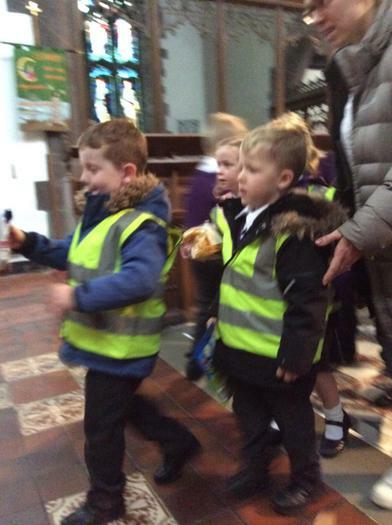 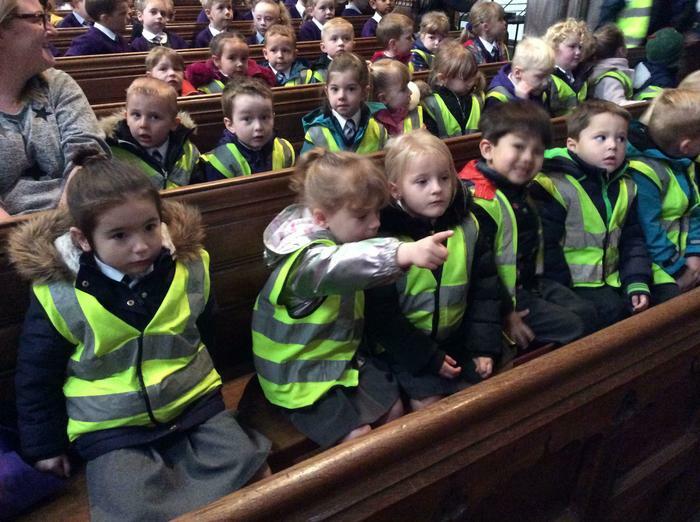 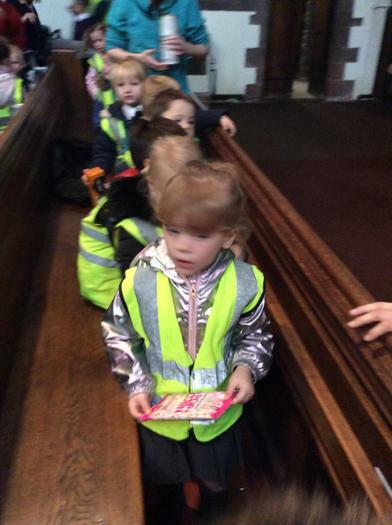 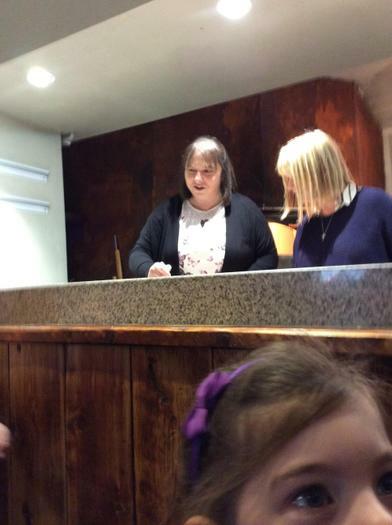 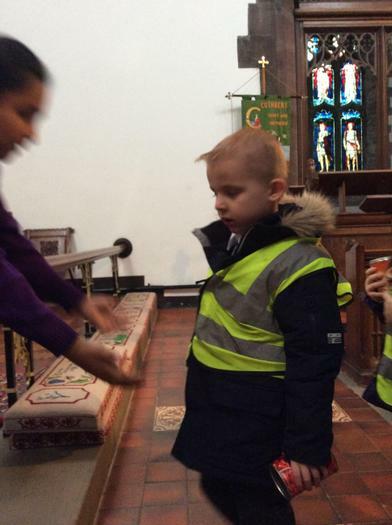 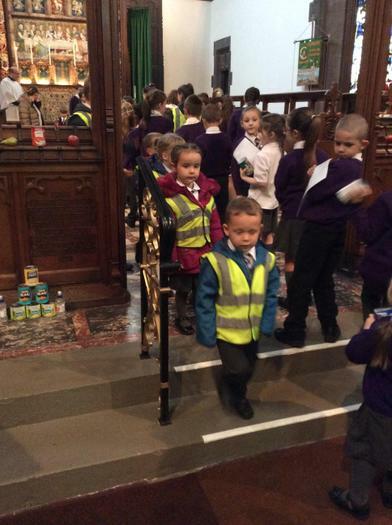 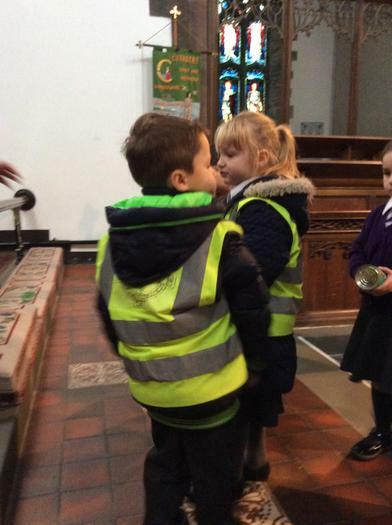 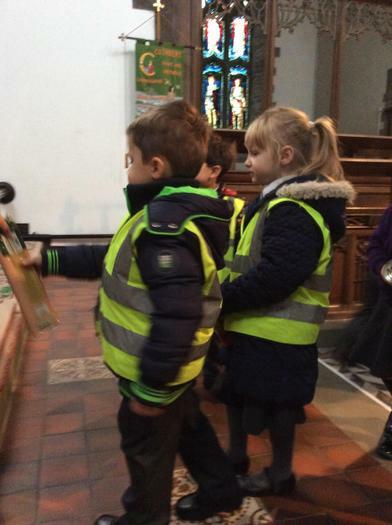 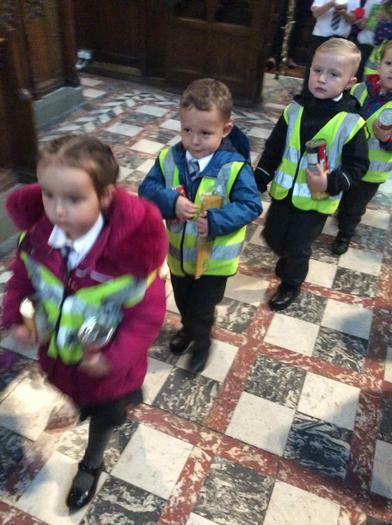 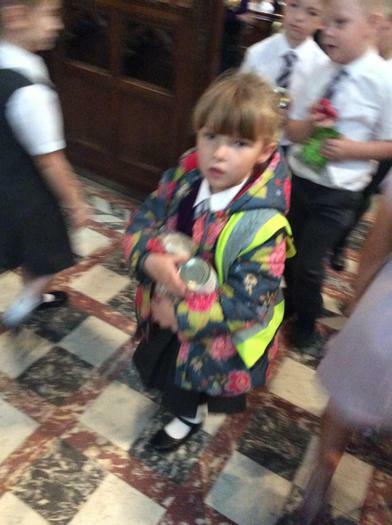 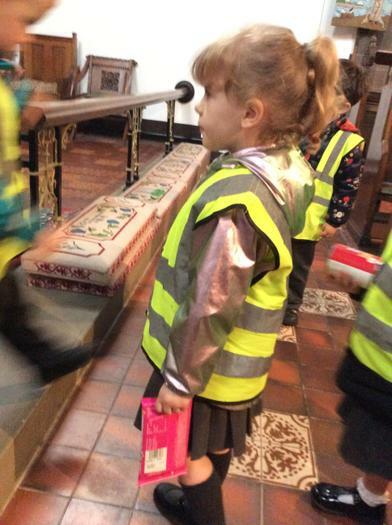 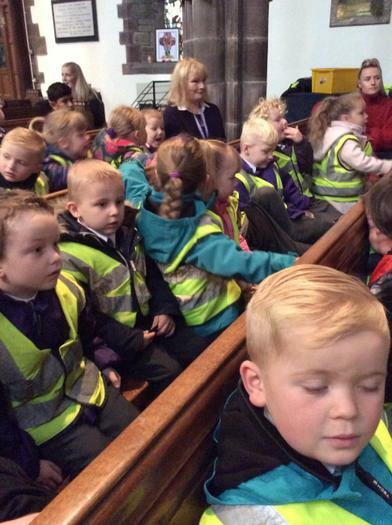 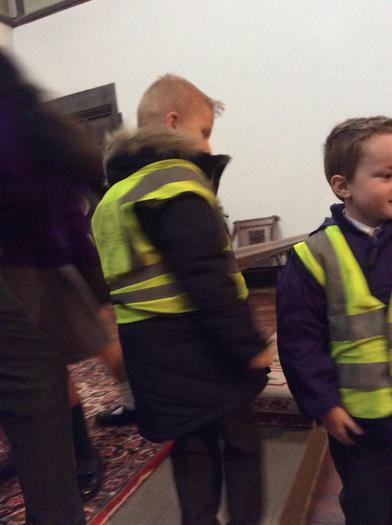 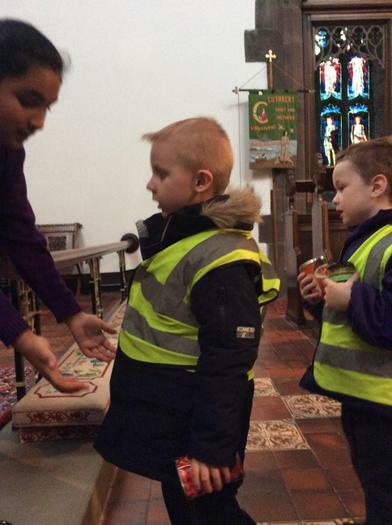 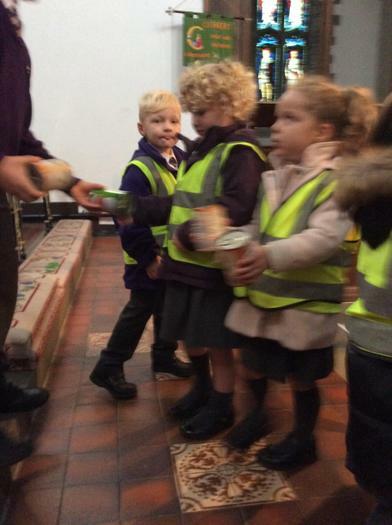 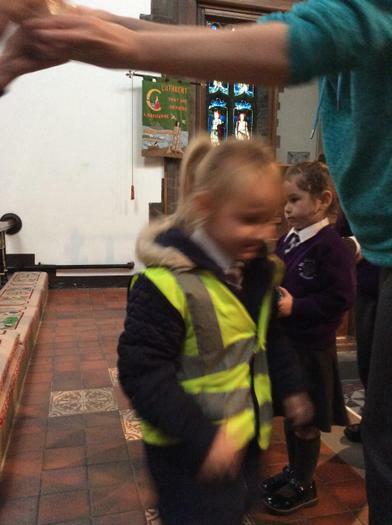 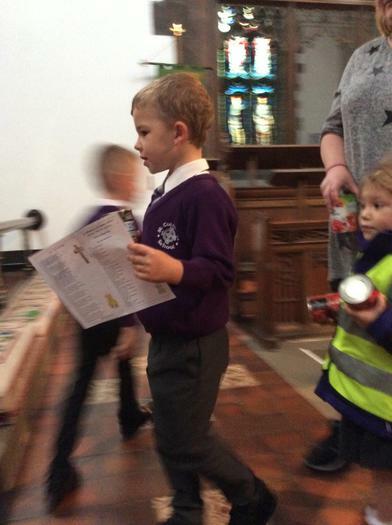 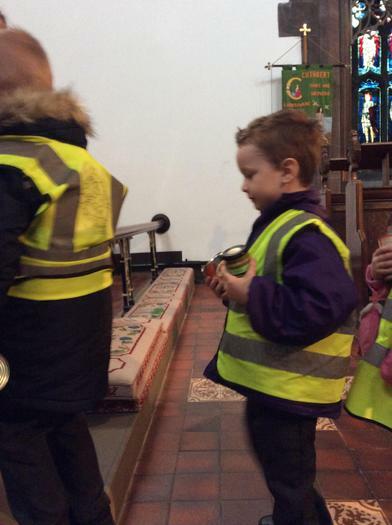 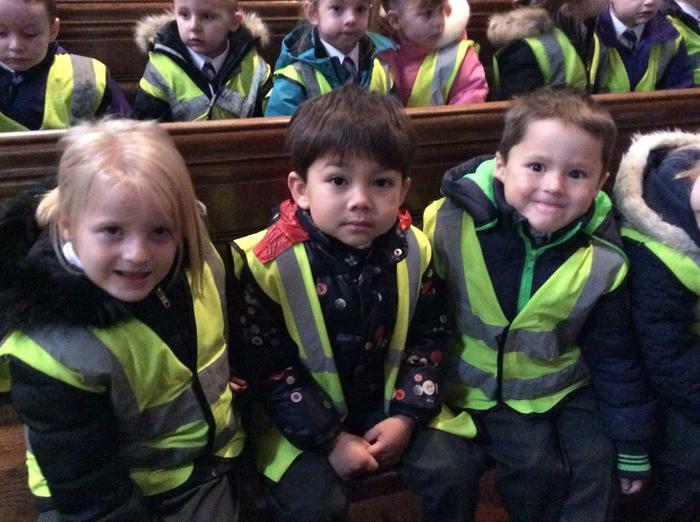 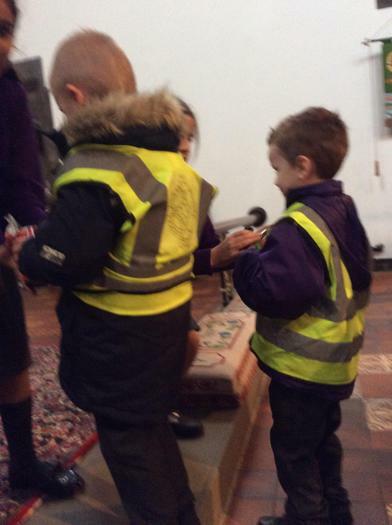 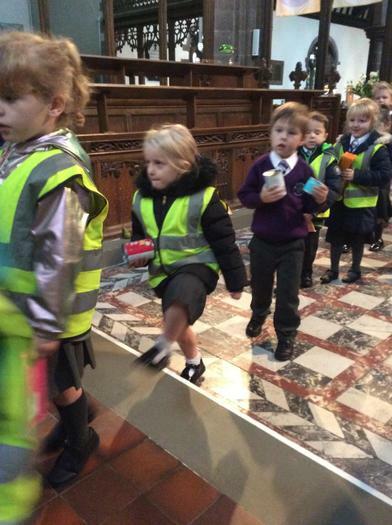 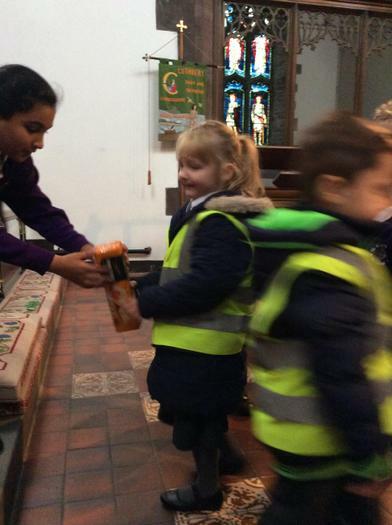 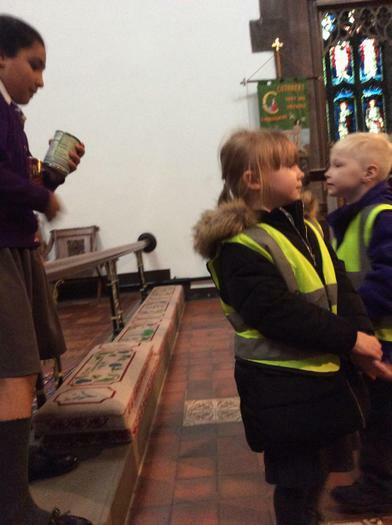 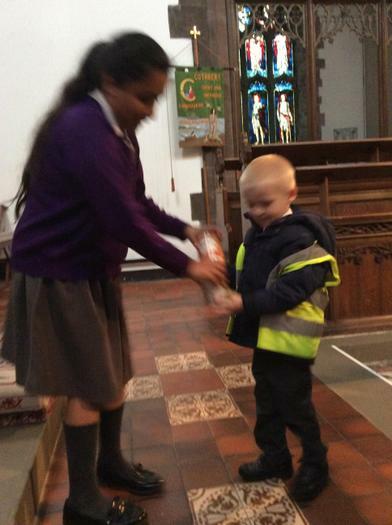 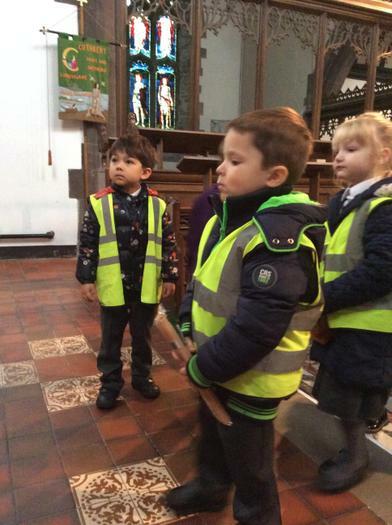 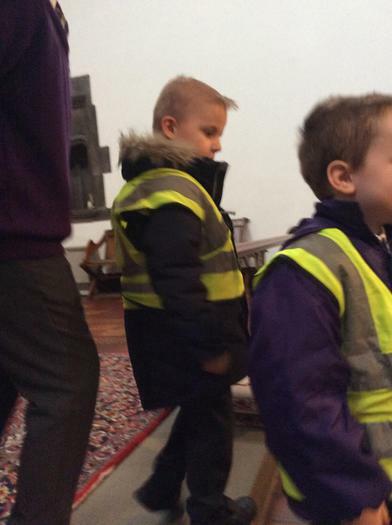 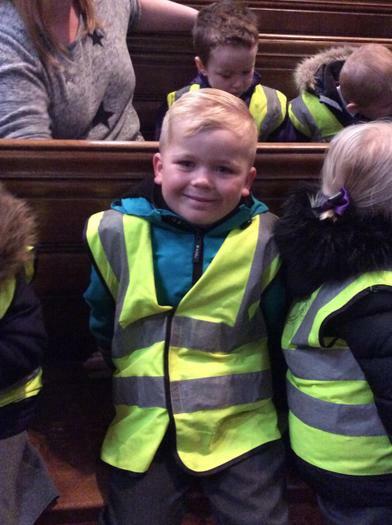 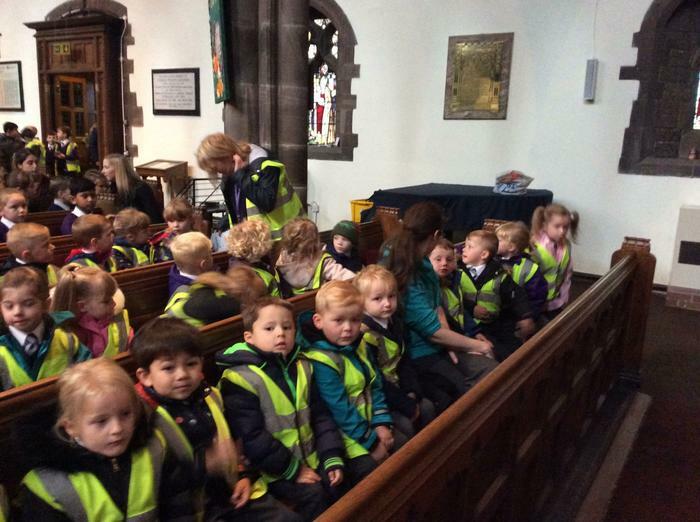 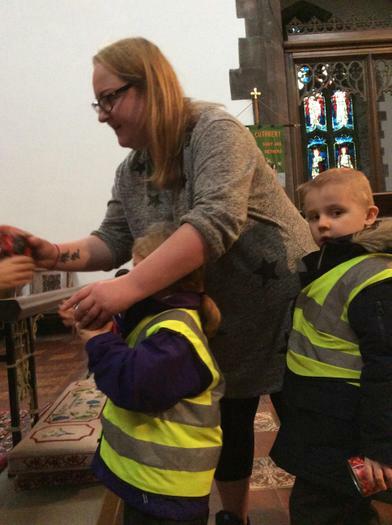 Our 1st visit to St Cuthbert's Church for Harvest. 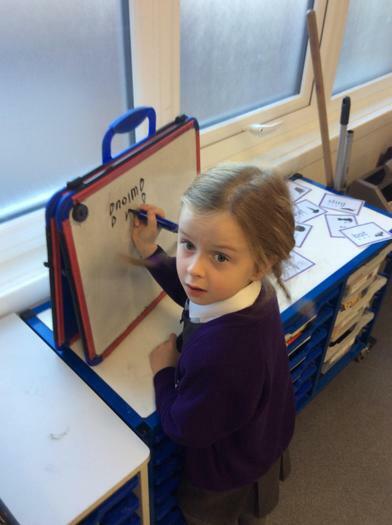 Click on the pencil for more phonic updates. 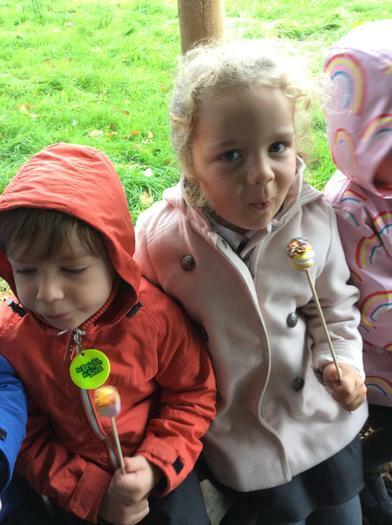 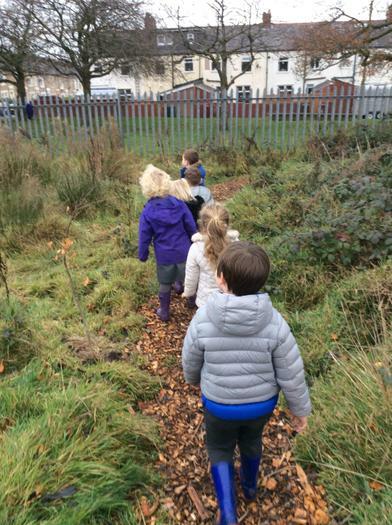 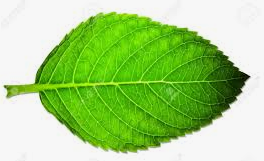 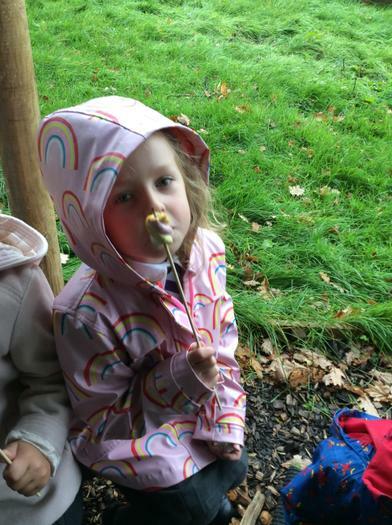 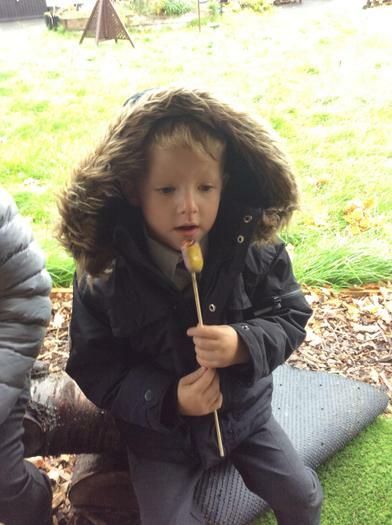 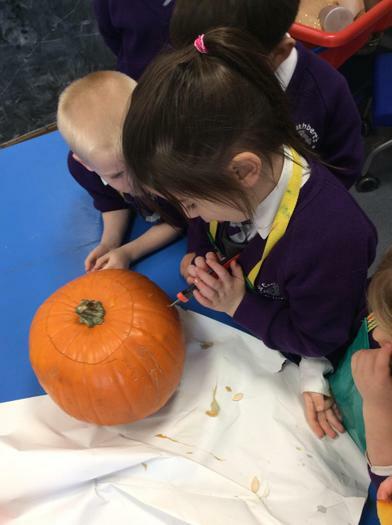 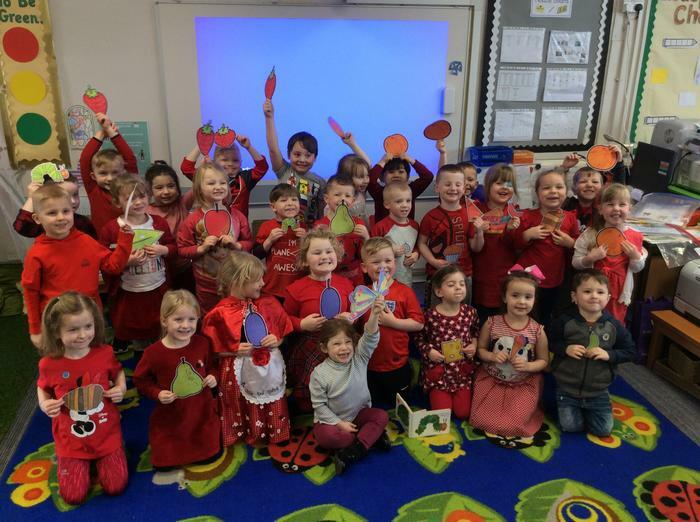 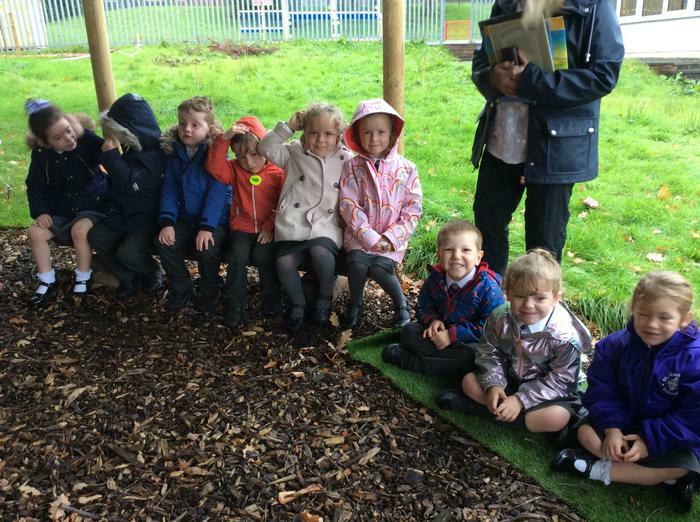 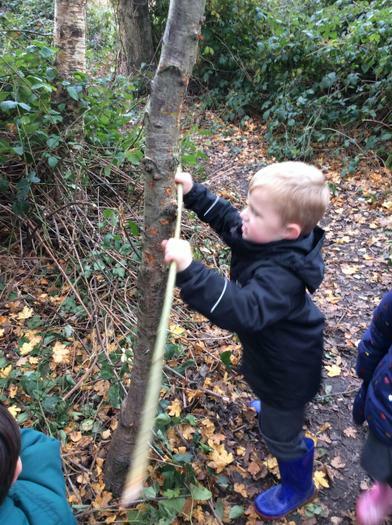 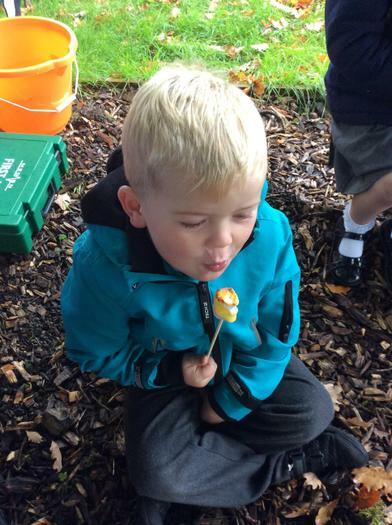 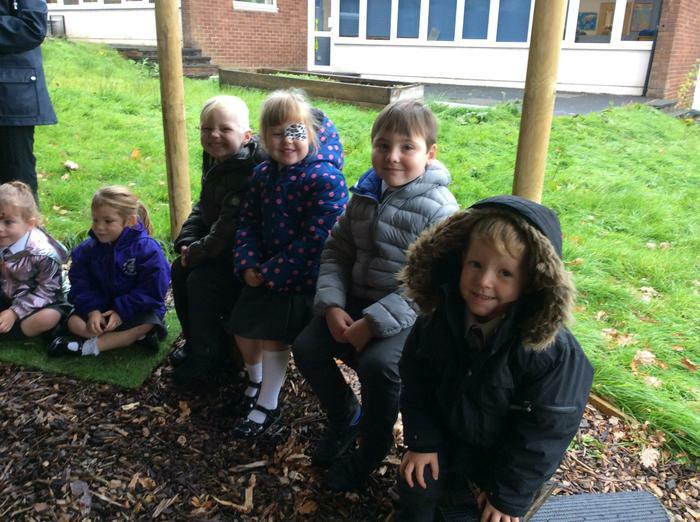 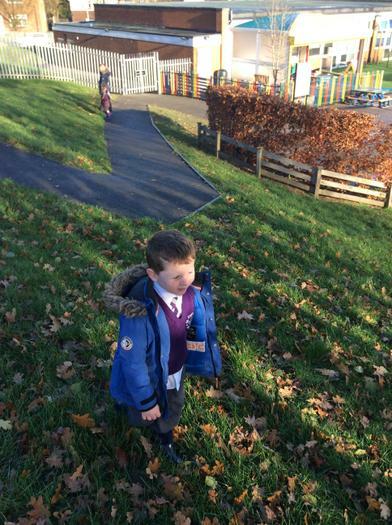 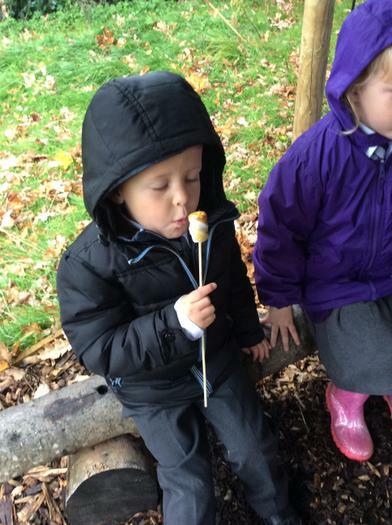 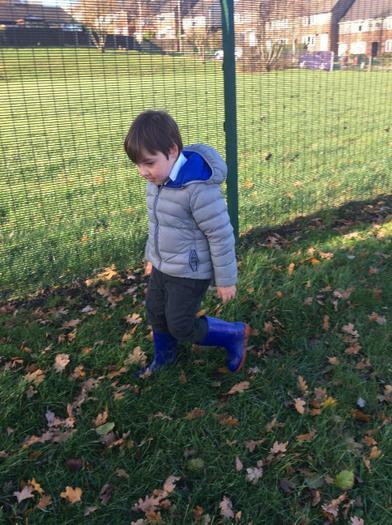 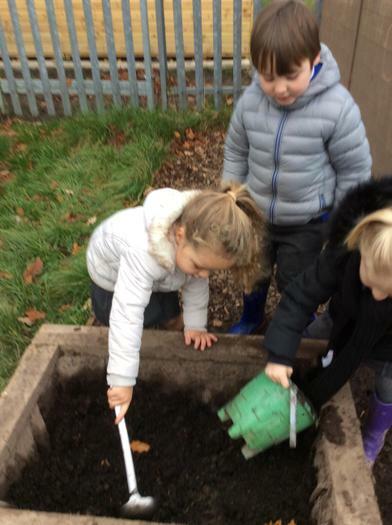 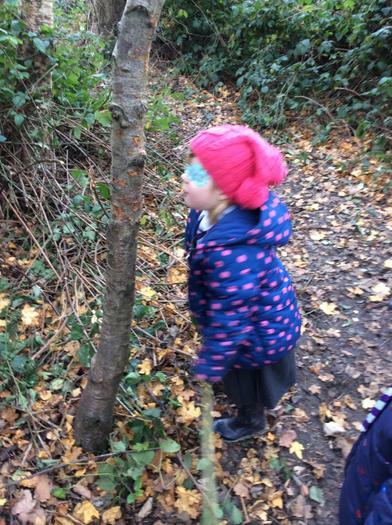 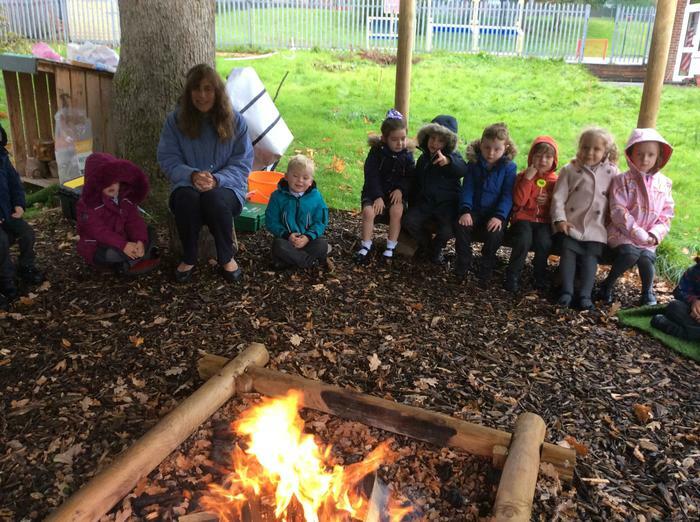 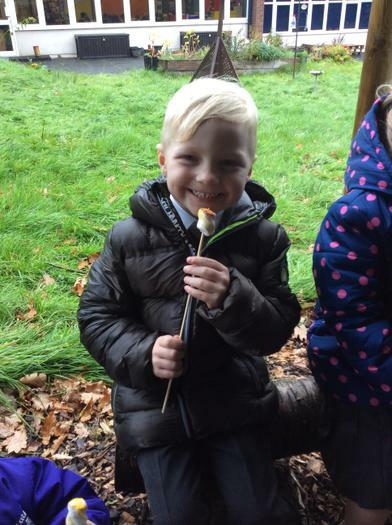 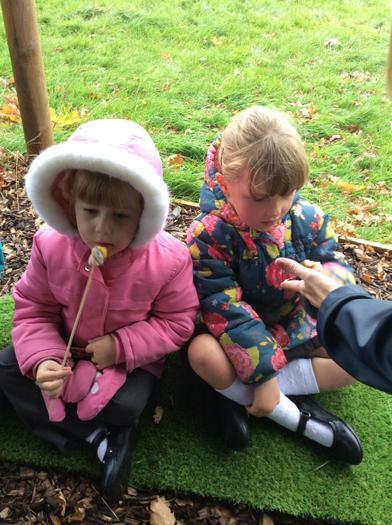 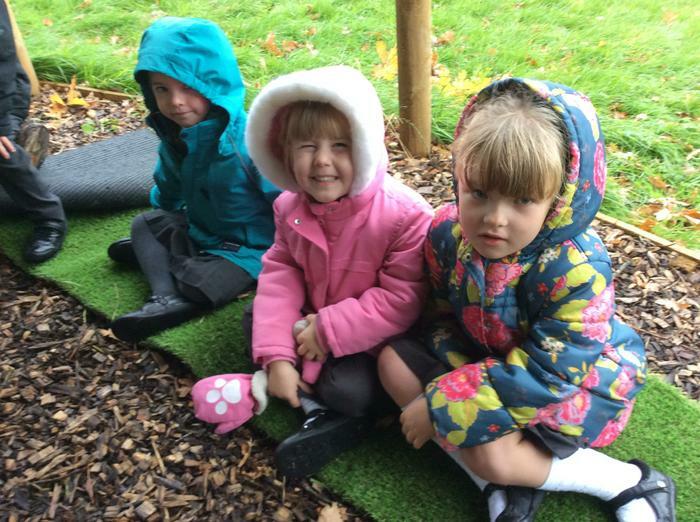 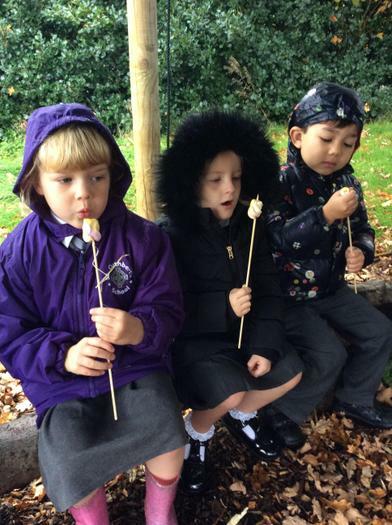 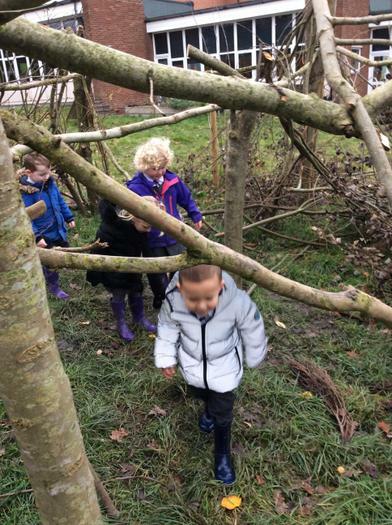 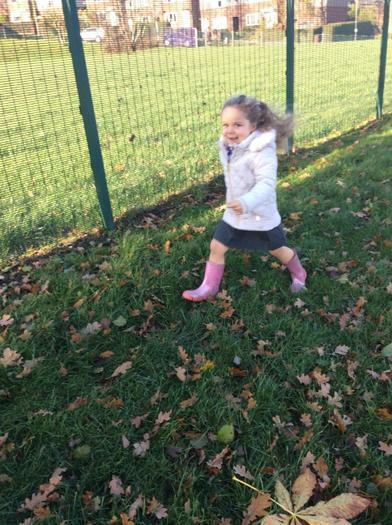 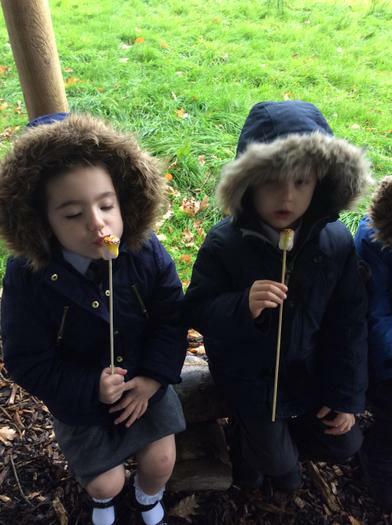 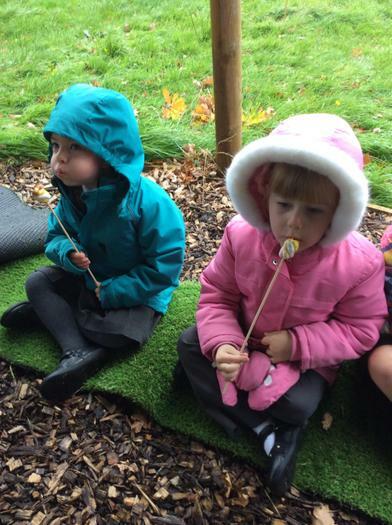 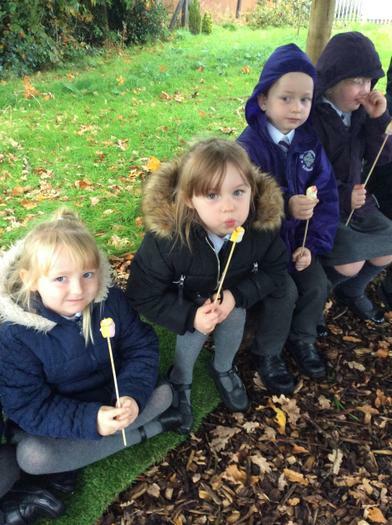 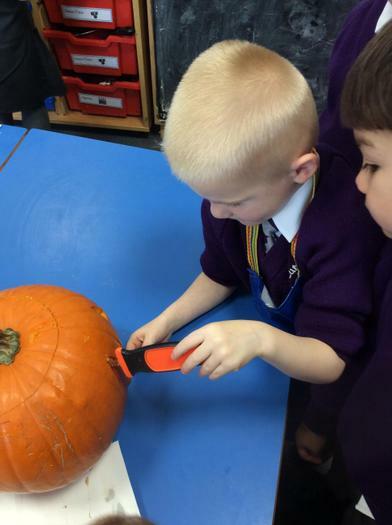 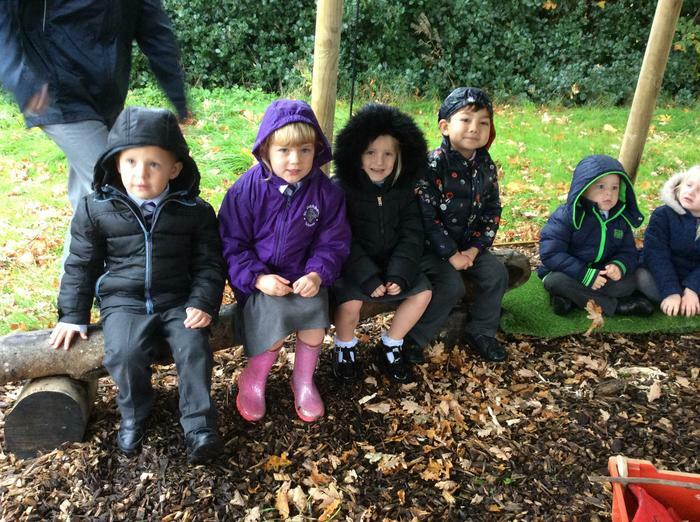 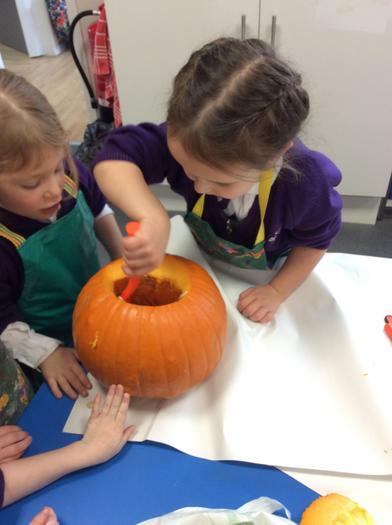 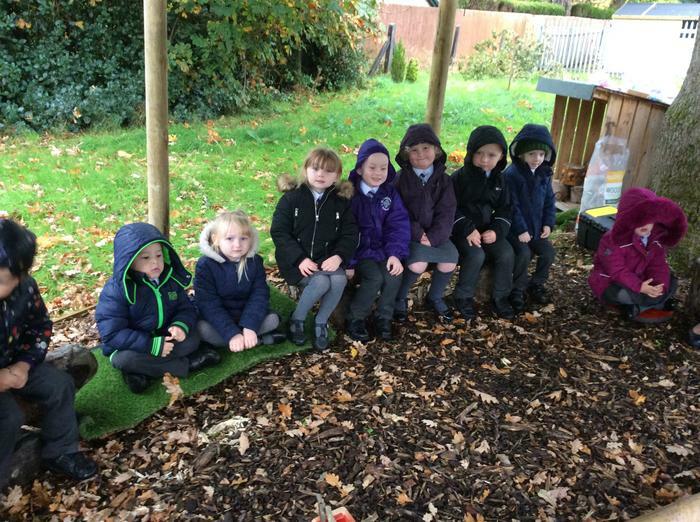 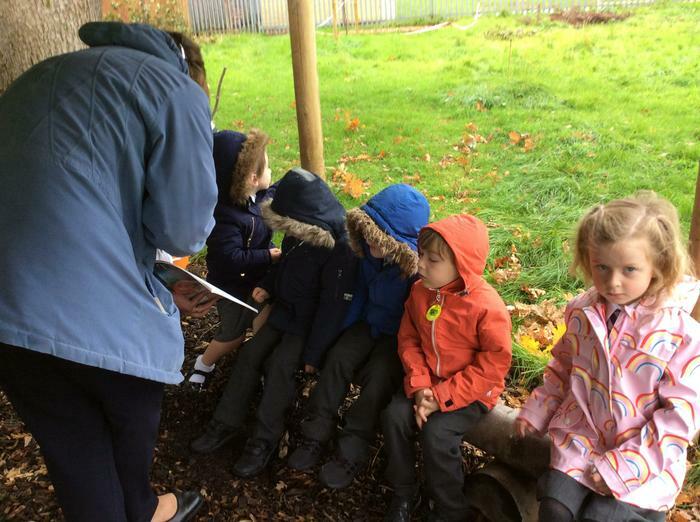 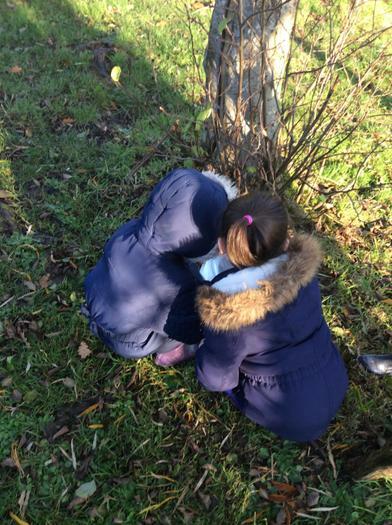 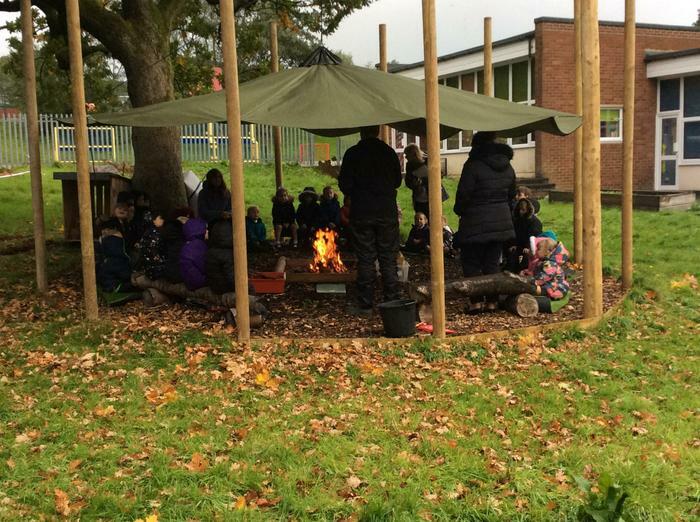 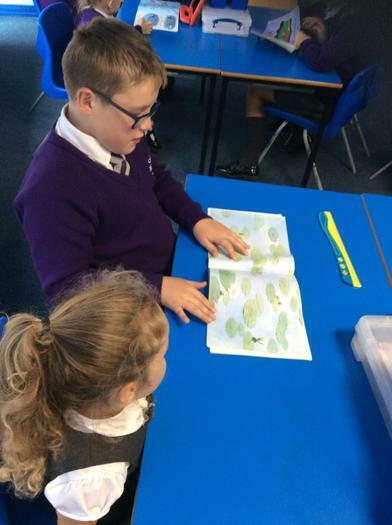 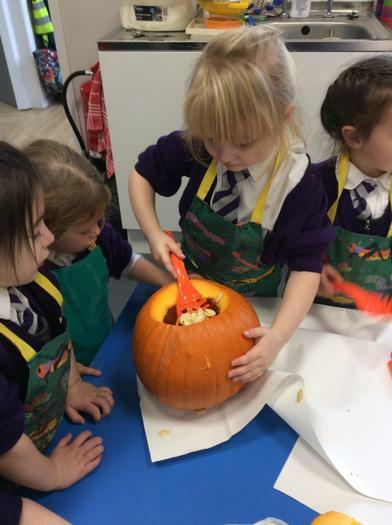 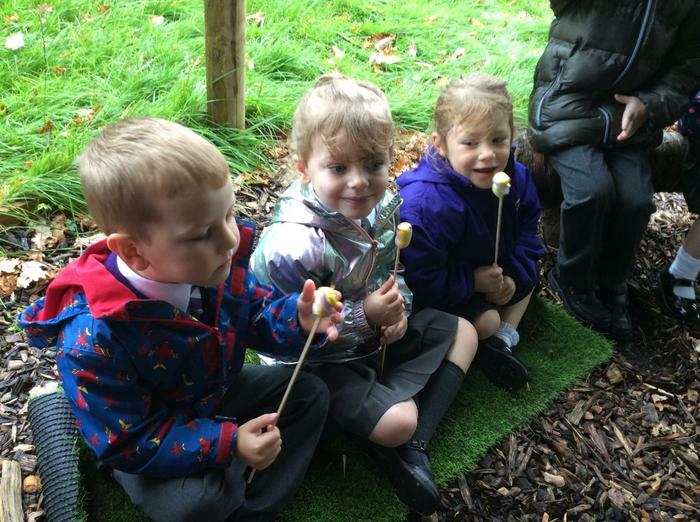 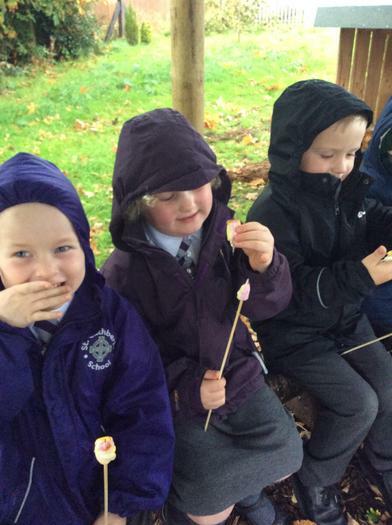 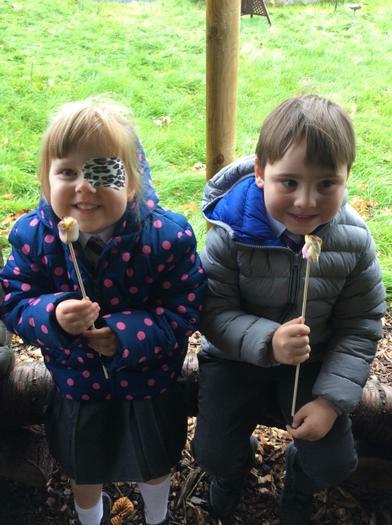 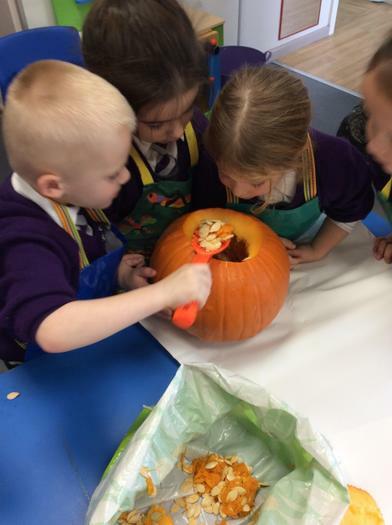 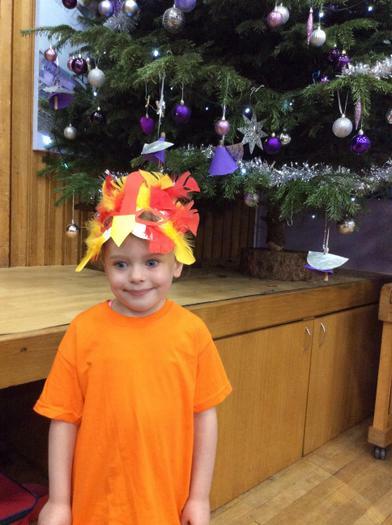 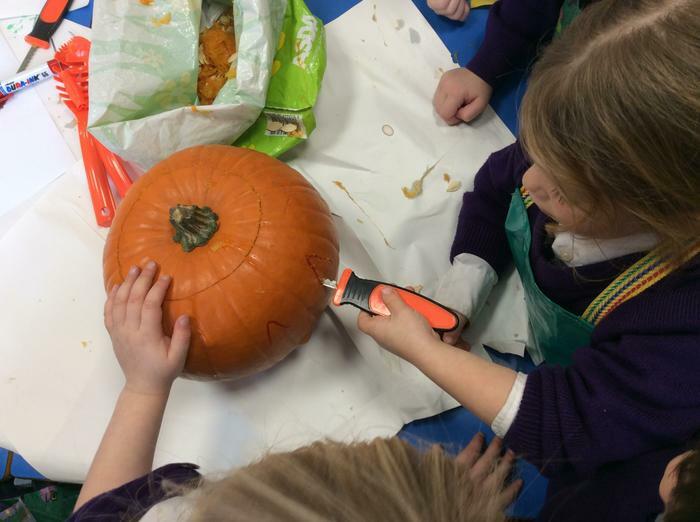 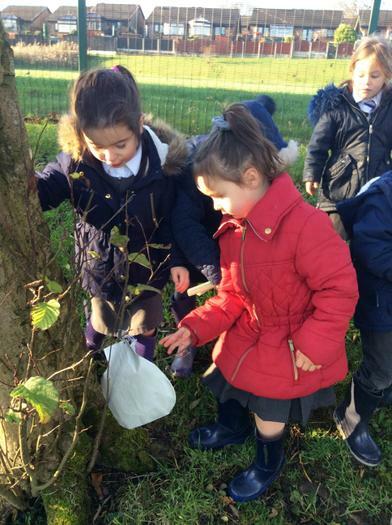 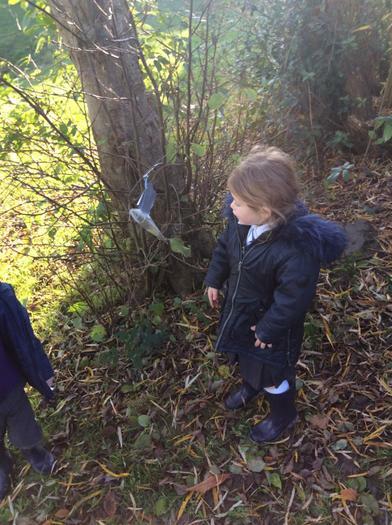 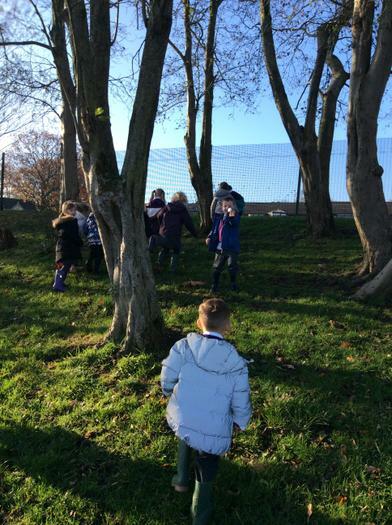 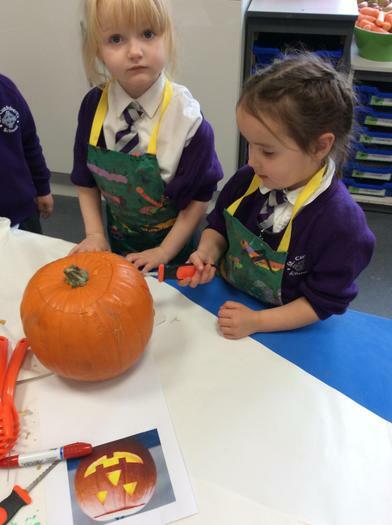 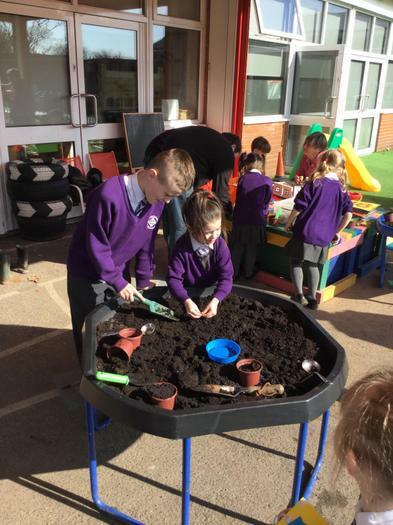 Click on the leaf below to find out what we have been learning about Autumn. 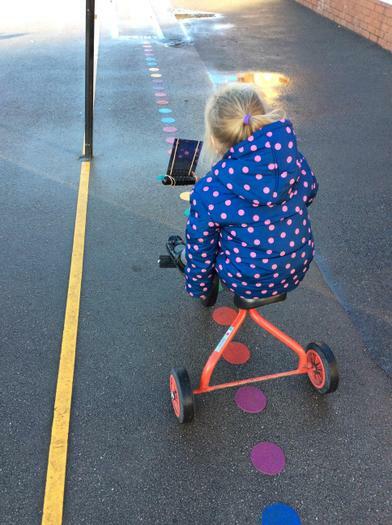 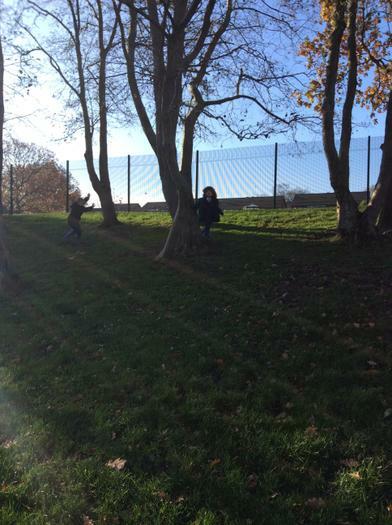 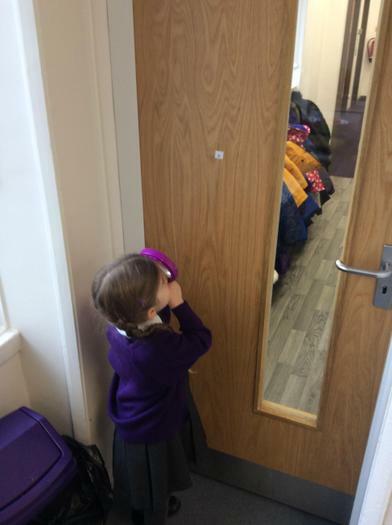 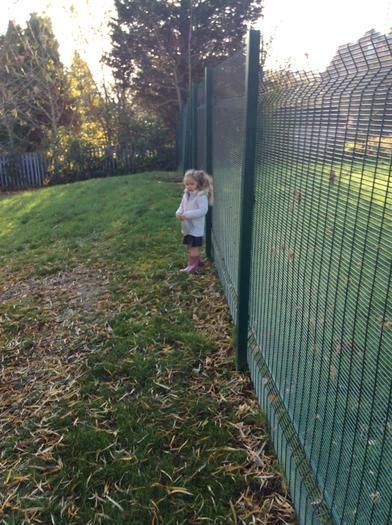 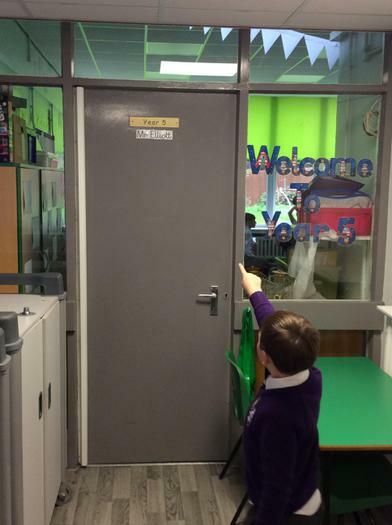 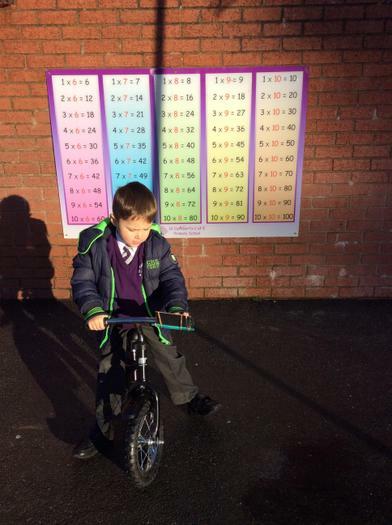 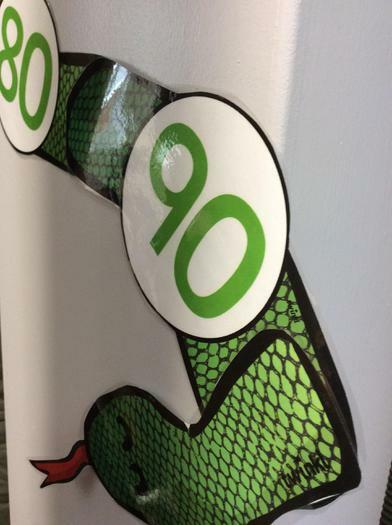 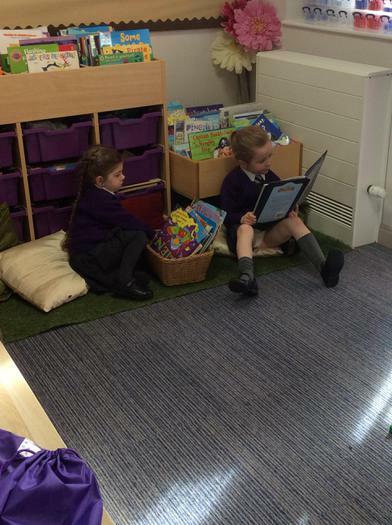 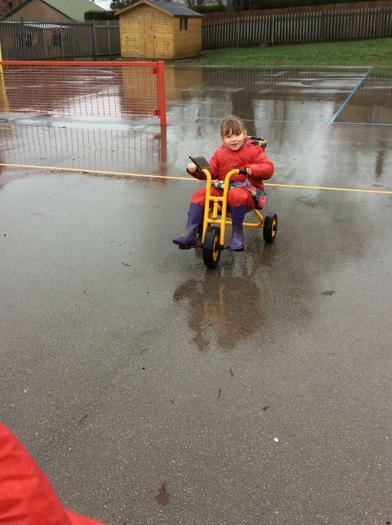 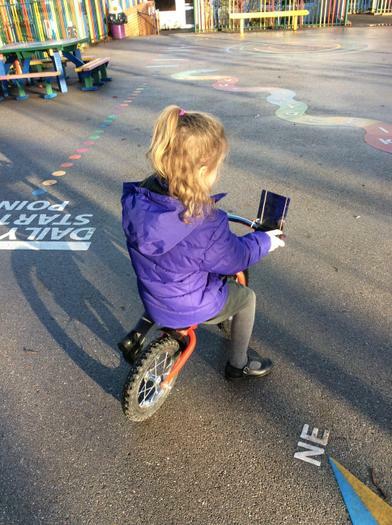 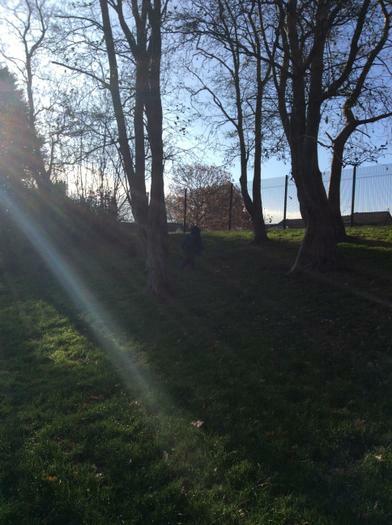 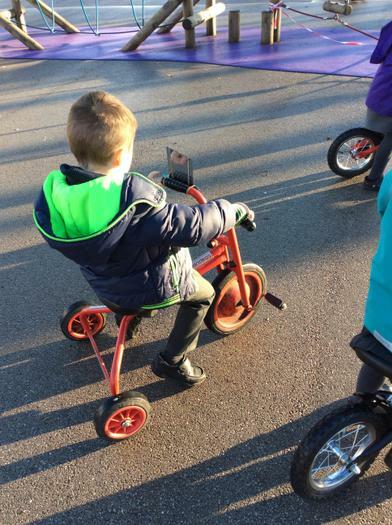 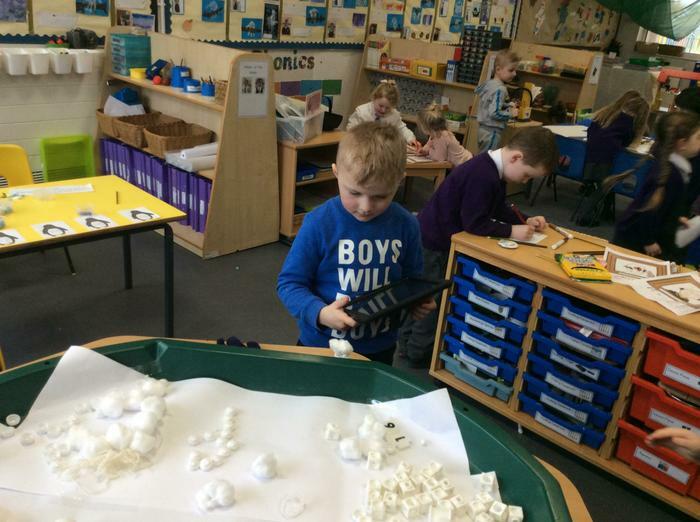 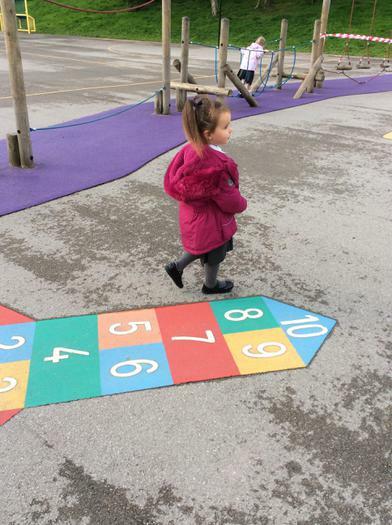 This week the children used the Ipads to take pictures of numbers around our school environment.